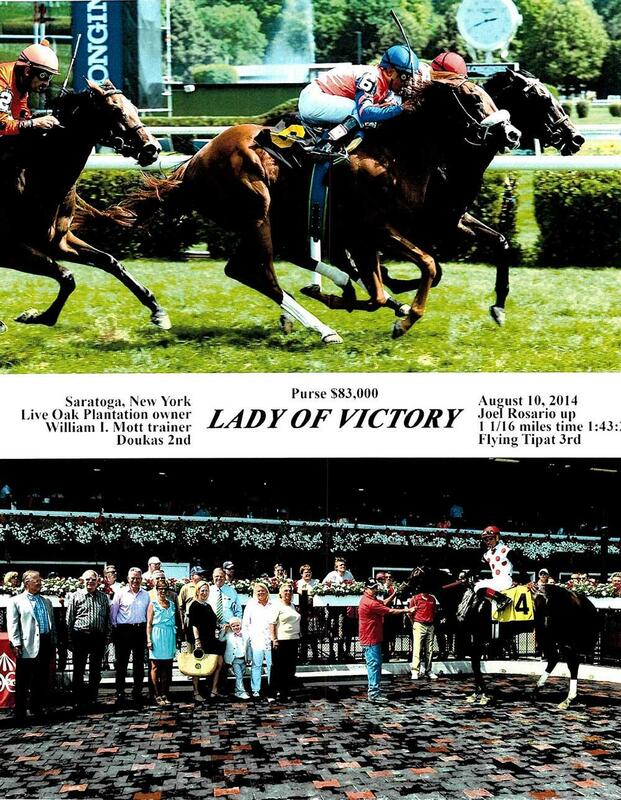 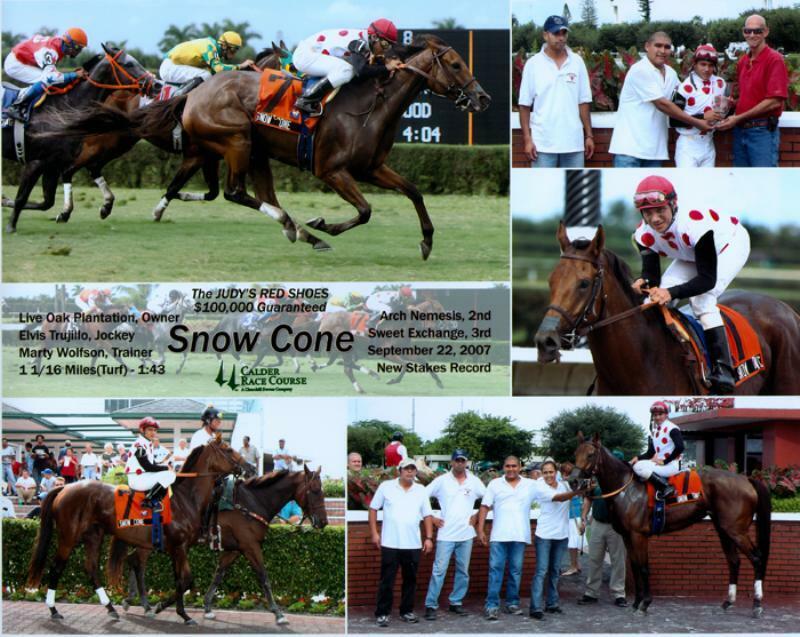 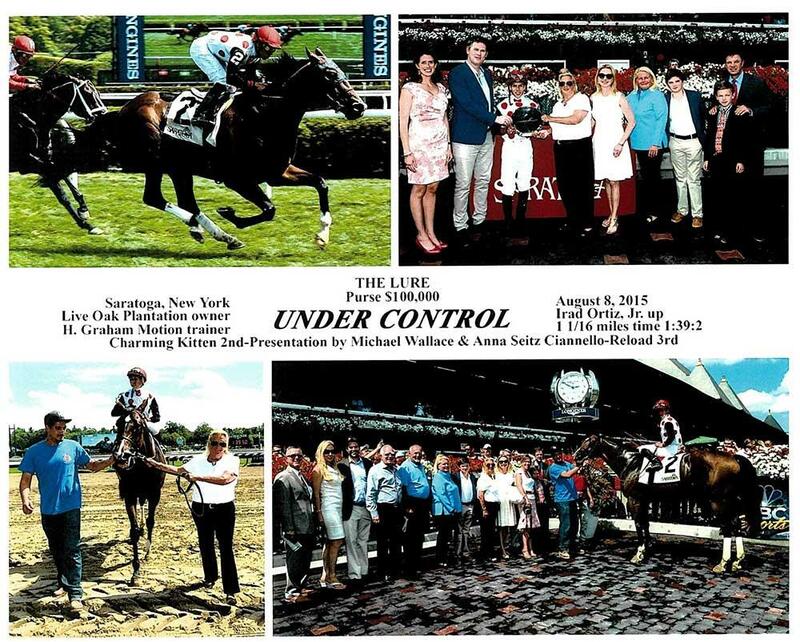 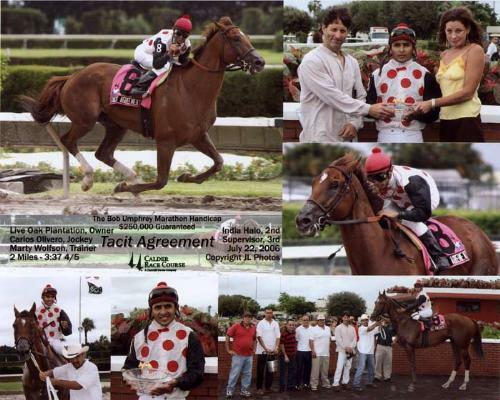 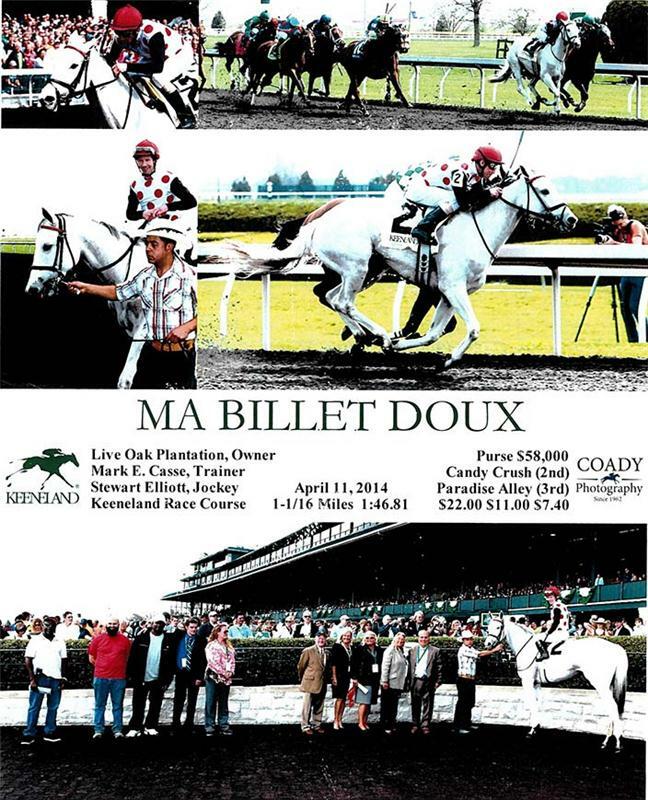 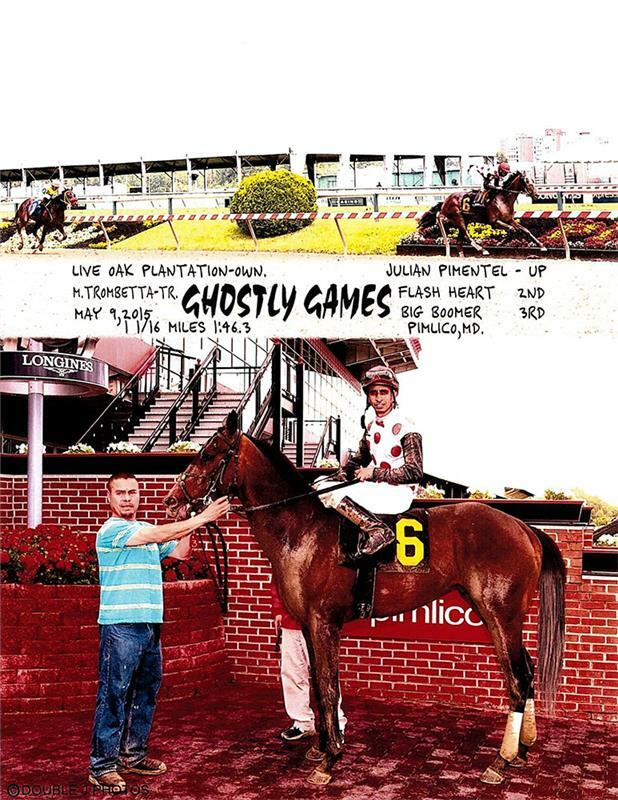 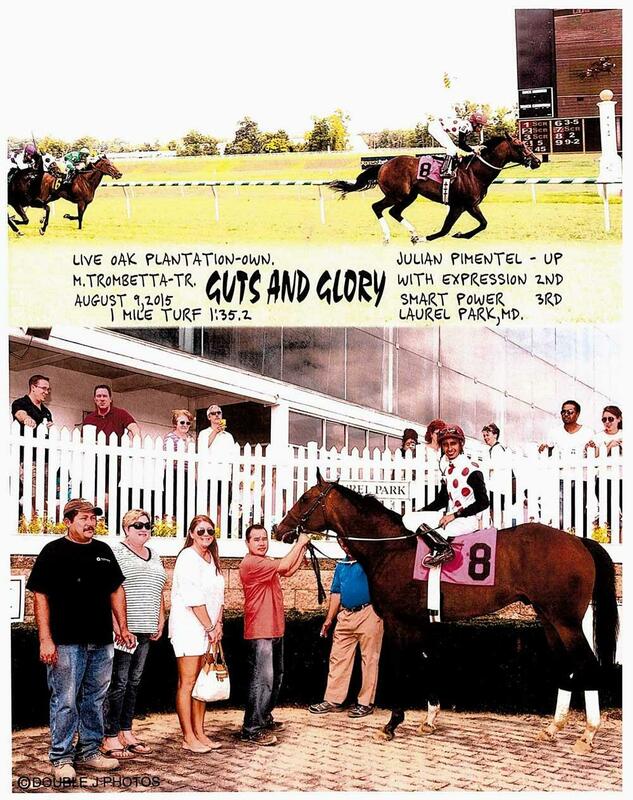 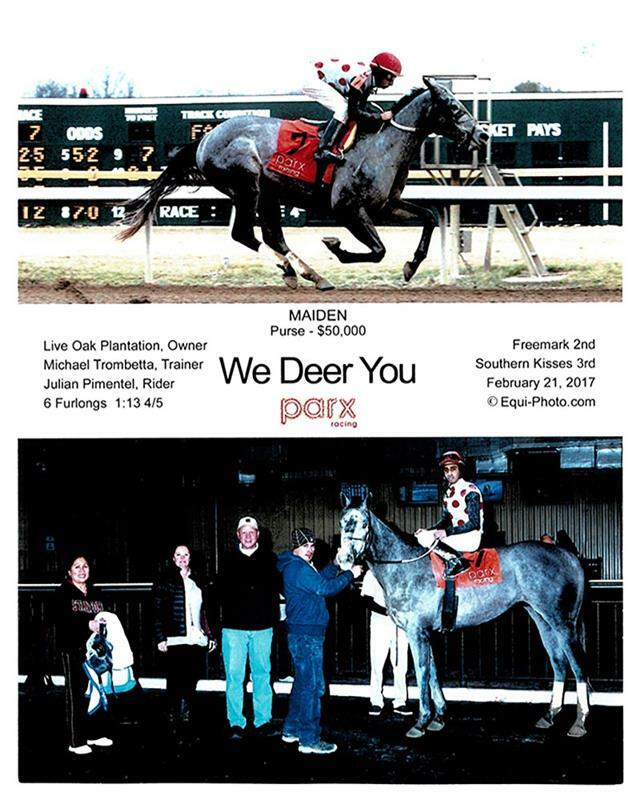 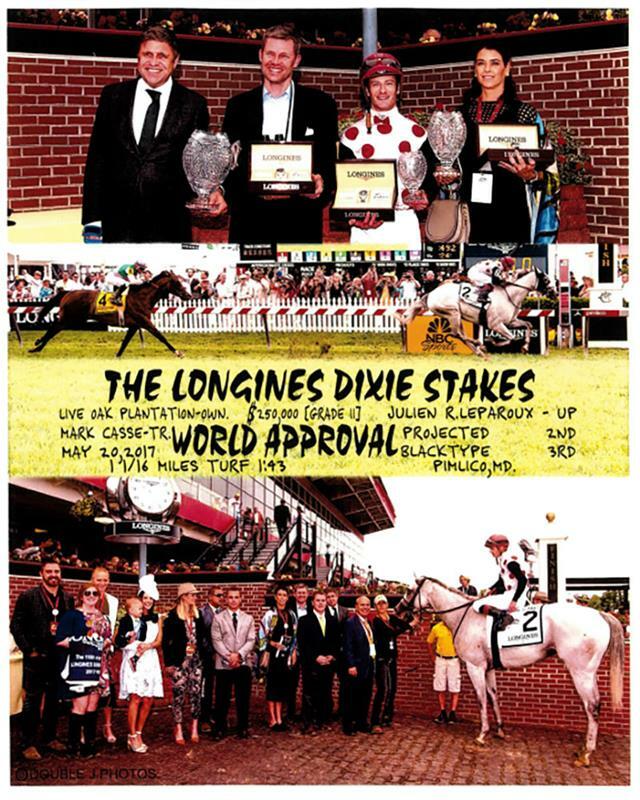 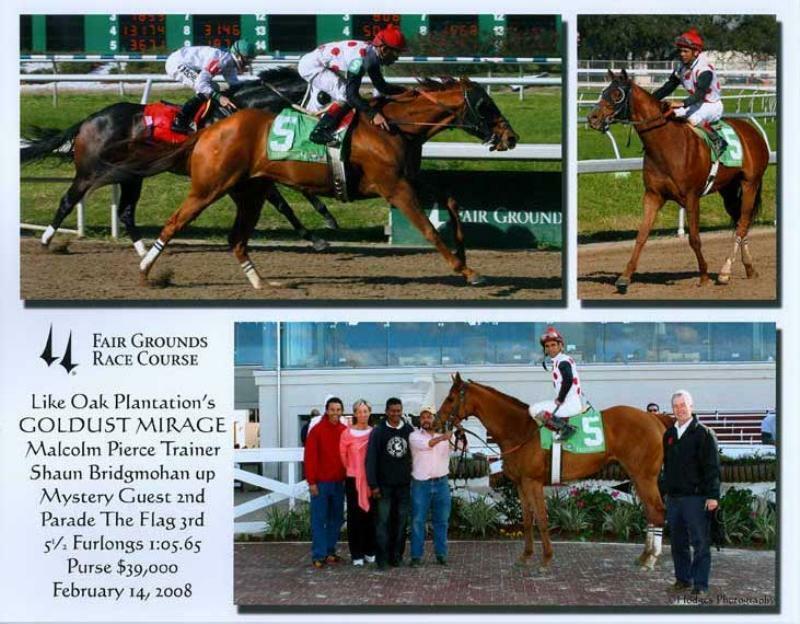 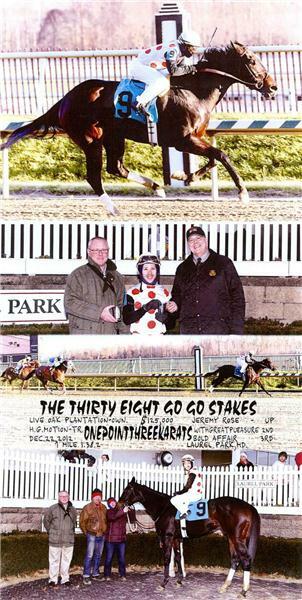 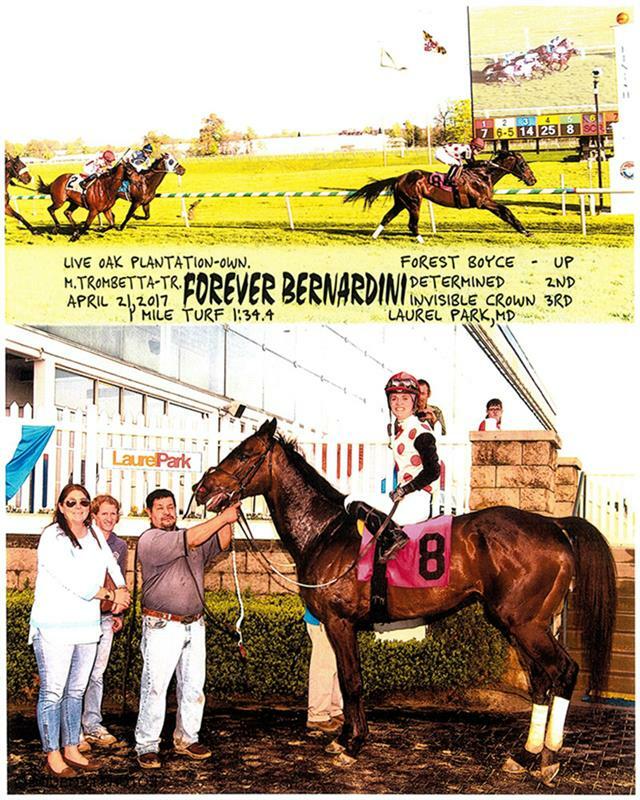 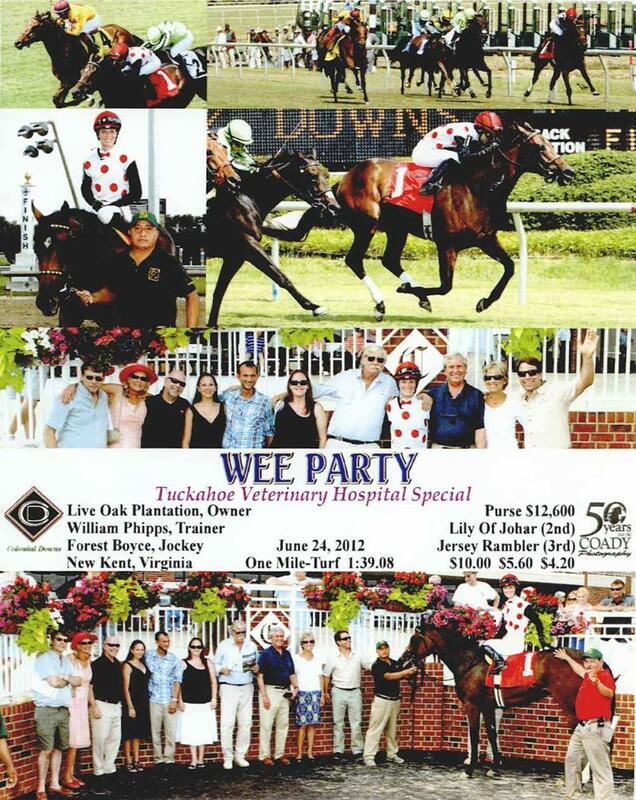 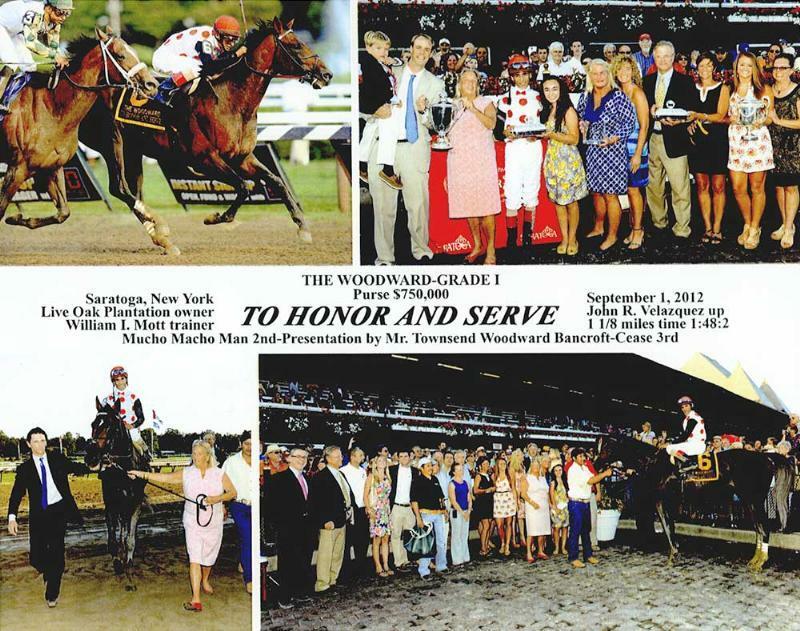 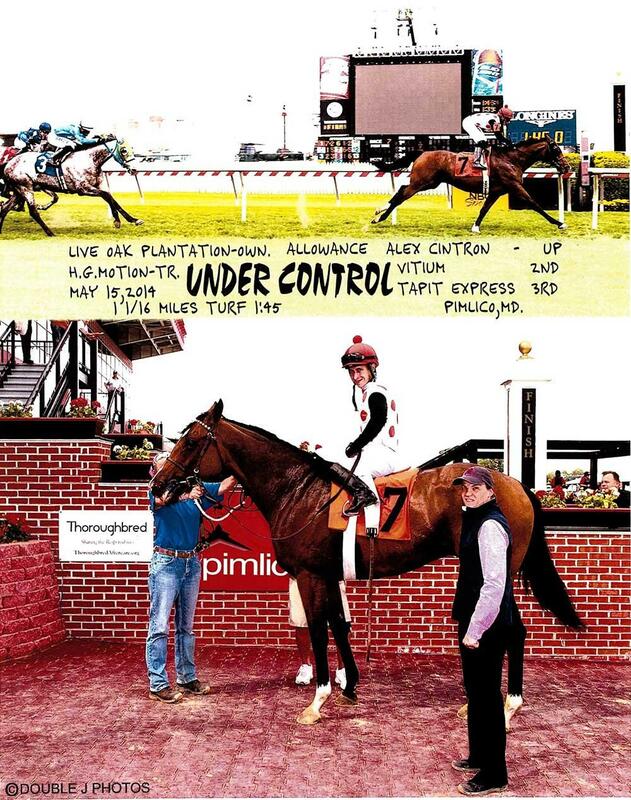 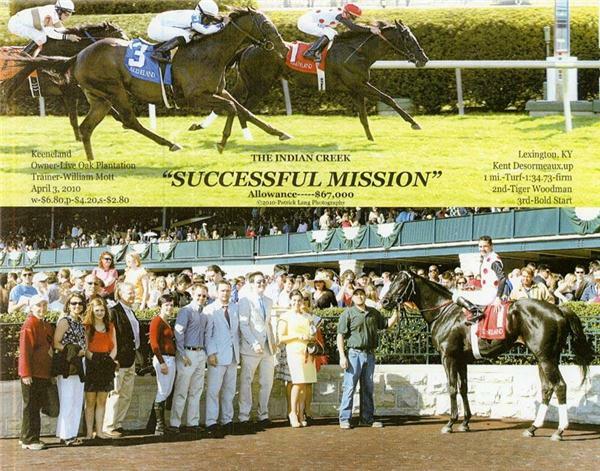 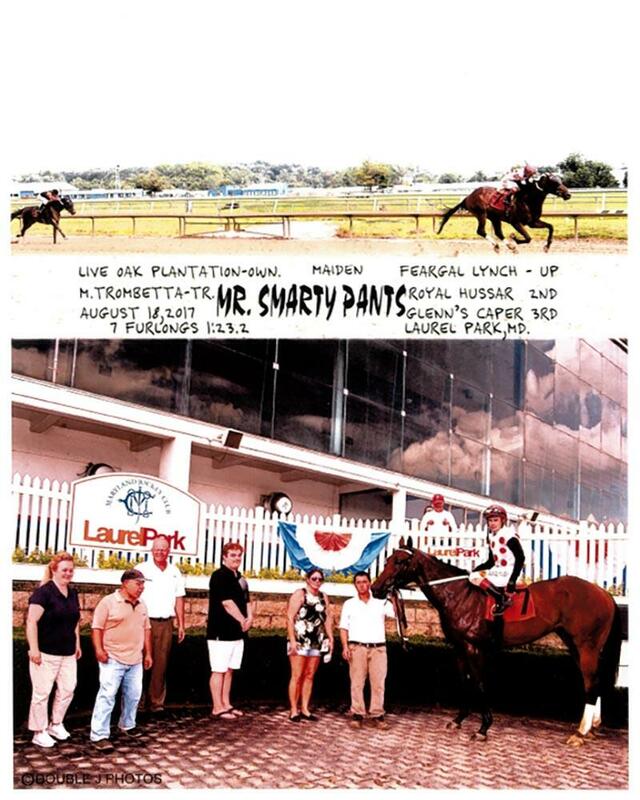 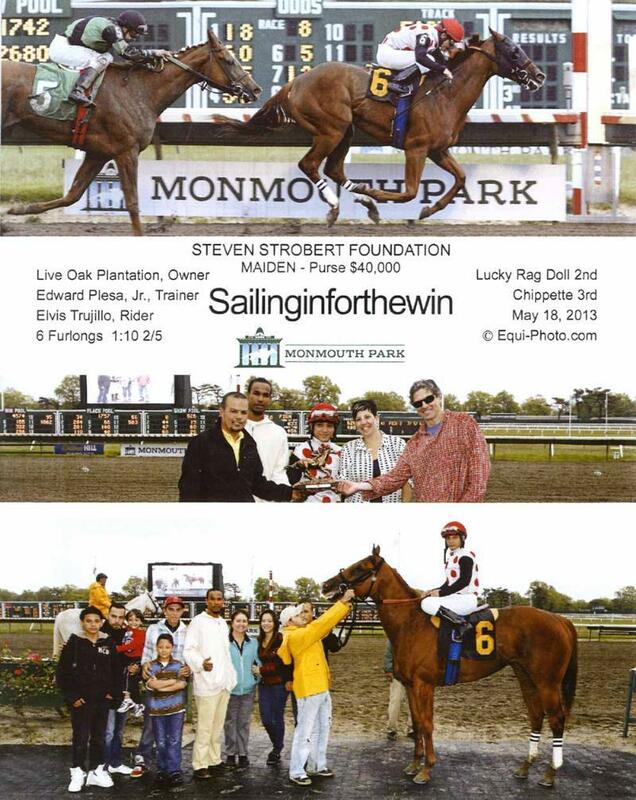 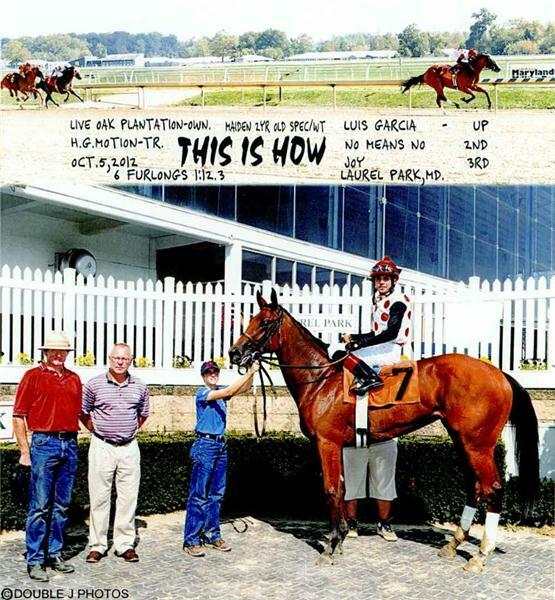 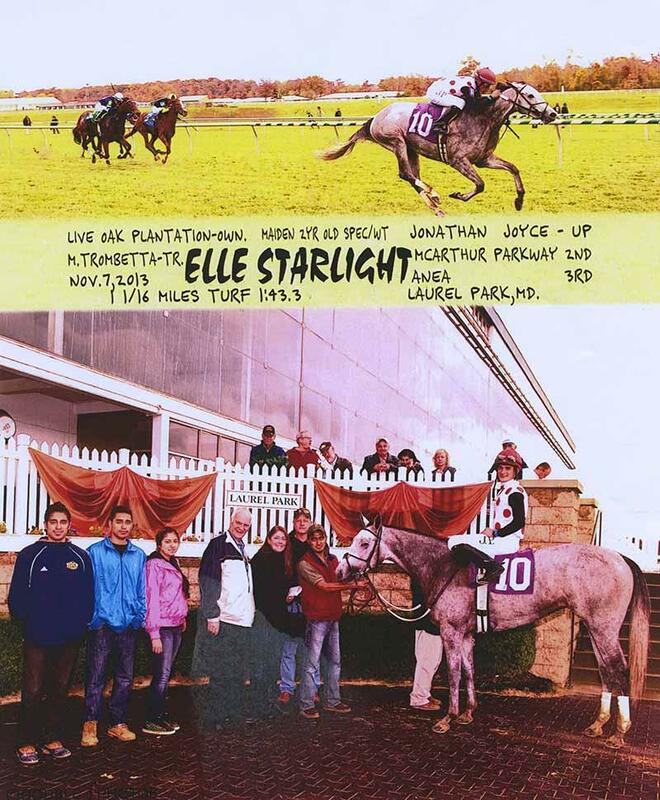 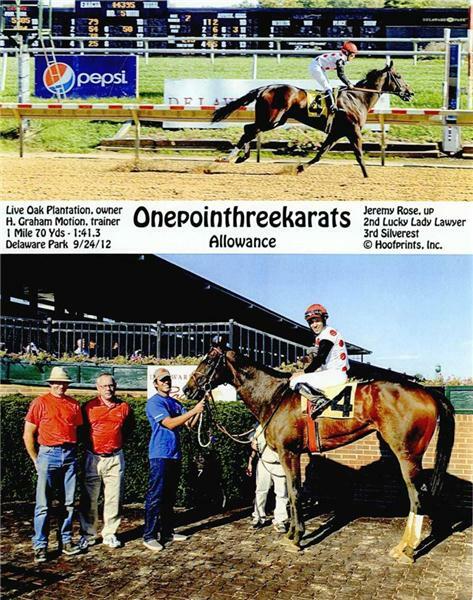 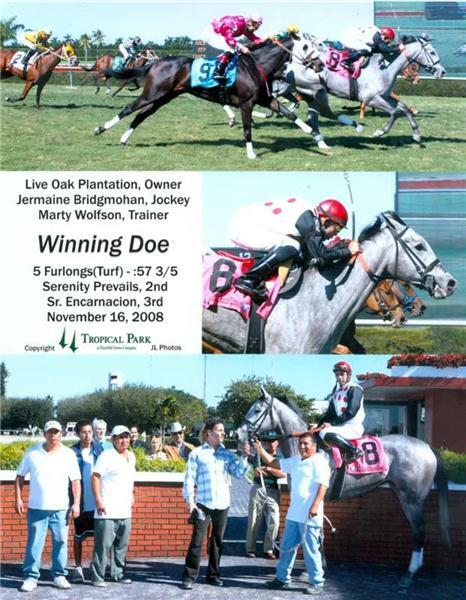 In the long history of Live Oak Plantation’s prominence at the racetrack, the signature red polka dots on white silks have graced the winner’s circle in the country’s most prestigious races as much as ever in recent years, signaling Live Oak Plantation’s growing strength and bright future in racing. 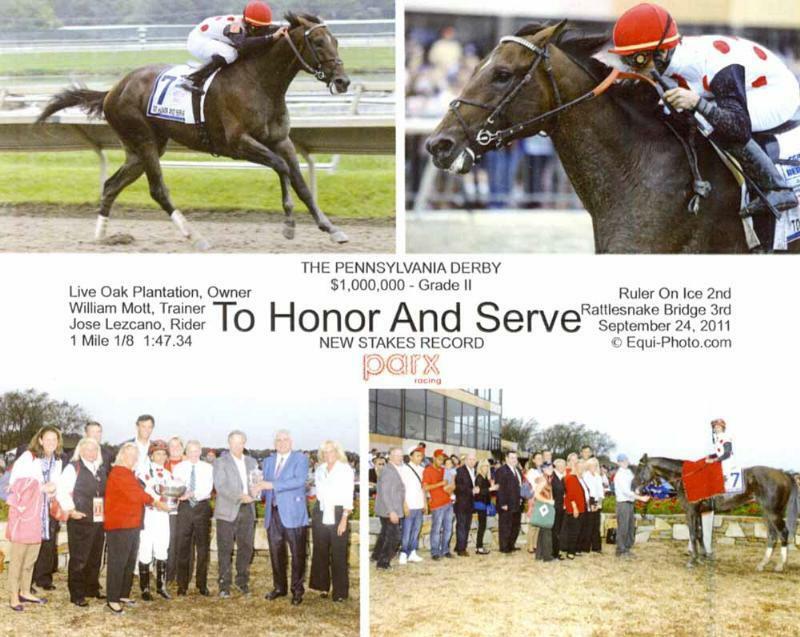 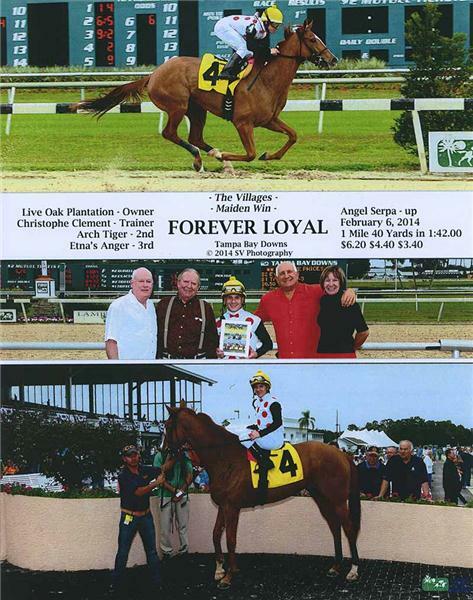 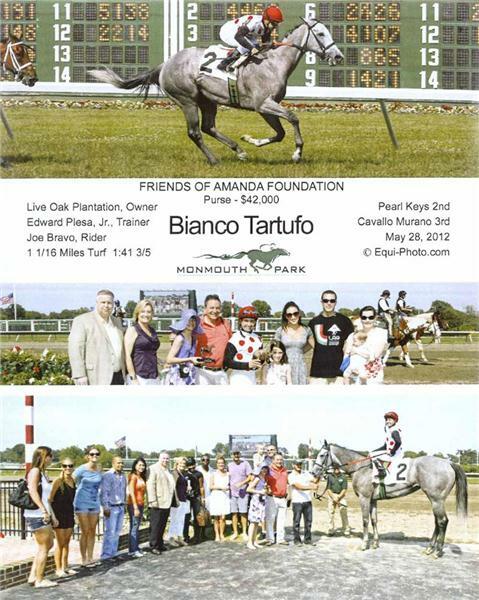 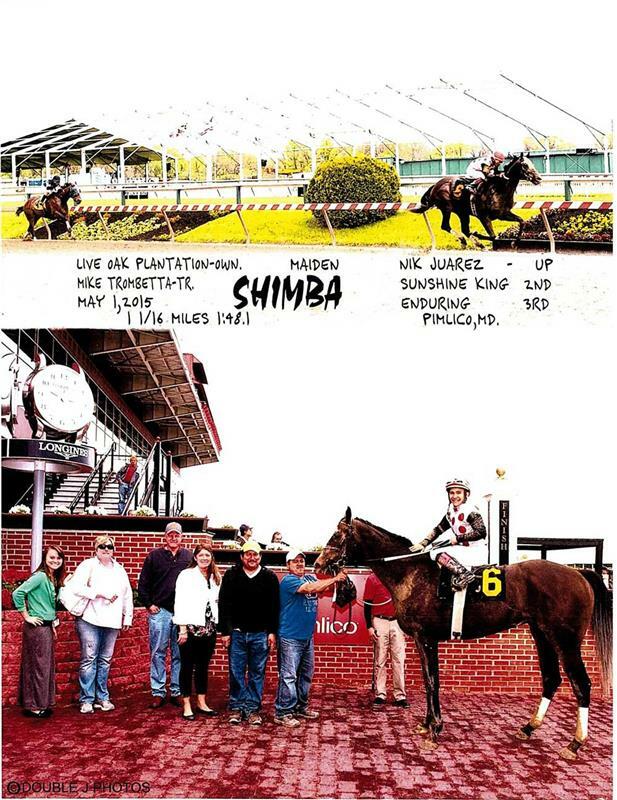 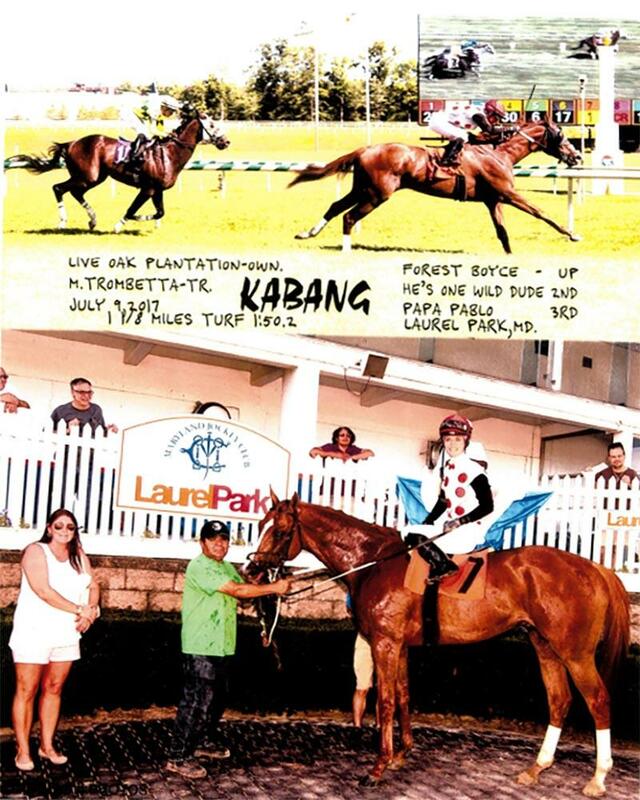 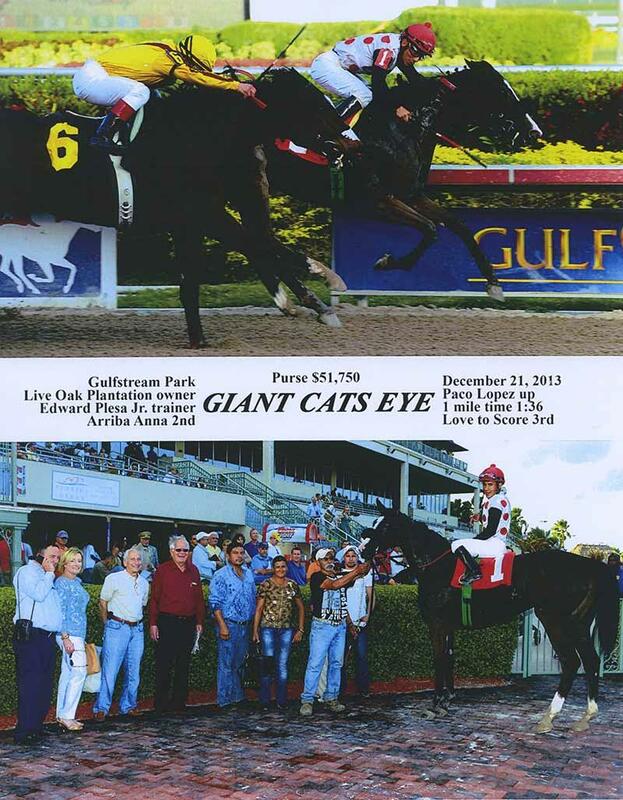 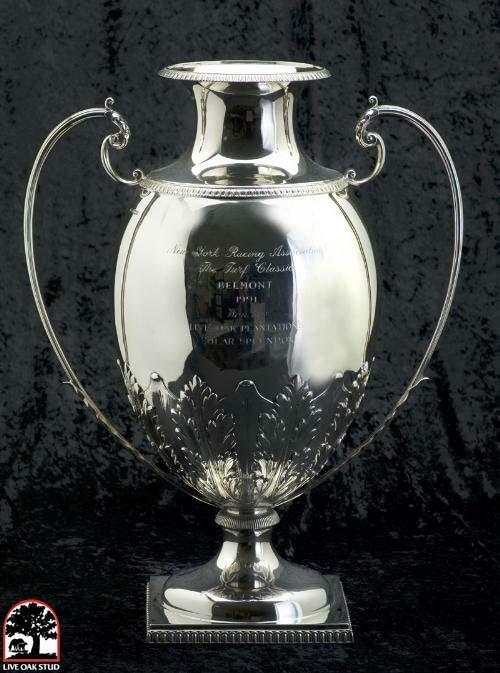 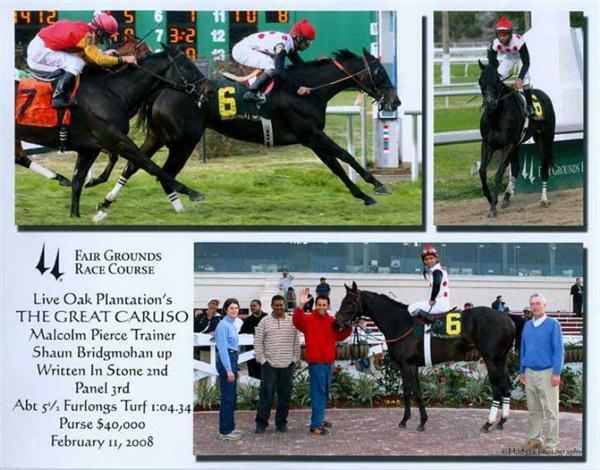 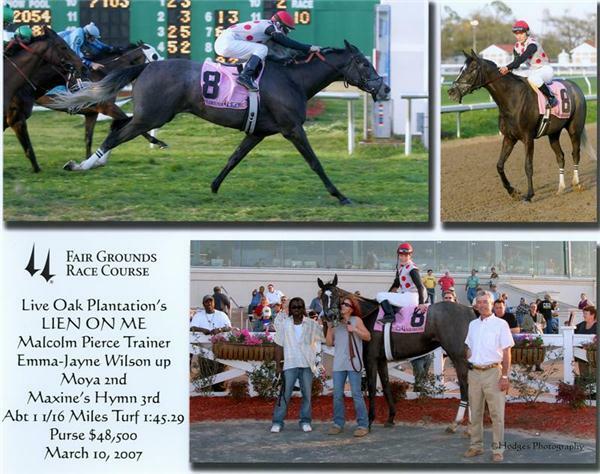 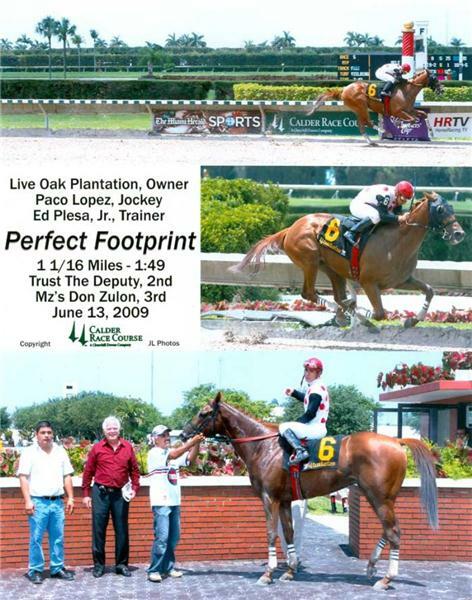 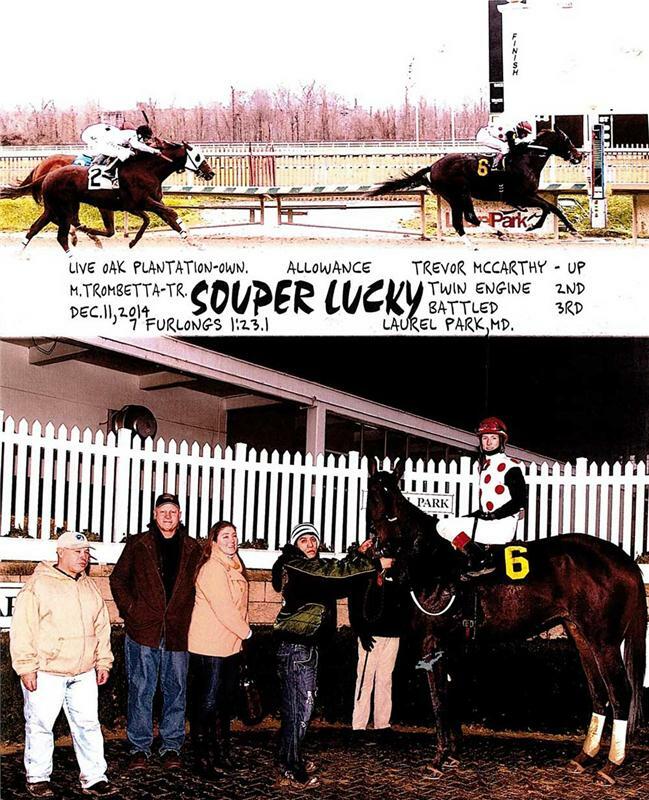 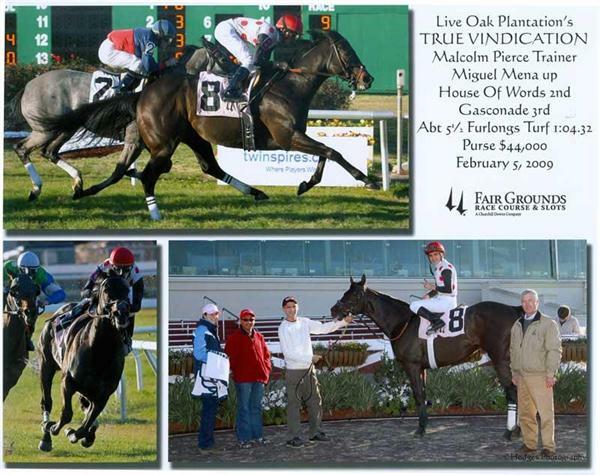 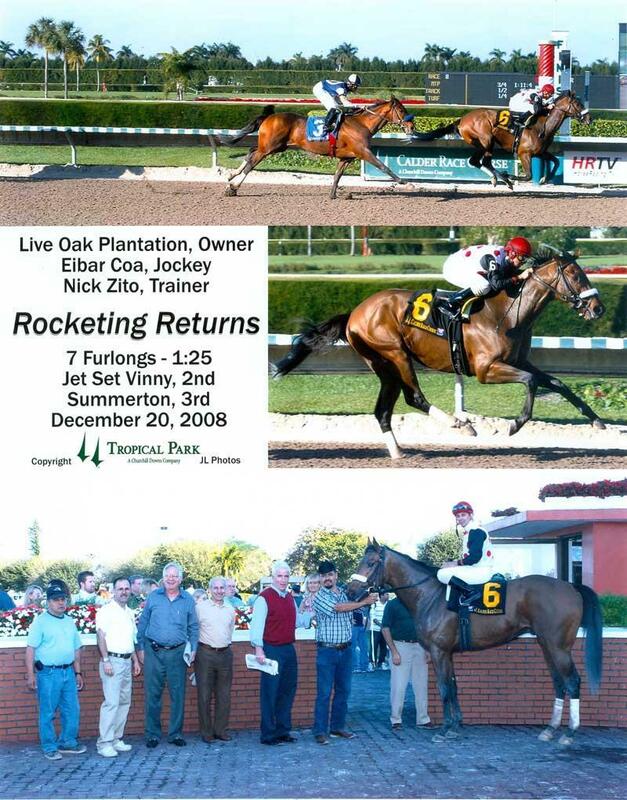 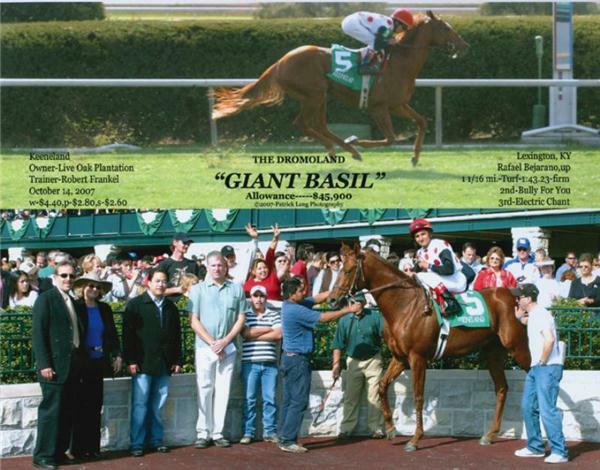 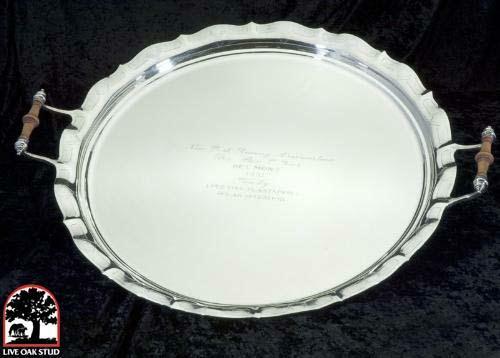 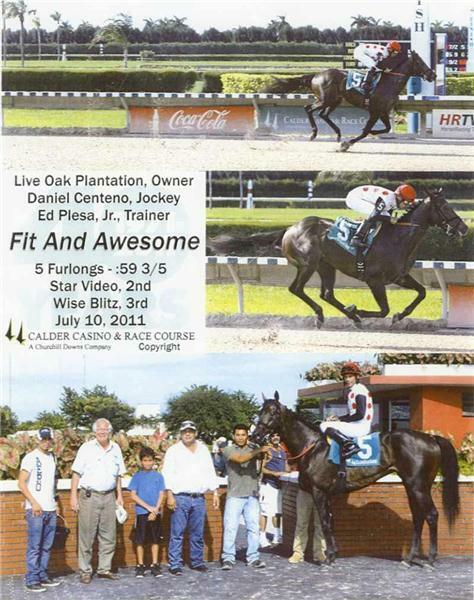 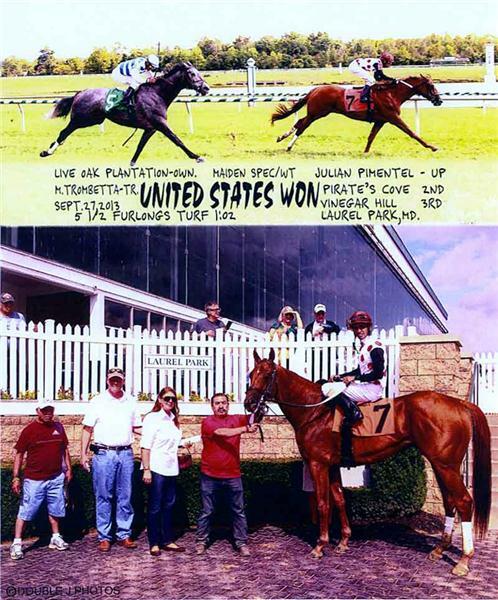 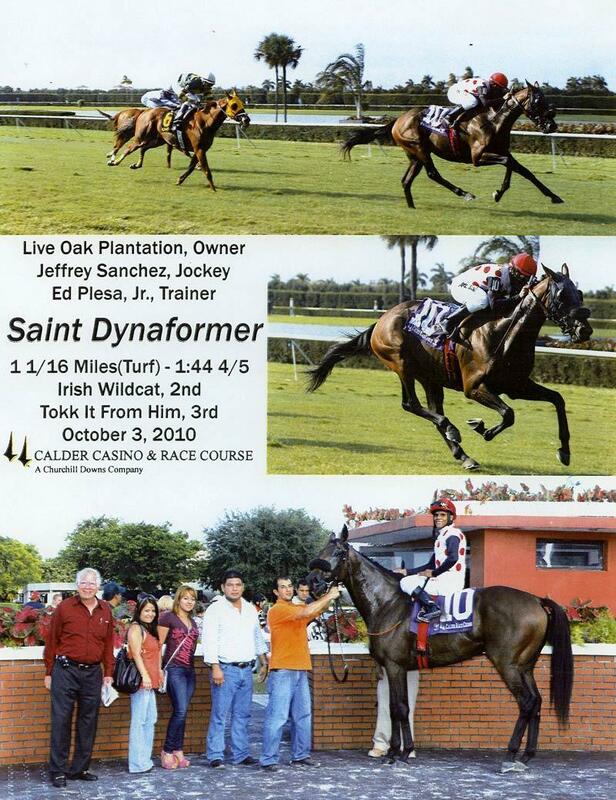 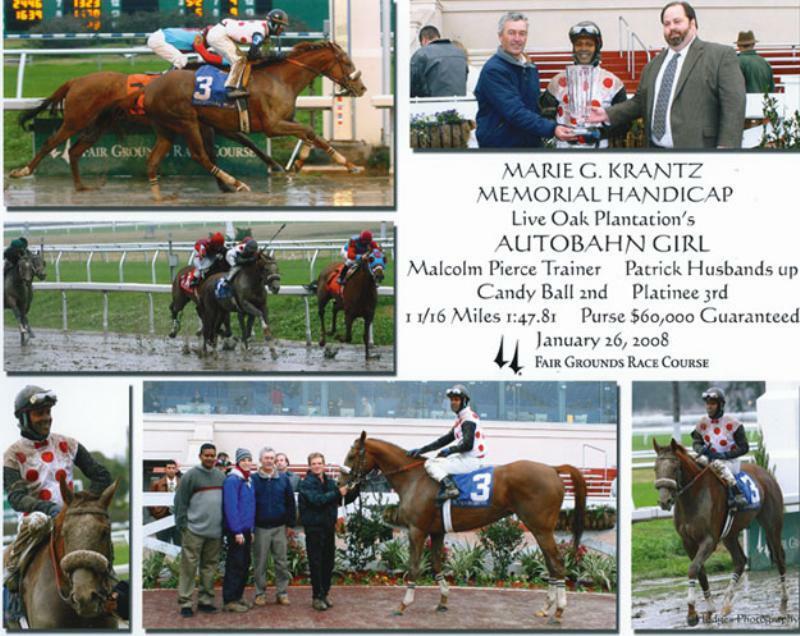 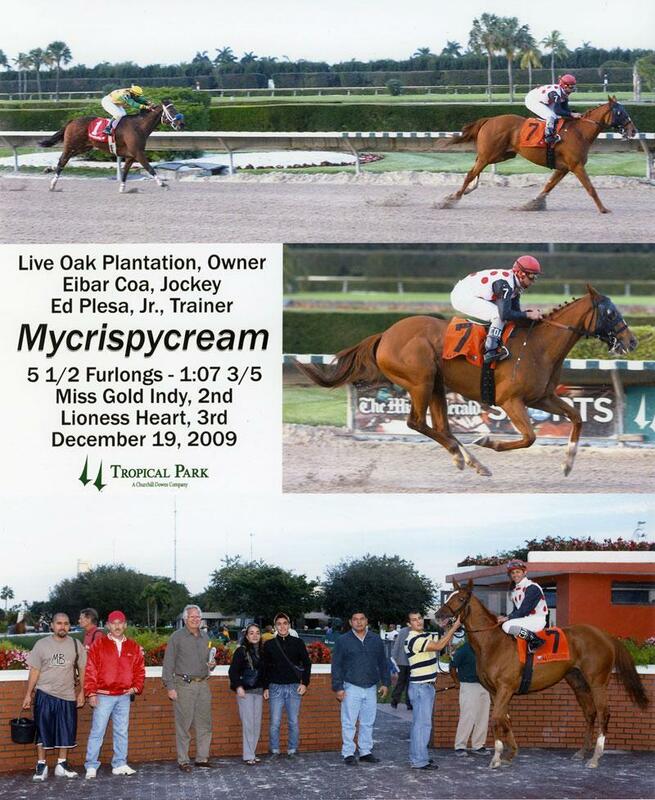 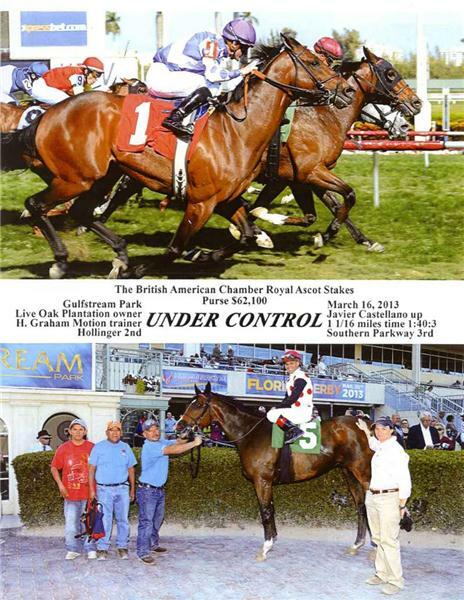 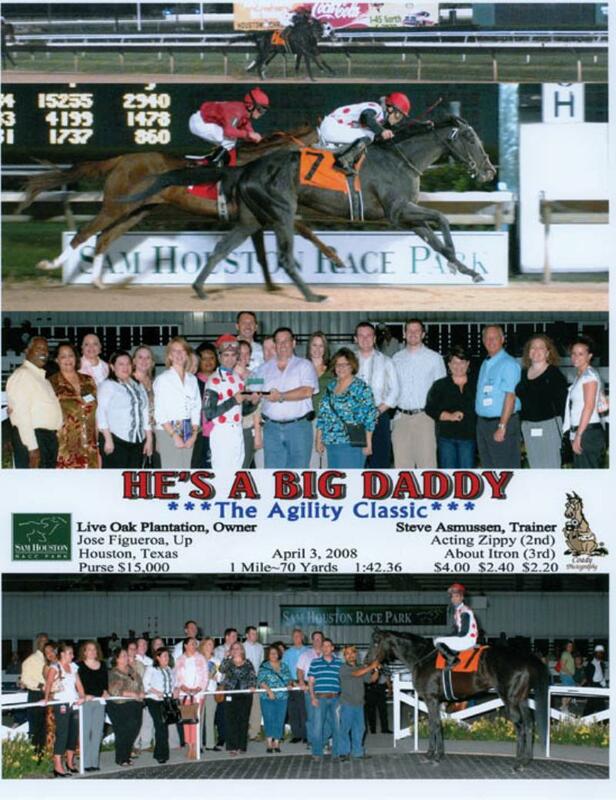 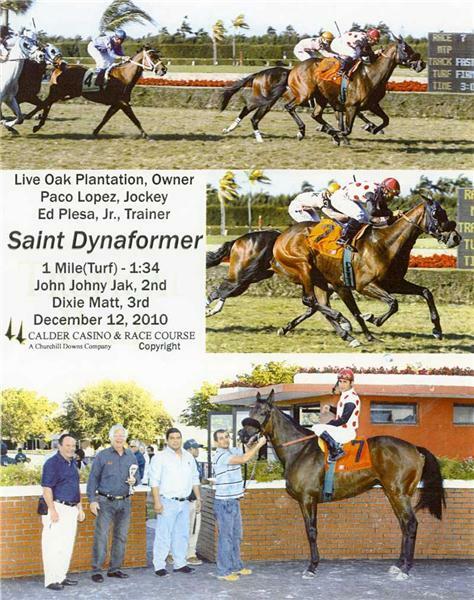 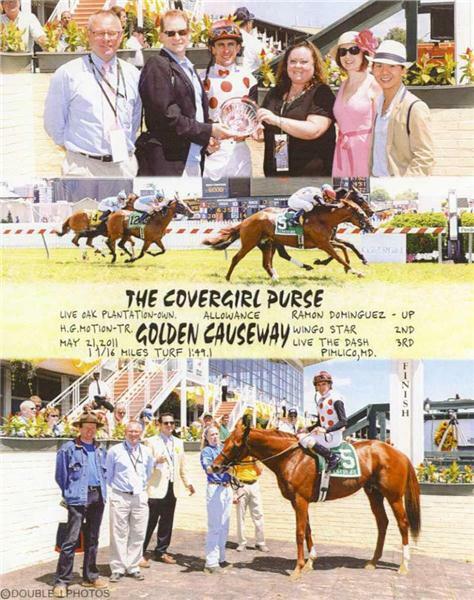 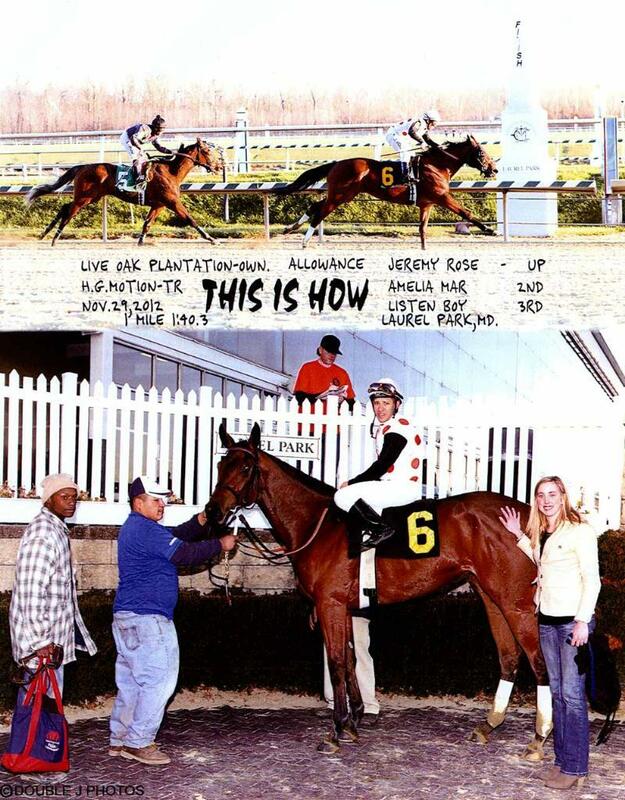 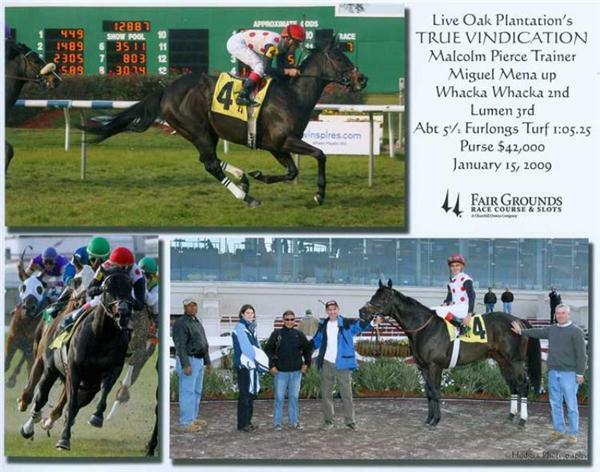 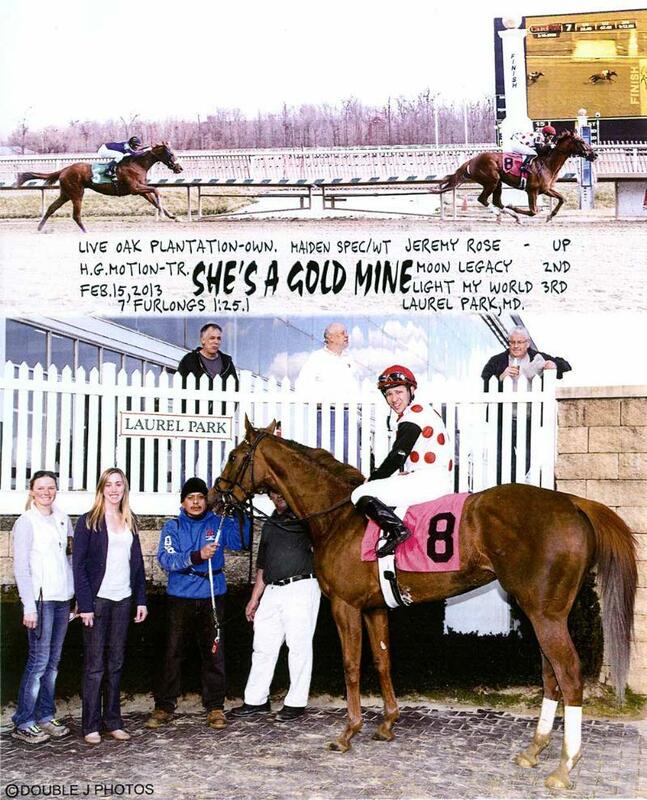 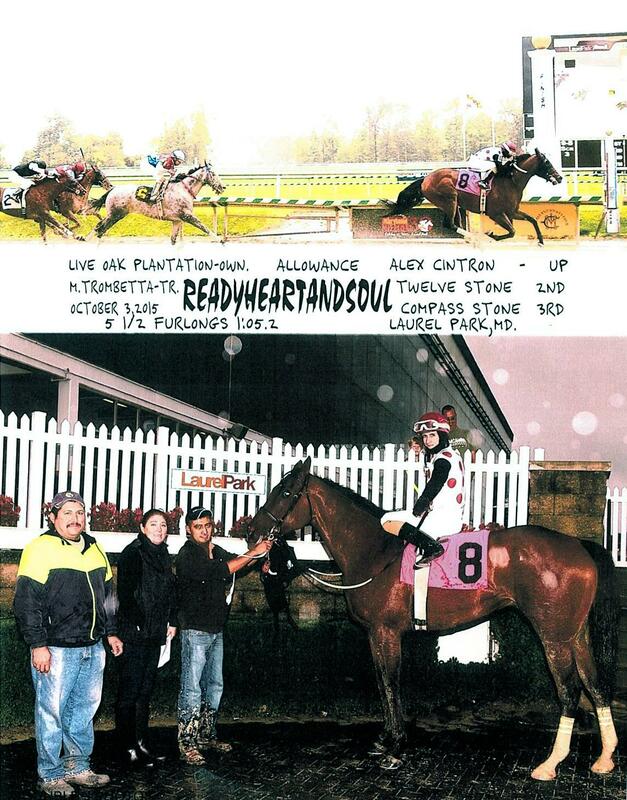 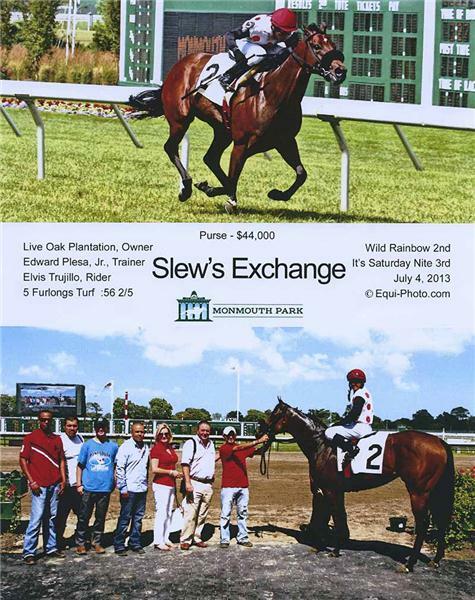 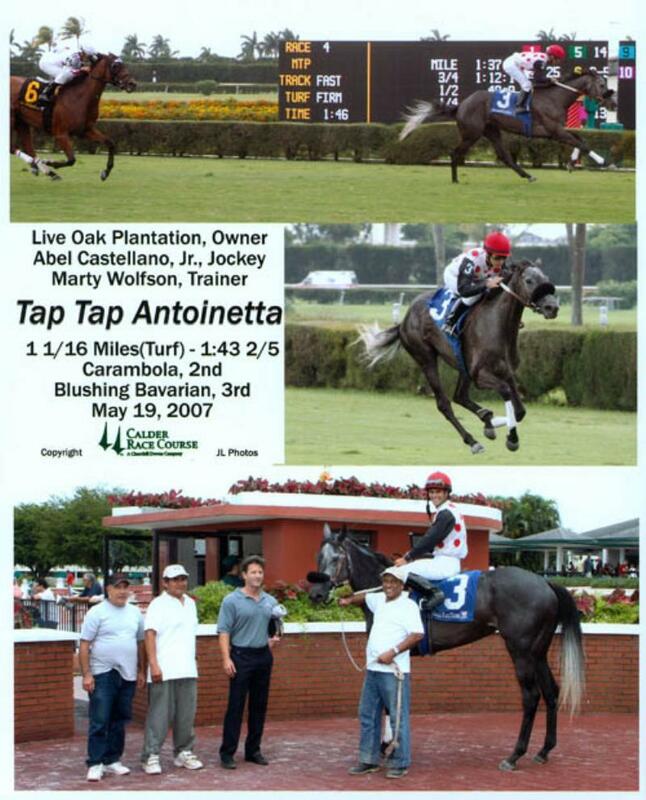 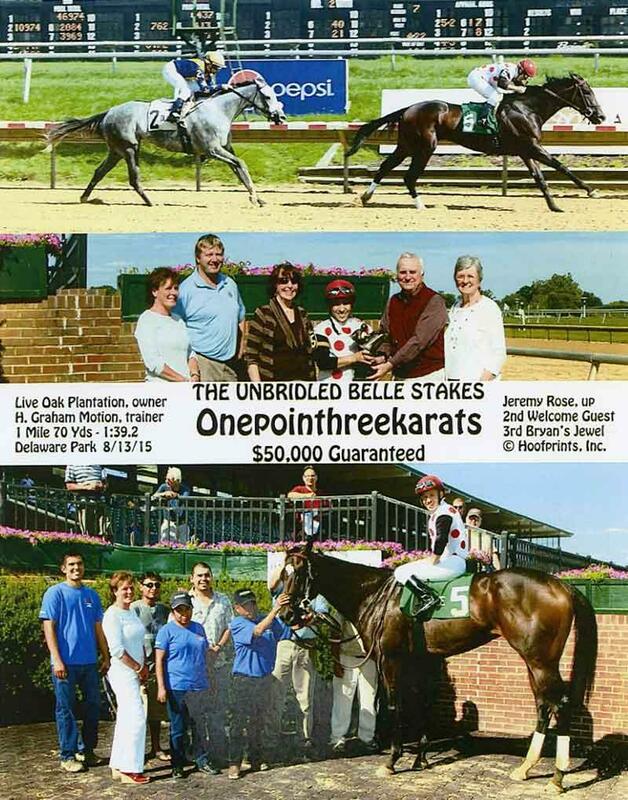 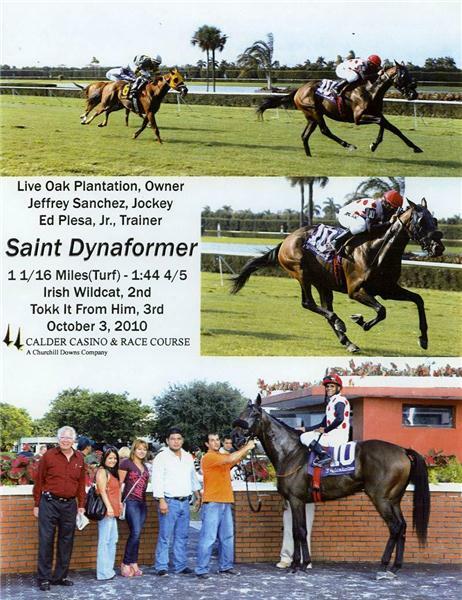 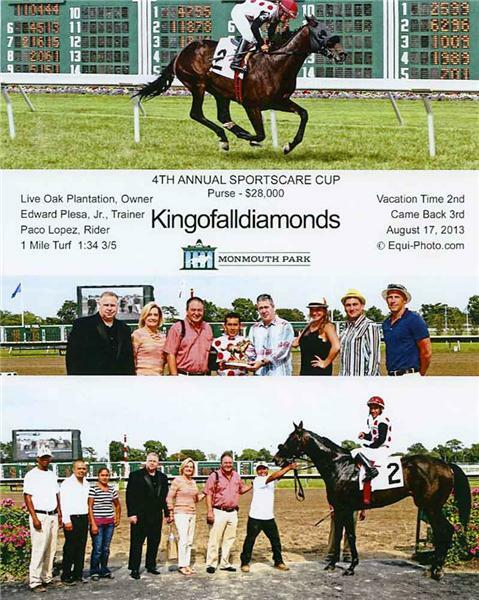 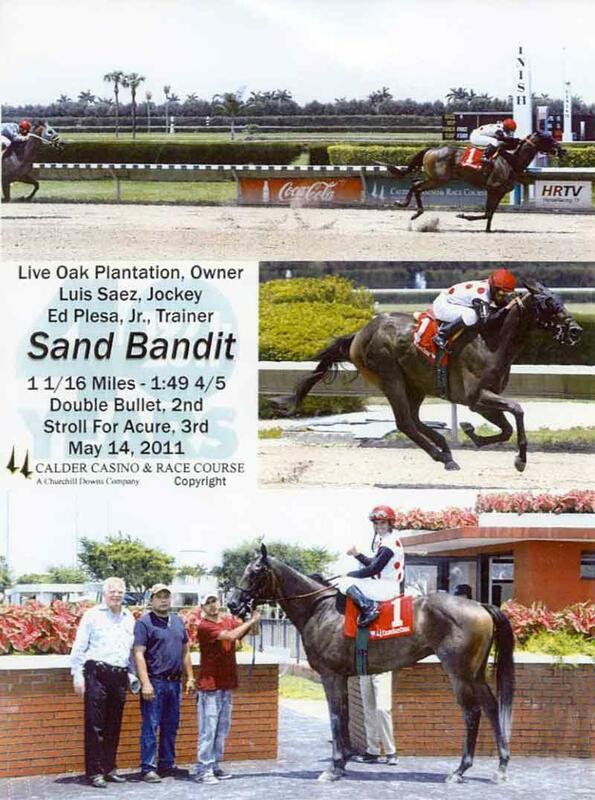 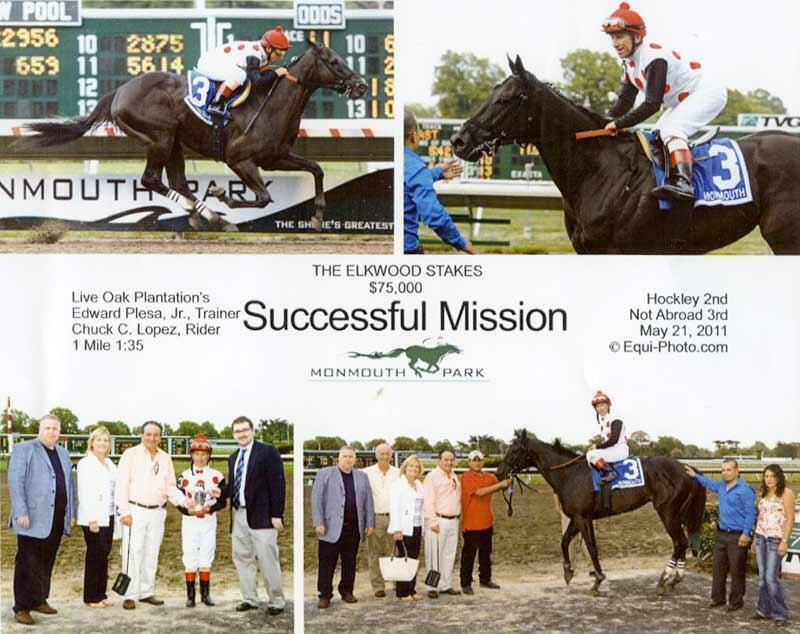 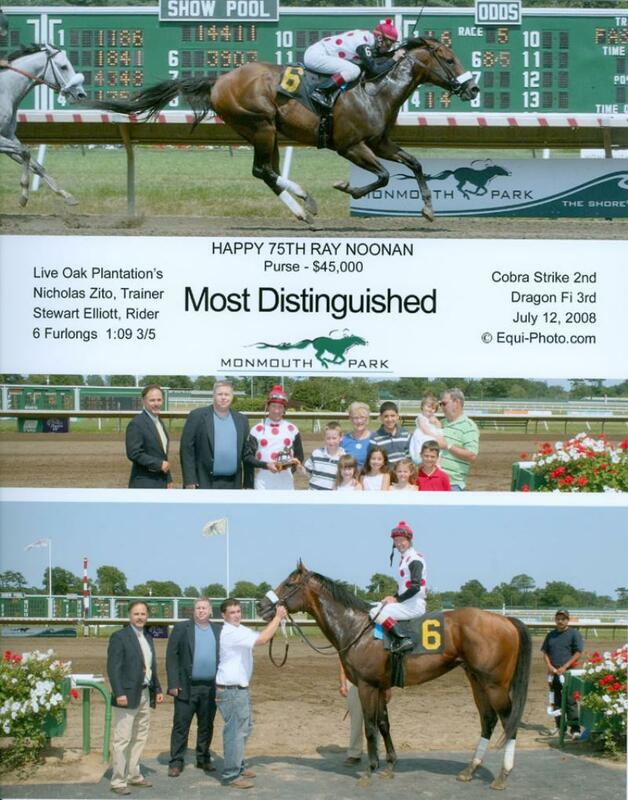 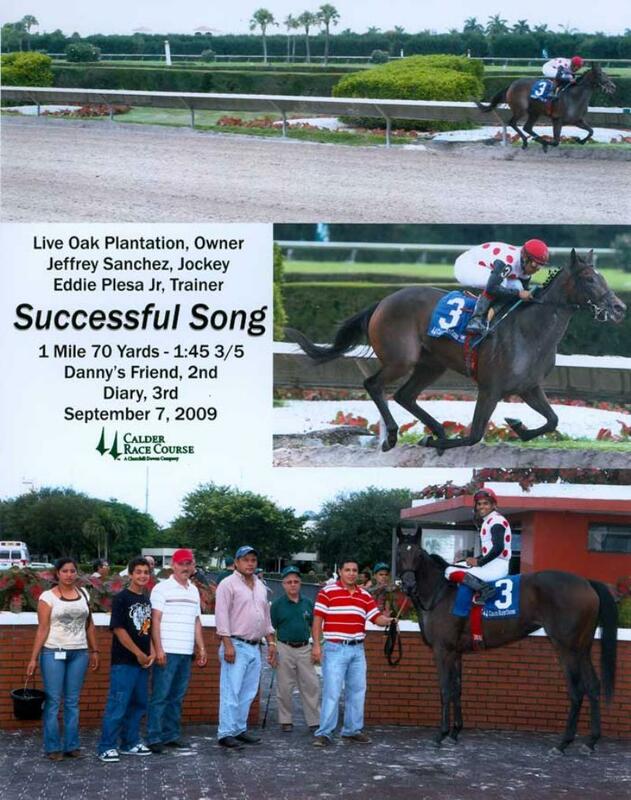 Since 2005, Live Oak Plantation enjoyed banner years with its racing operation. 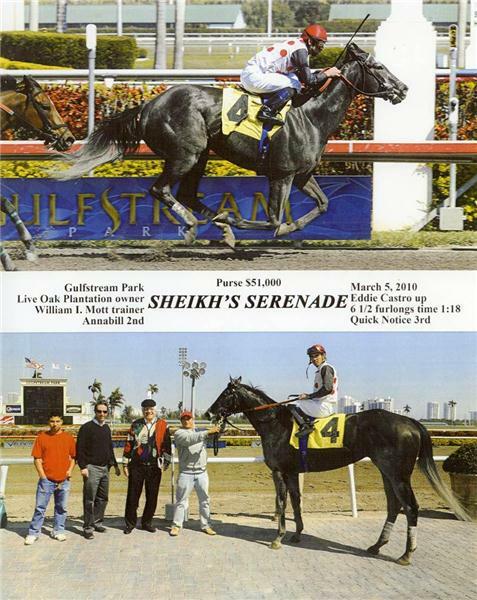 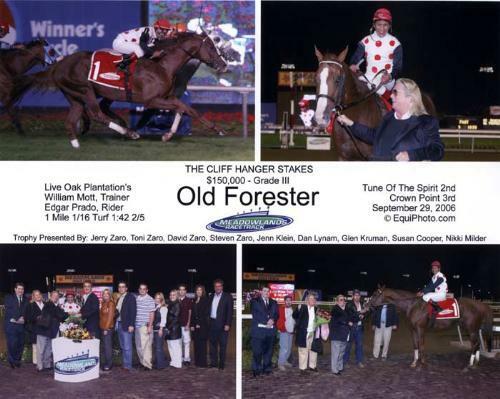 Live Oak, which witnessed homebred Laser Light finish runner-up in the 1982 Kentucky Derby, got back to the world’s biggest race in 2005 with the top 3-year-old homebred High Fly, winner of the Florida Derby (G1) and Fountain of Youth (G2). 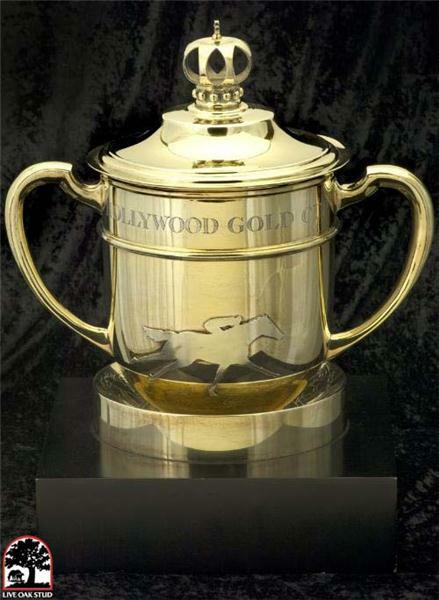 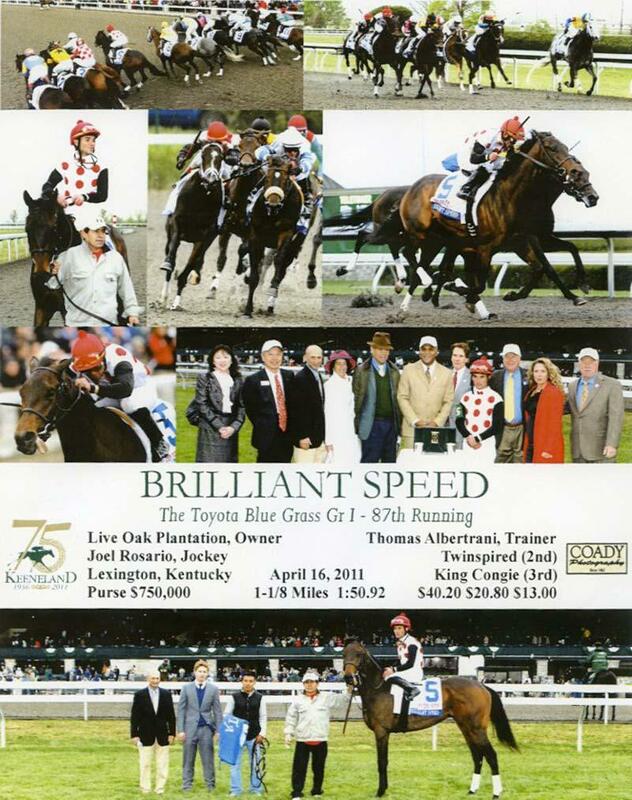 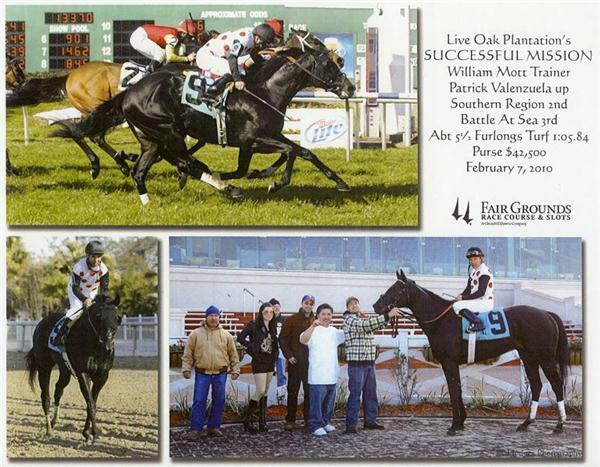 Live Oak was also represented in that year’s Kentucky Oaks by Grade 1 winner In the Gold, who finished second. 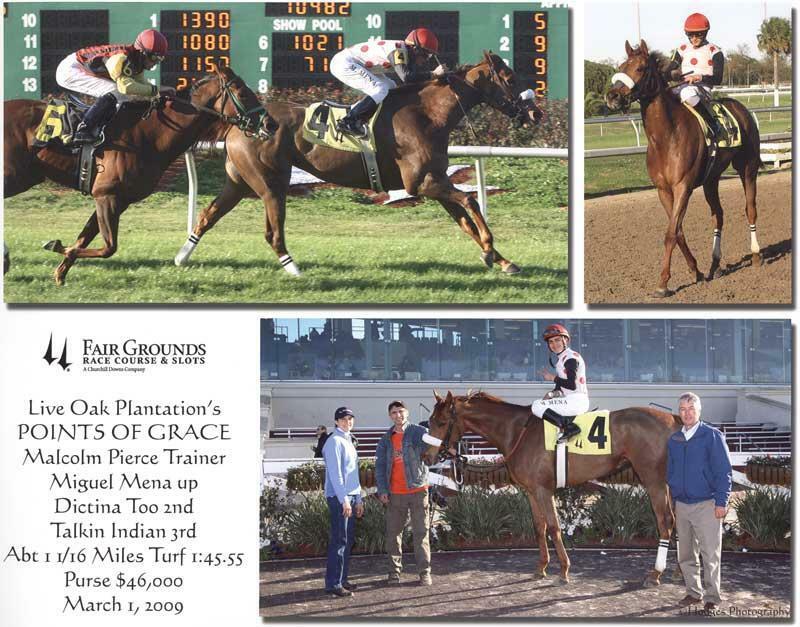 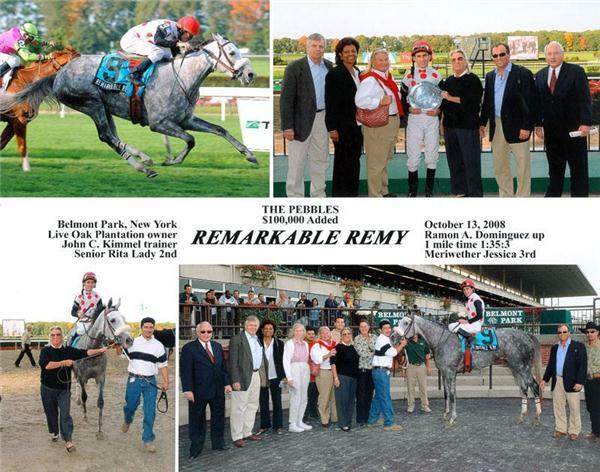 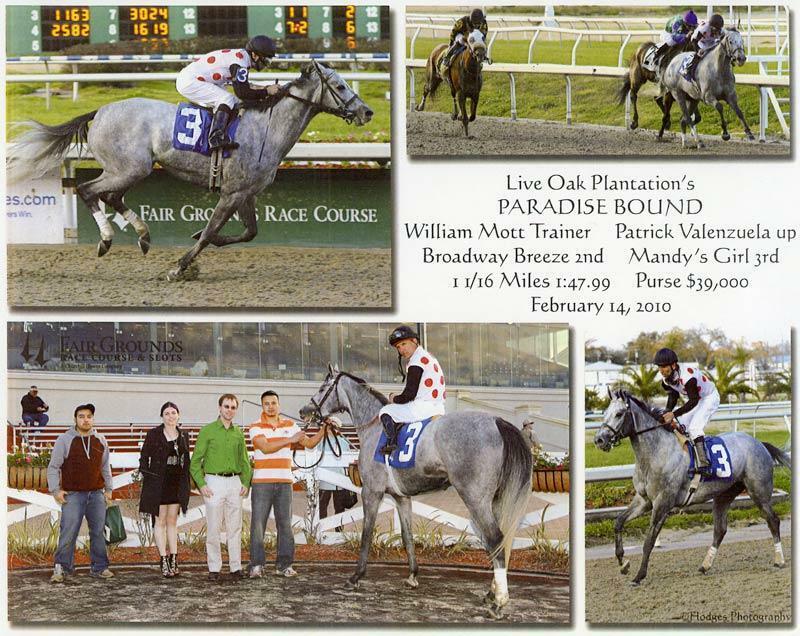 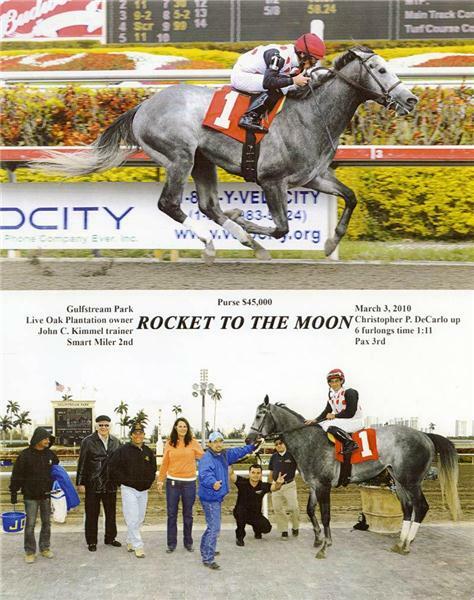 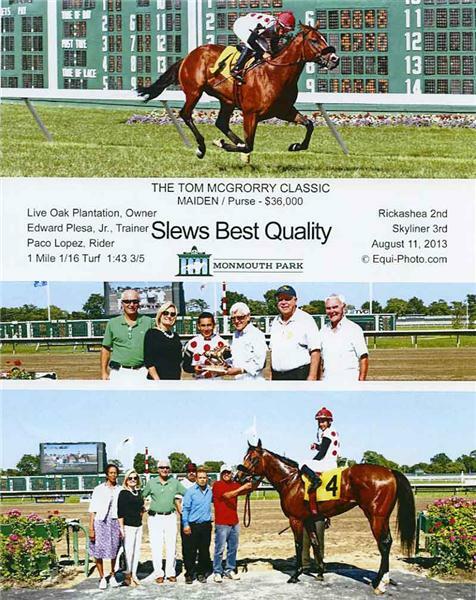 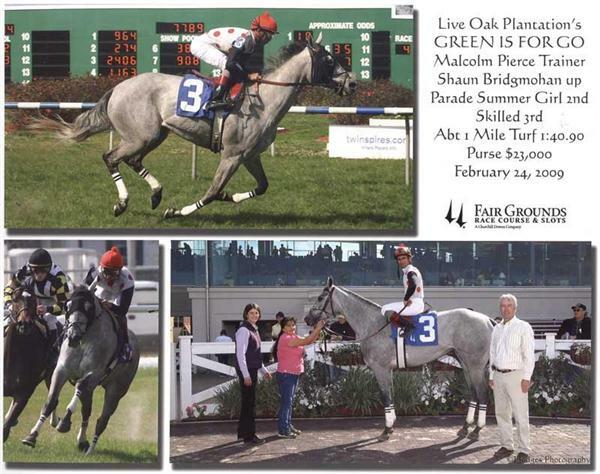 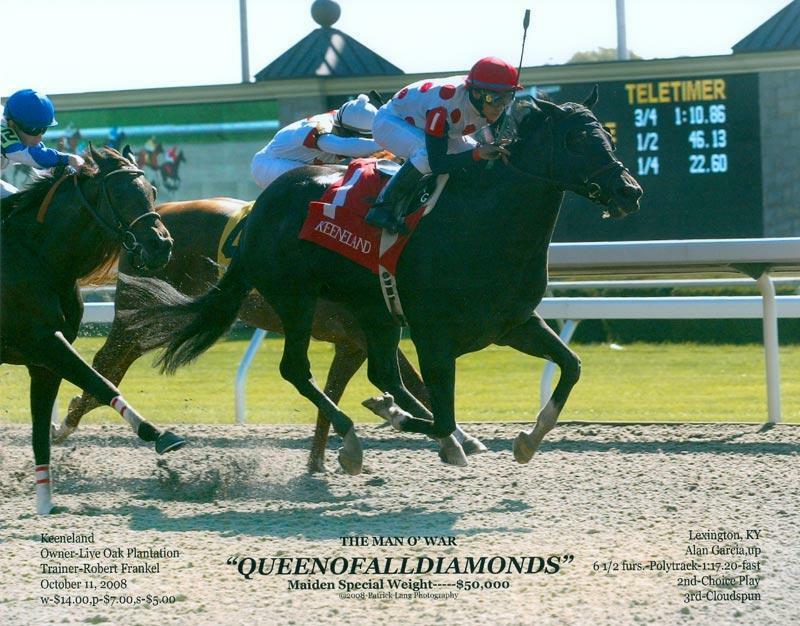 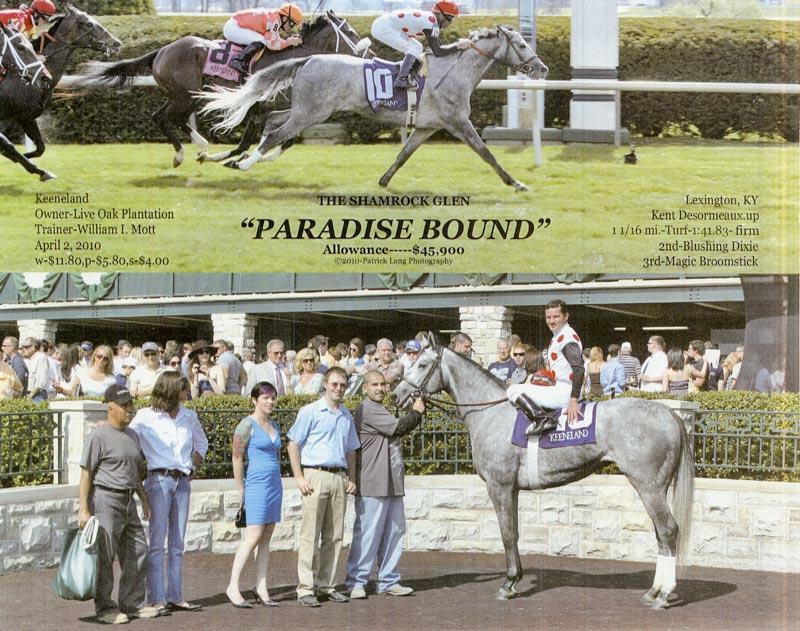 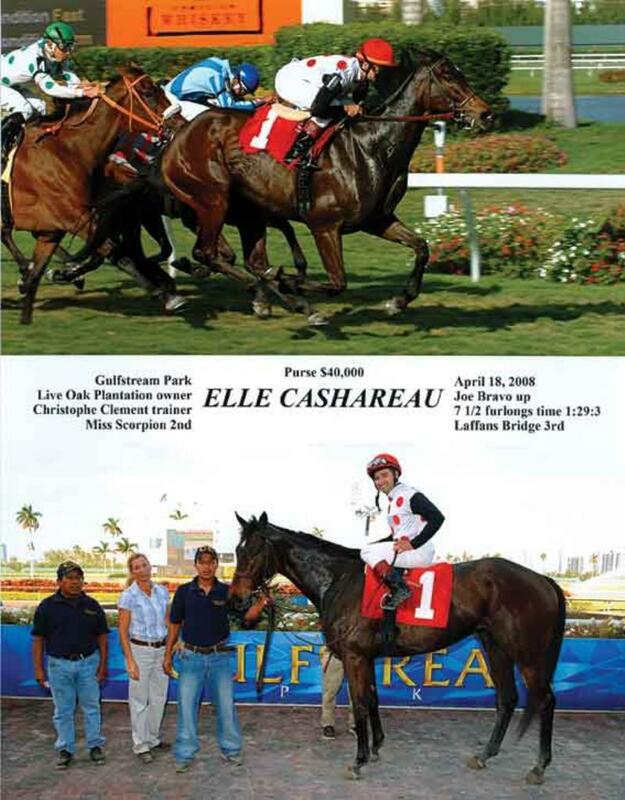 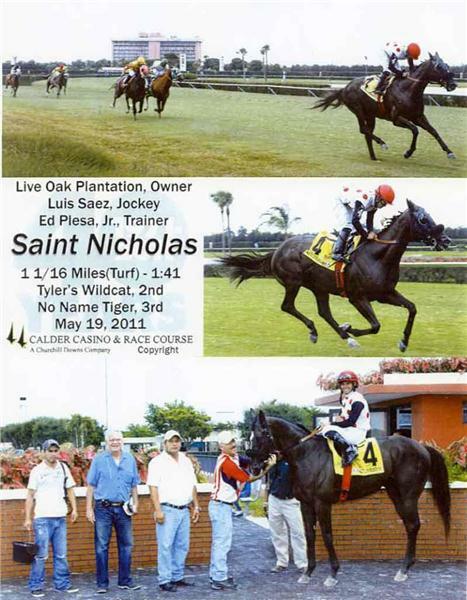 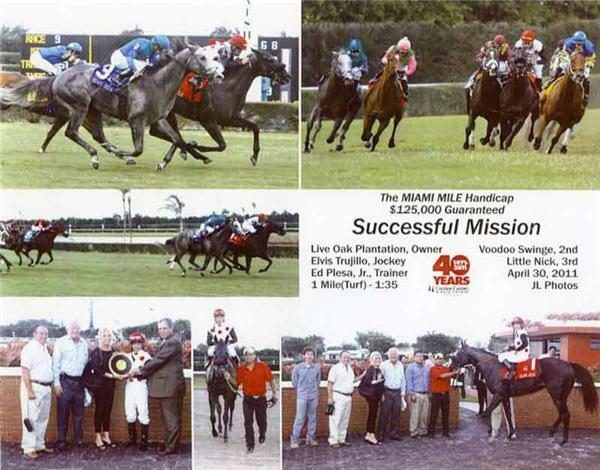 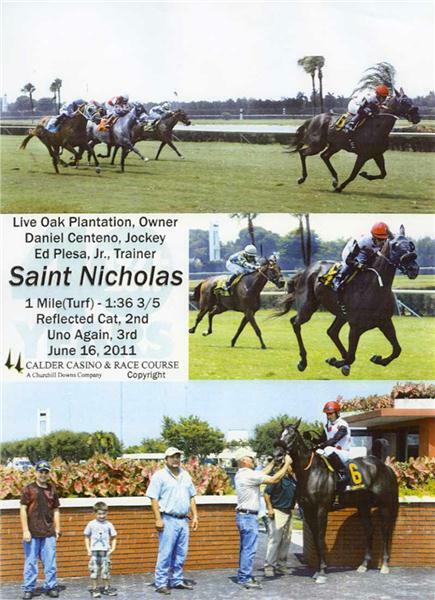 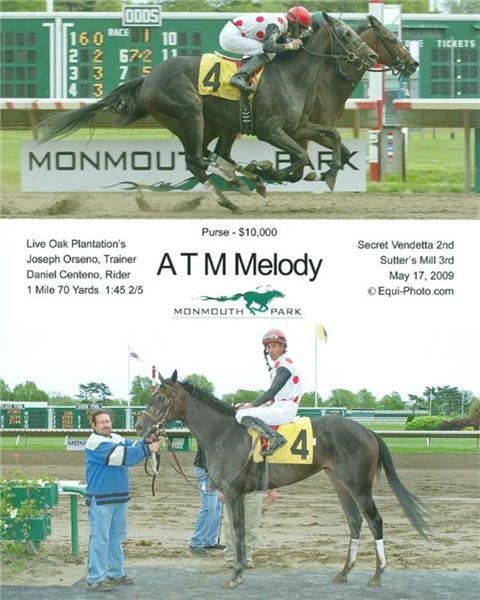 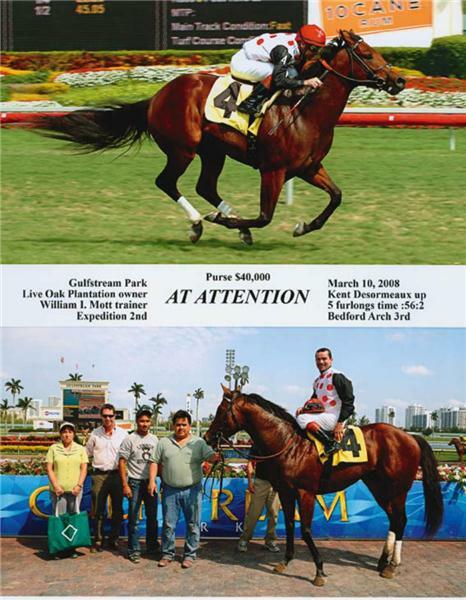 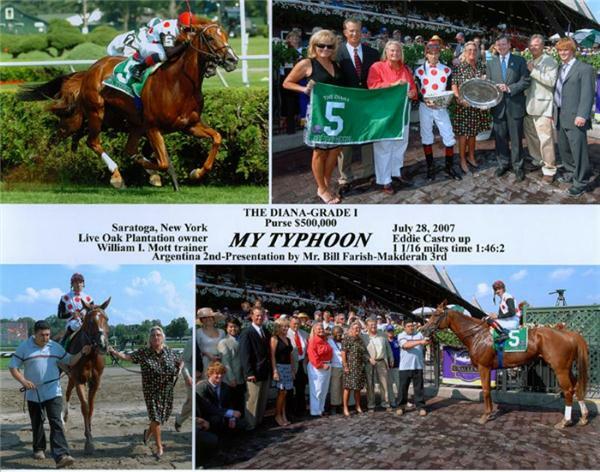 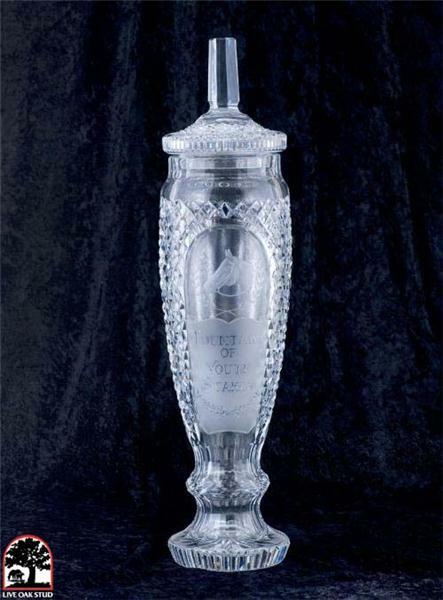 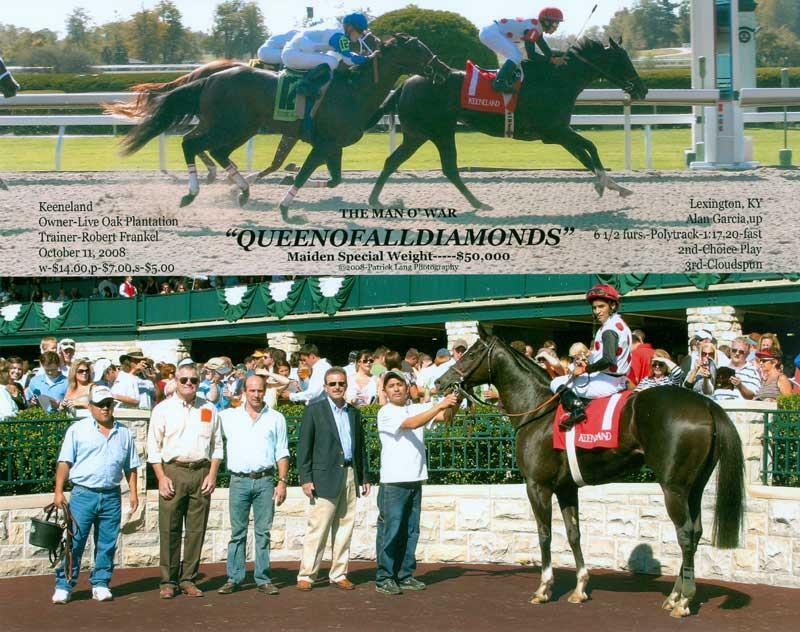 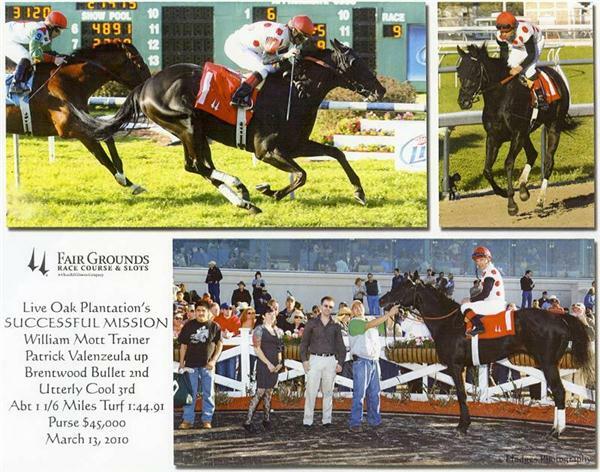 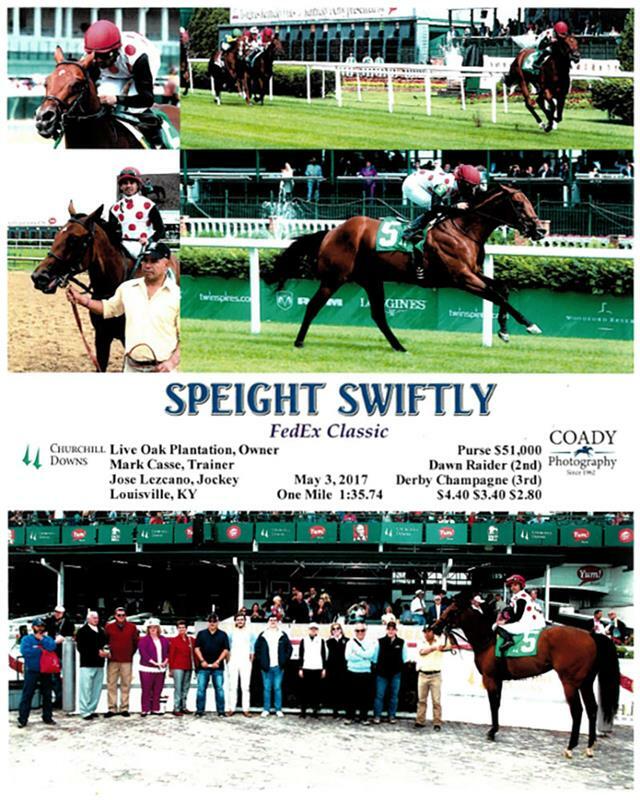 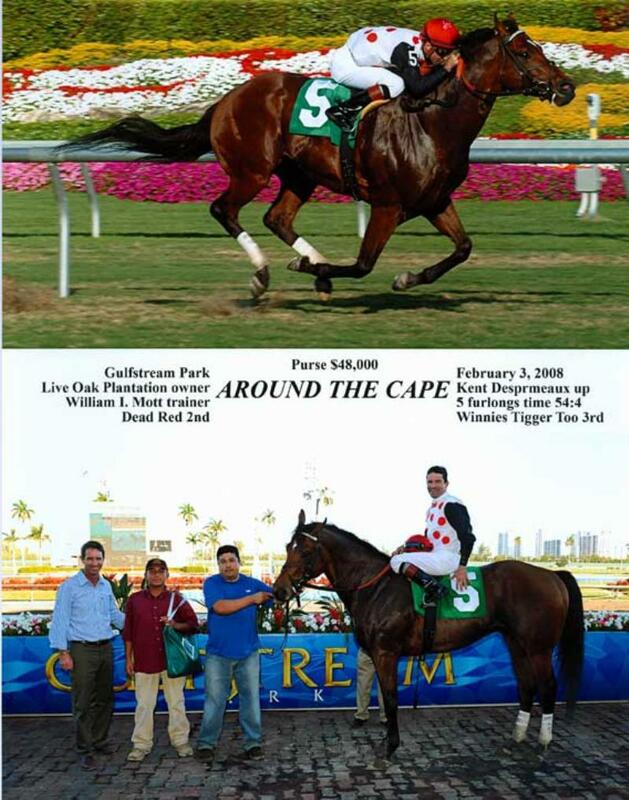 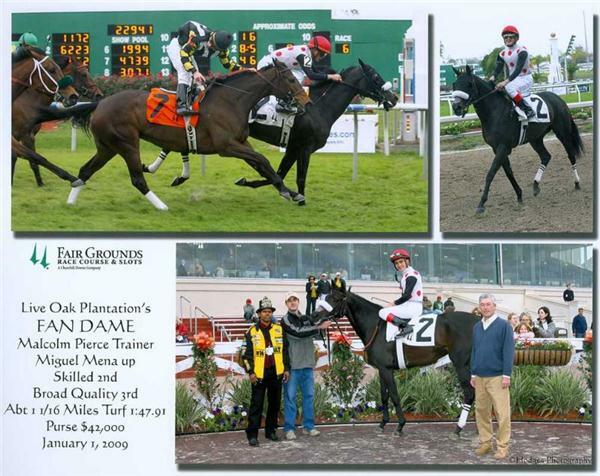 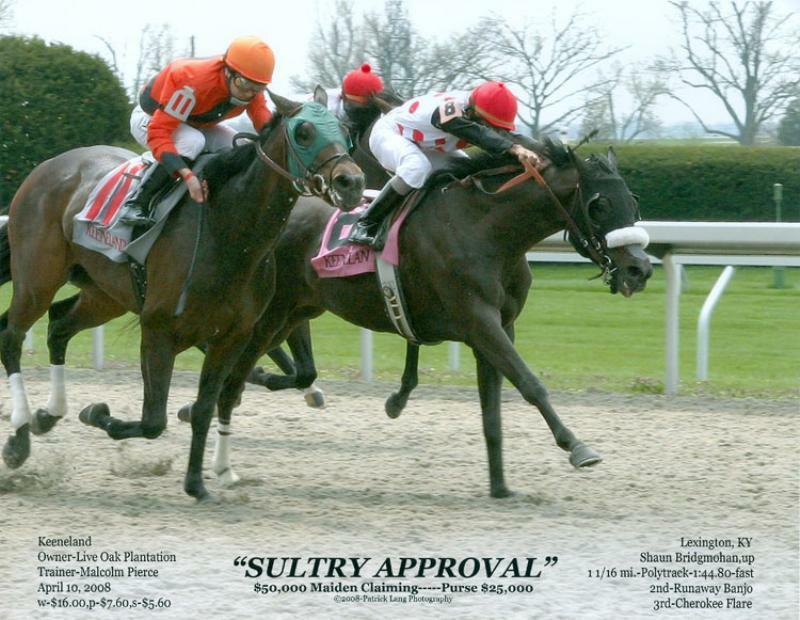 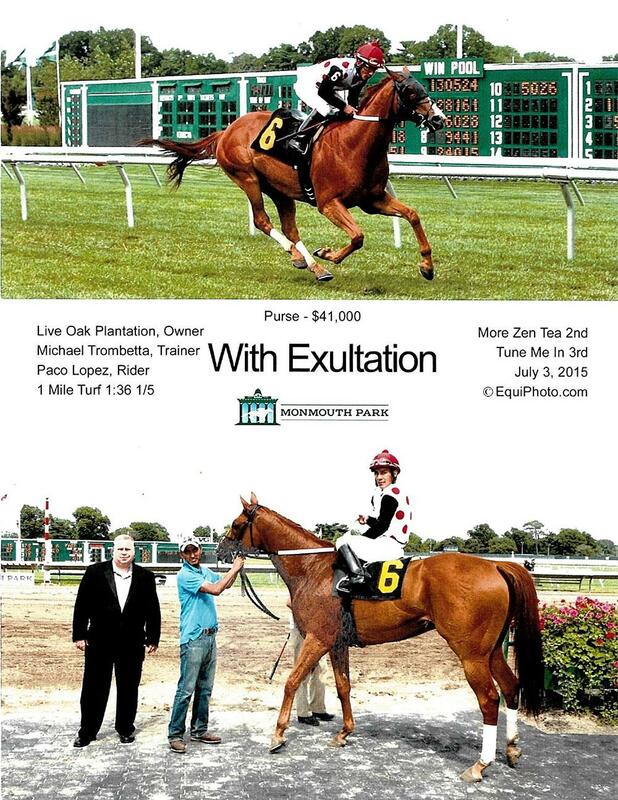 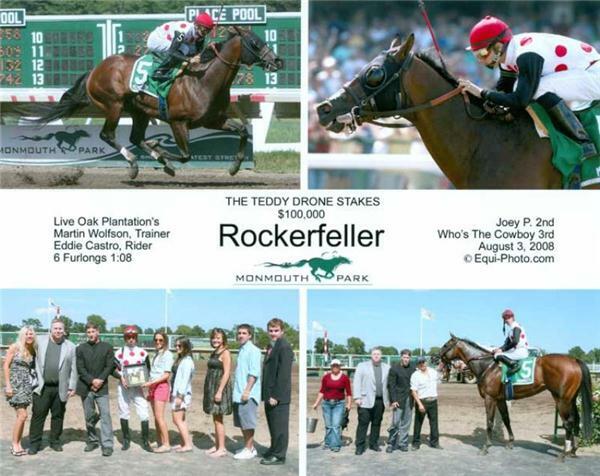 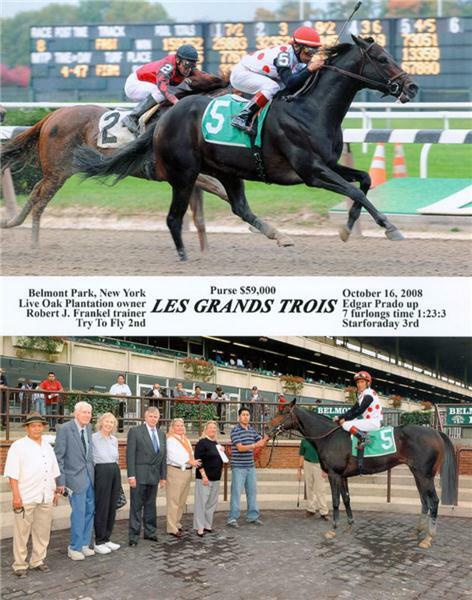 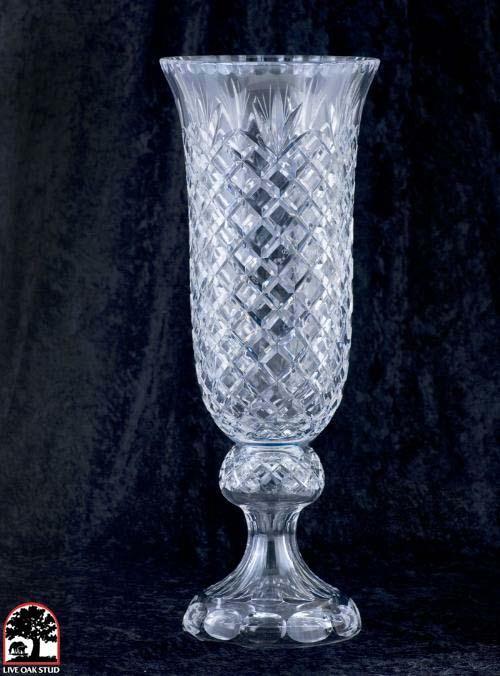 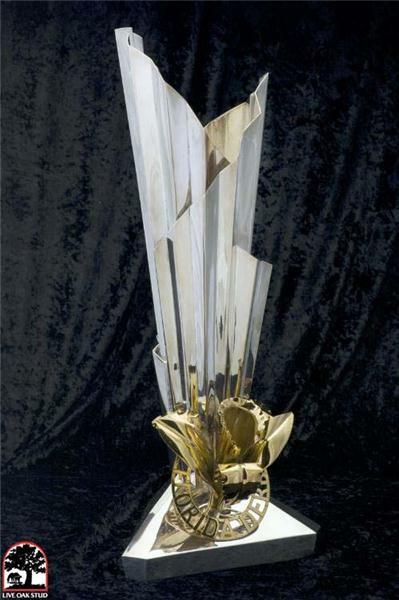 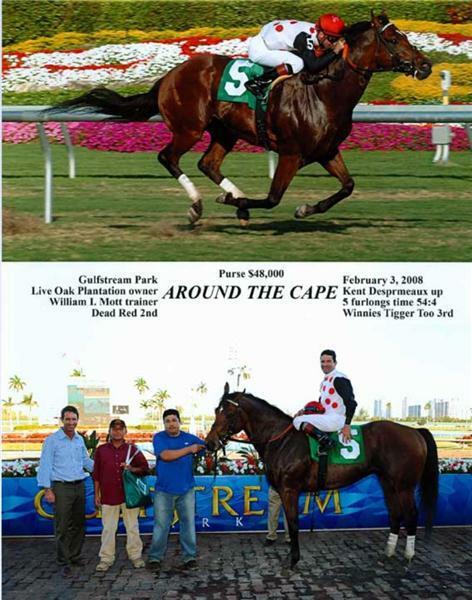 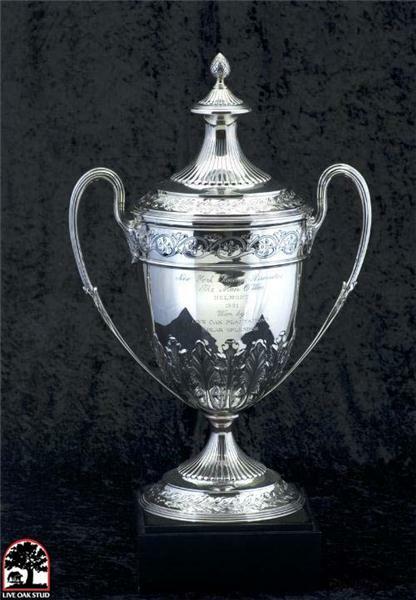 The momentum carried over into 2006 where the success reached another level, with eight Live Oak Plantation stalwarts winning a total of 13 graded races. 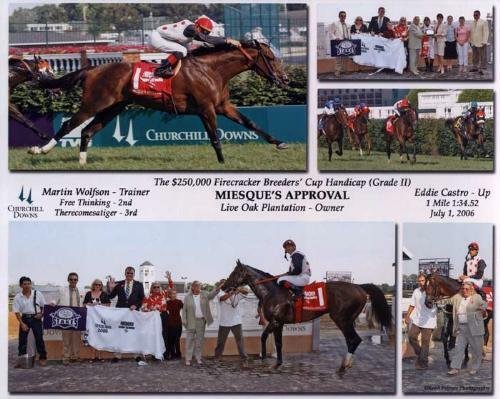 Leading the way was Miesque’s Approval, a homebred who enjoyed a storybook turnaround at the age of seven to win the Breeders’ Cup Mile (G1) and an Eclipse Award for best male turf performer. 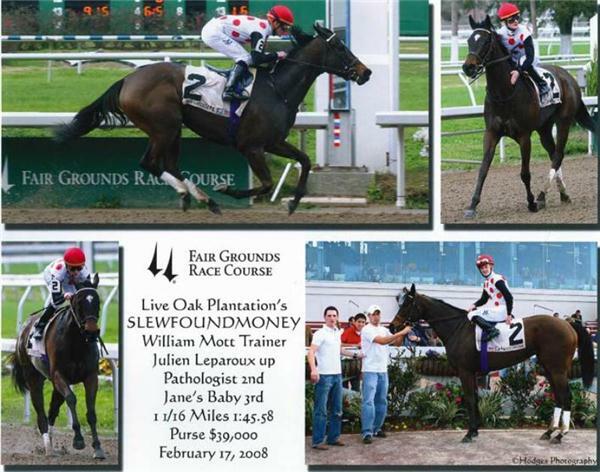 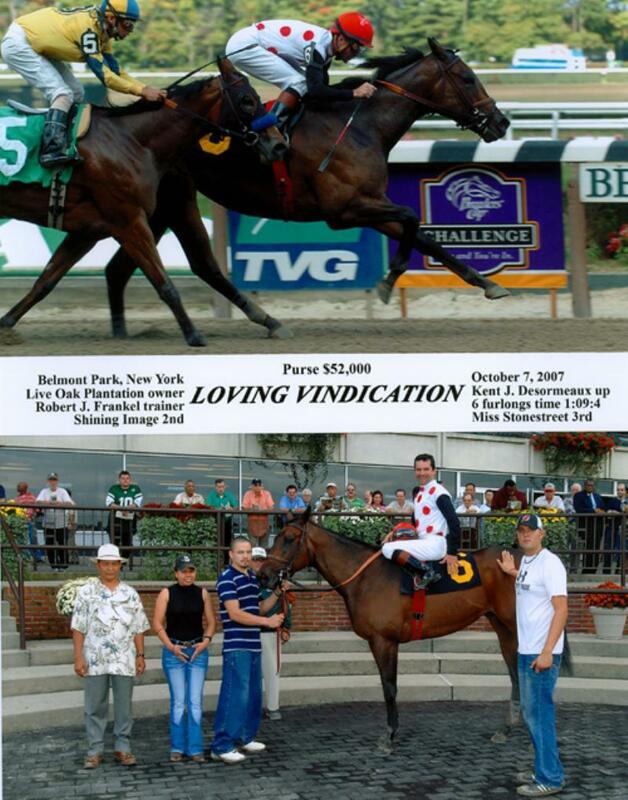 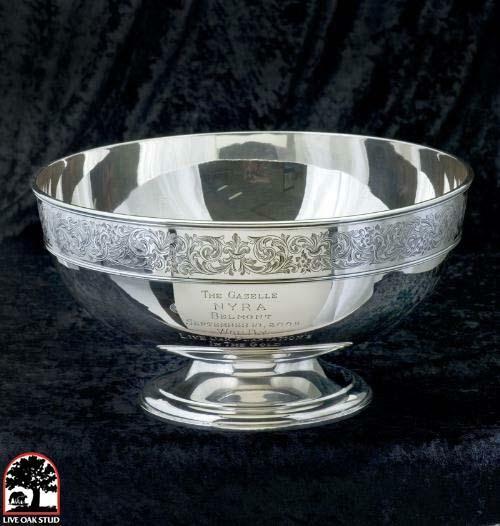 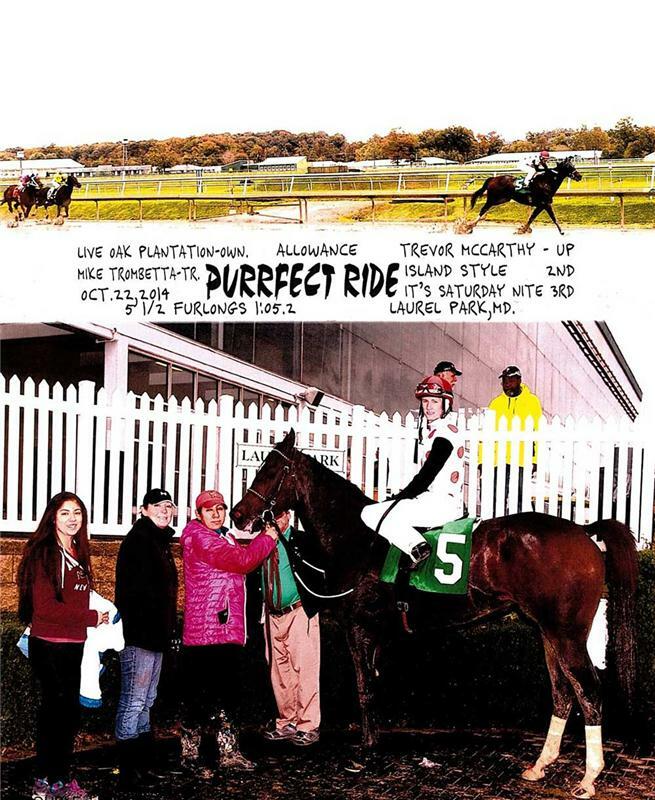 The Breeders’ Cup win was the first for Live Oak Plantation and it was delivered by a homebred that embodied the hard work, patience and perseverance upon which the racing operation has built its success. 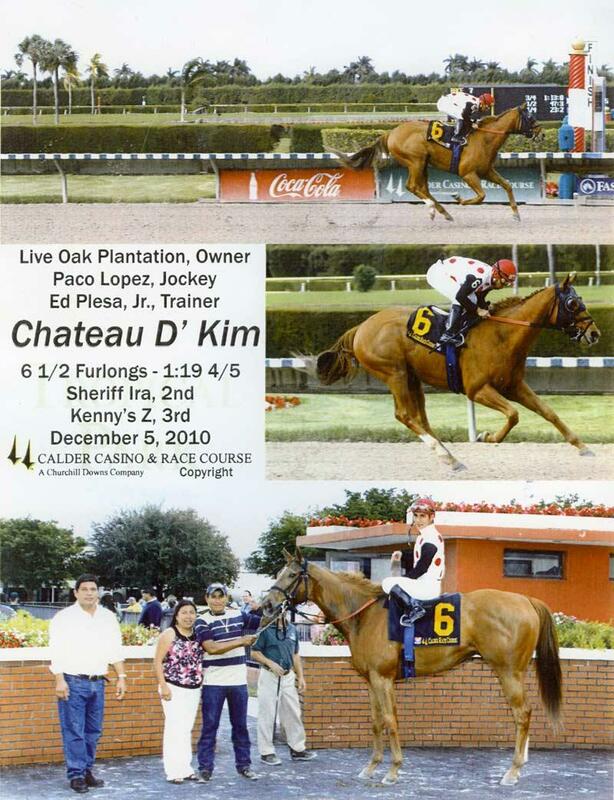 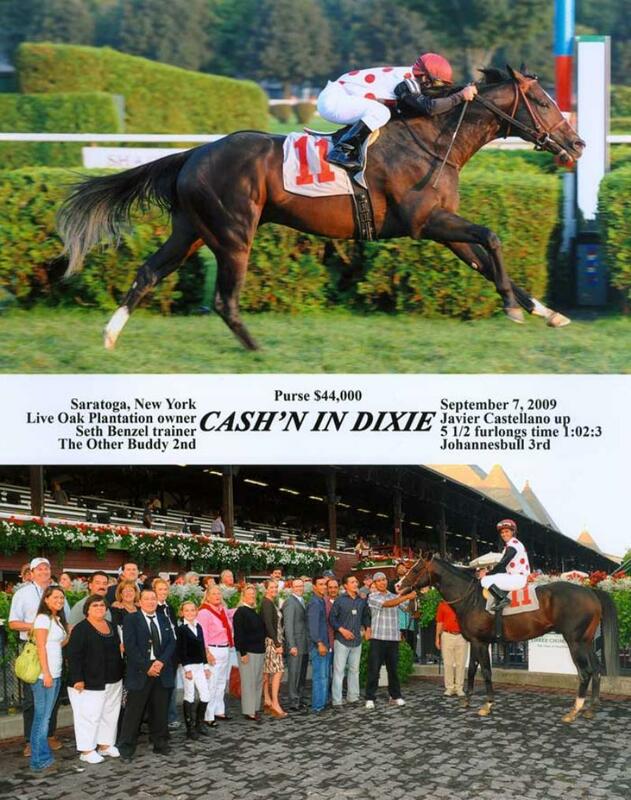 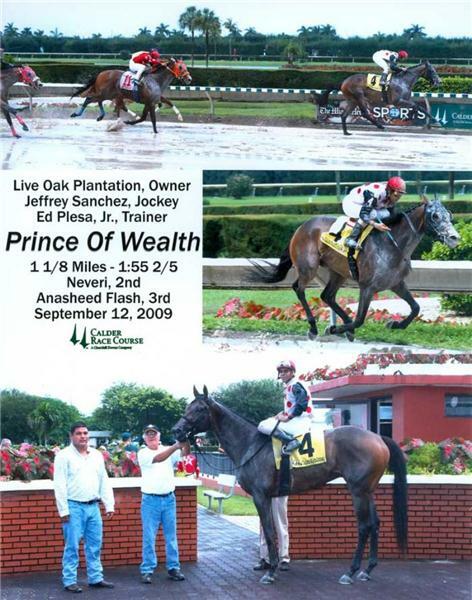 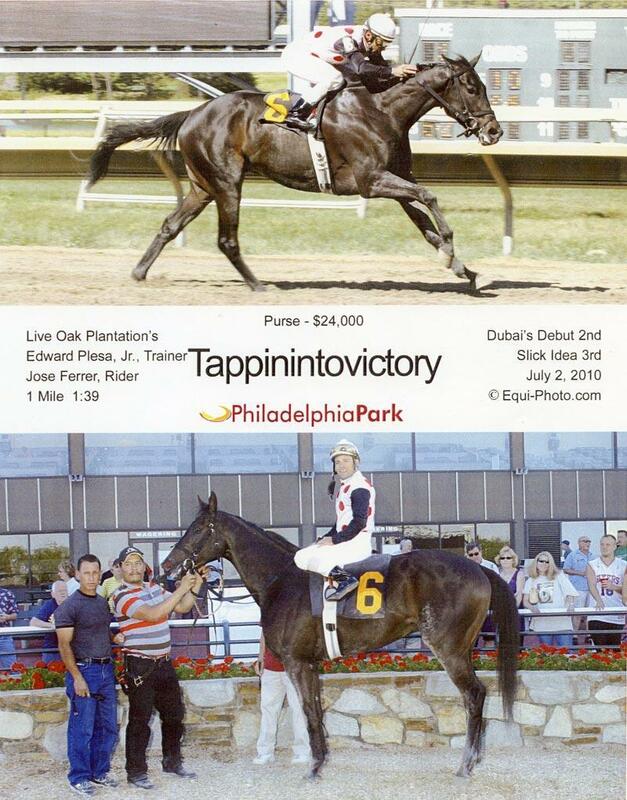 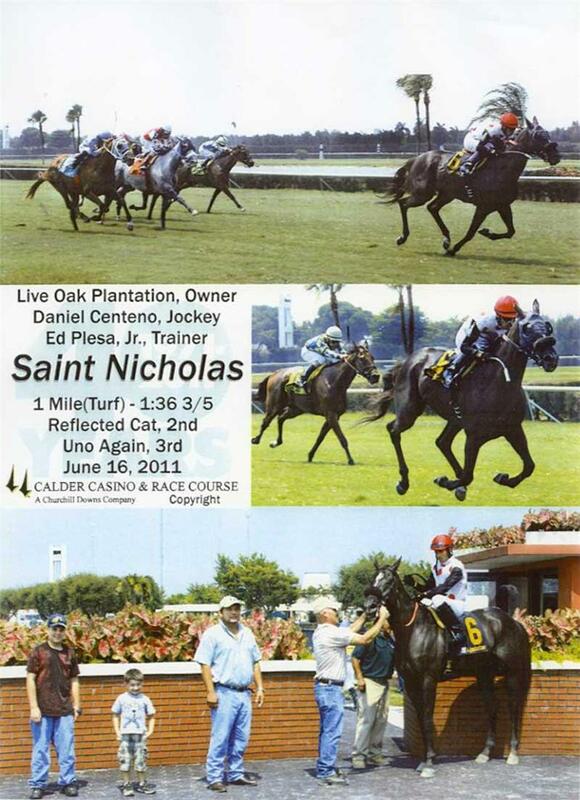 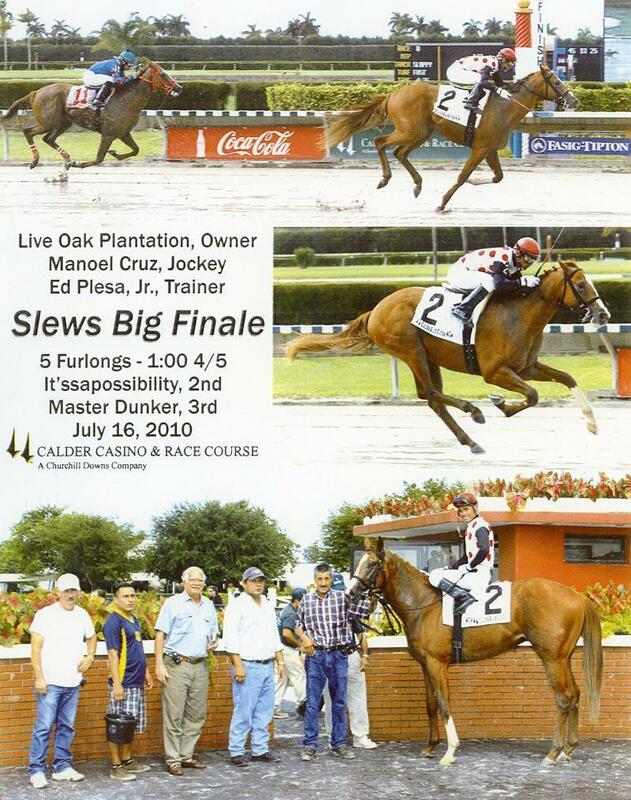 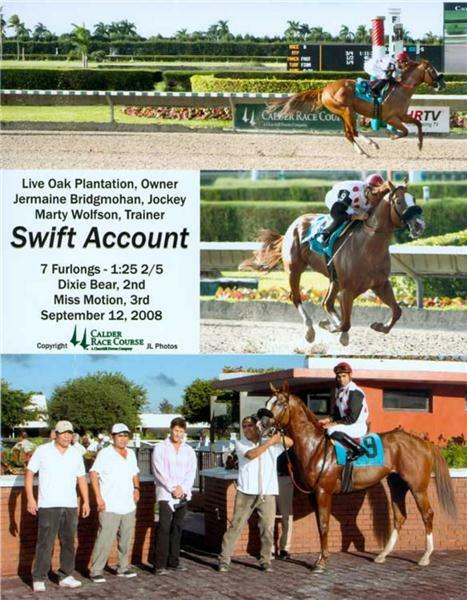 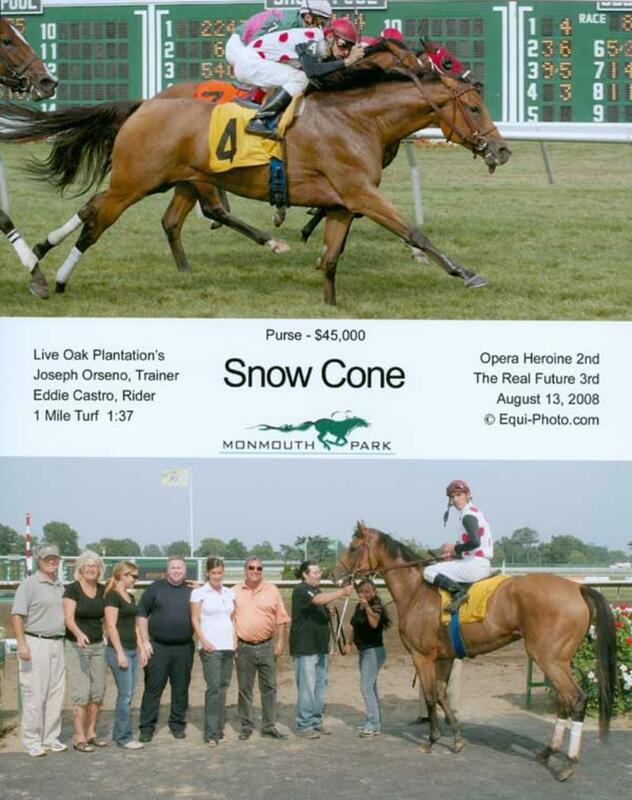 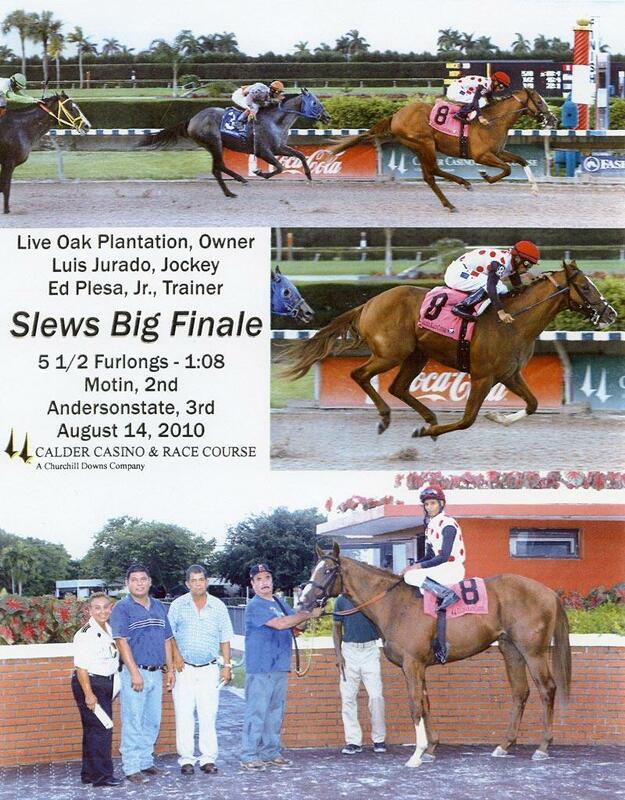 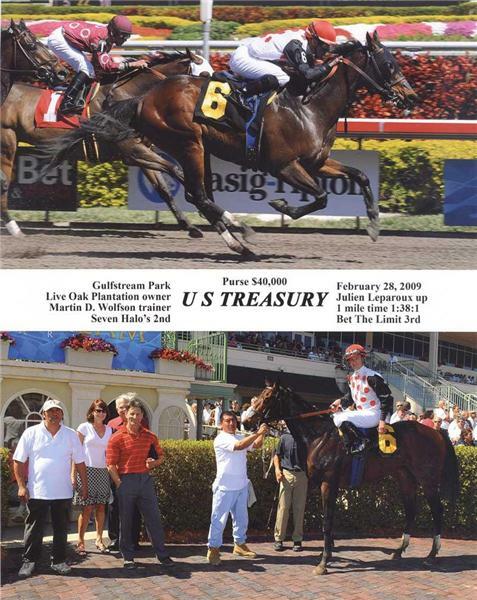 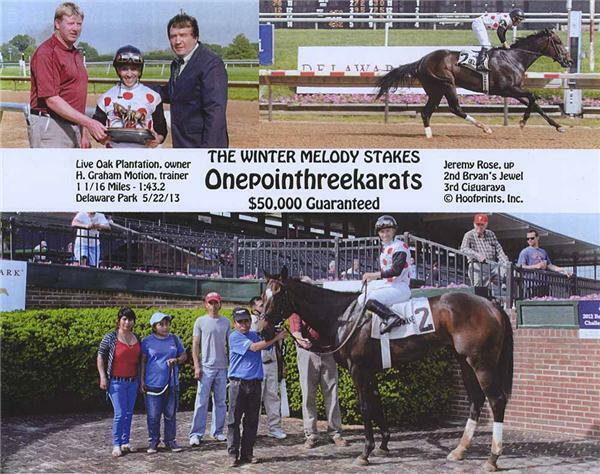 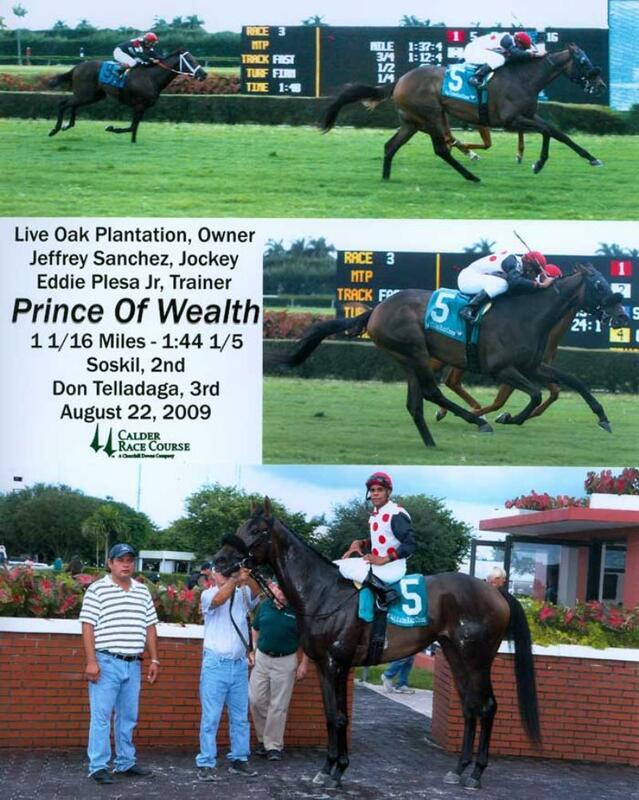 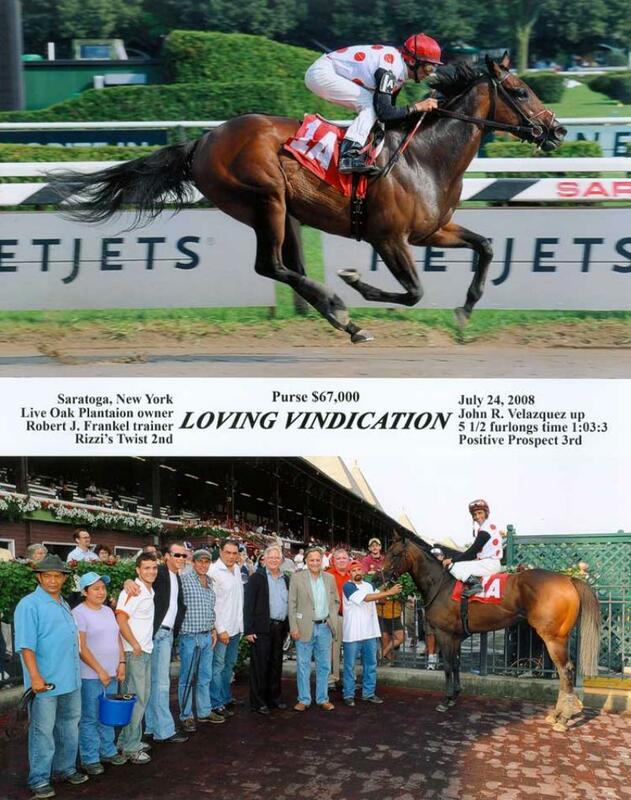 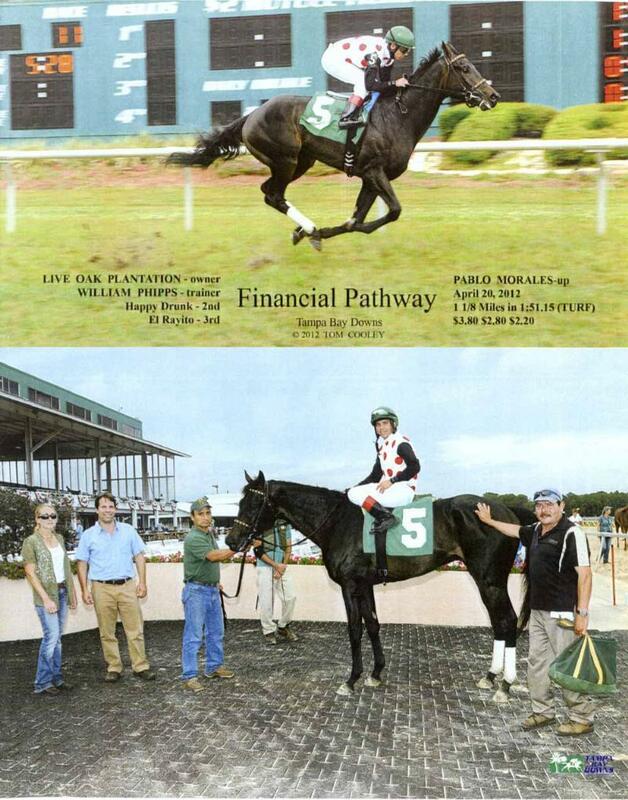 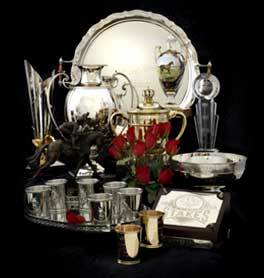 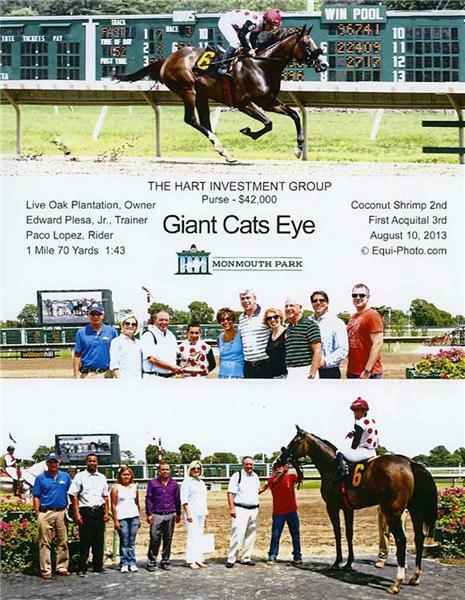 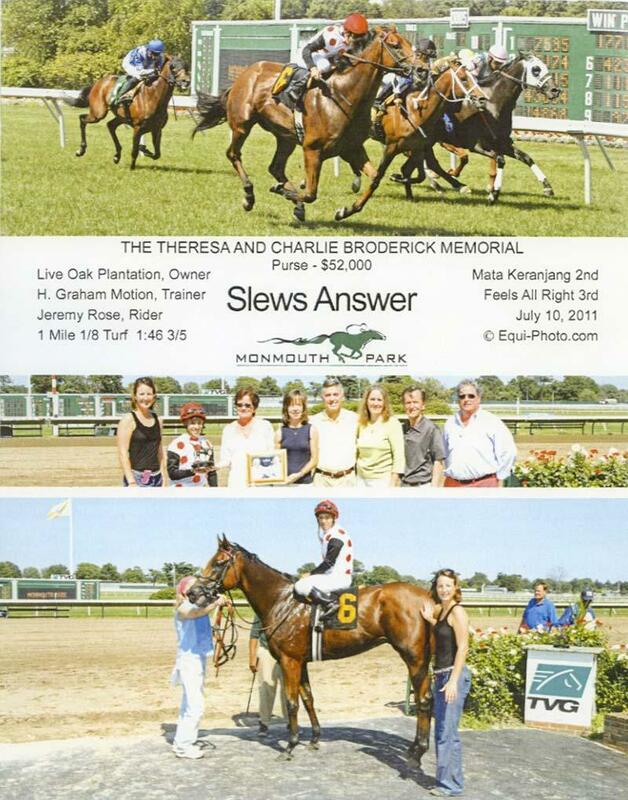 Live Oak Plantation closed out 2006 with 52 stakes horses and over $5 million in earnings. 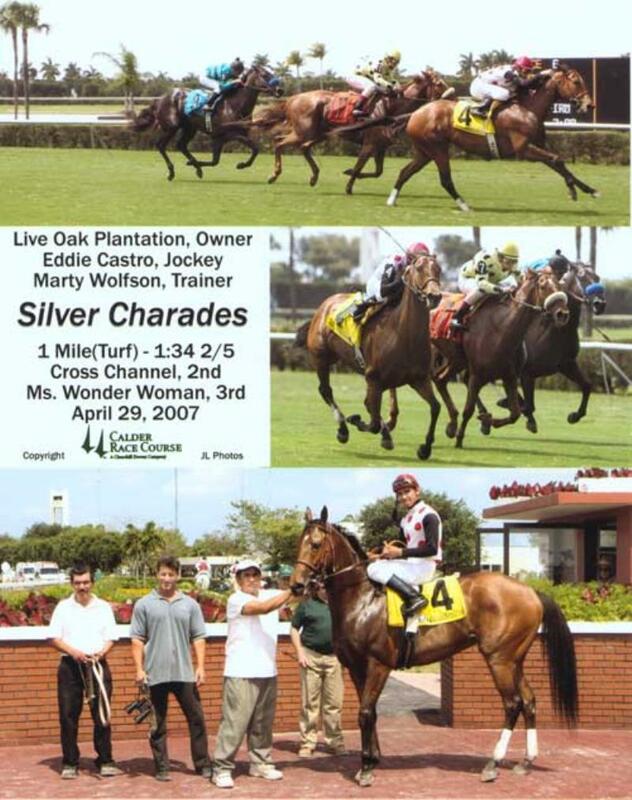 In 2010, the Live Oak charge featured two-time Grade 2-winning juvenile To Honor and Serve, an Eclipse Award finalist for Champion 2-Year-Old Male. In 2011, Live Oak was led by its eighth and ninth Grade 1 winners - leading 3-year-olds To Honor and Serve and Brilliant Speed. 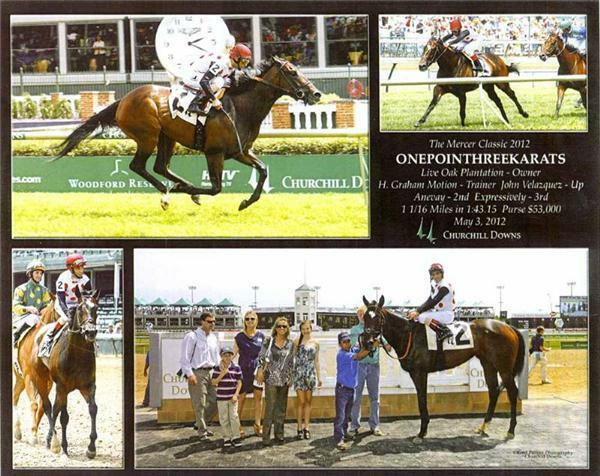 To Honor and Serve captured his first Grade 1 triumph over older horses in the Cigar Mile (G1) to close out the season, while Brilliant Speed earned a berth into the Kentucky Derby with a win in the prestigious Blue Grass S. (G1) at Keeneland earlier in the year. 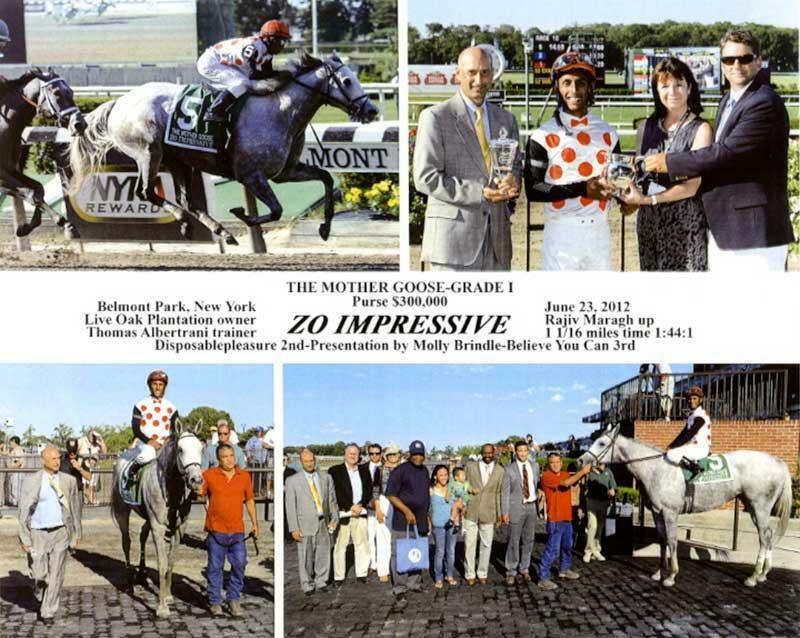 Homebred Zo Impressive joined To Honor and Serve and Brilliant Speed as stable stars in 2012 when she captured the Mother Goose S. (G1) at Belmont. 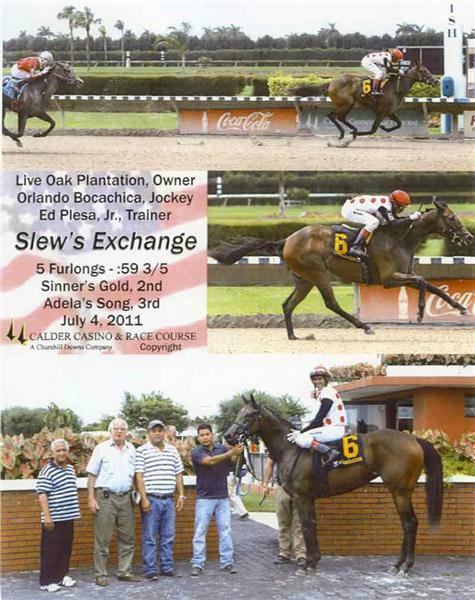 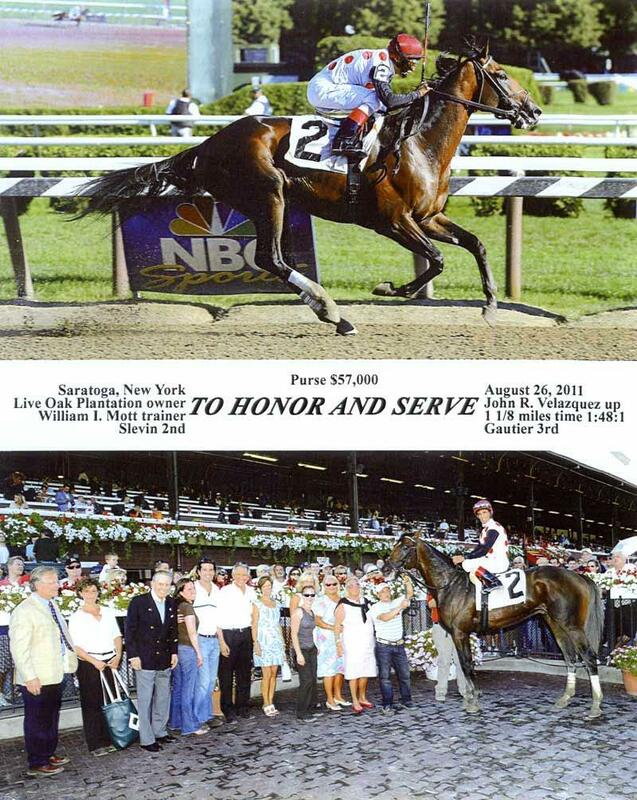 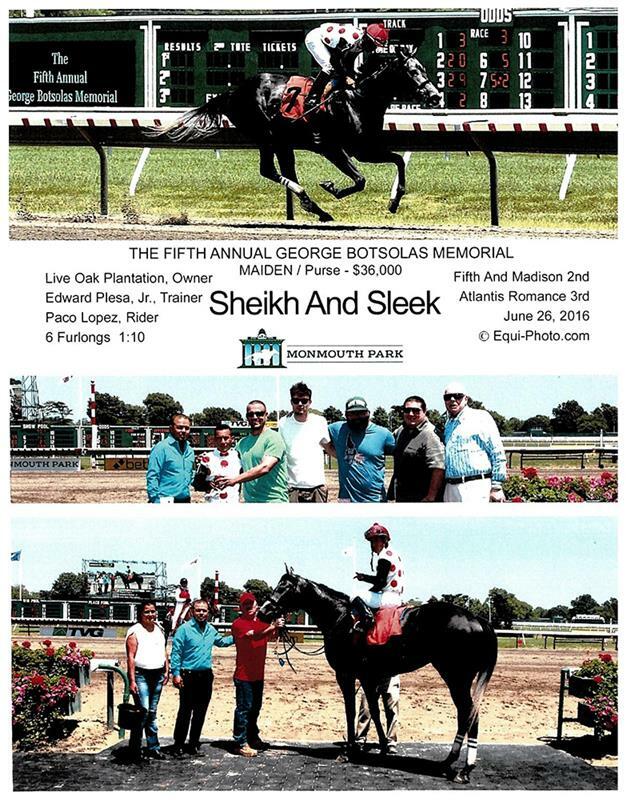 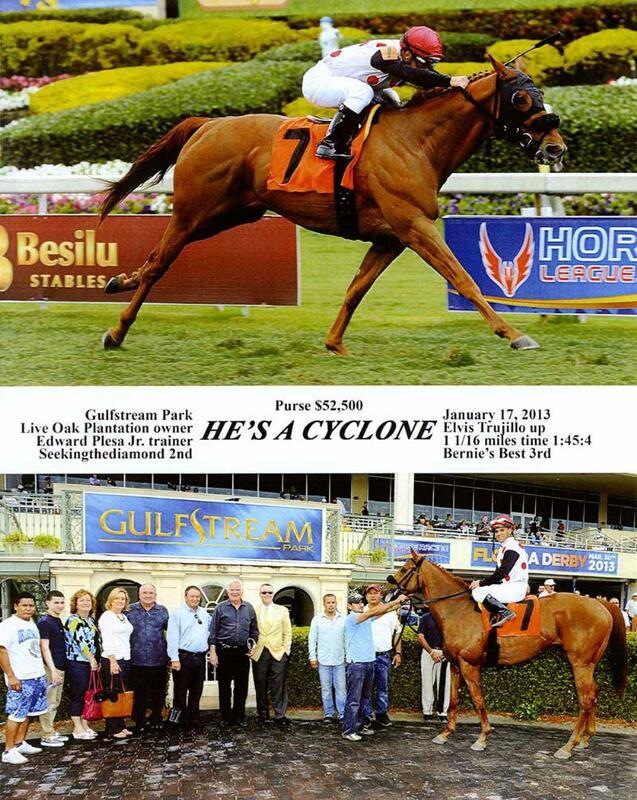 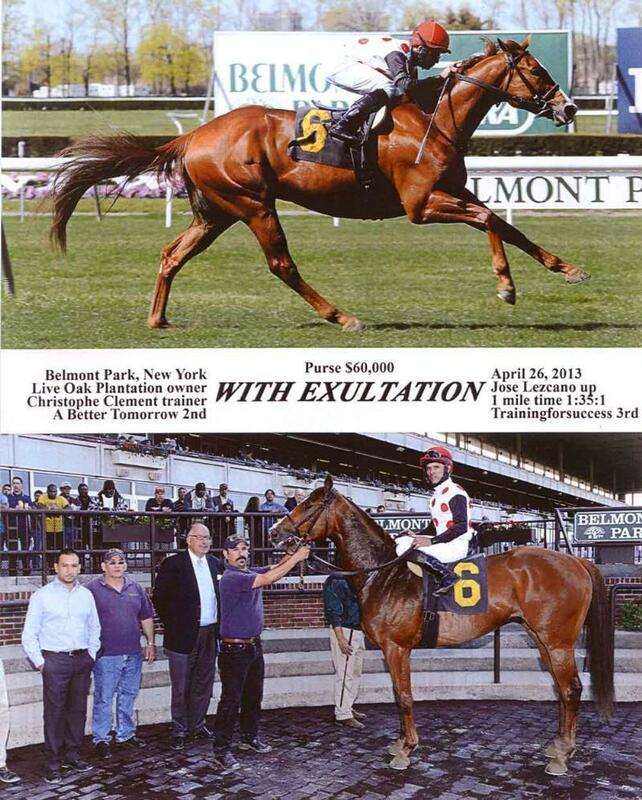 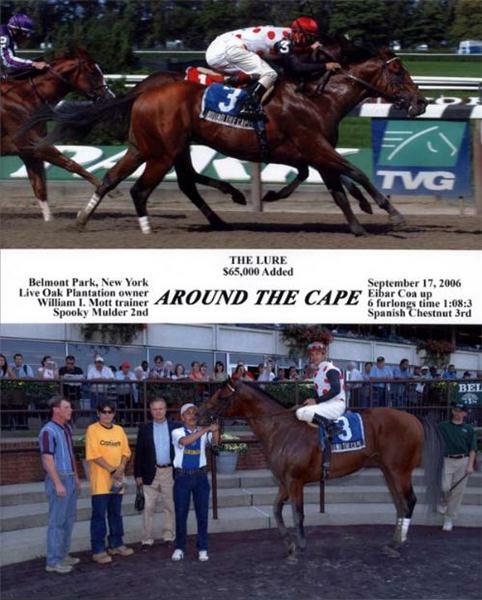 To Honor and Serve went on to stud and now represent Live Oak as one of the more promising young sires of the decade. 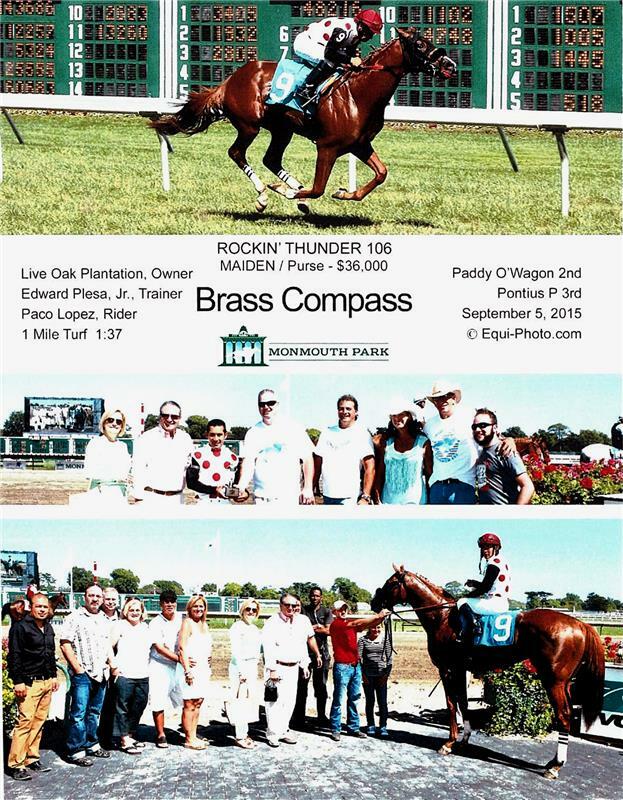 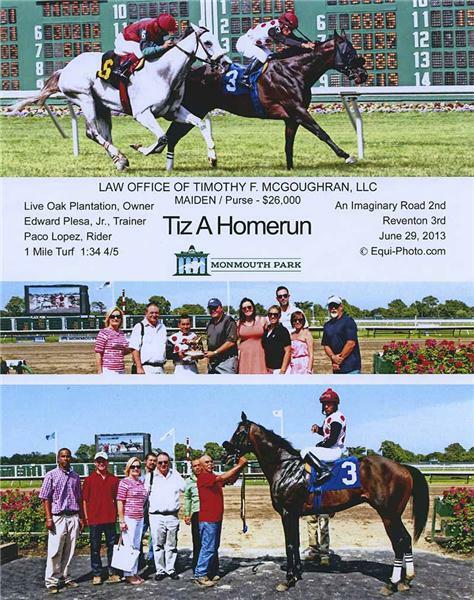 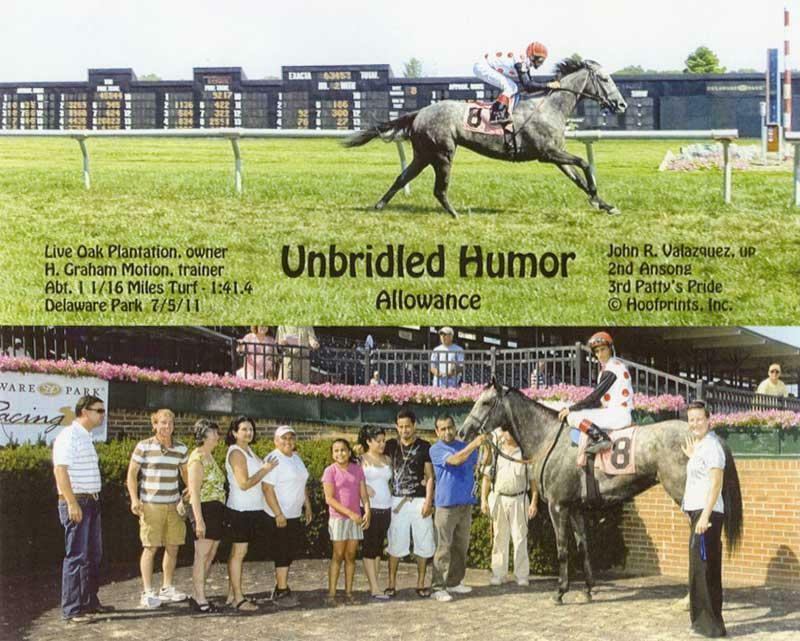 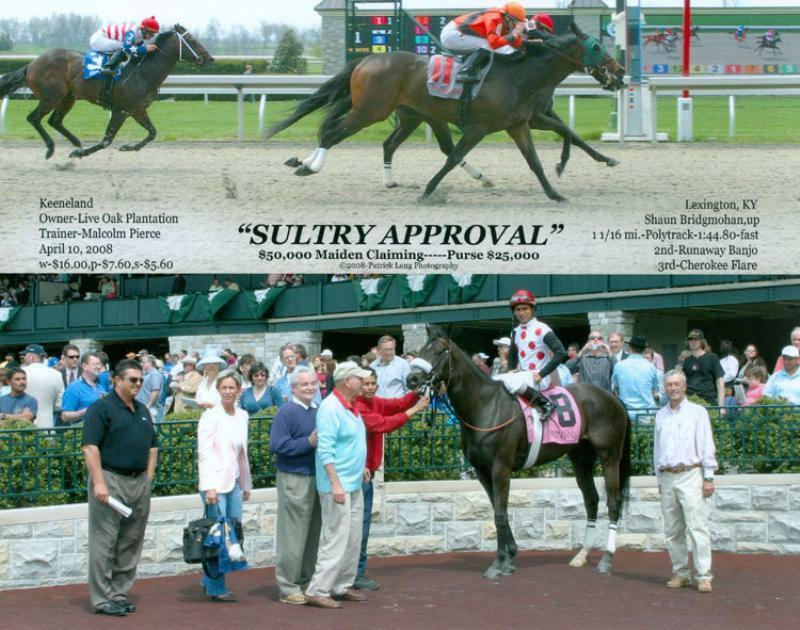 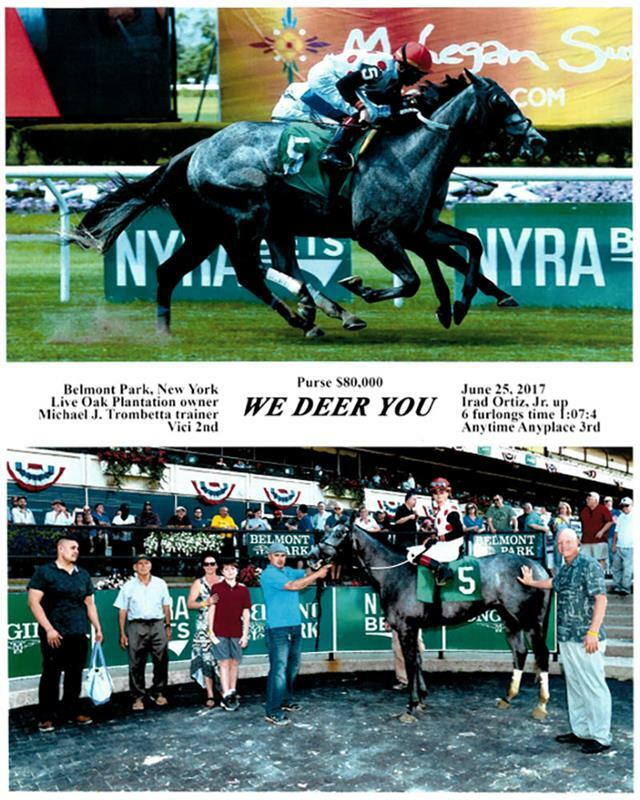 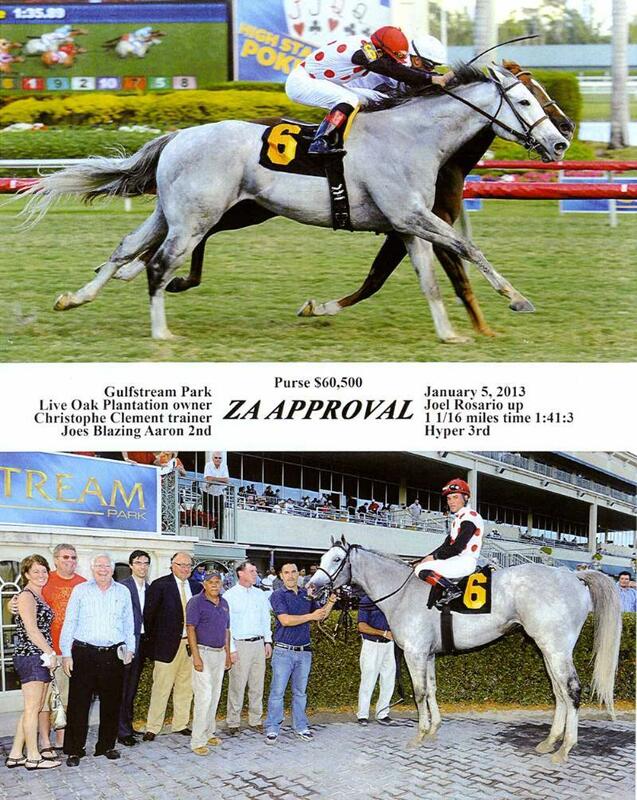 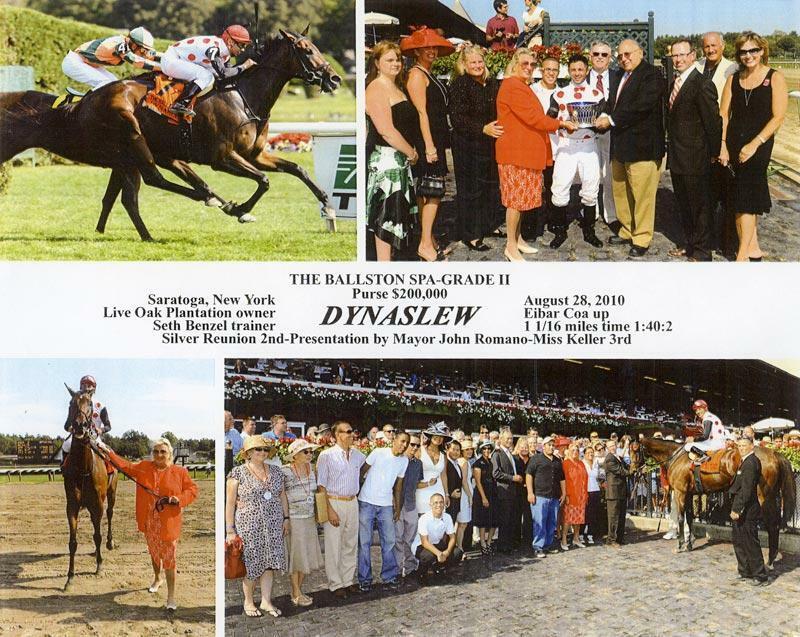 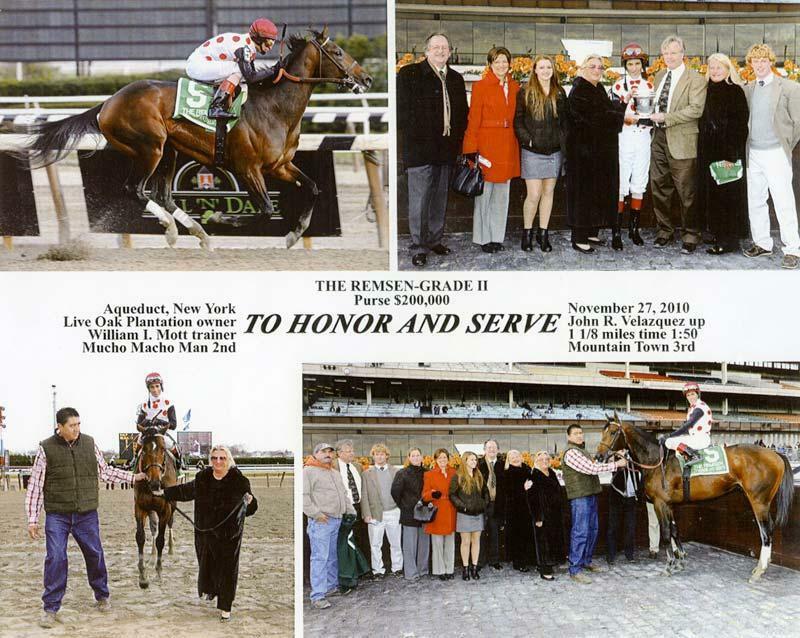 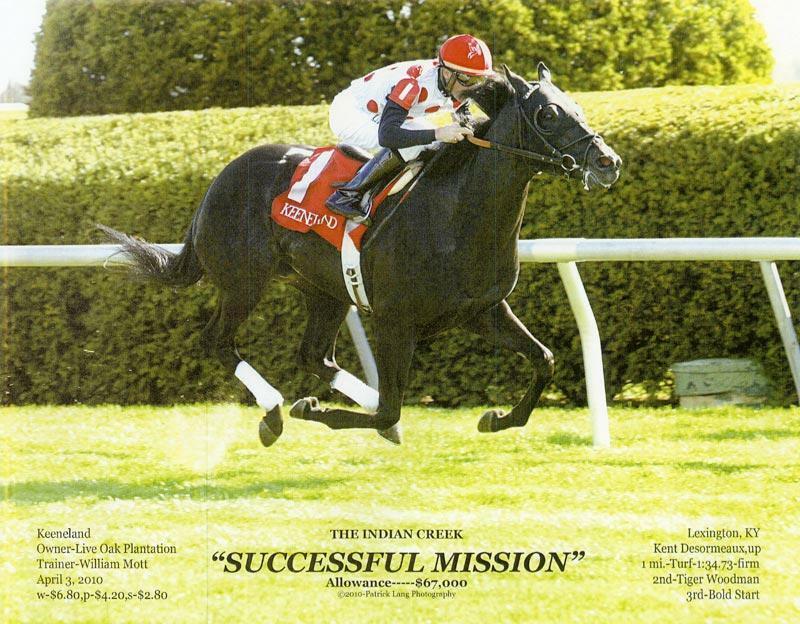 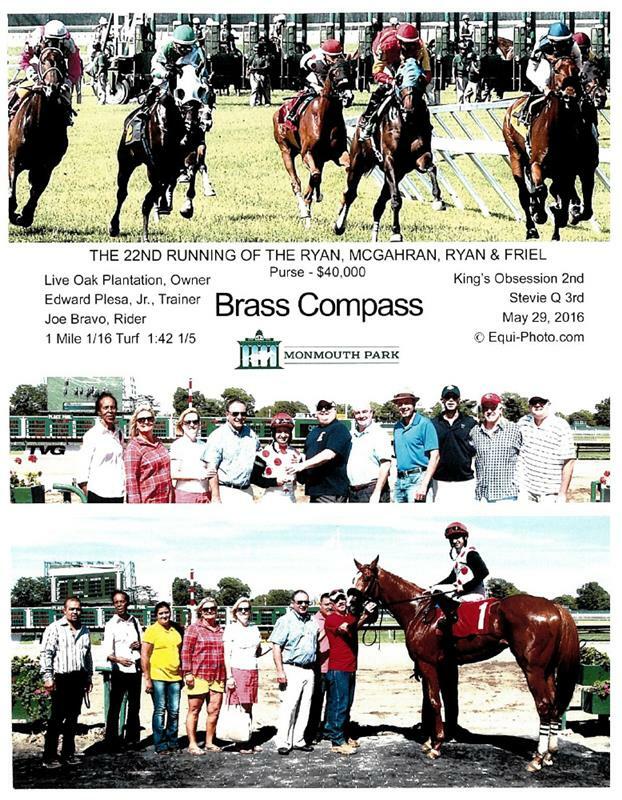 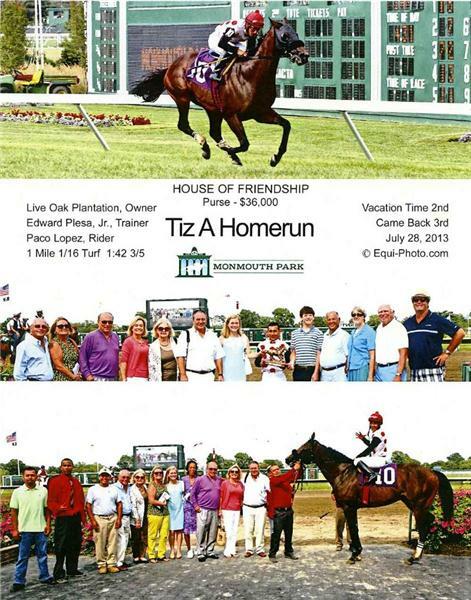 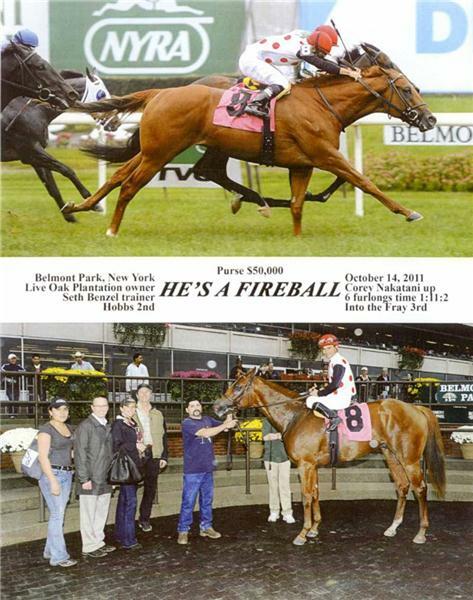 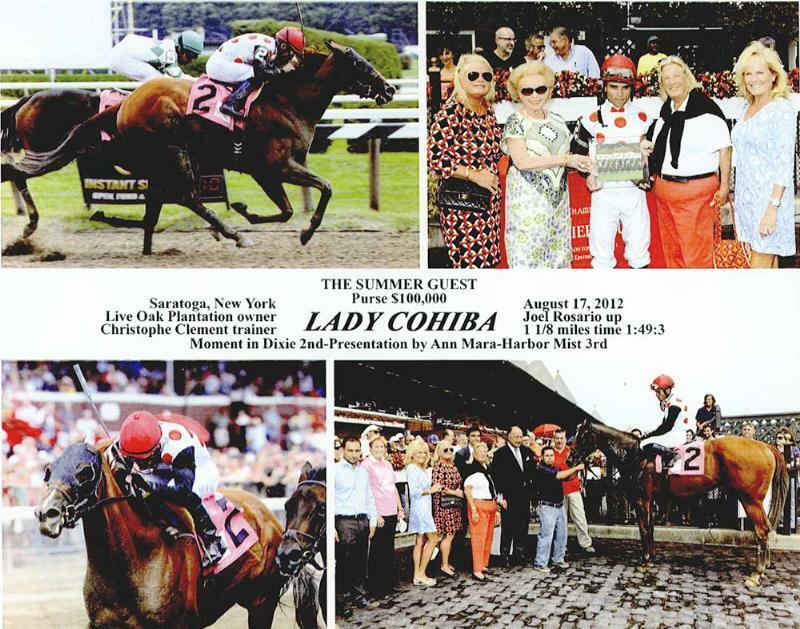 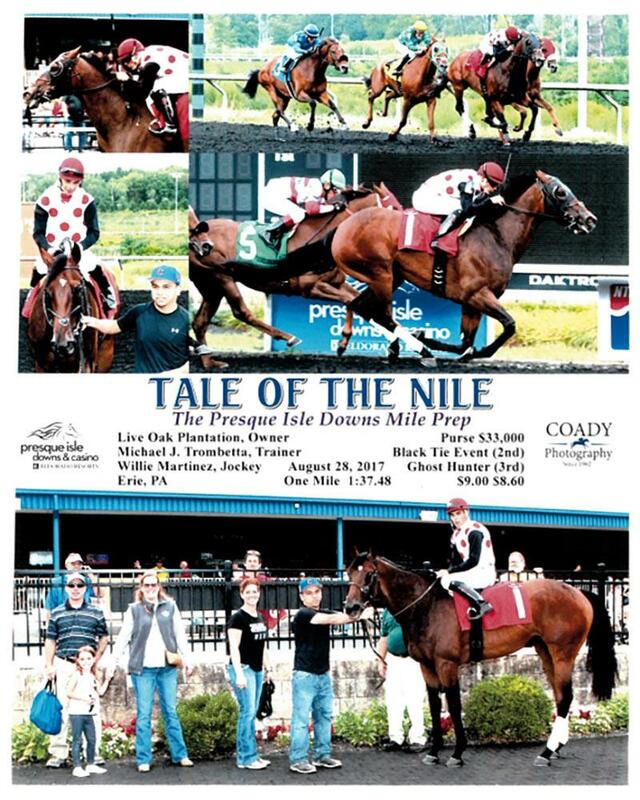 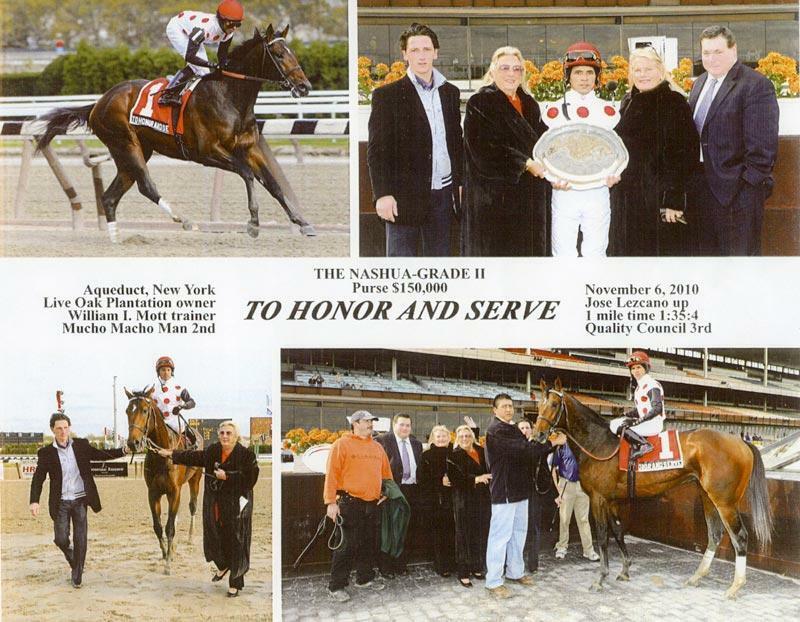 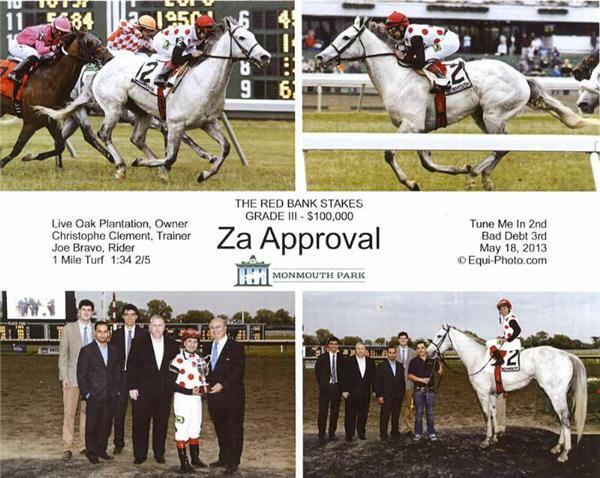 Homebred Za Approval proved to be the stable star in 2013, winning a trio of Grade 3 races: Appleton H., Red Bank S., and the Knickerbocker S. The then 5-year-old Za Approval is out of the top-class broodmare Win Approval and is a brother to millionaires Miesque’s Approval and Revved Up. 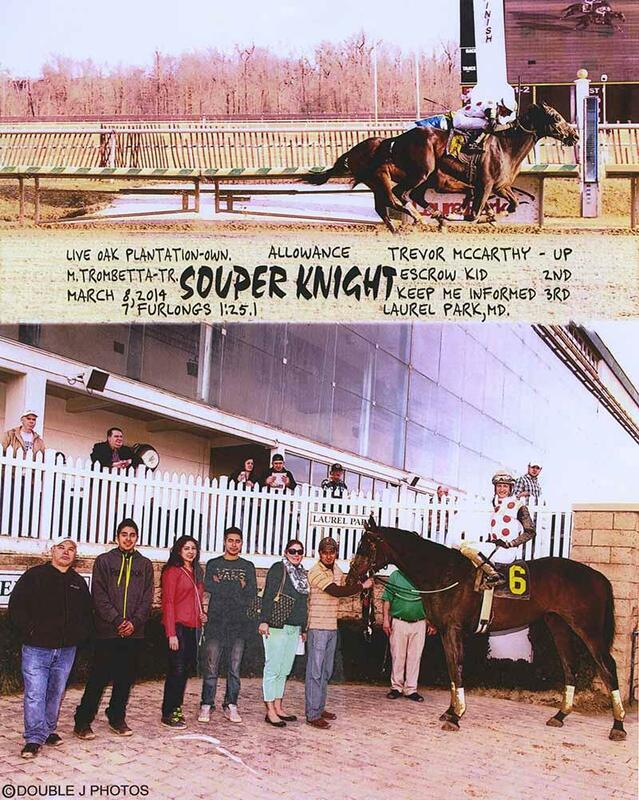 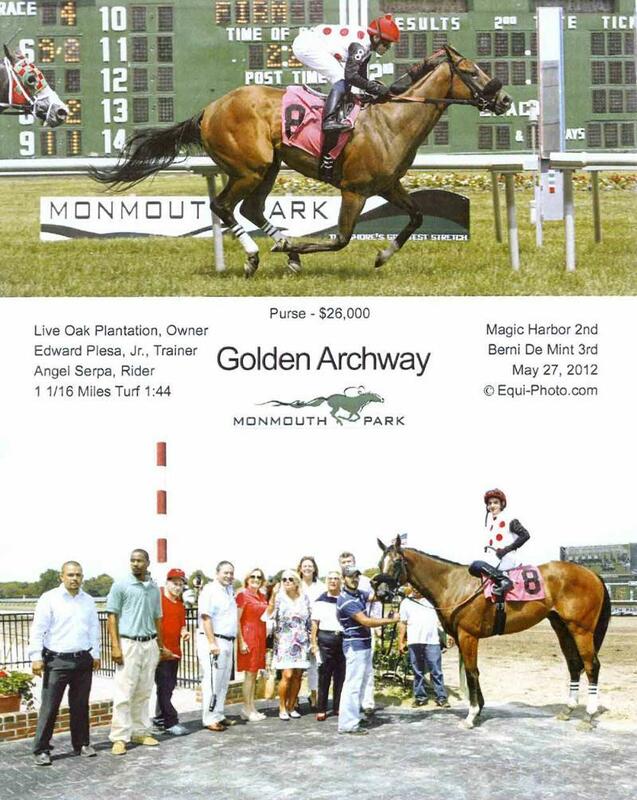 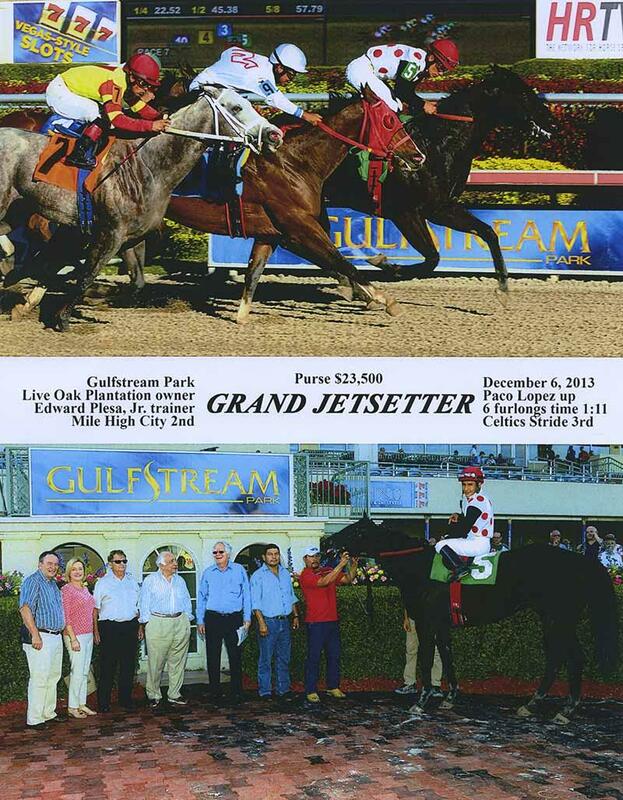 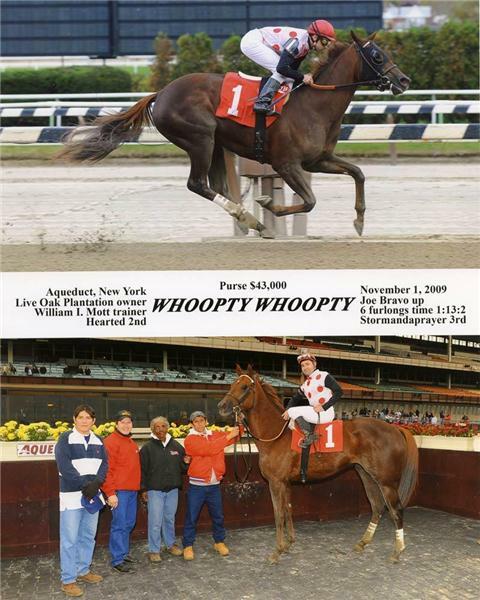 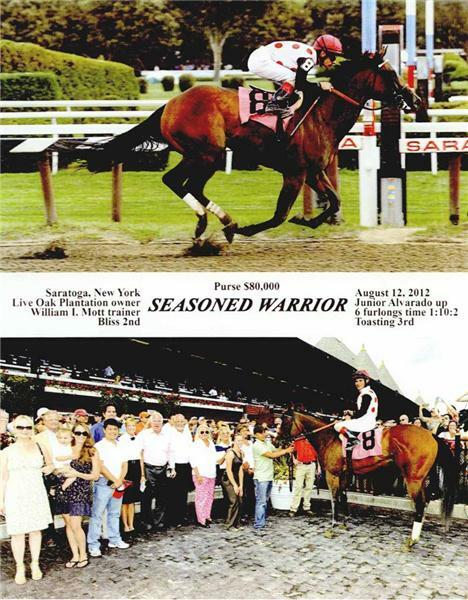 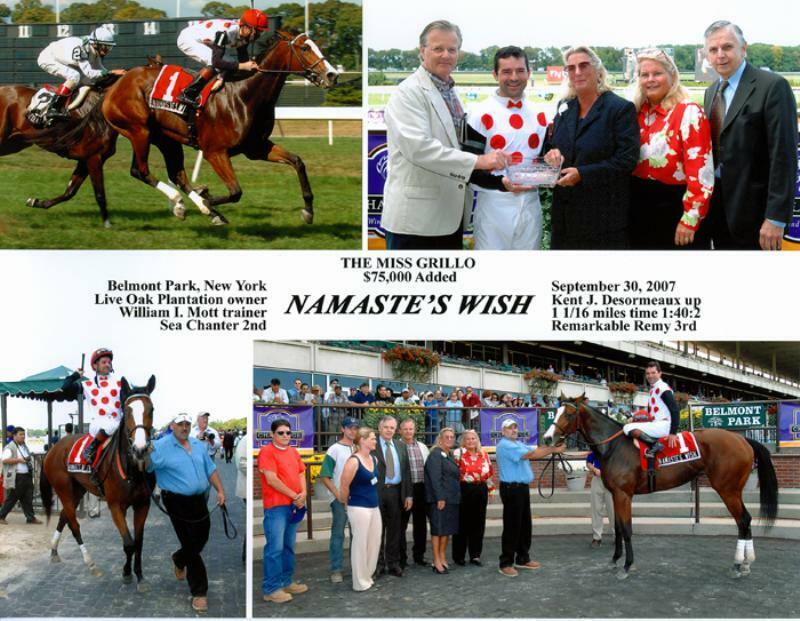 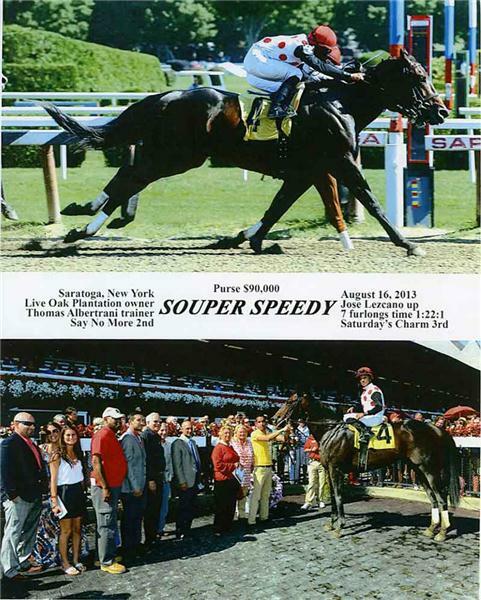 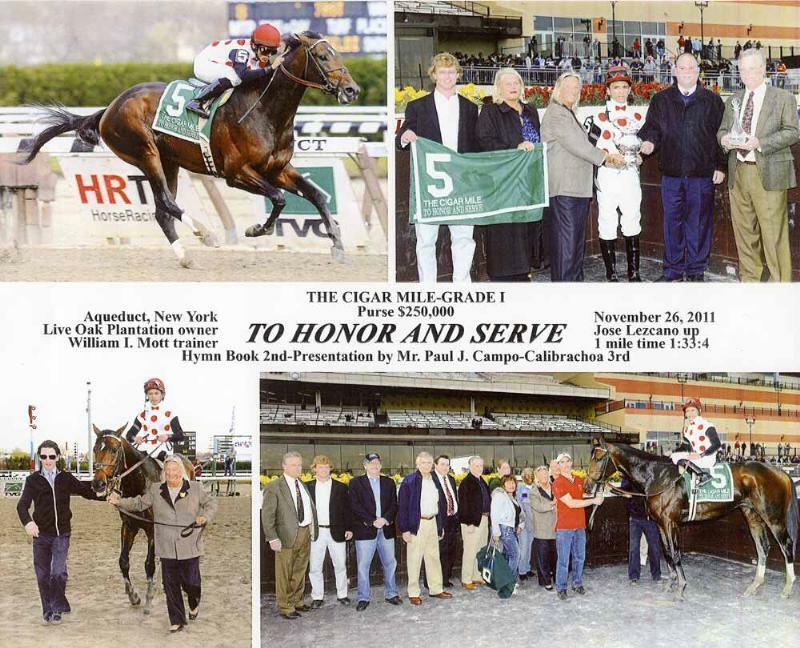 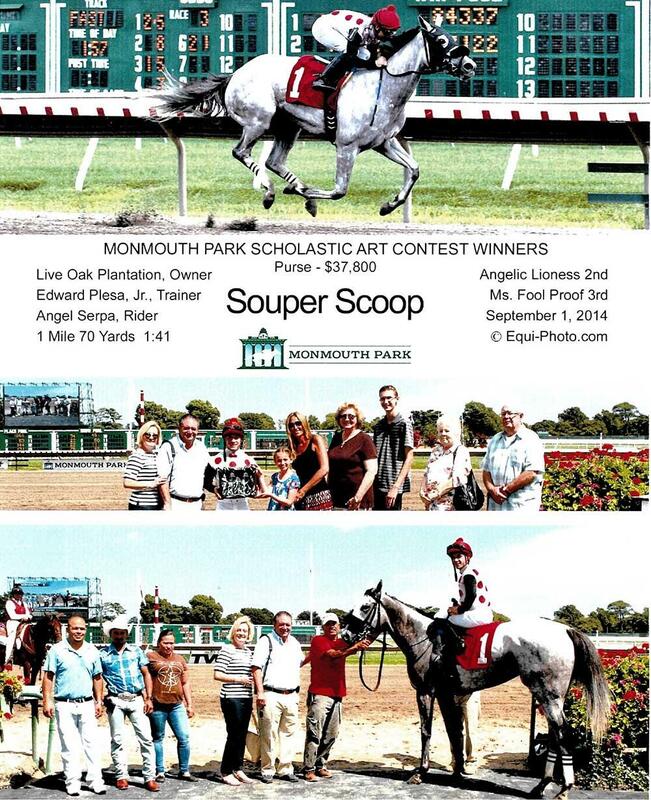 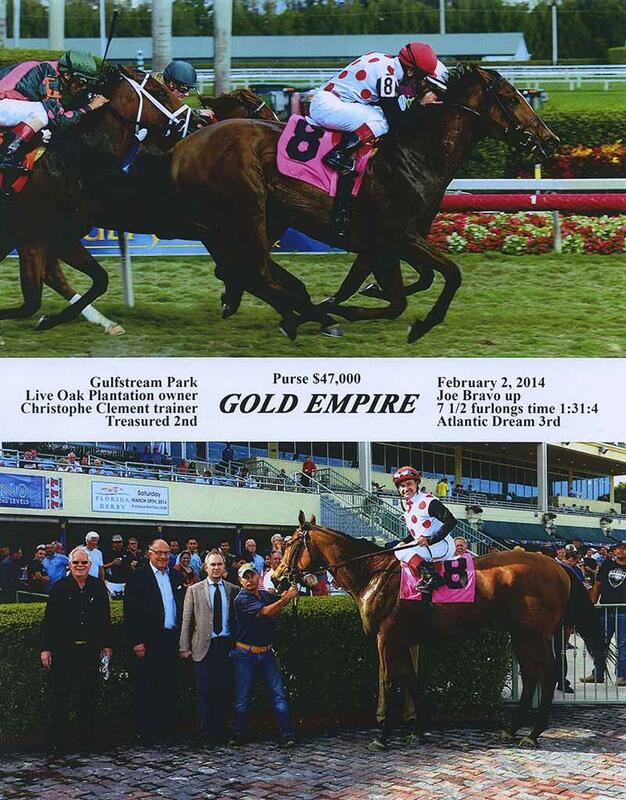 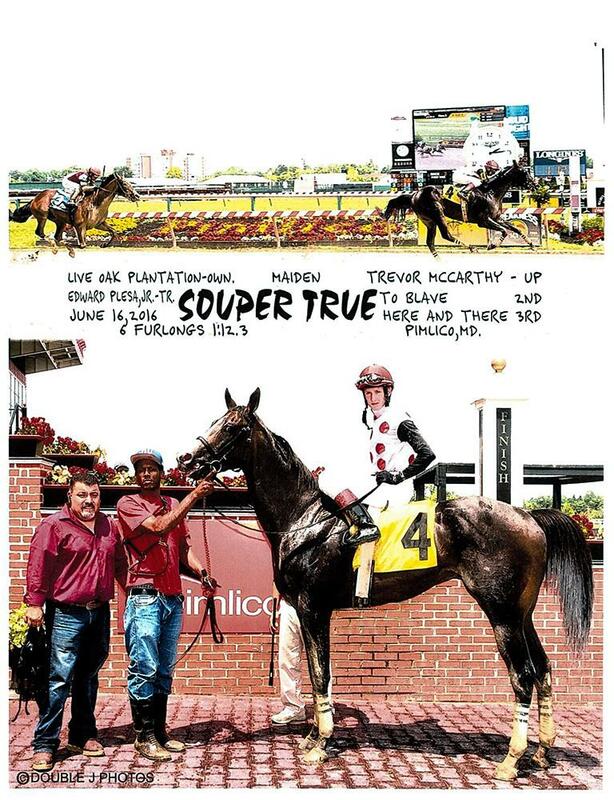 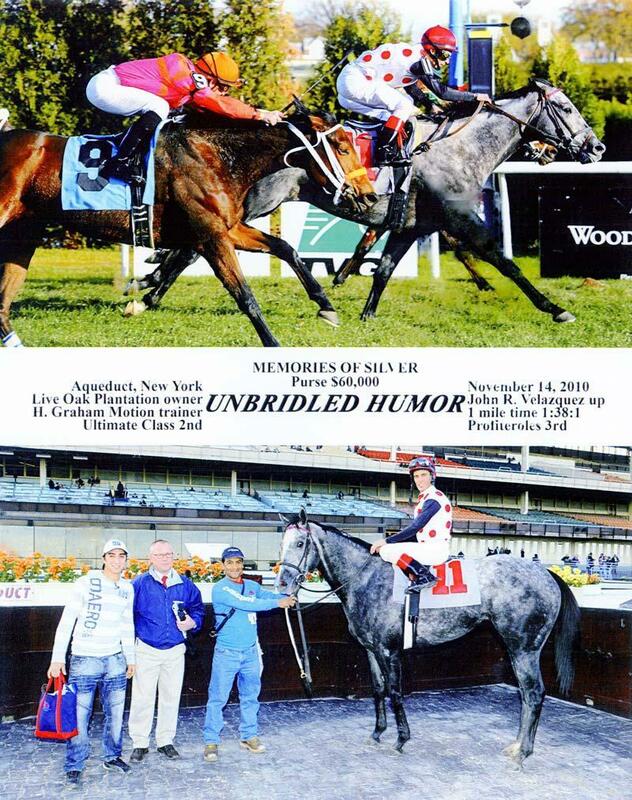 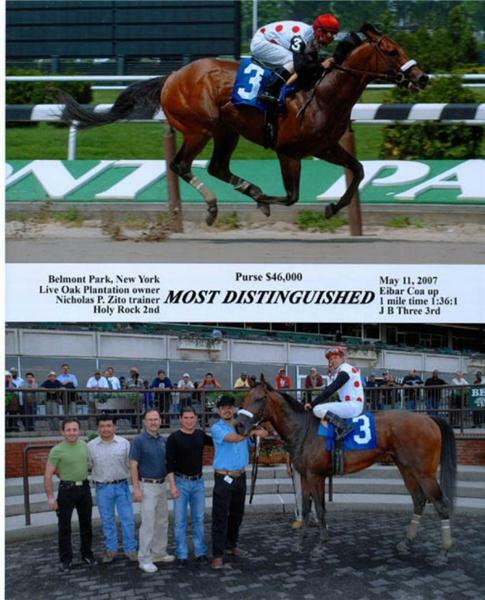 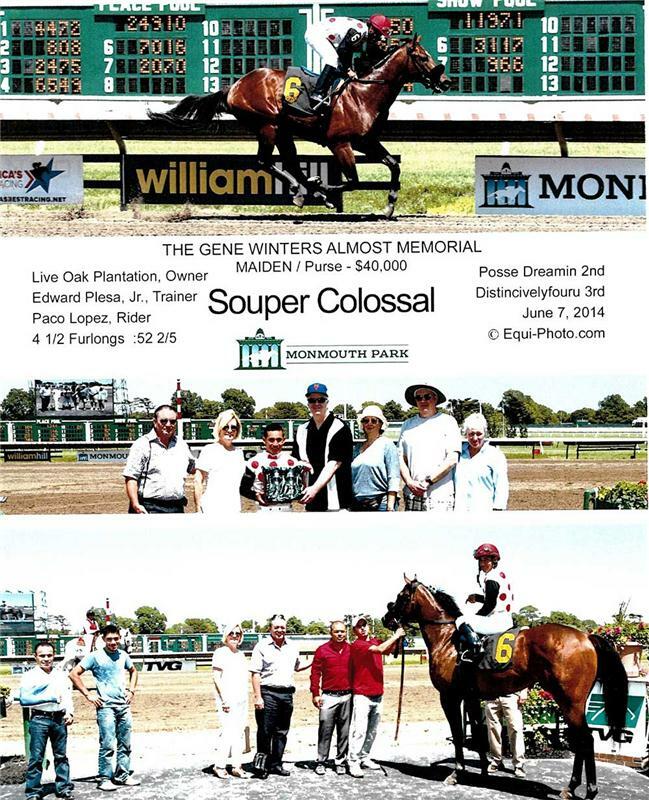 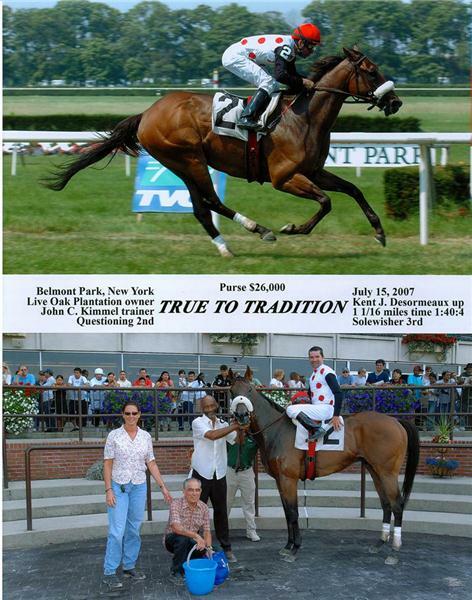 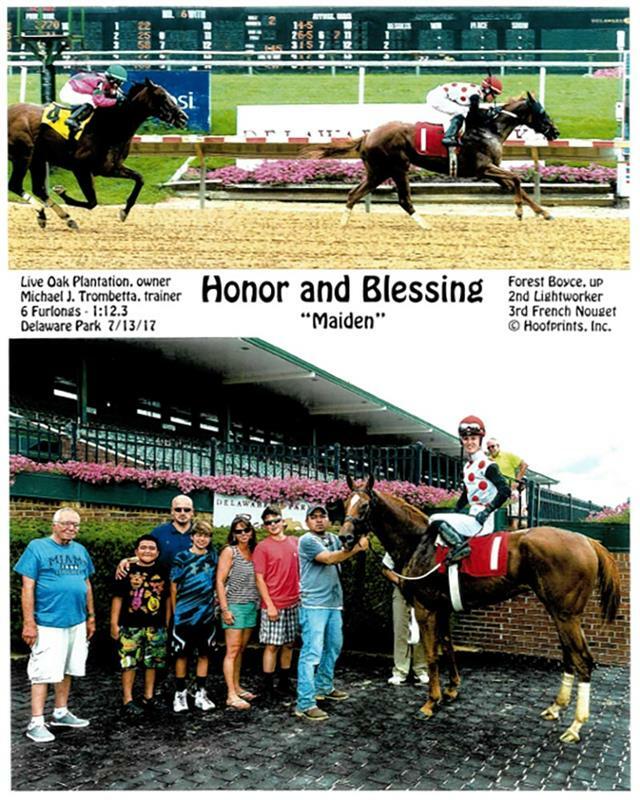 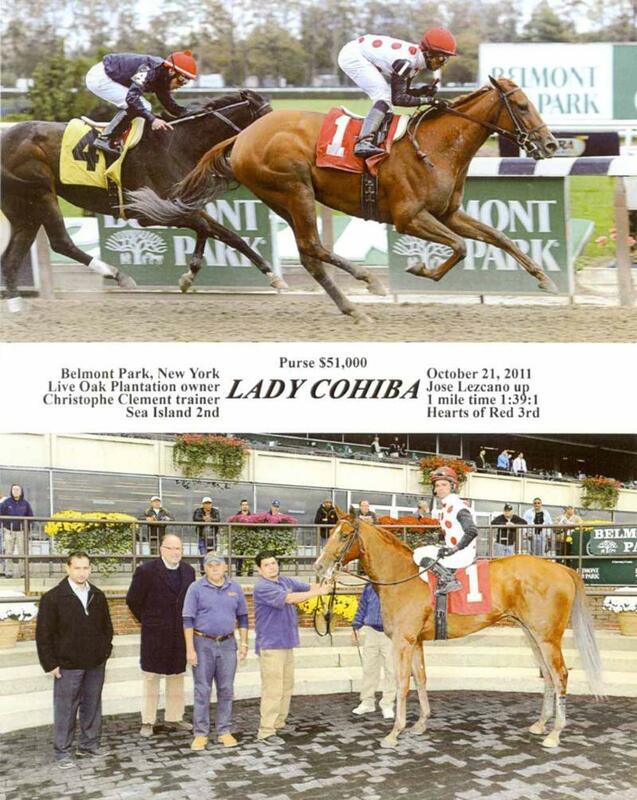 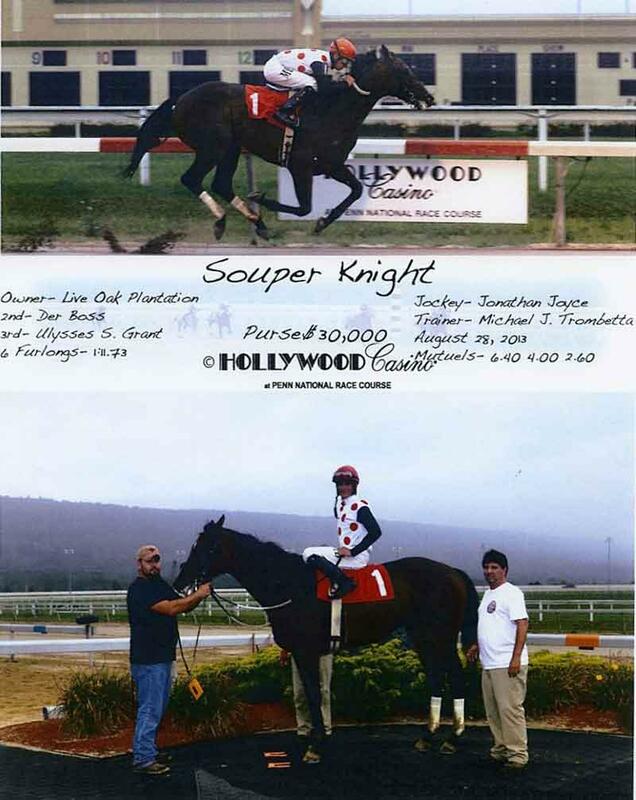 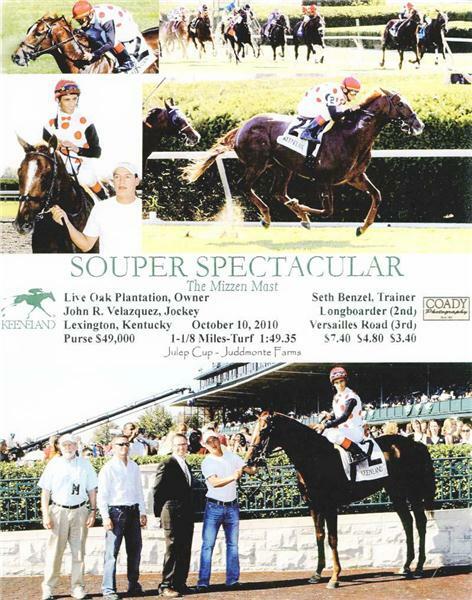 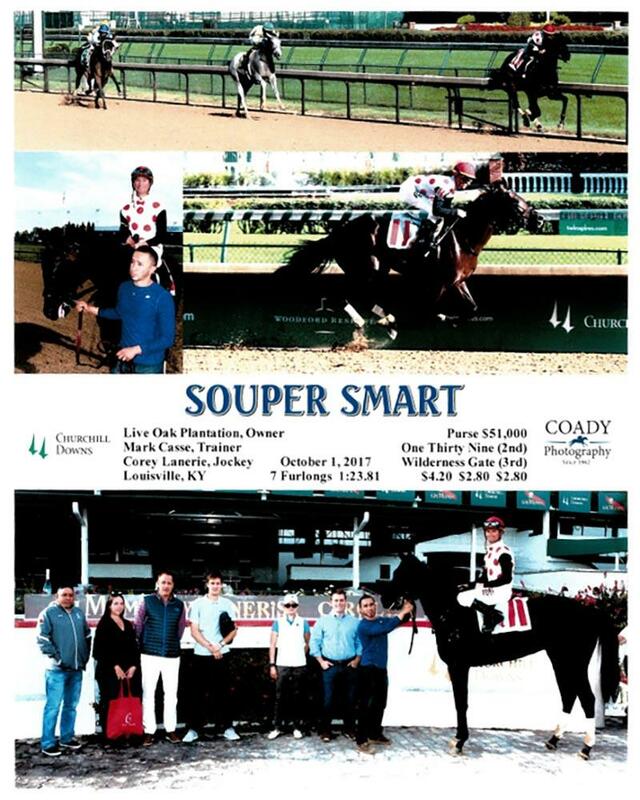 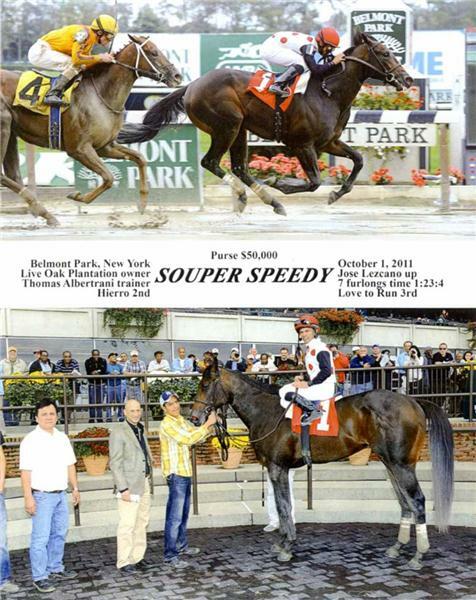 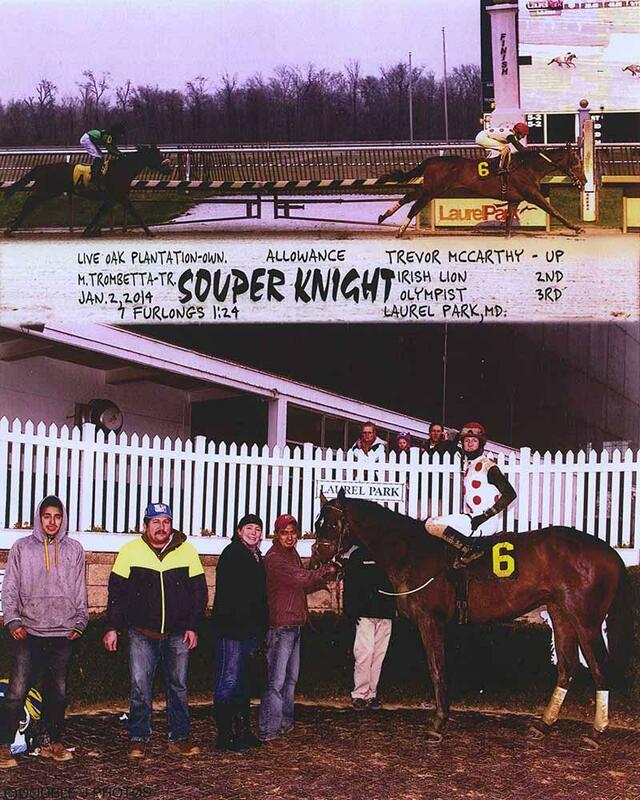 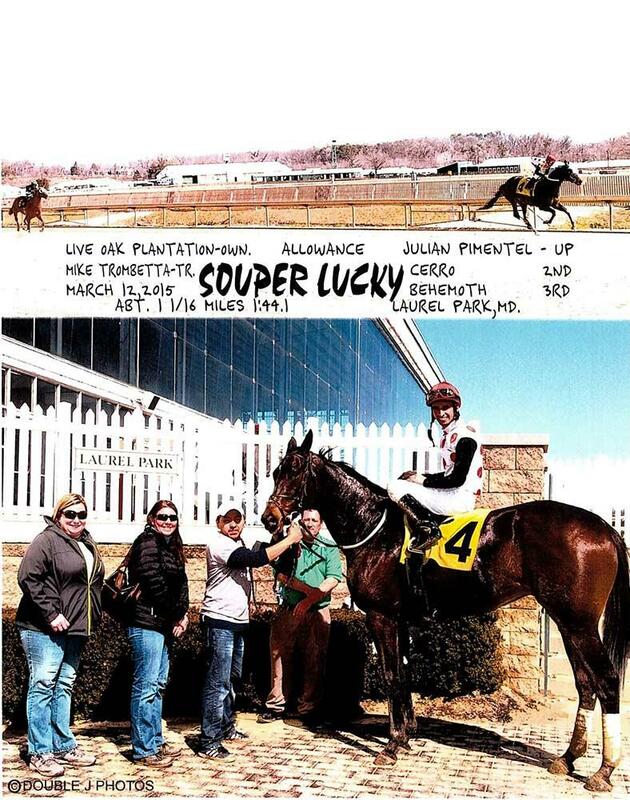 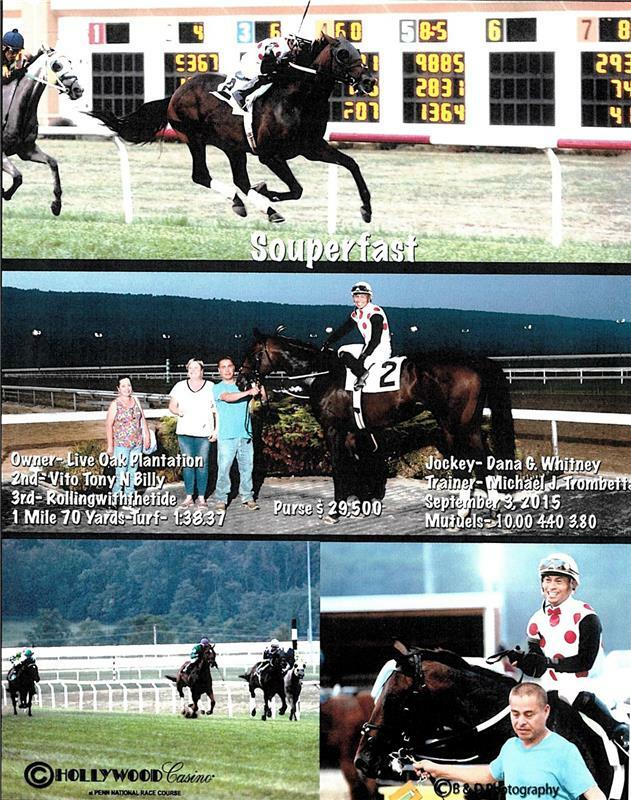 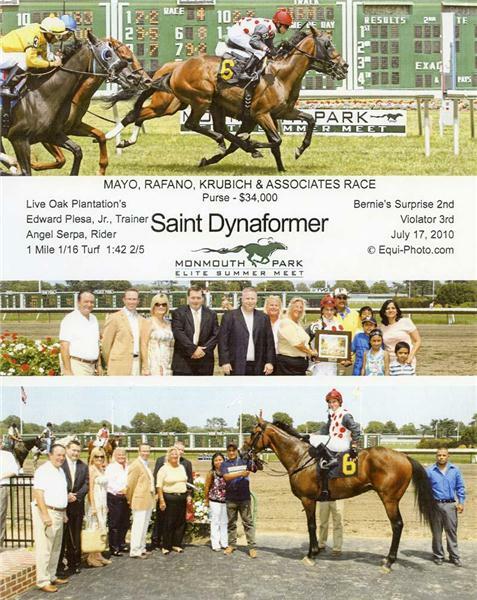 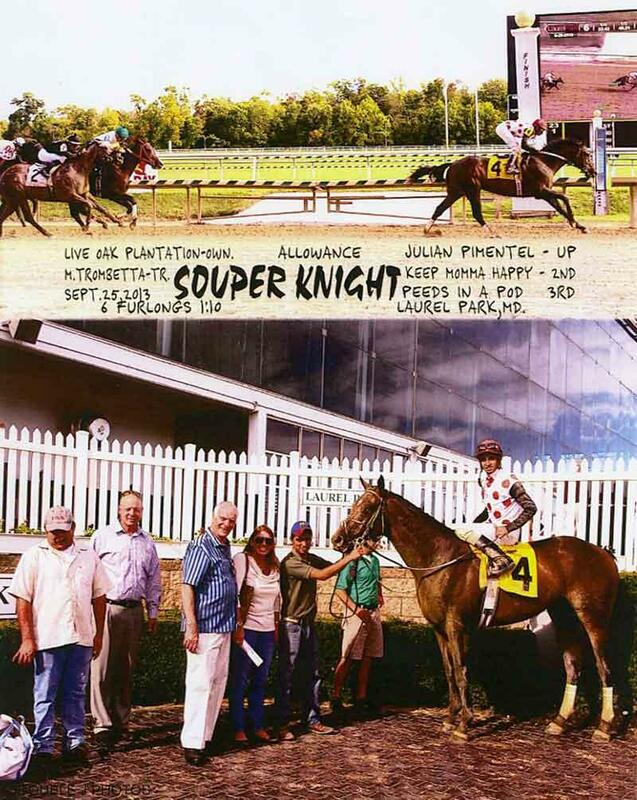 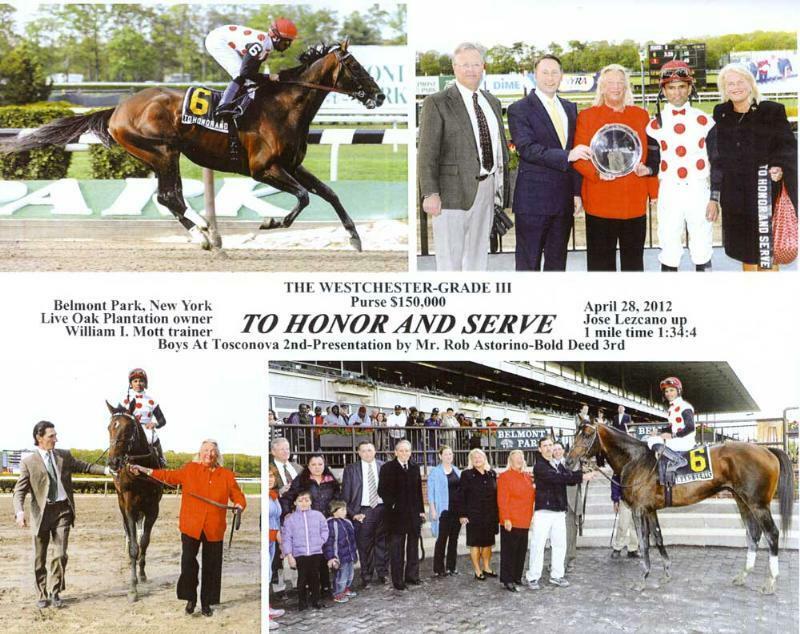 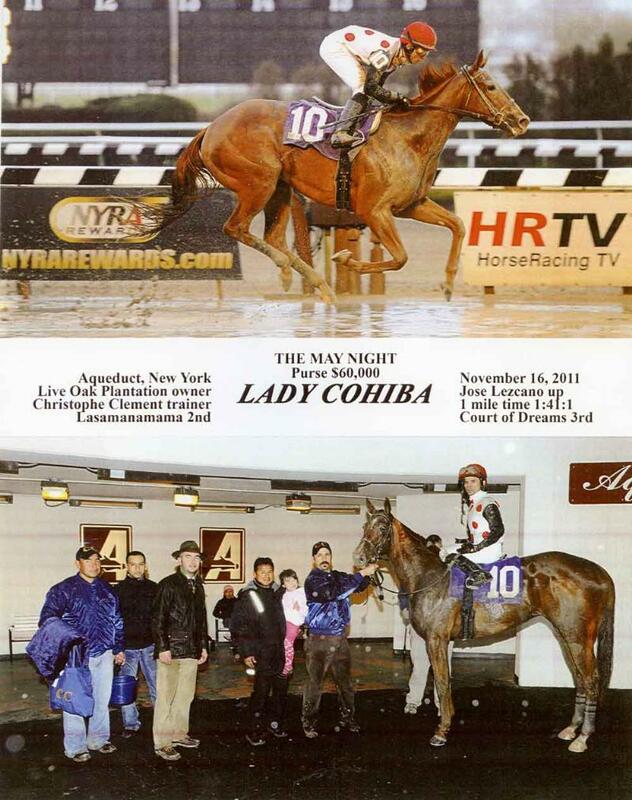 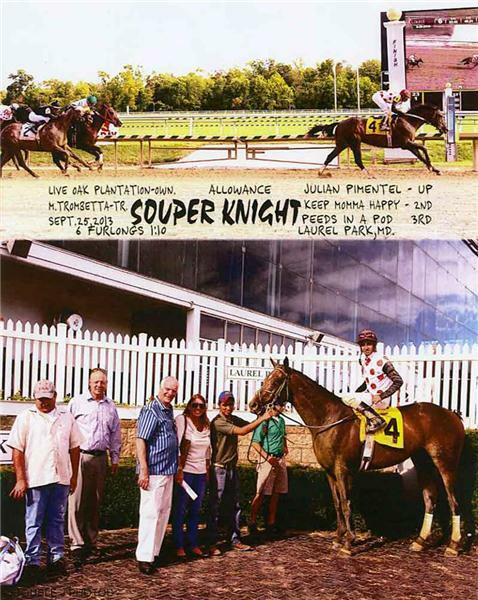 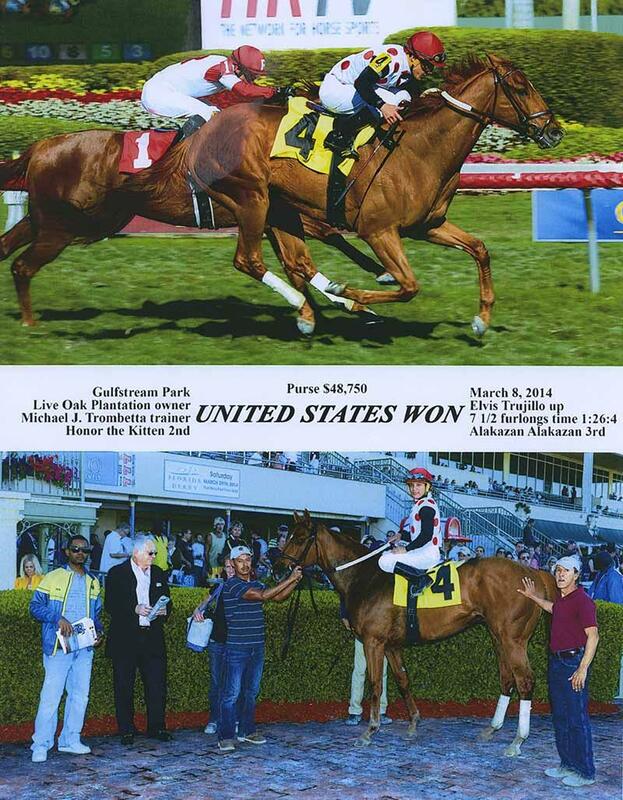 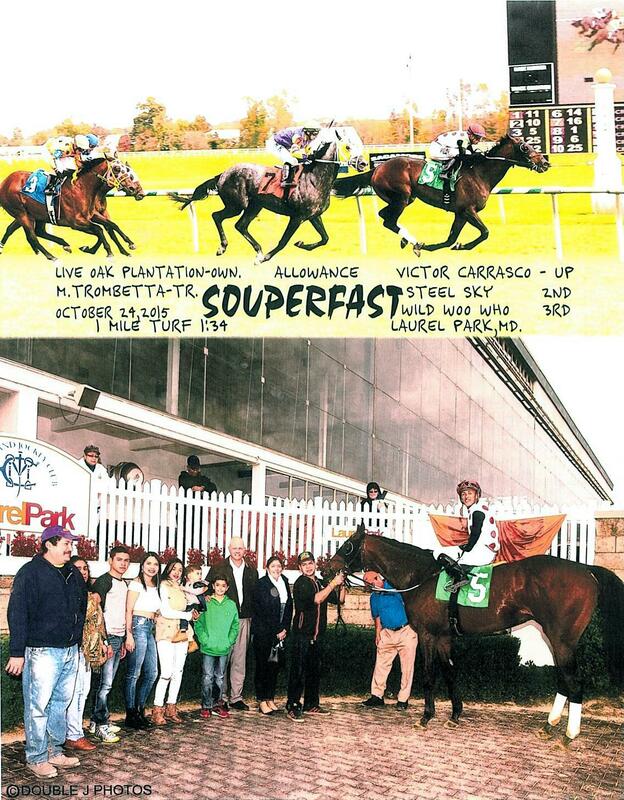 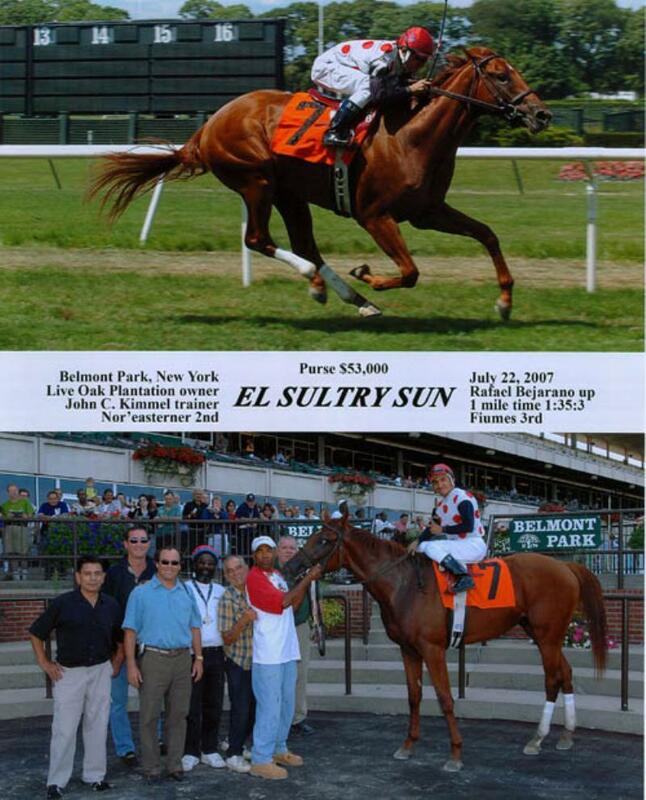 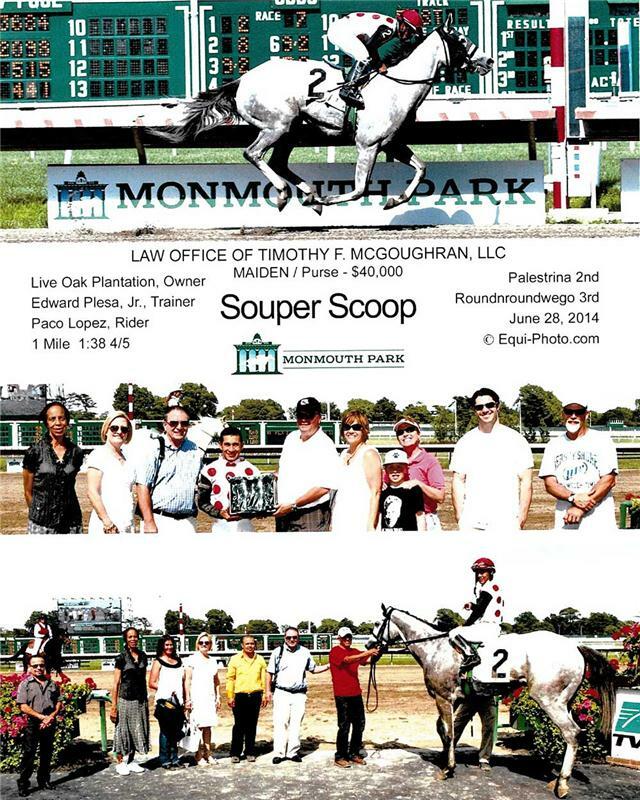 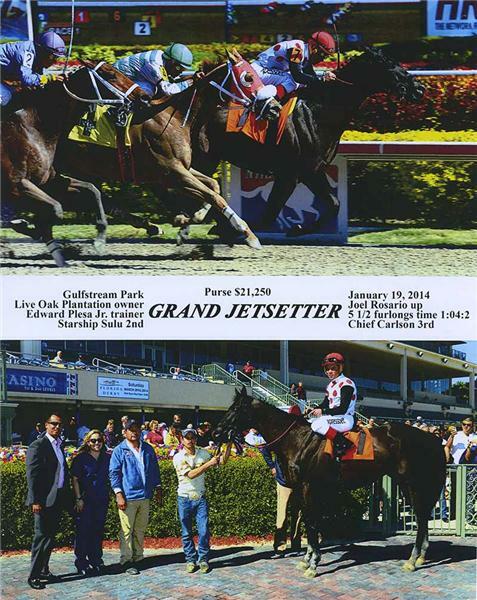 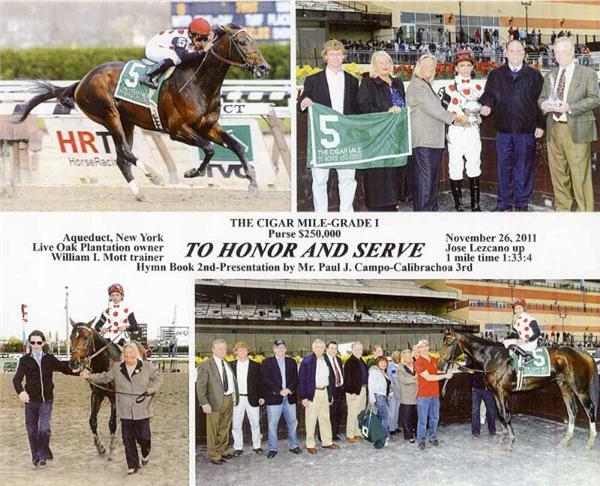 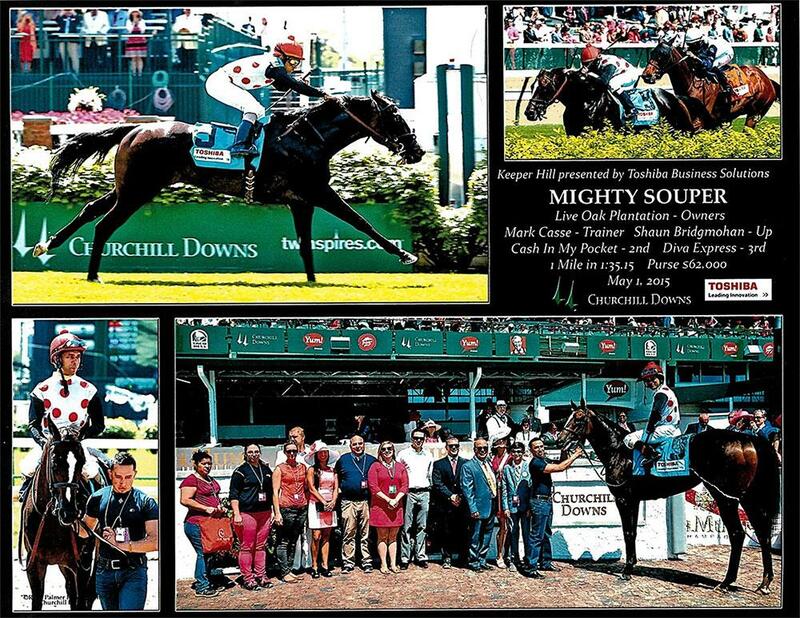 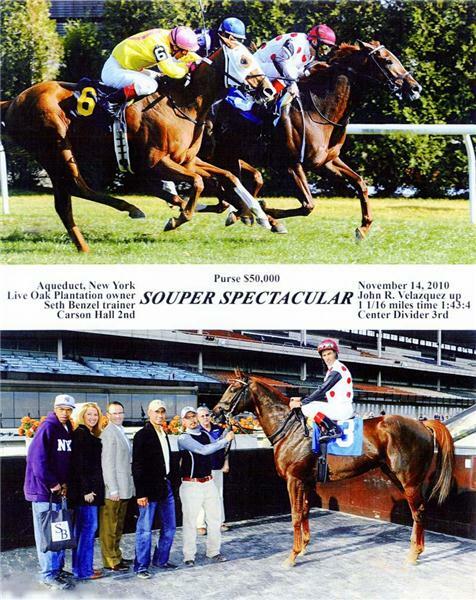 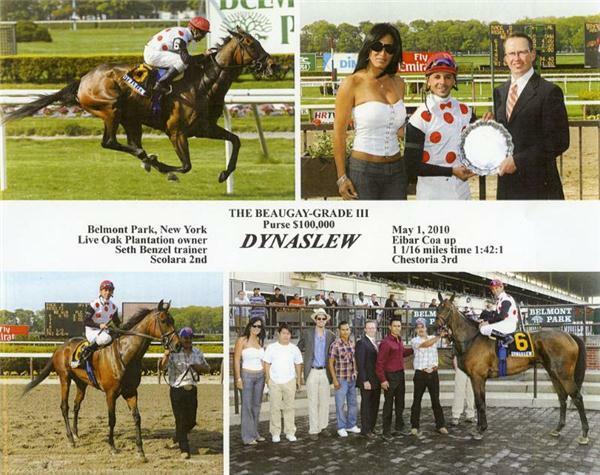 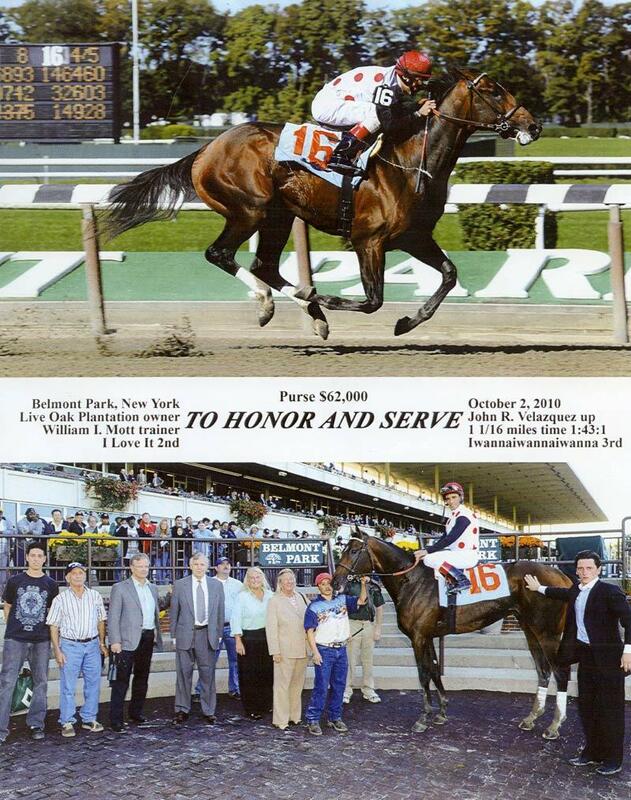 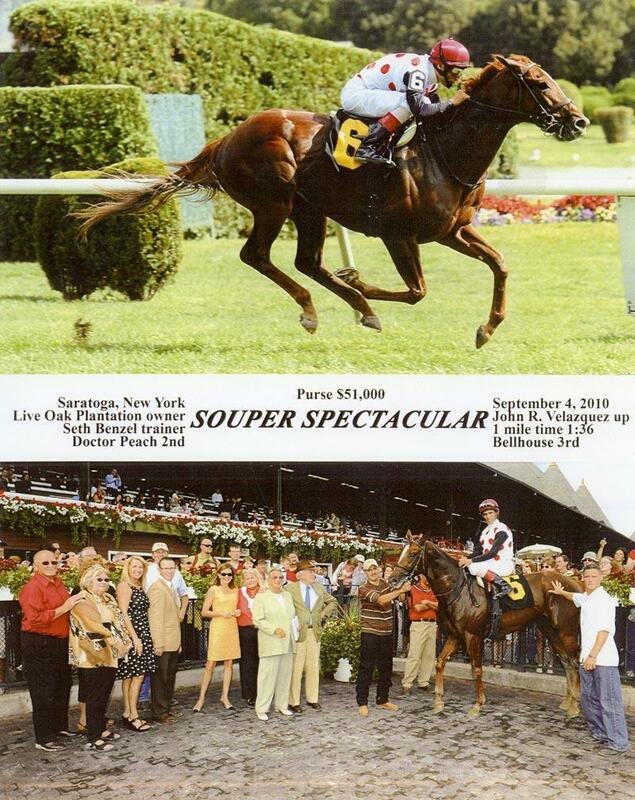 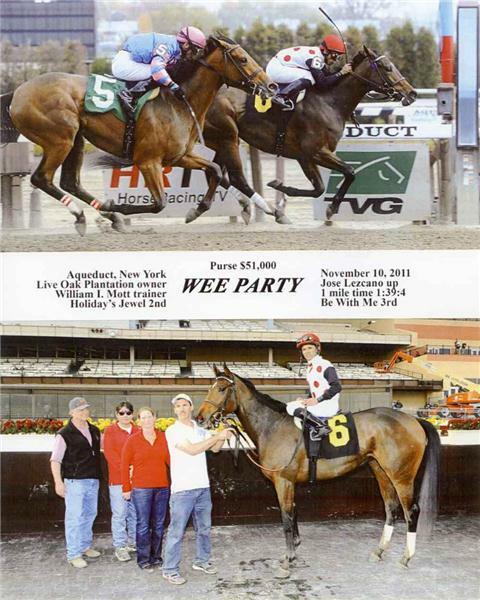 Other stakes winners during 2013 included homebred Souper Speedy, who took the Jaipur S. (G3) at Belmont Park. 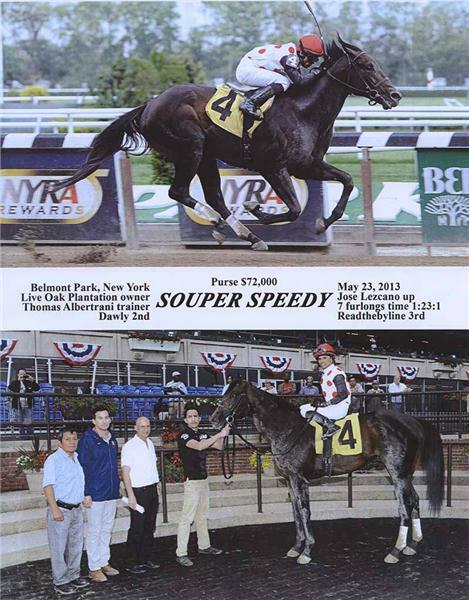 Souper Speedy is a half-brother to Brilliant Speed. 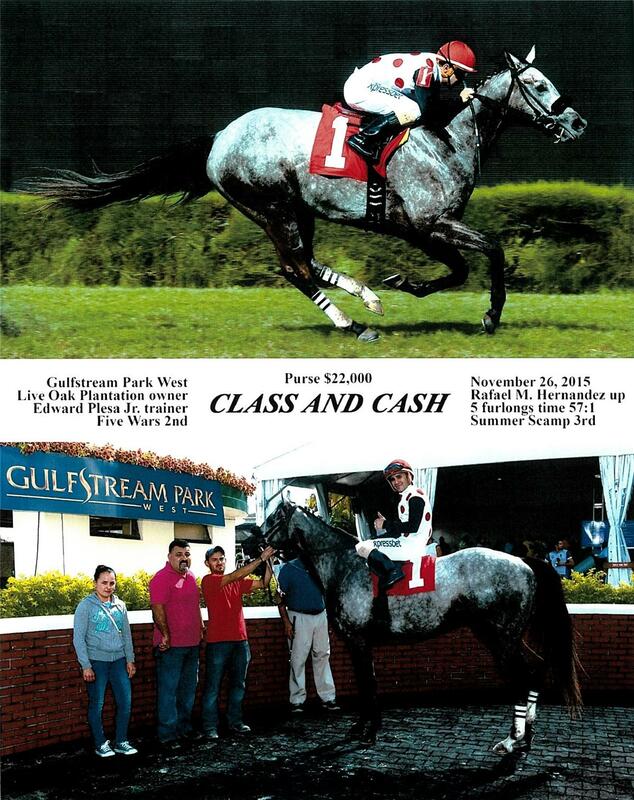 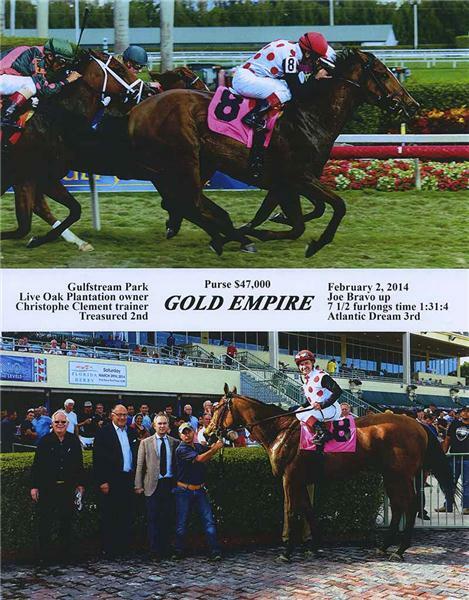 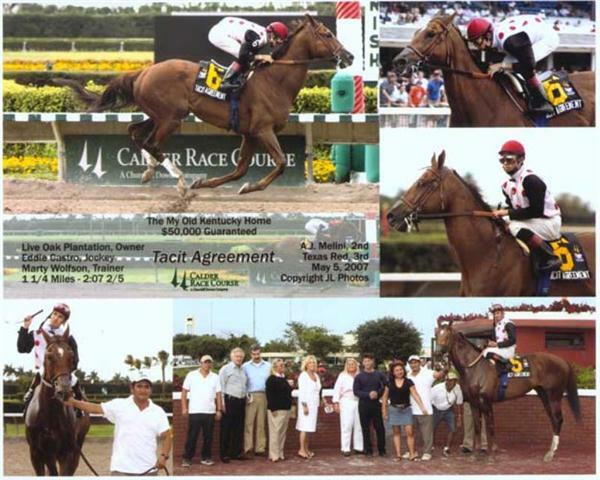 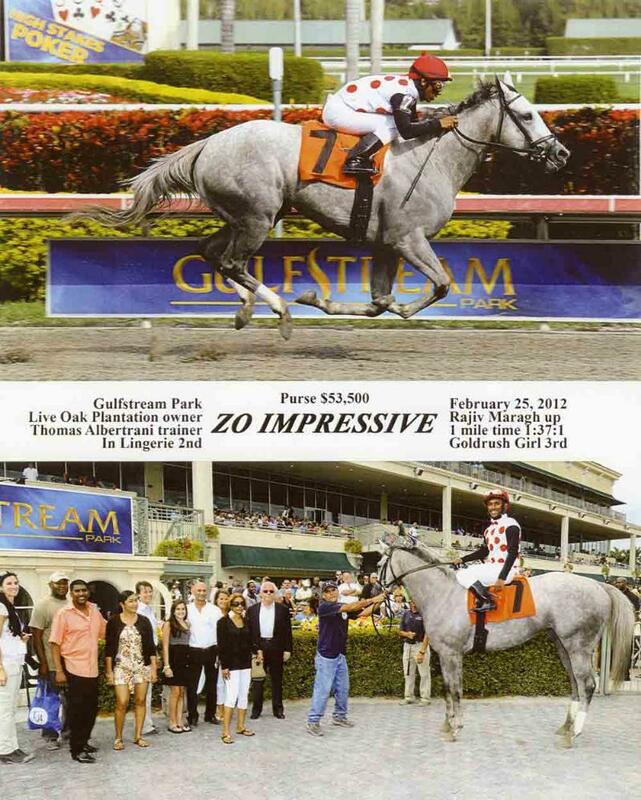 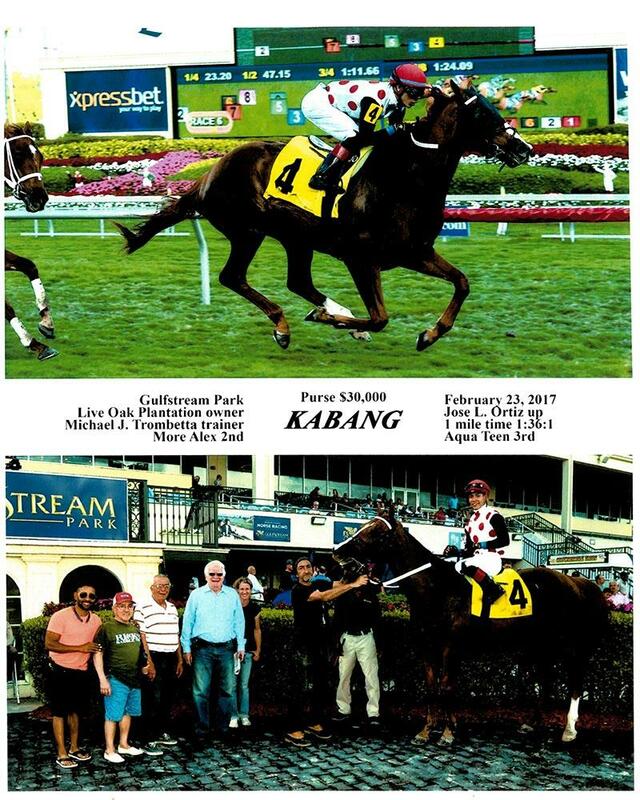 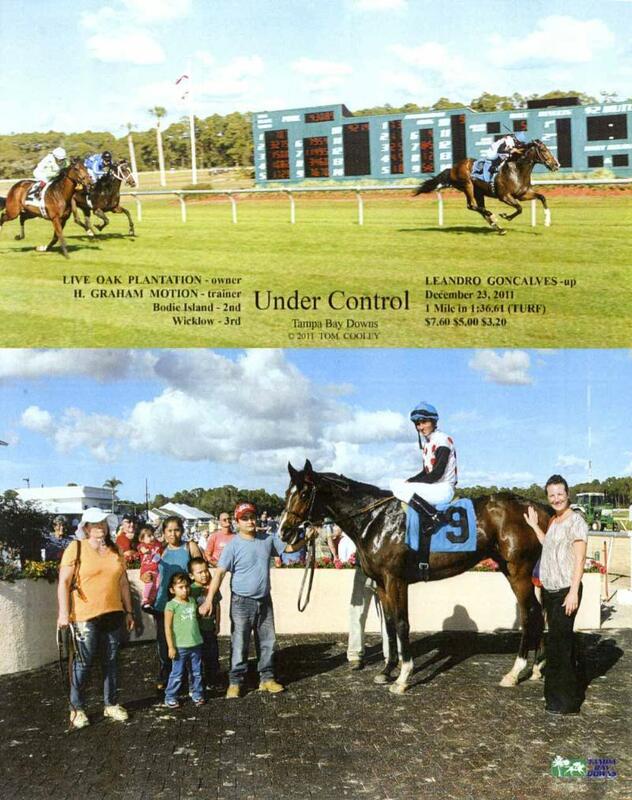 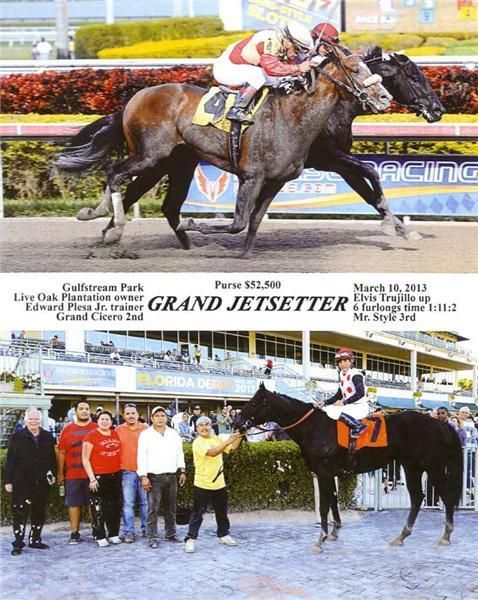 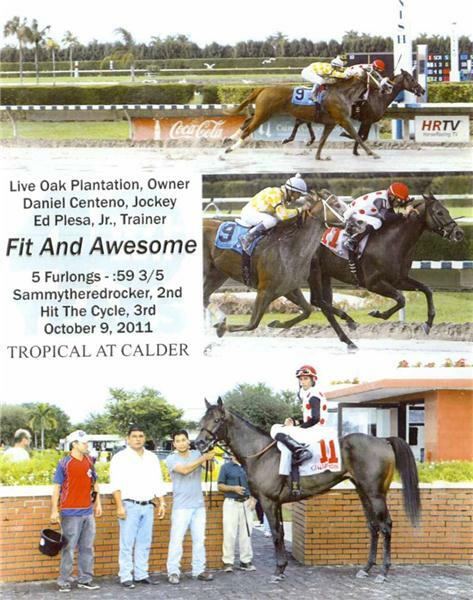 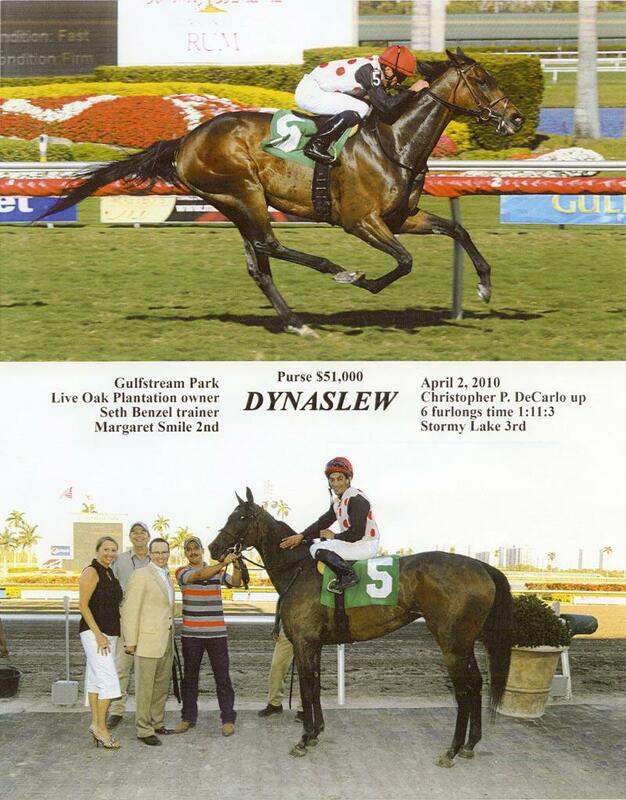 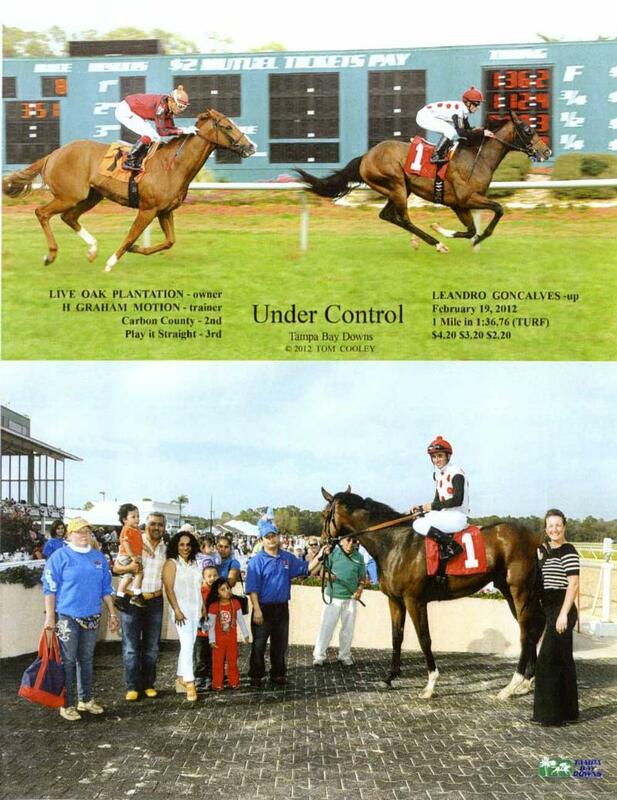 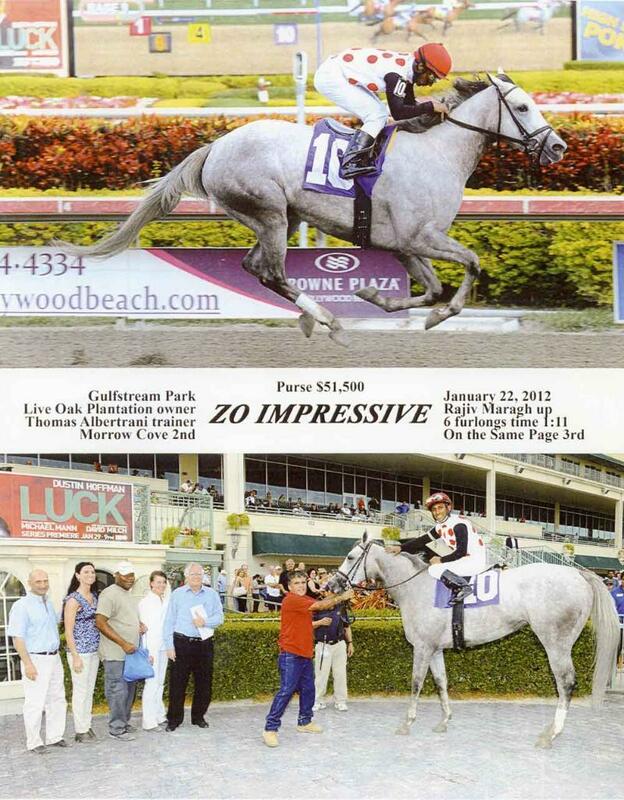 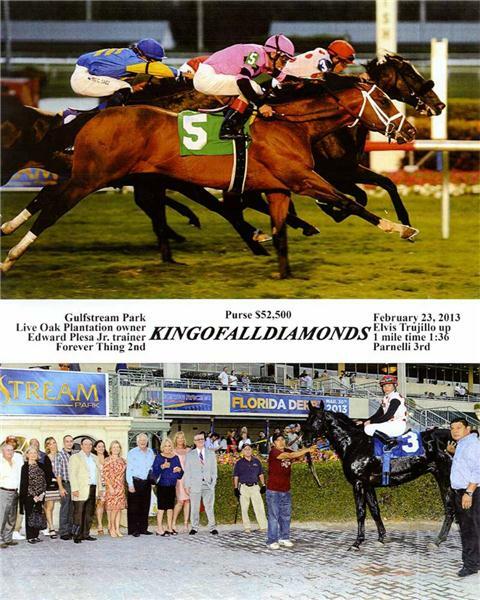 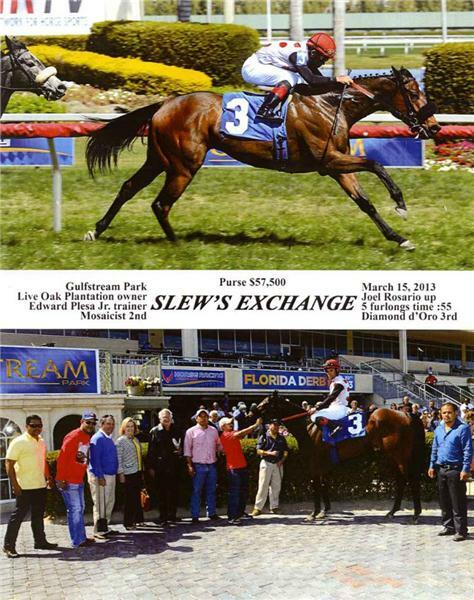 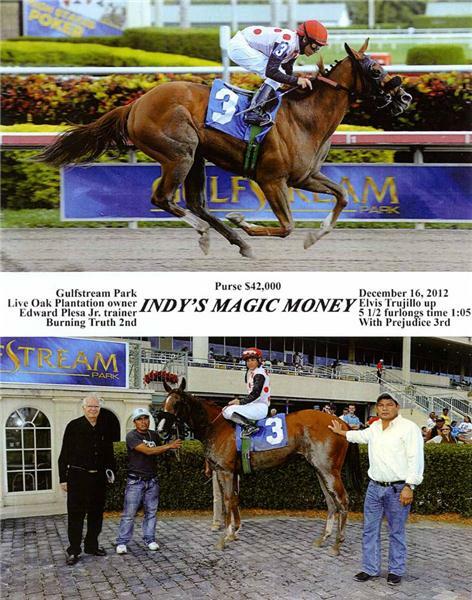 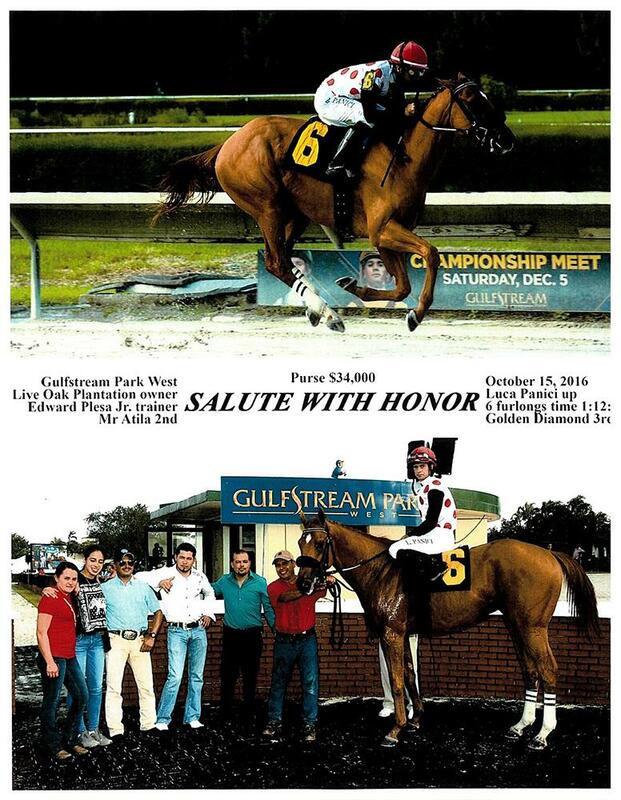 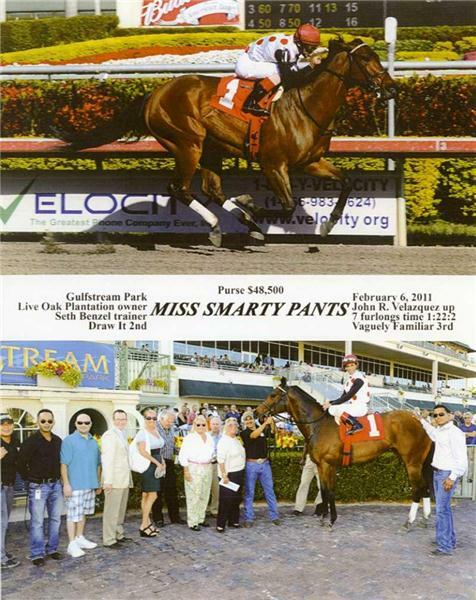 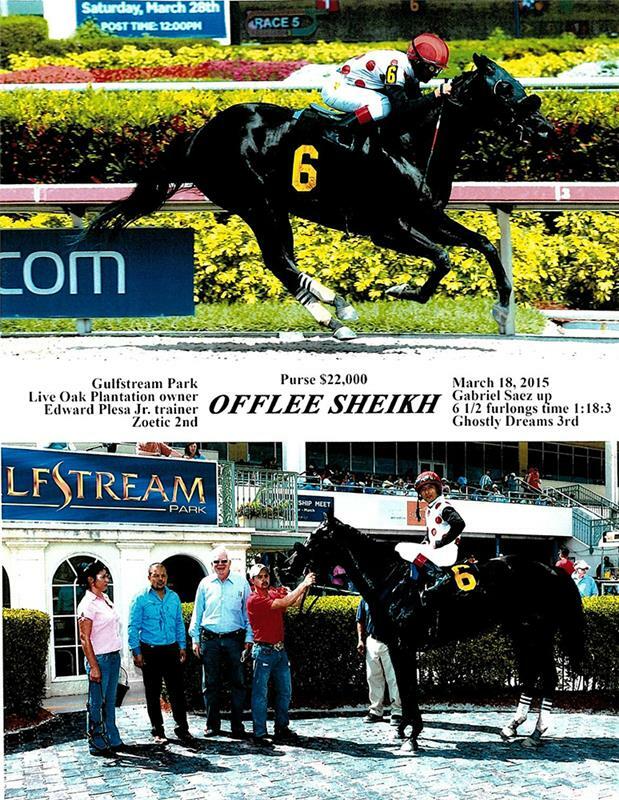 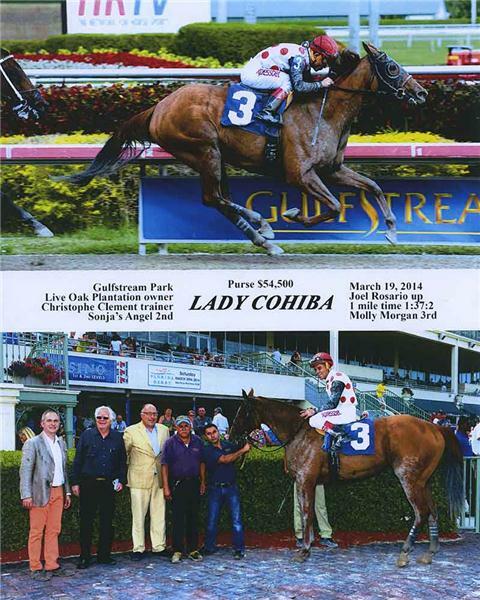 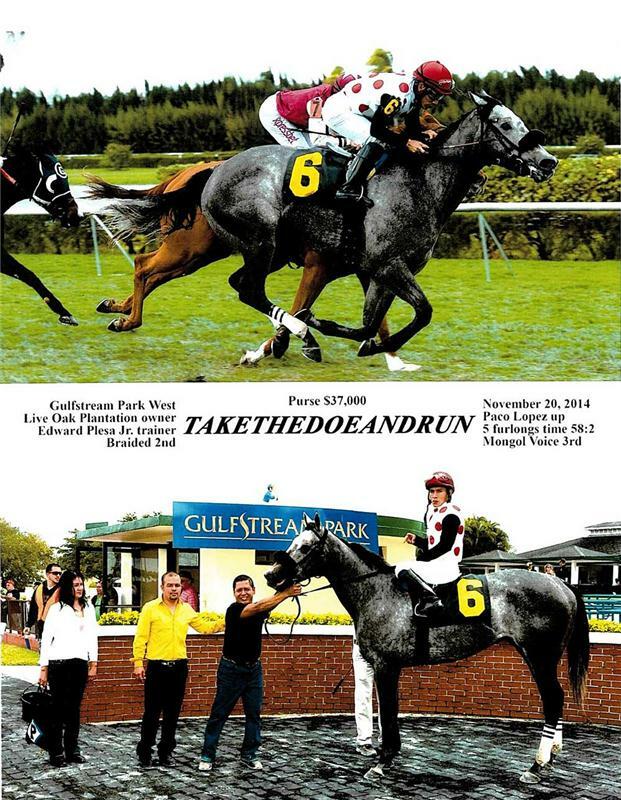 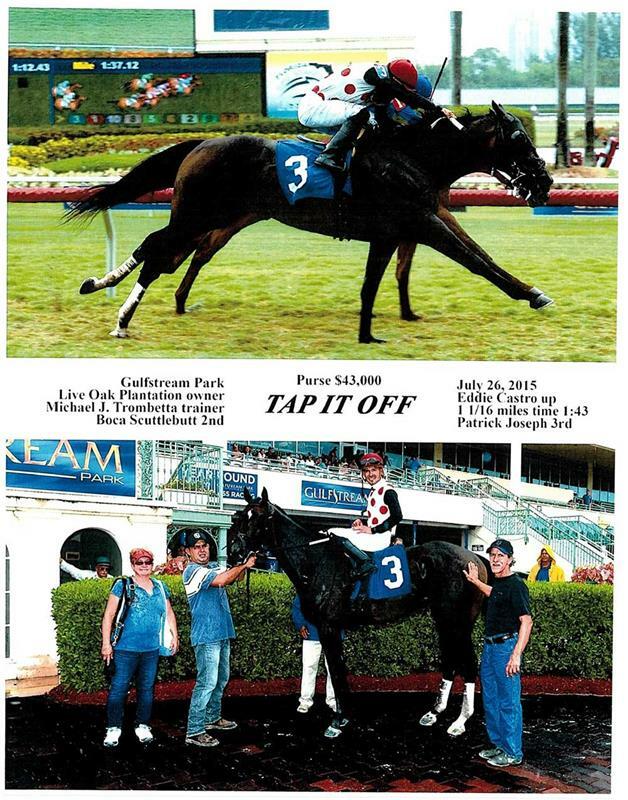 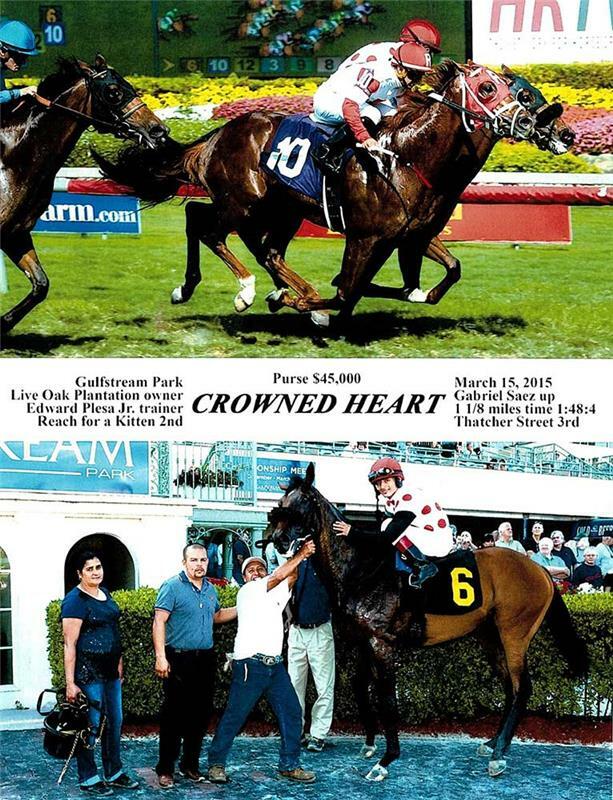 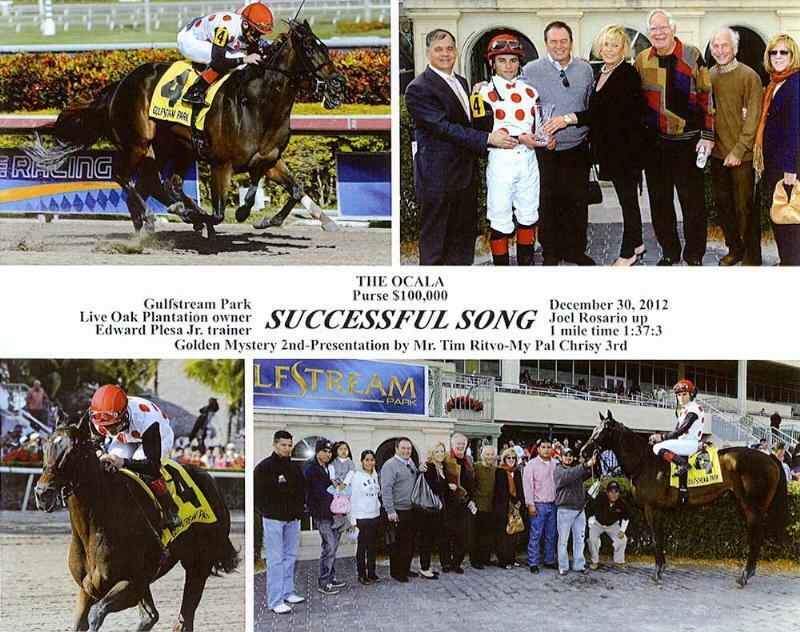 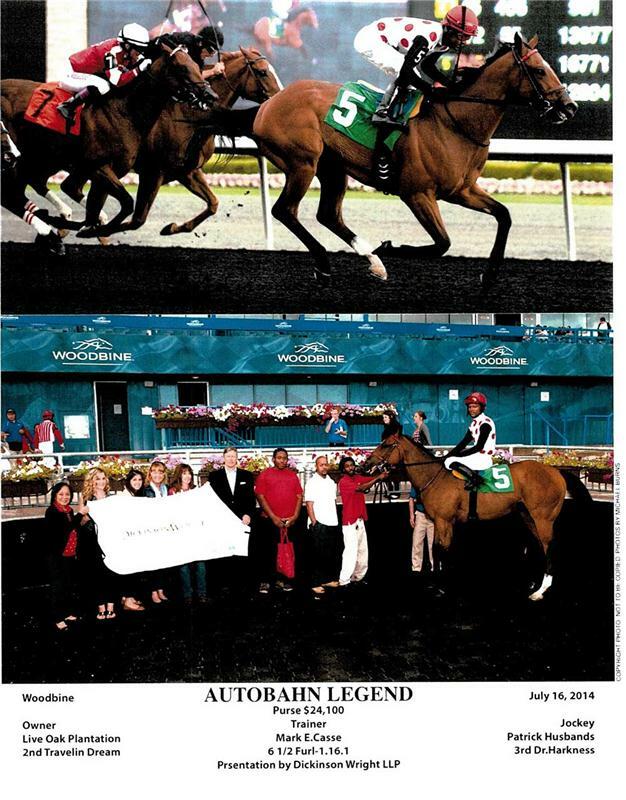 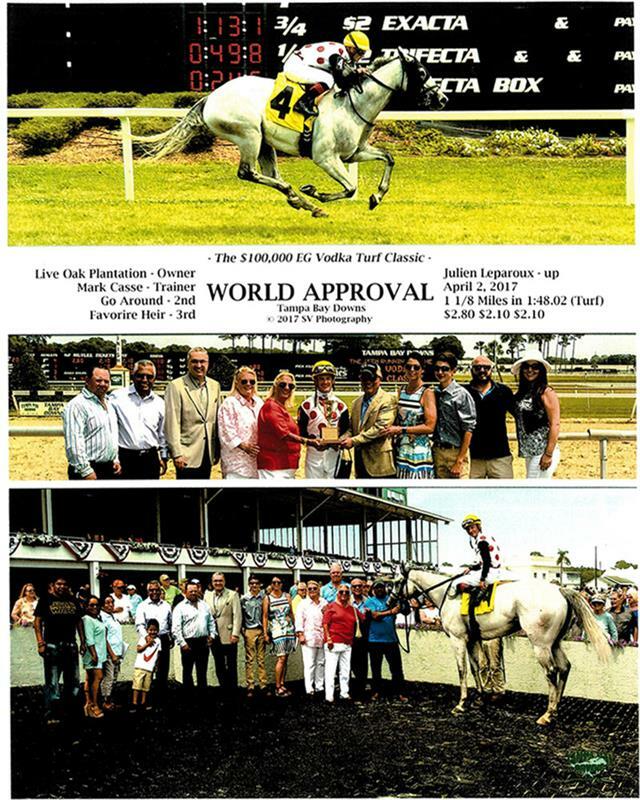 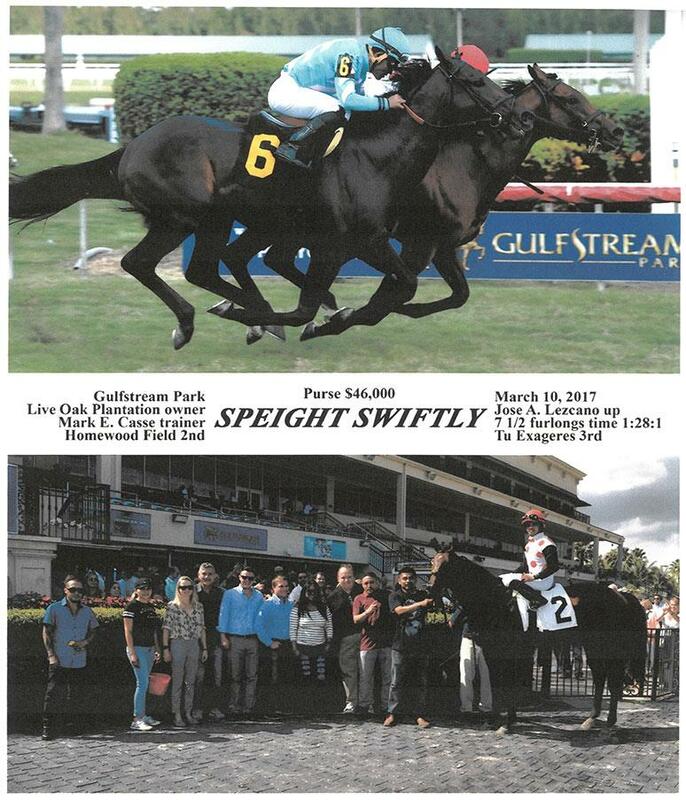 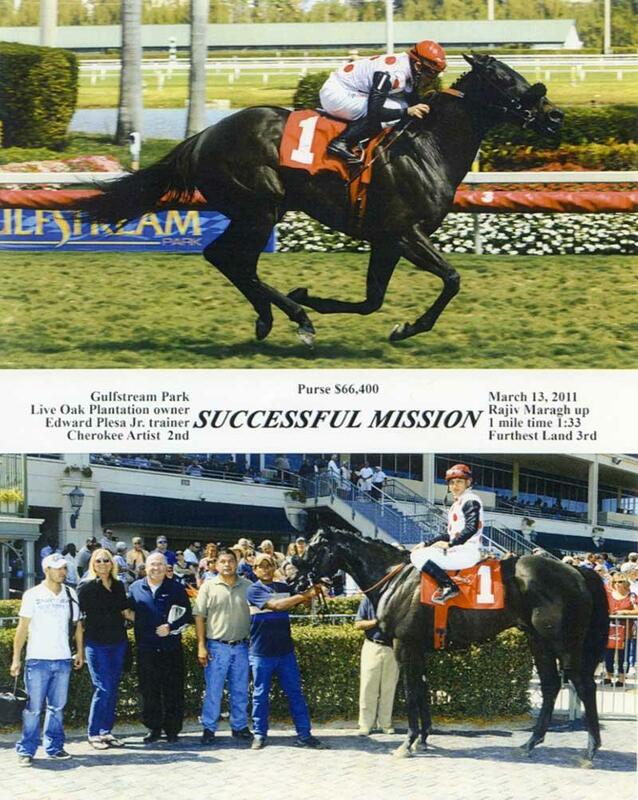 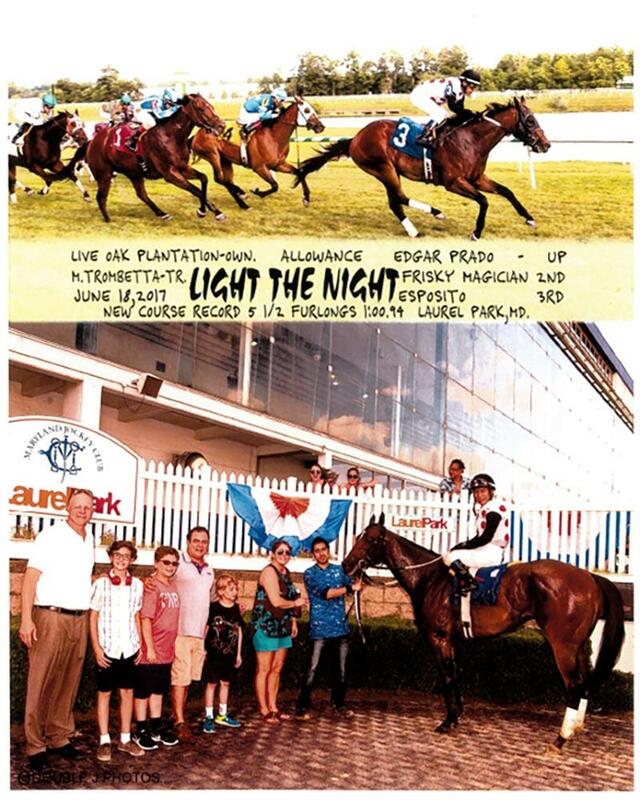 Live Oak’s Successful Song kicked off 2013 with a win in her final start before retirement, taking the $300,000 Florida Sunshine Millions Distaff. 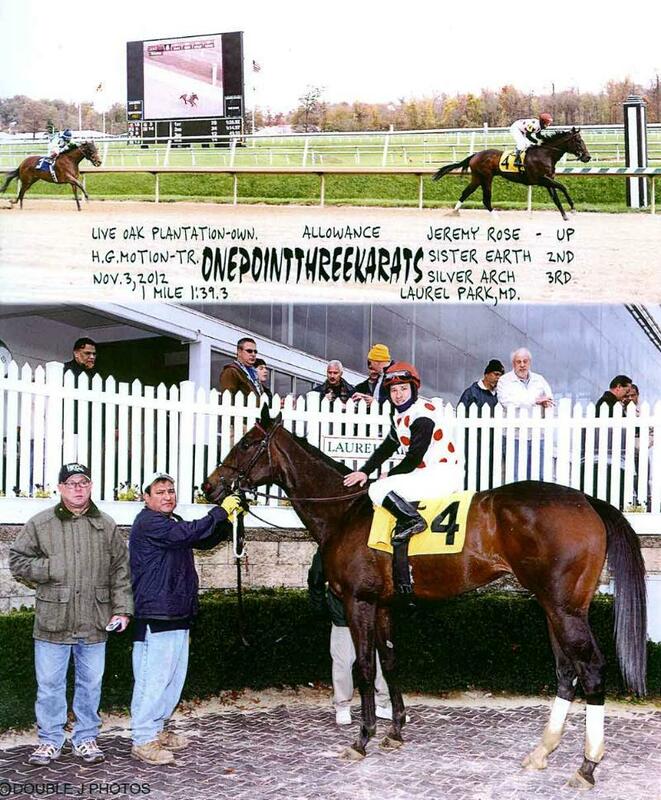 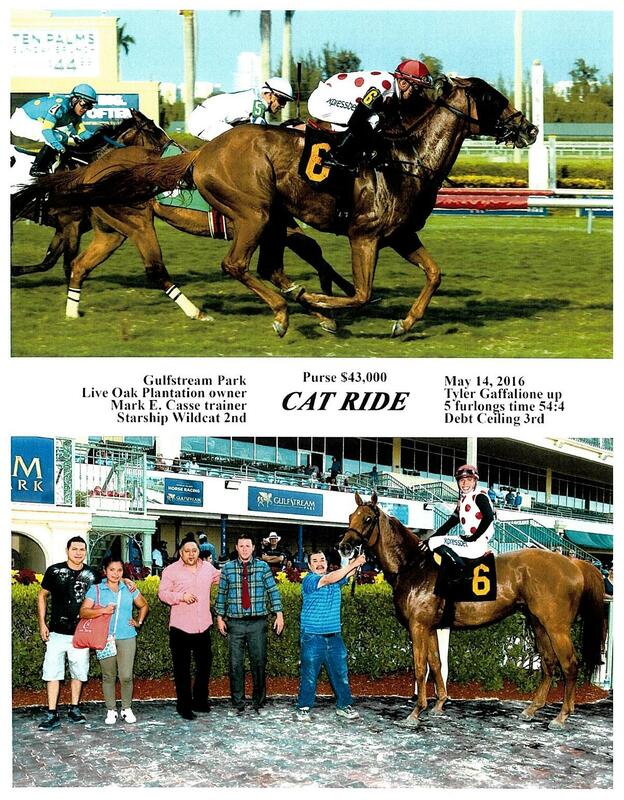 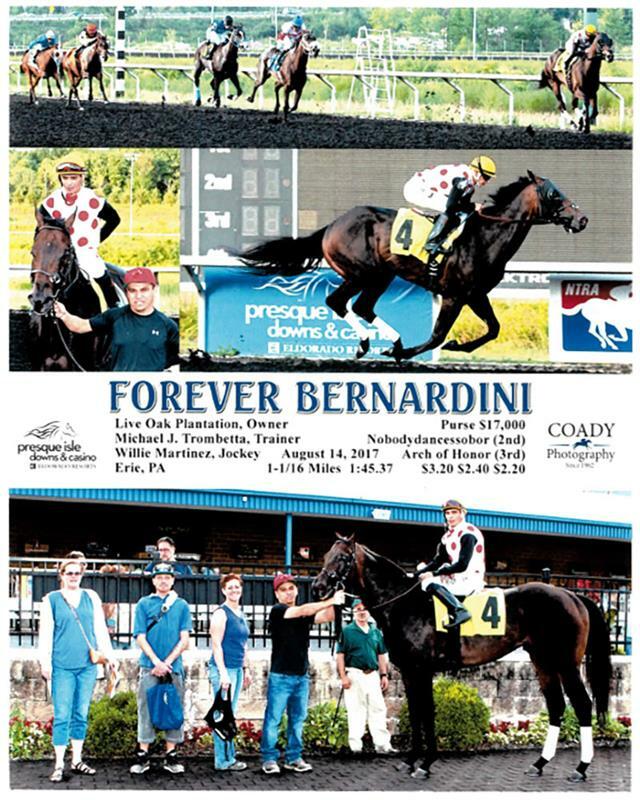 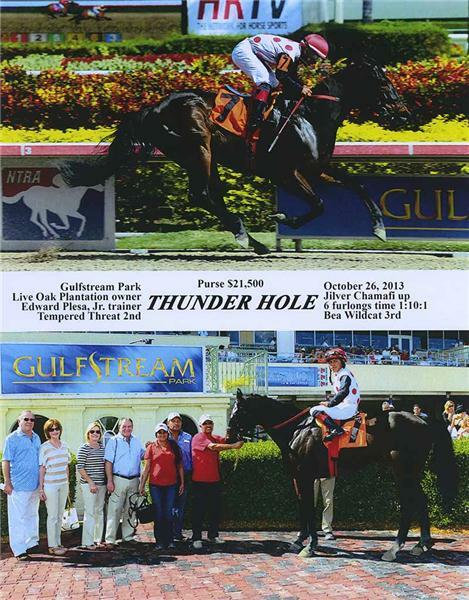 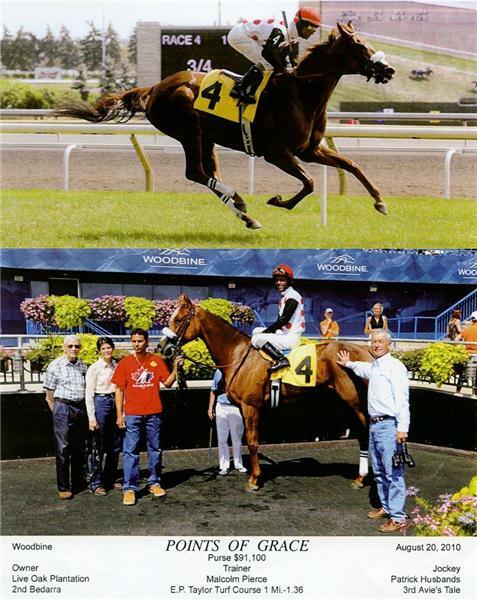 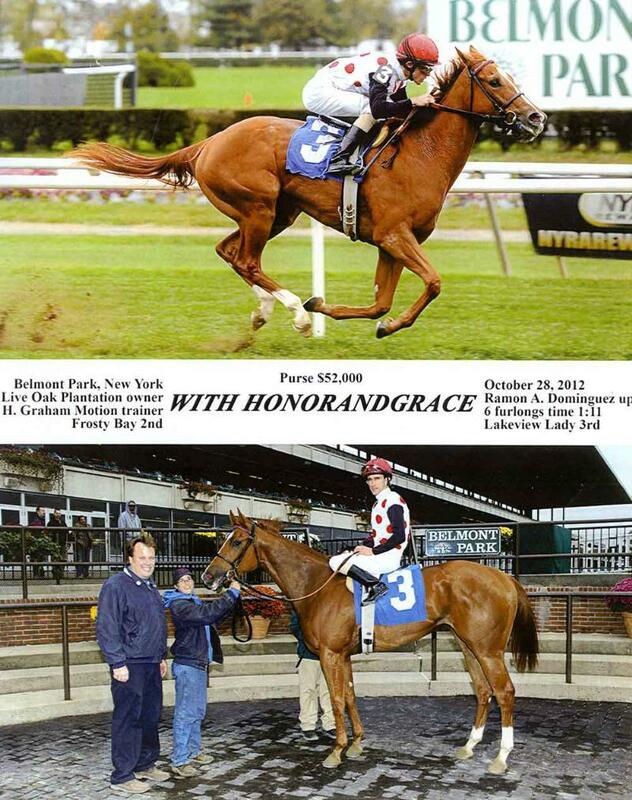 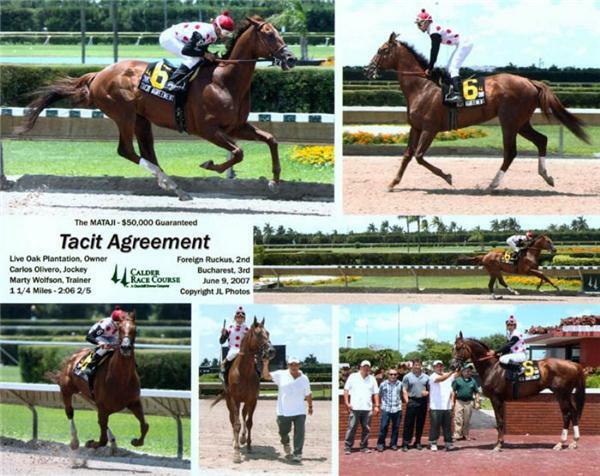 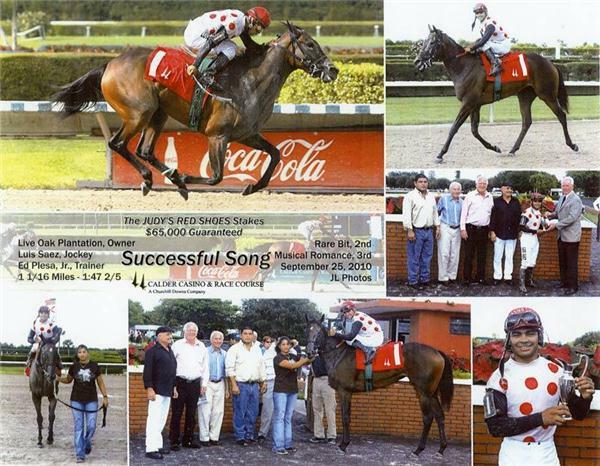 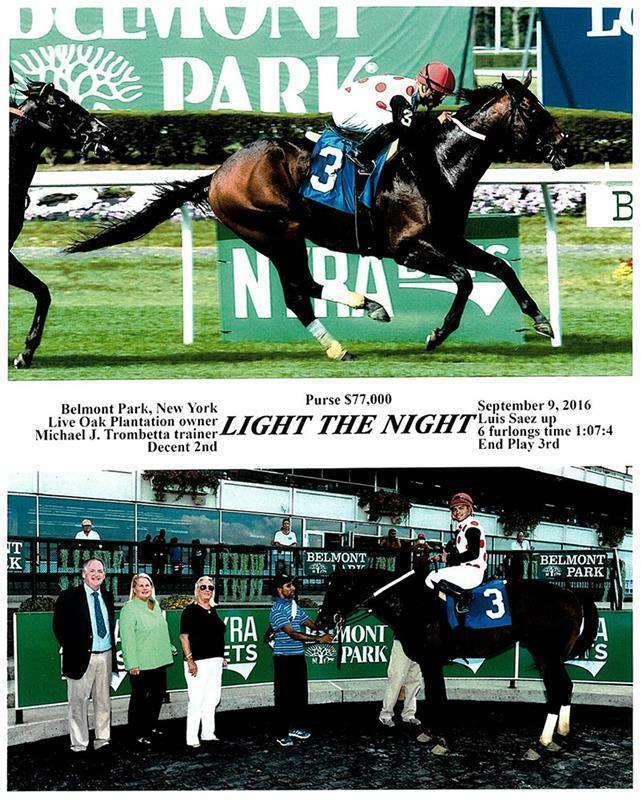 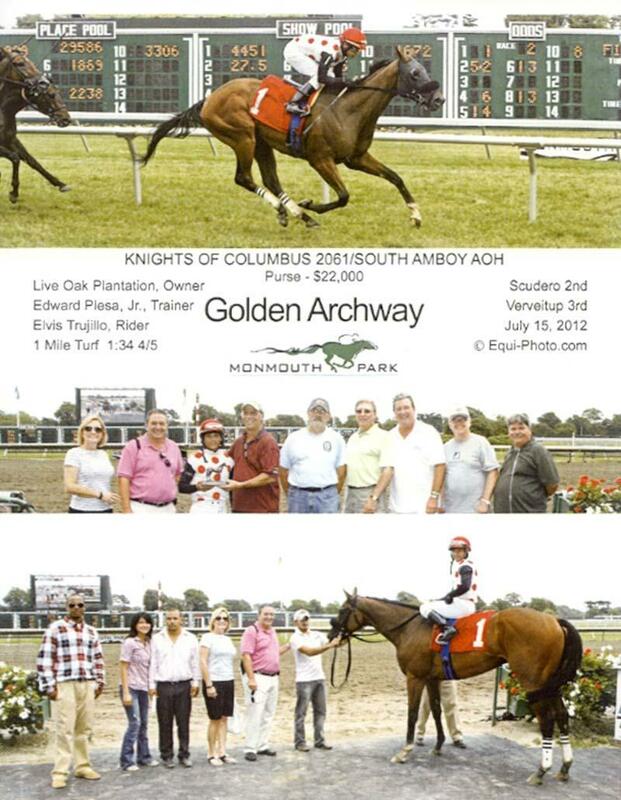 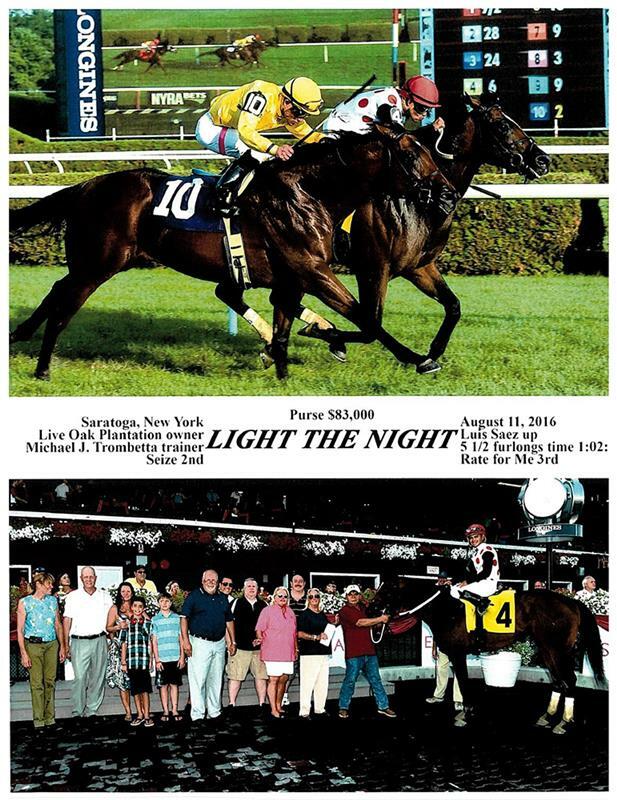 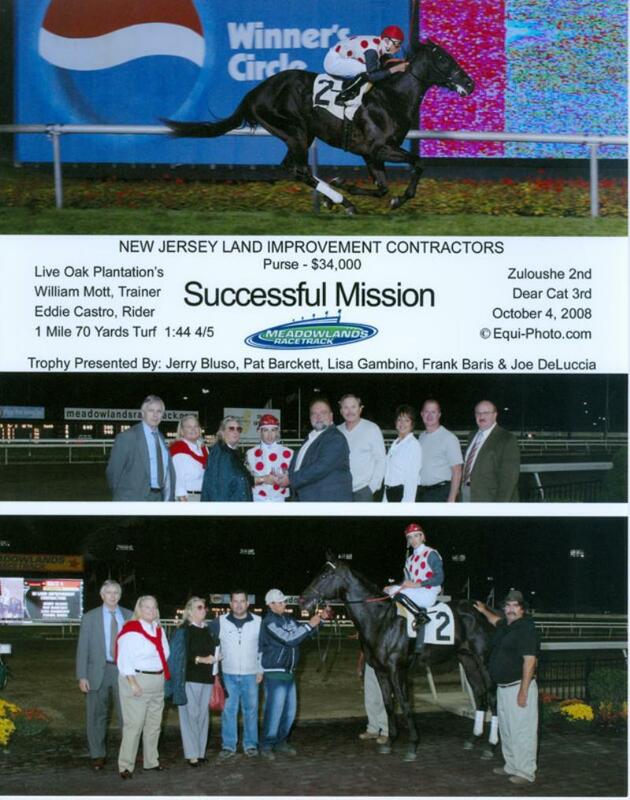 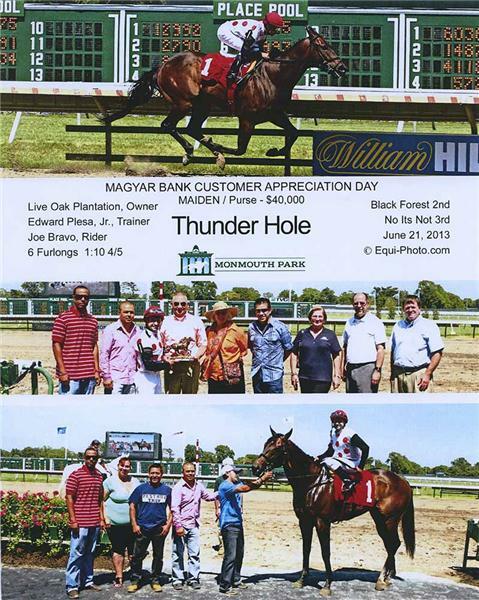 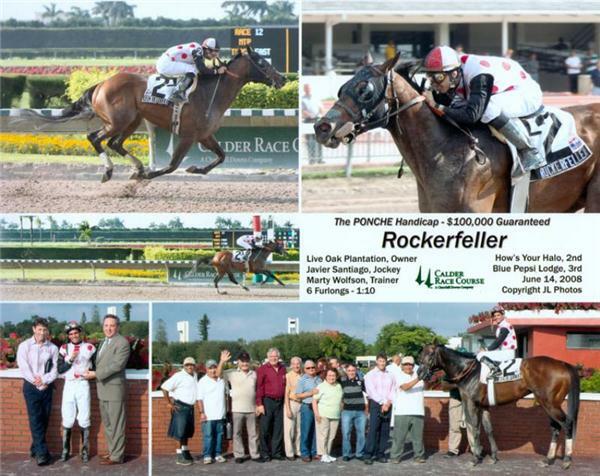 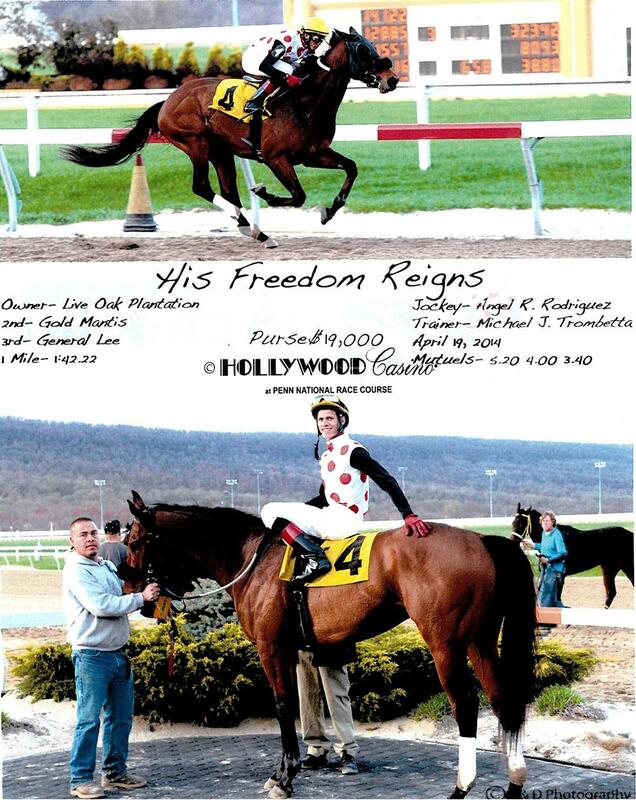 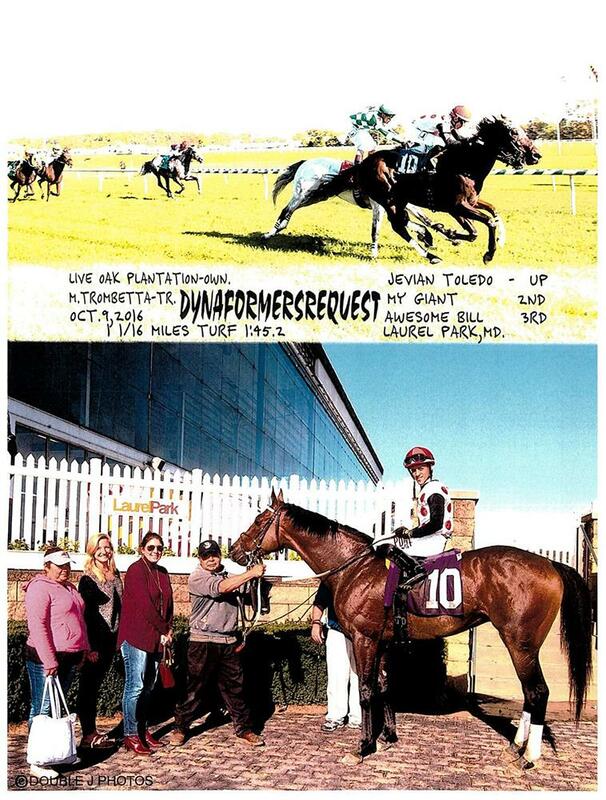 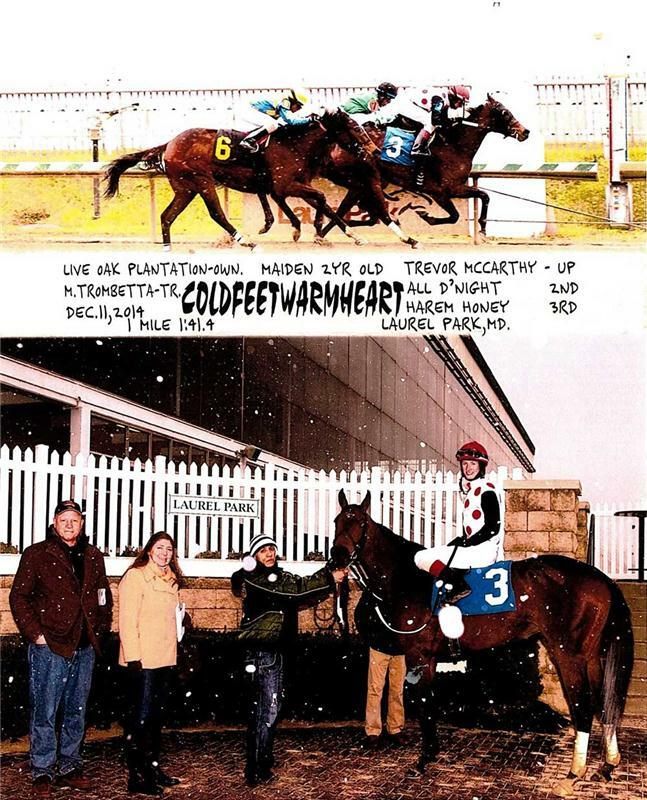 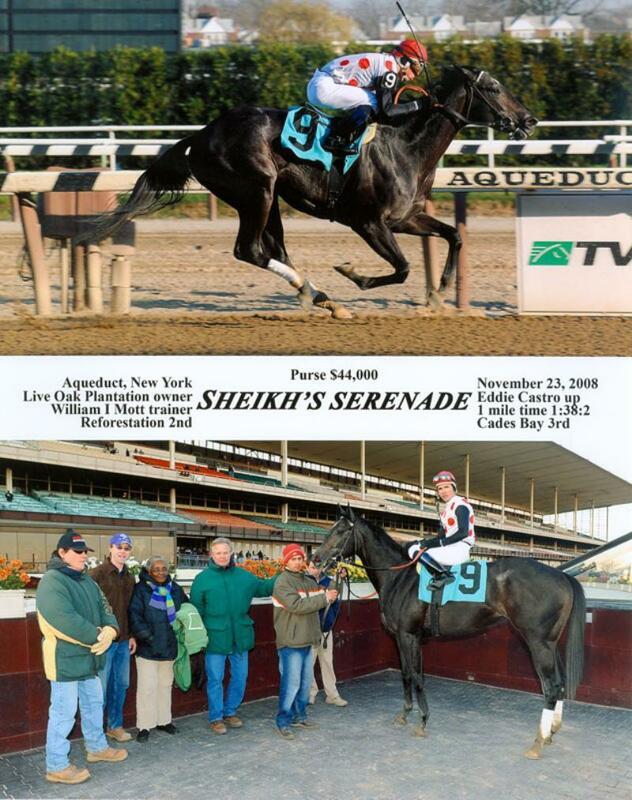 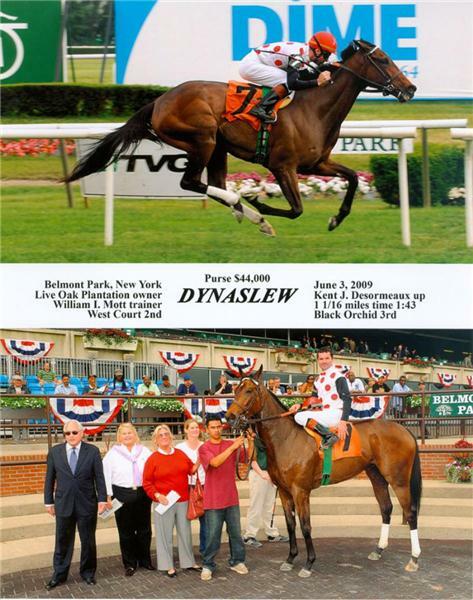 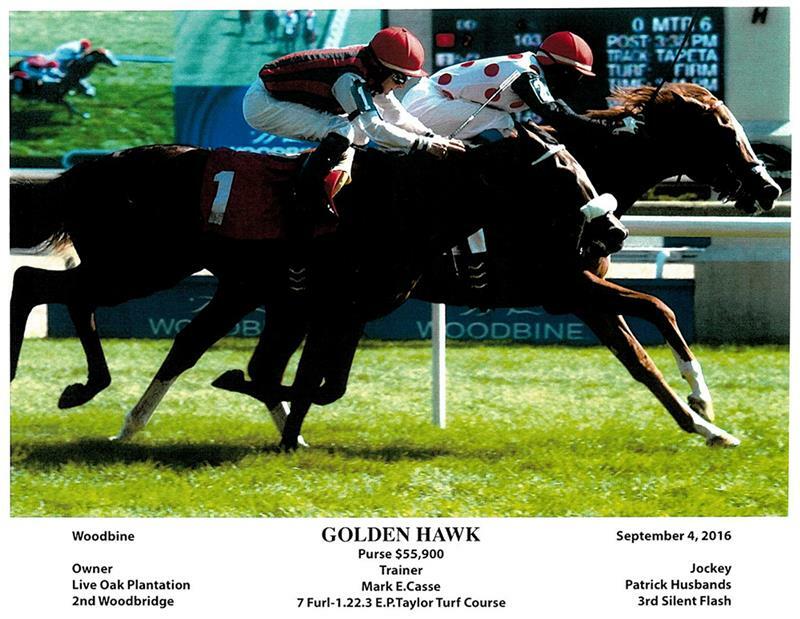 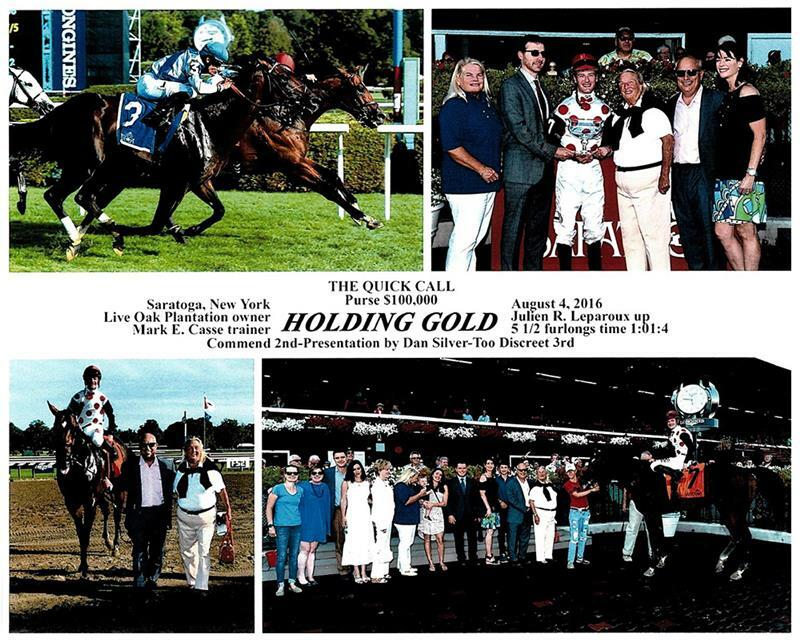 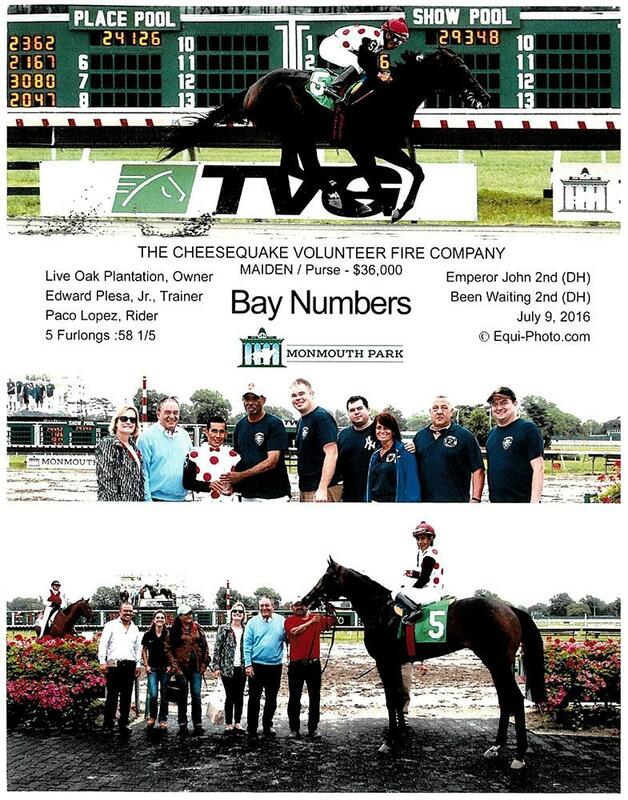 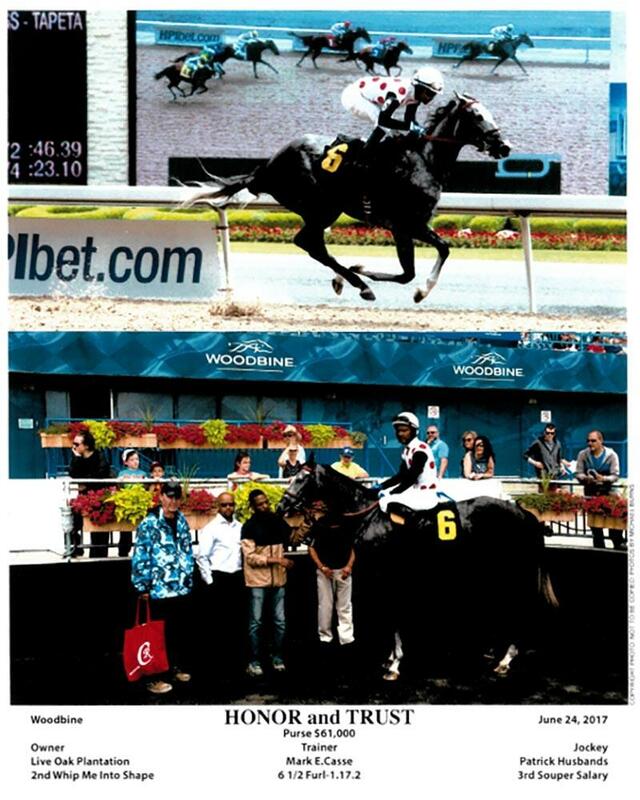 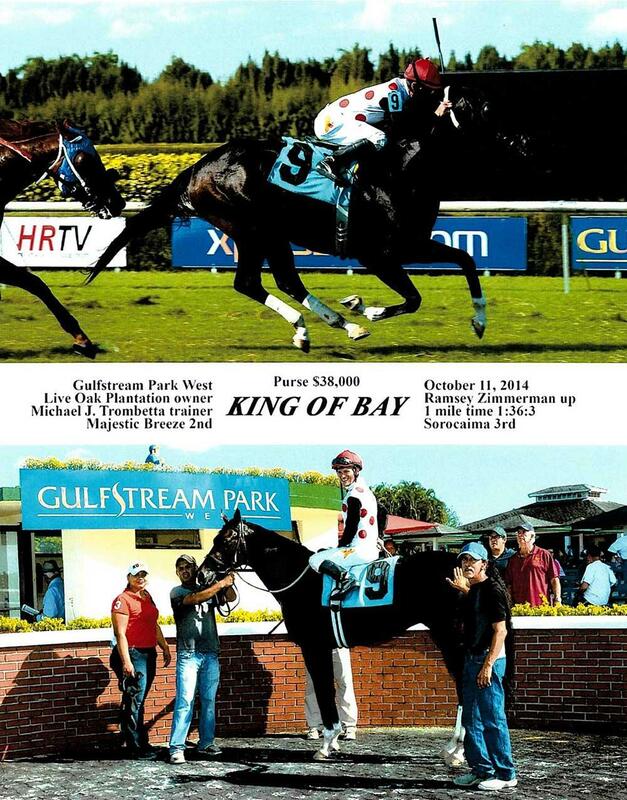 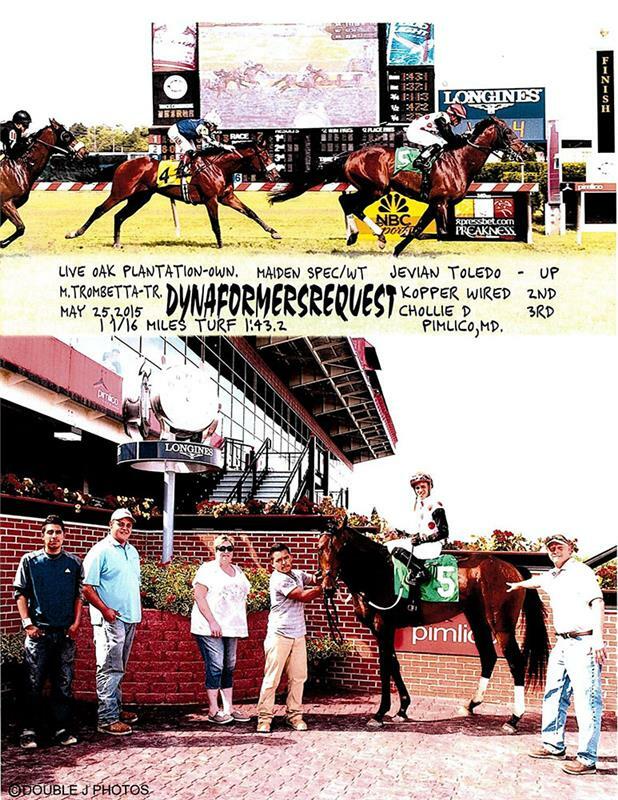 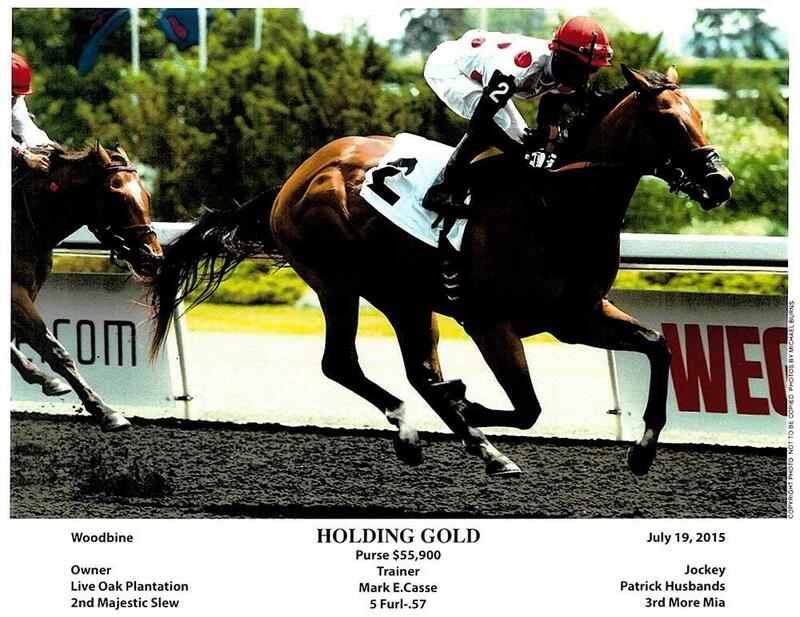 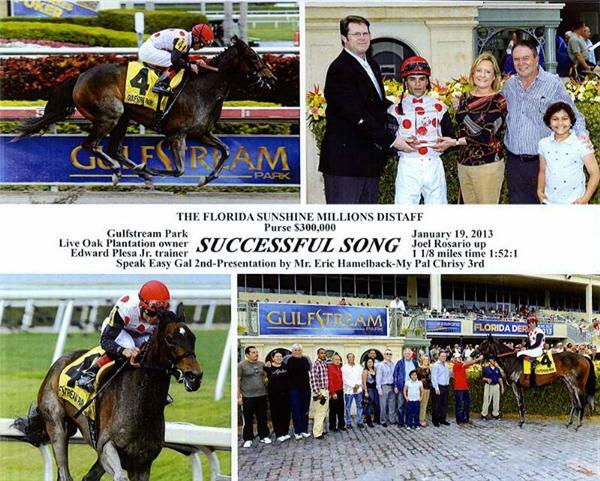 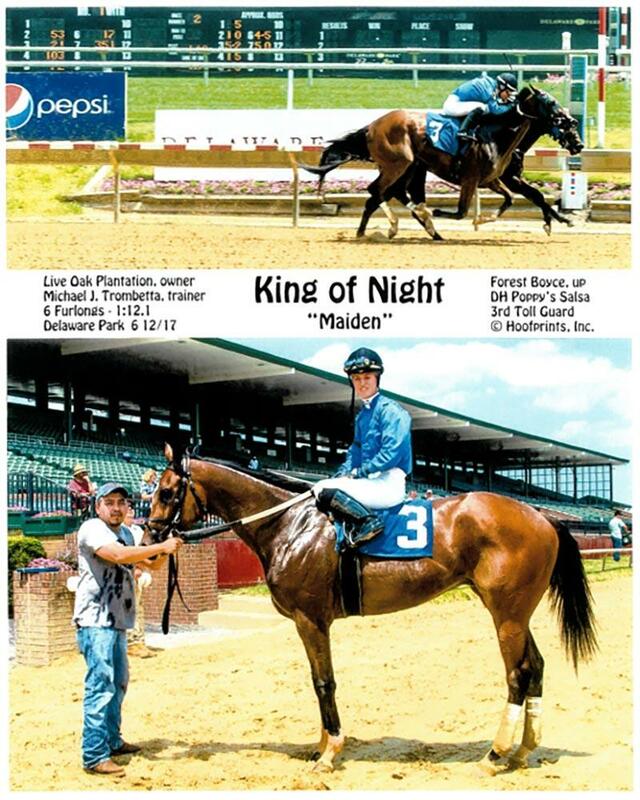 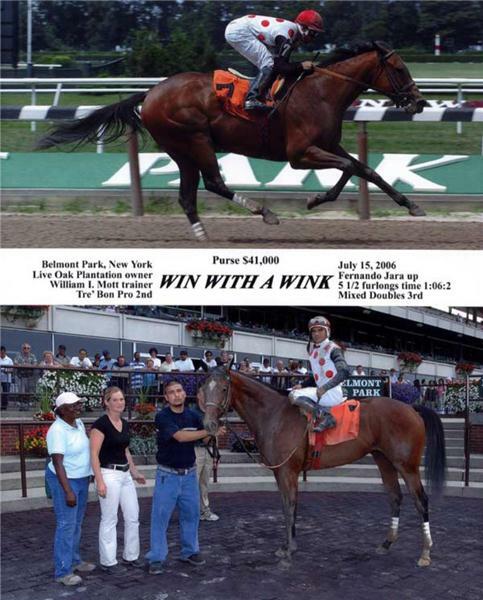 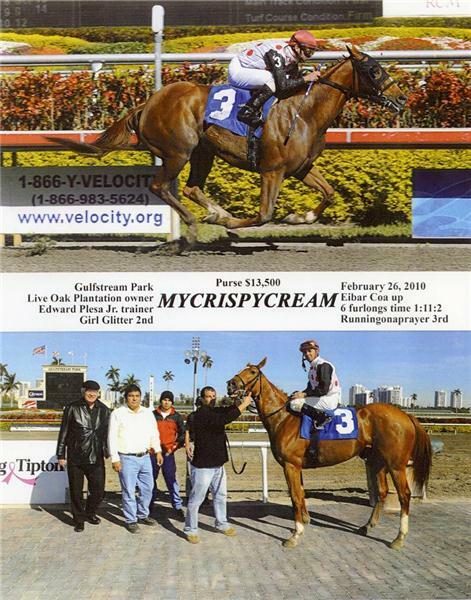 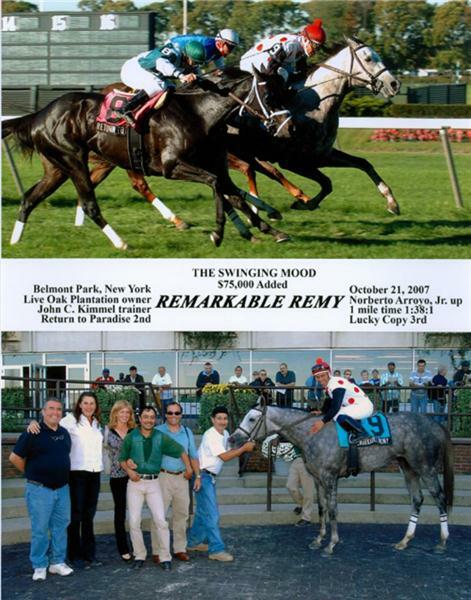 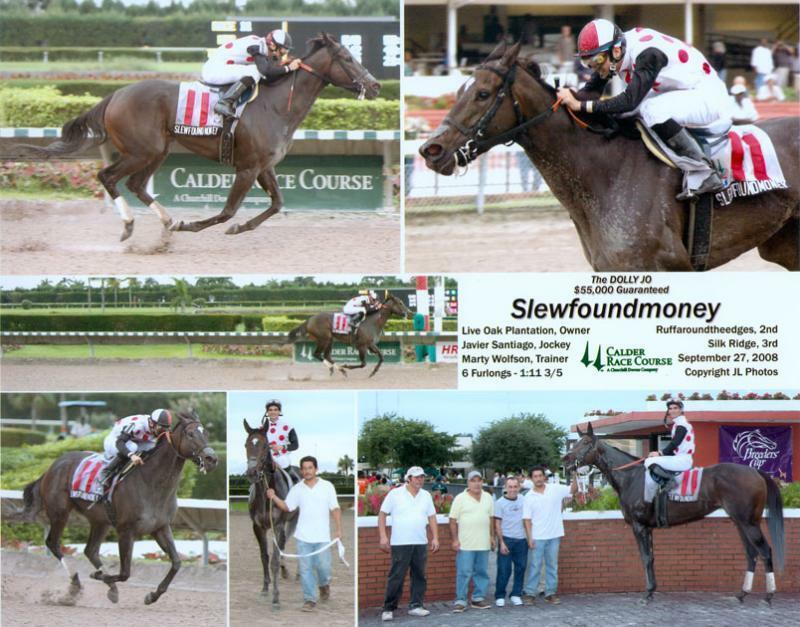 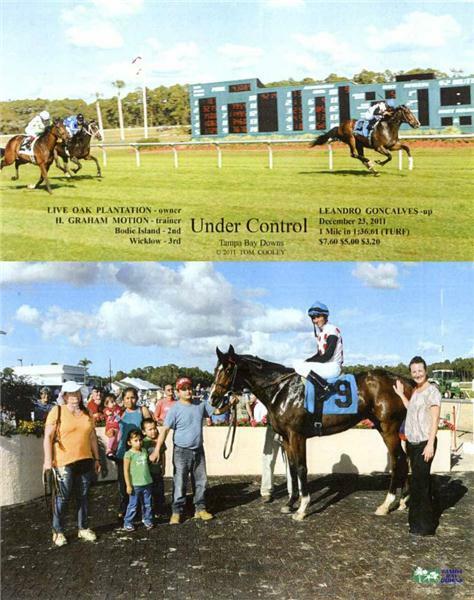 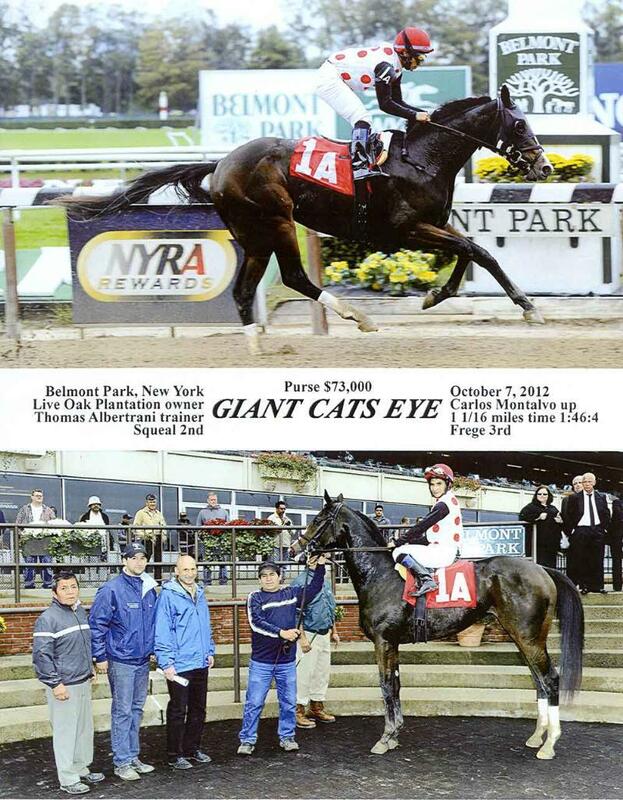 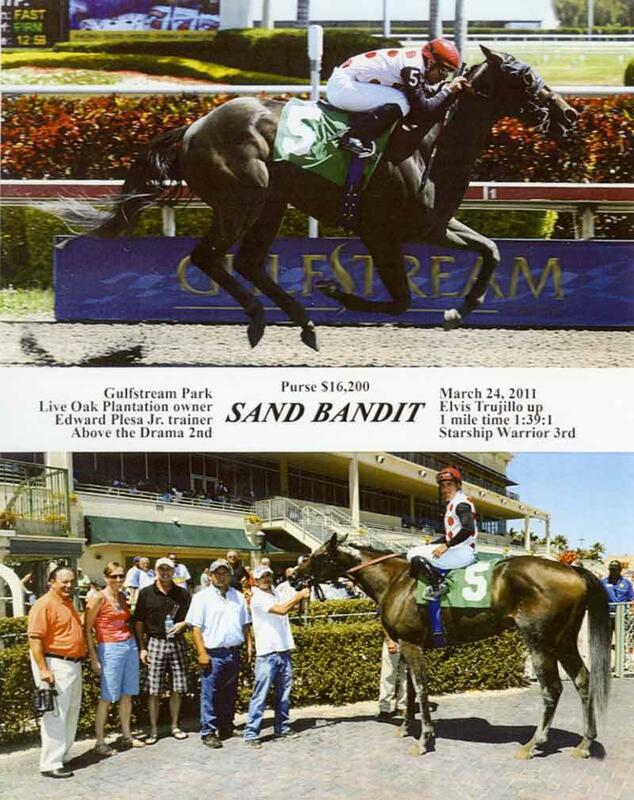 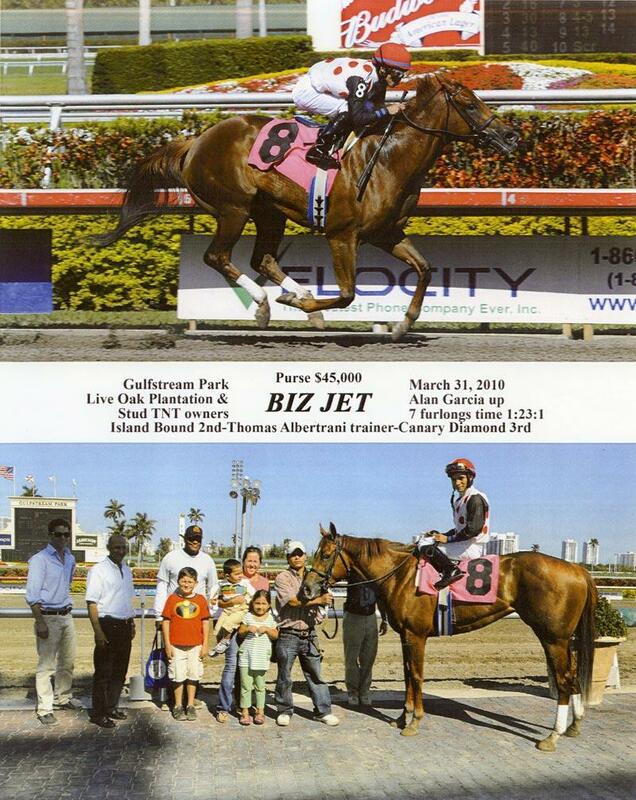 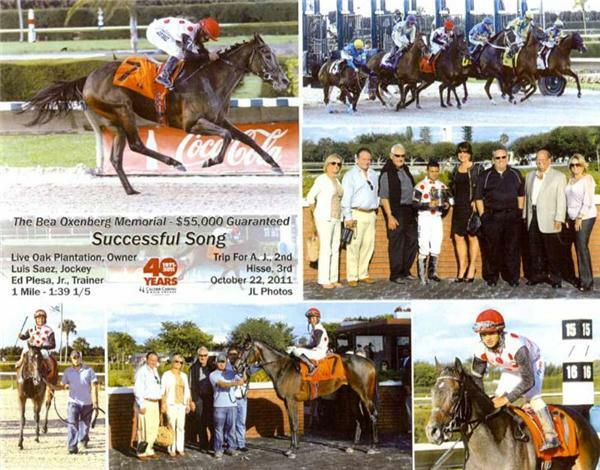 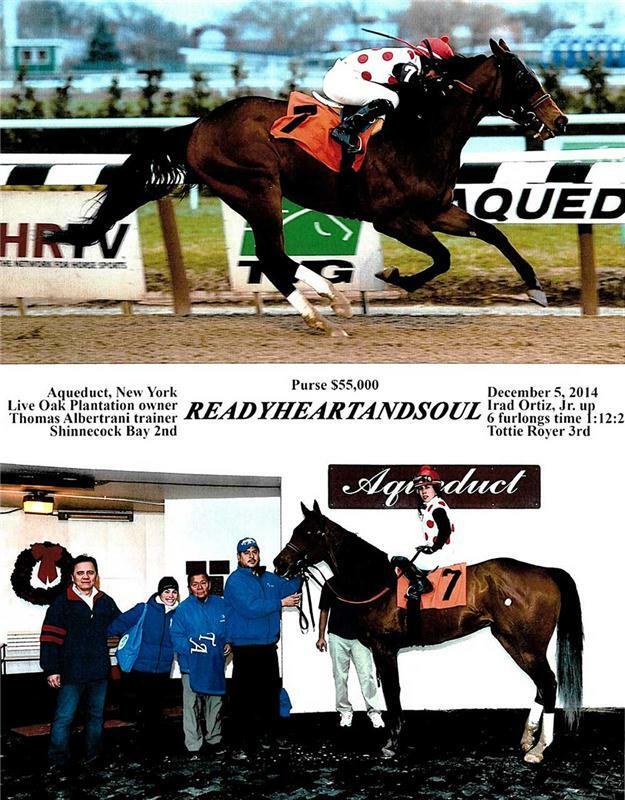 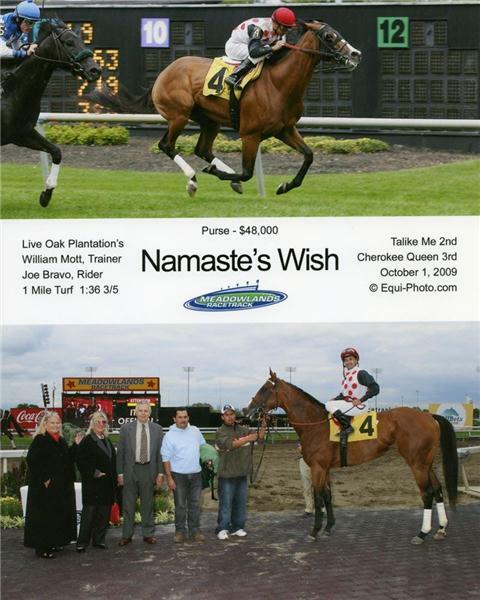 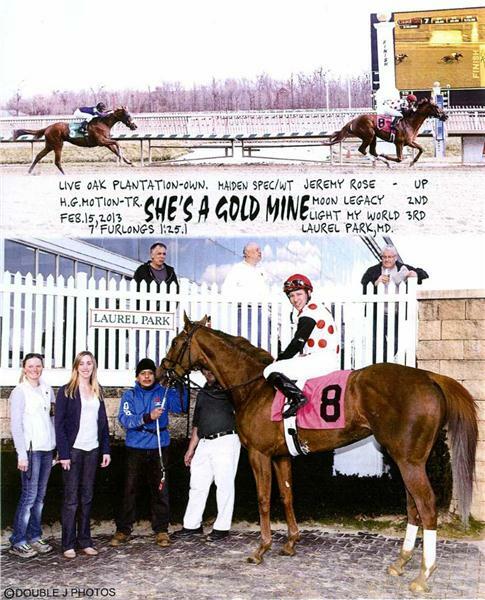 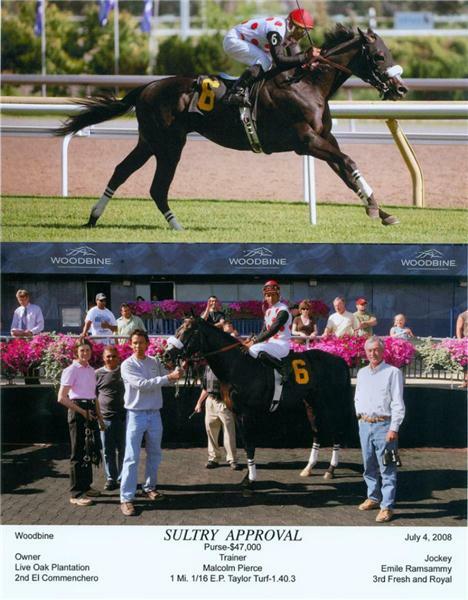 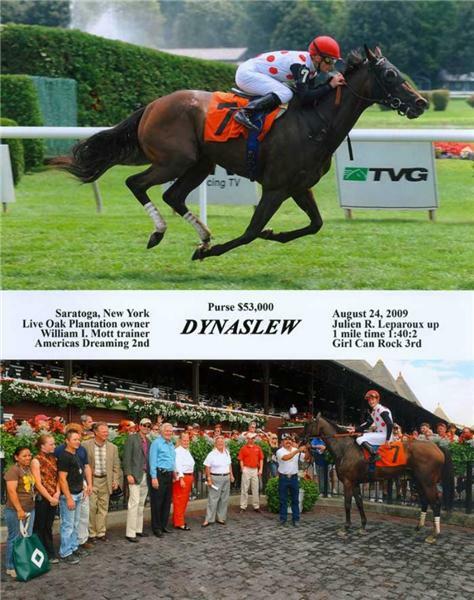 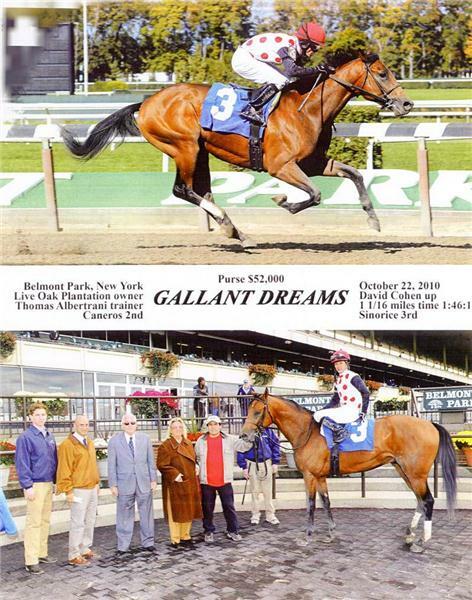 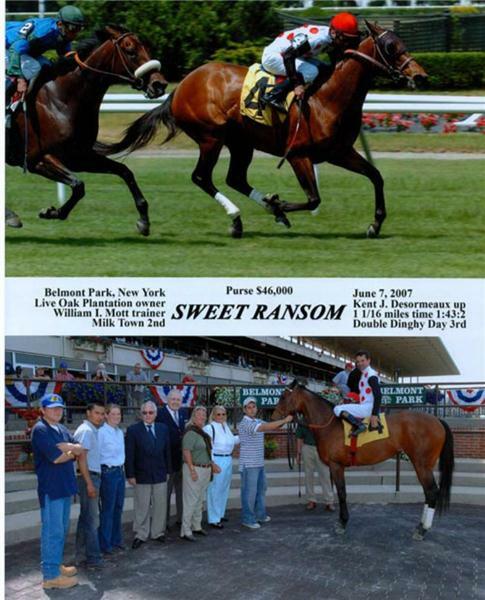 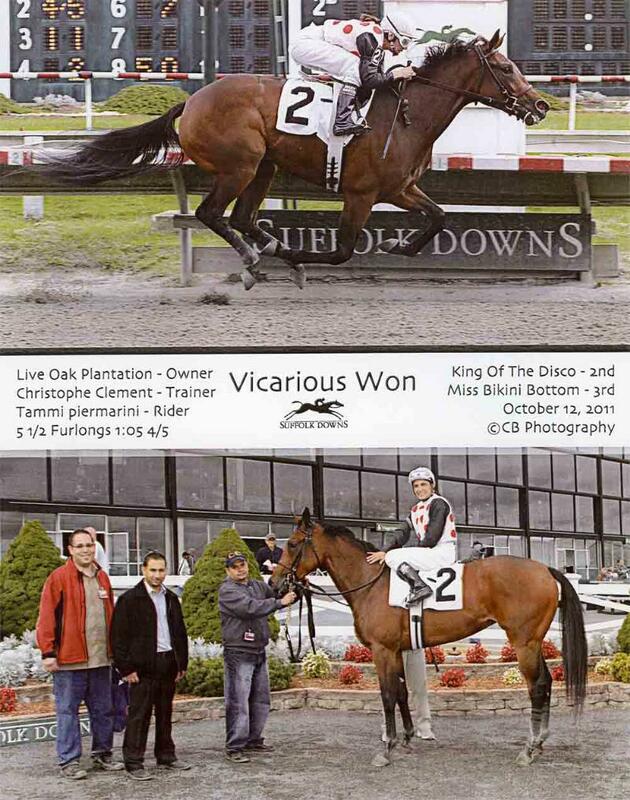 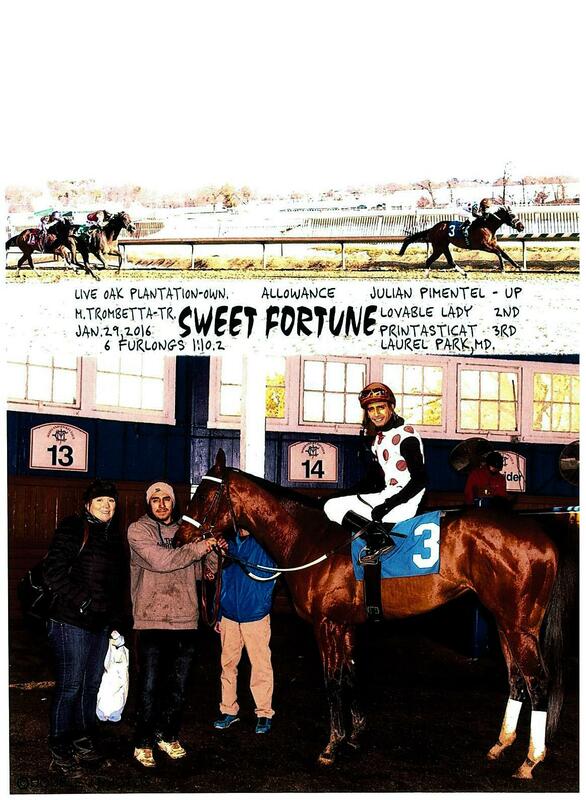 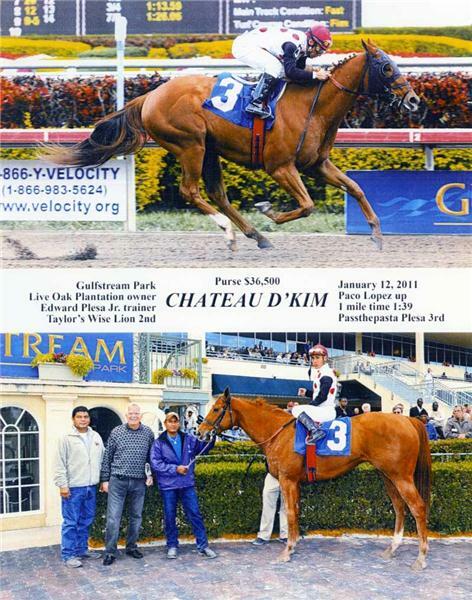 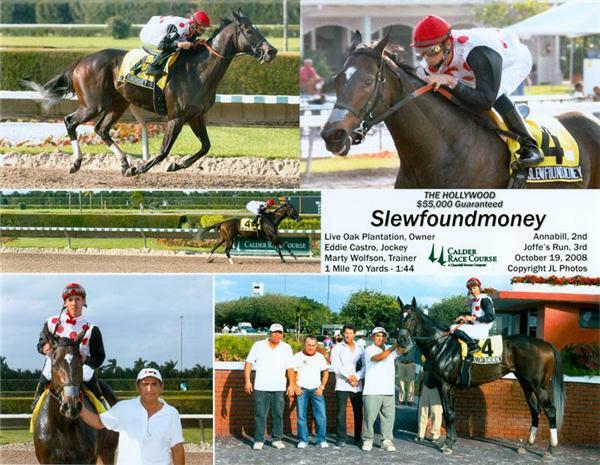 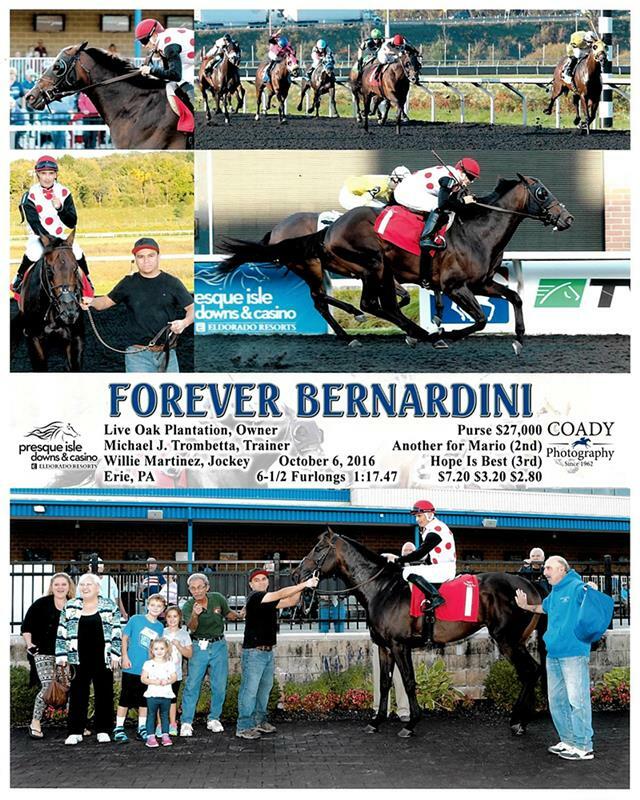 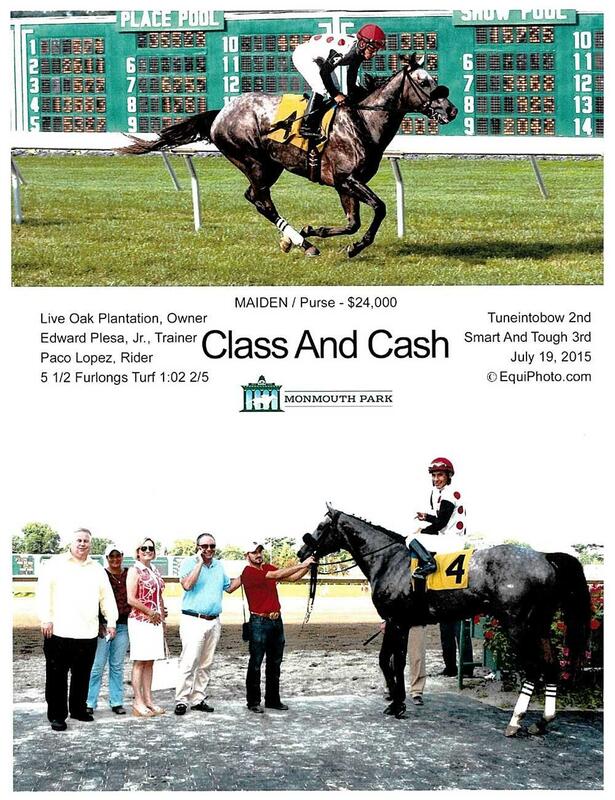 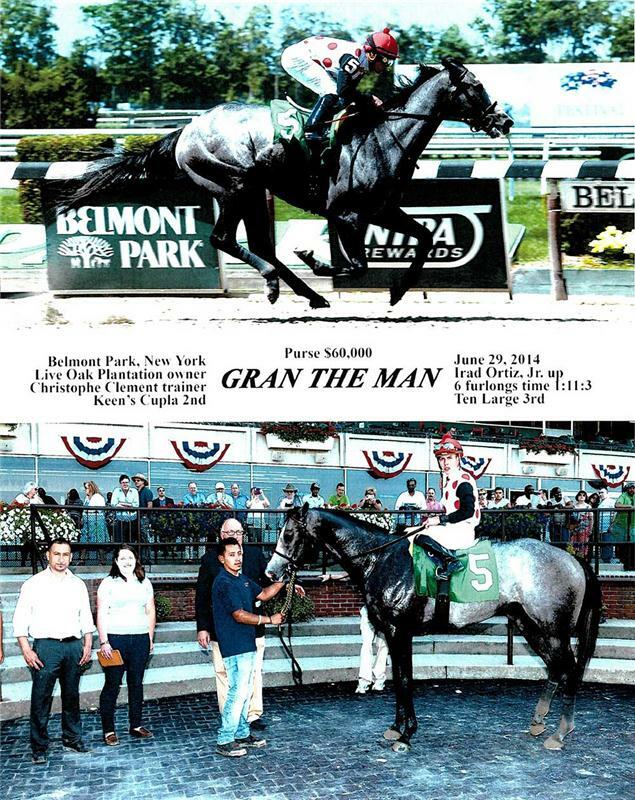 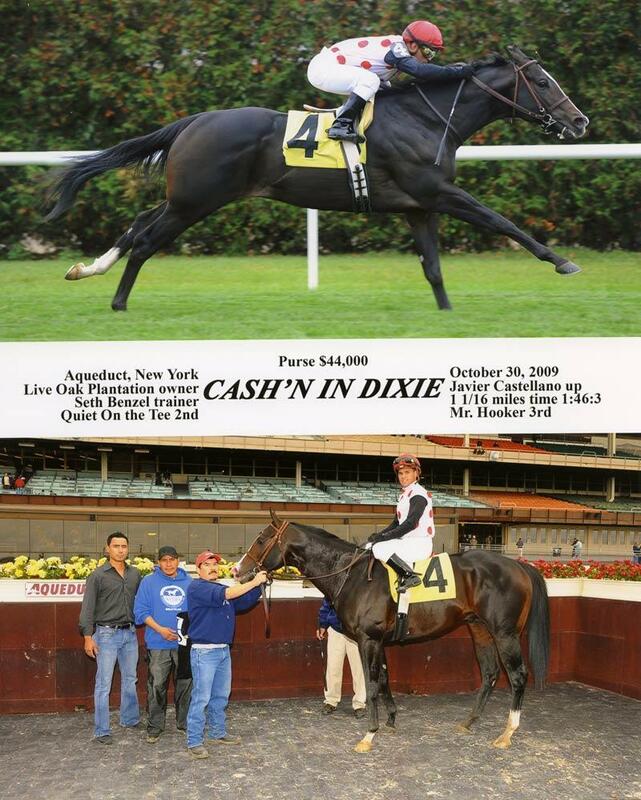 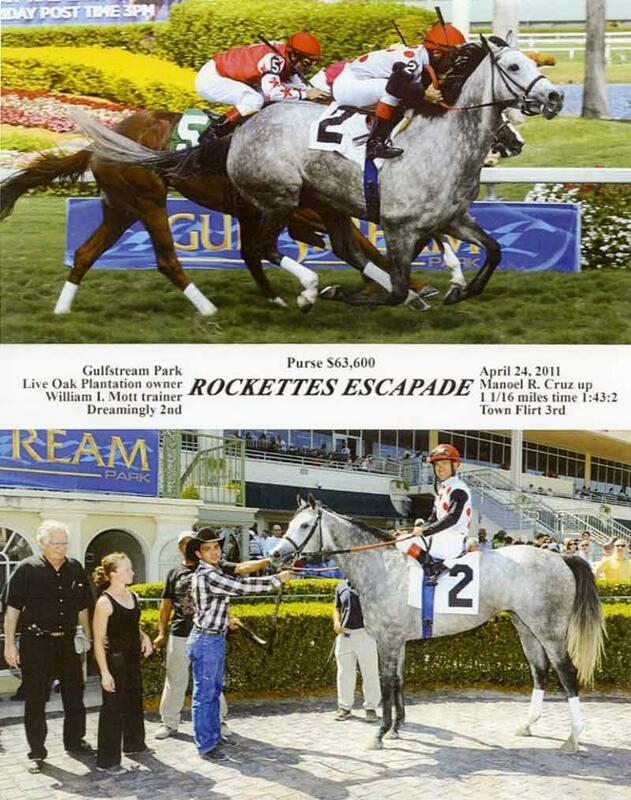 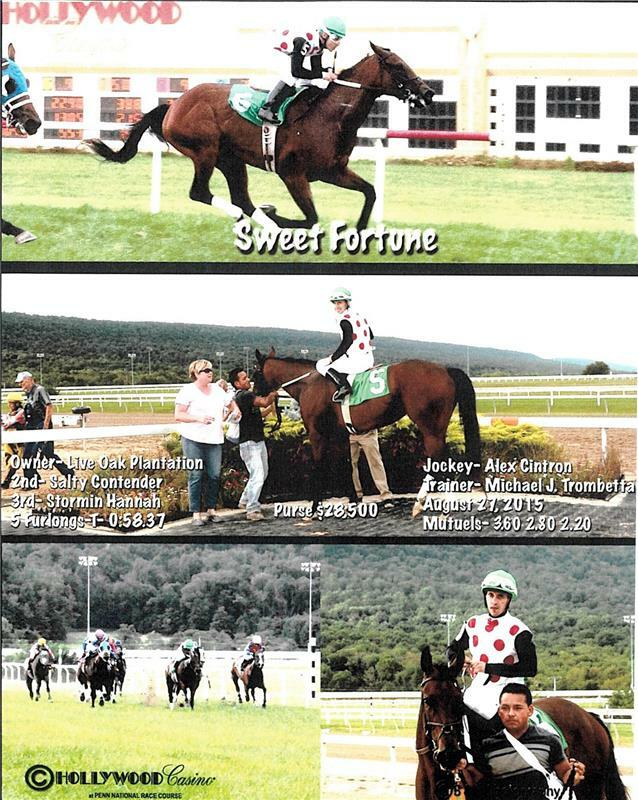 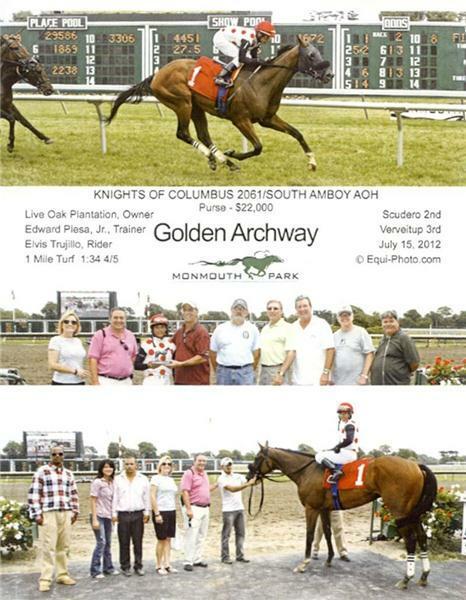 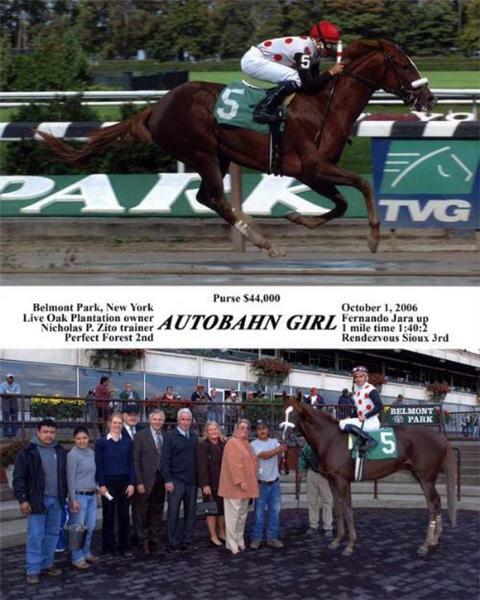 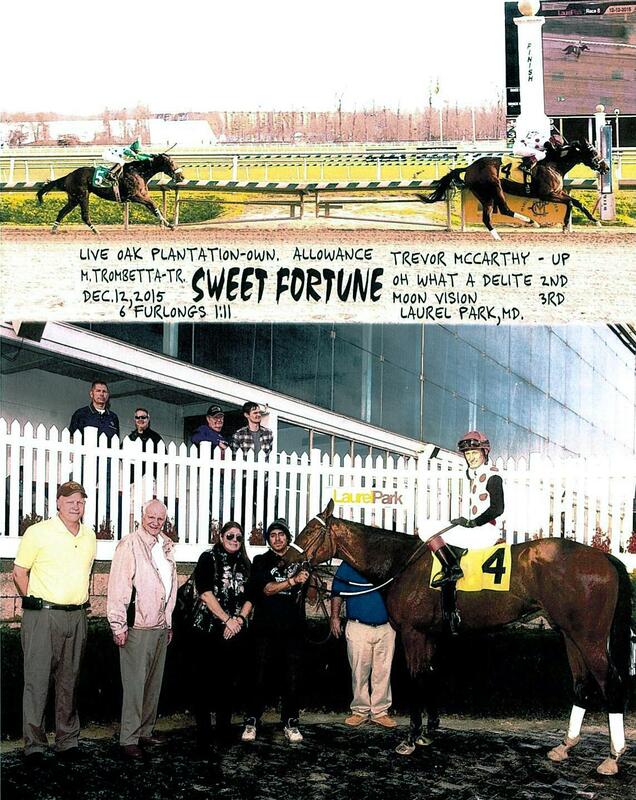 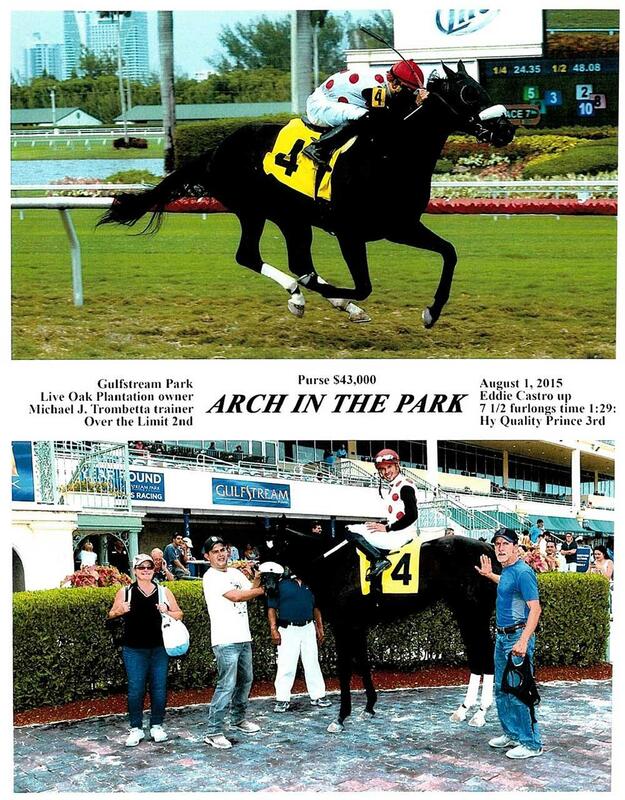 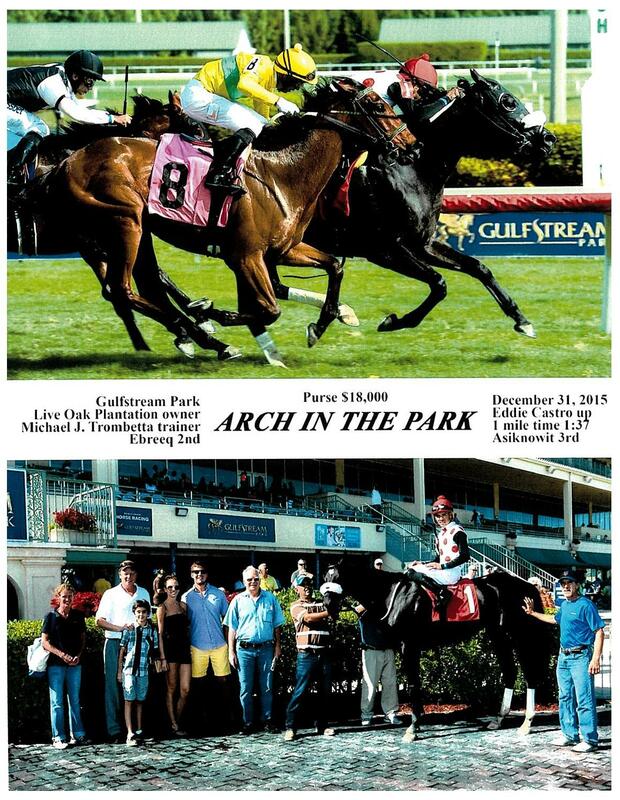 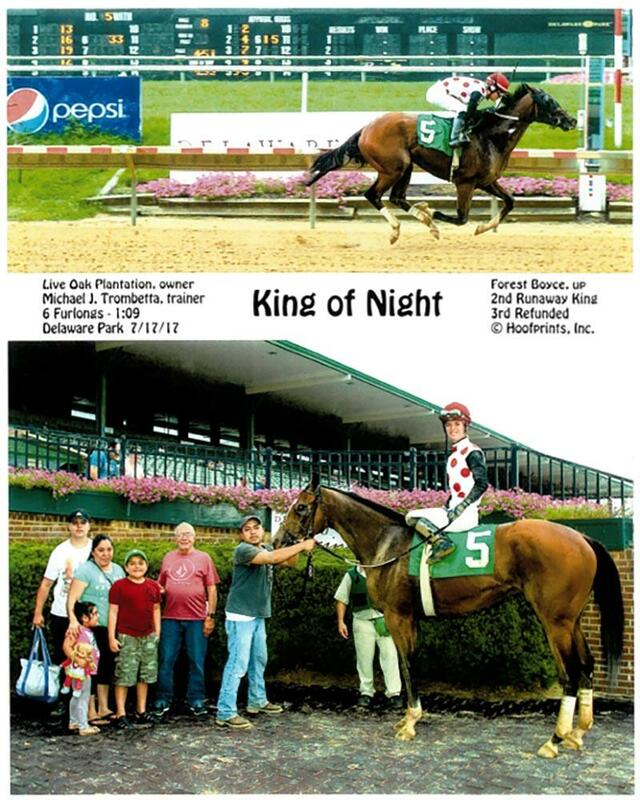 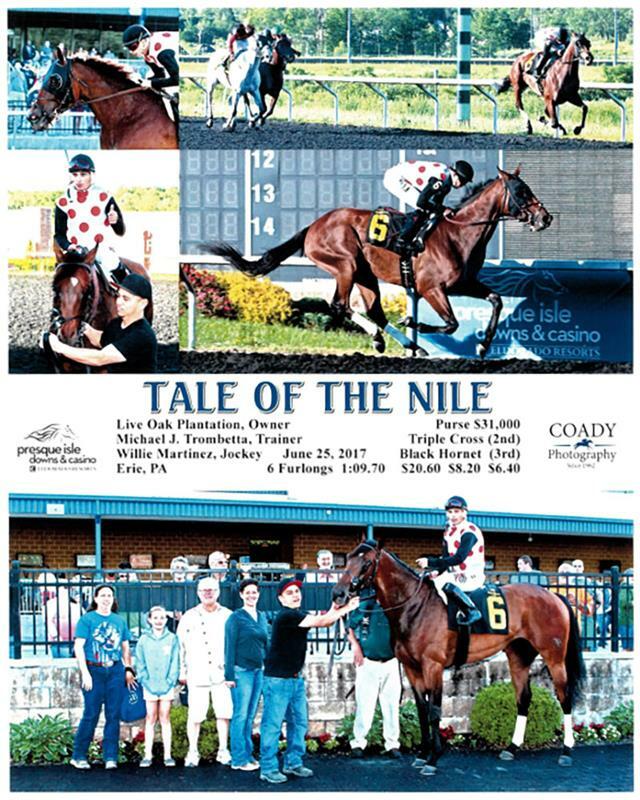 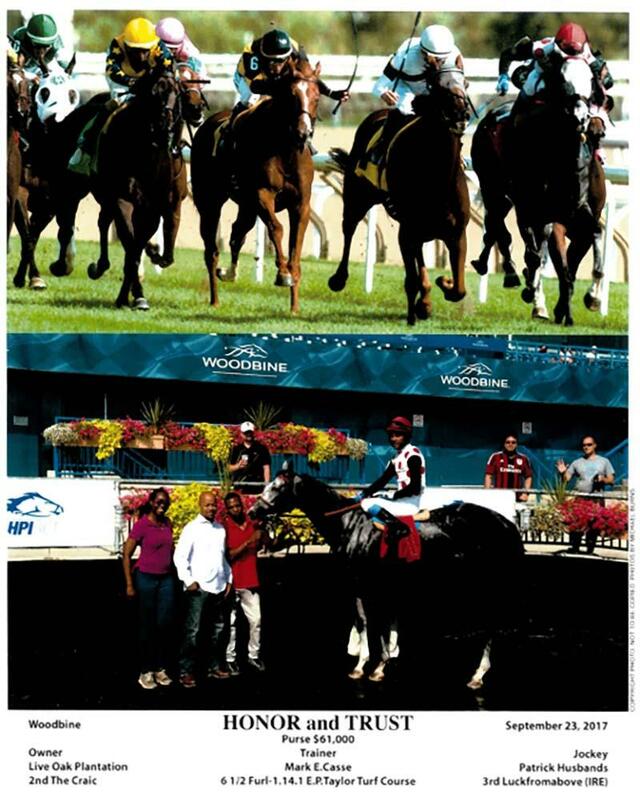 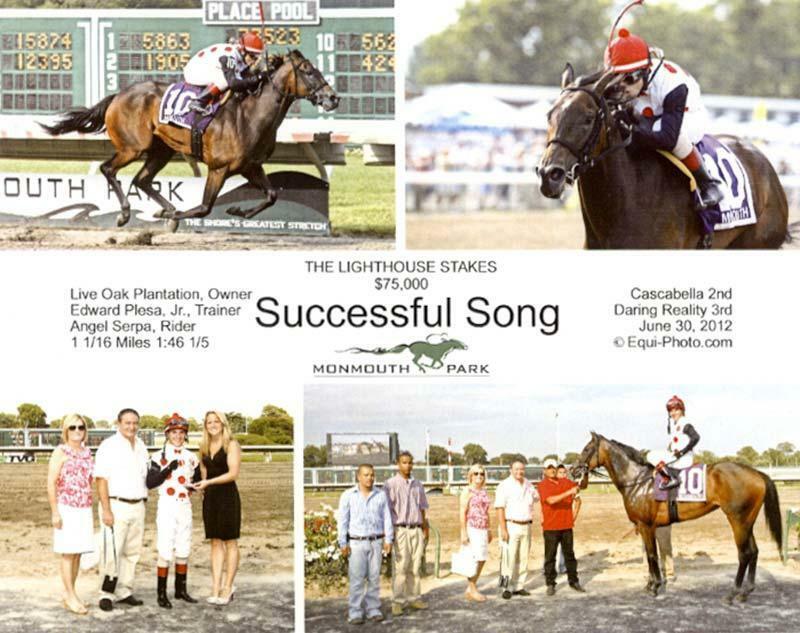 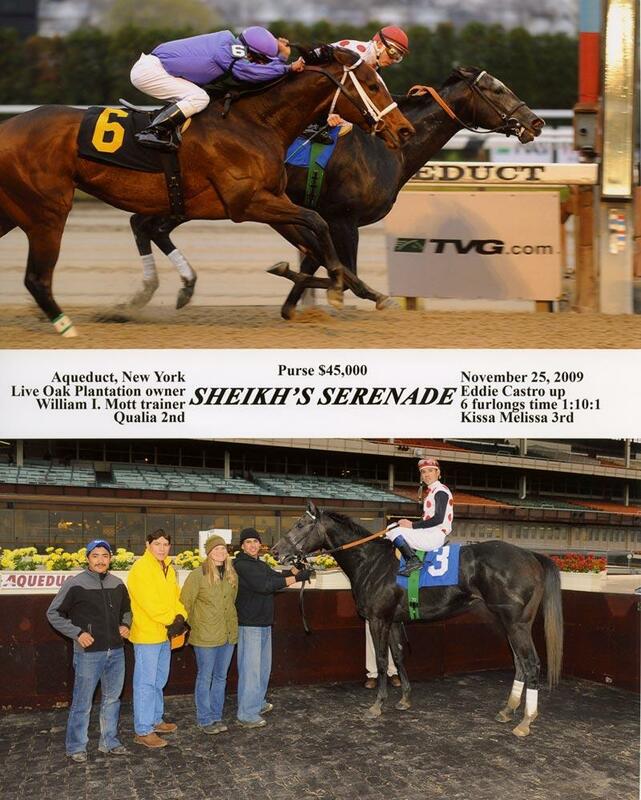 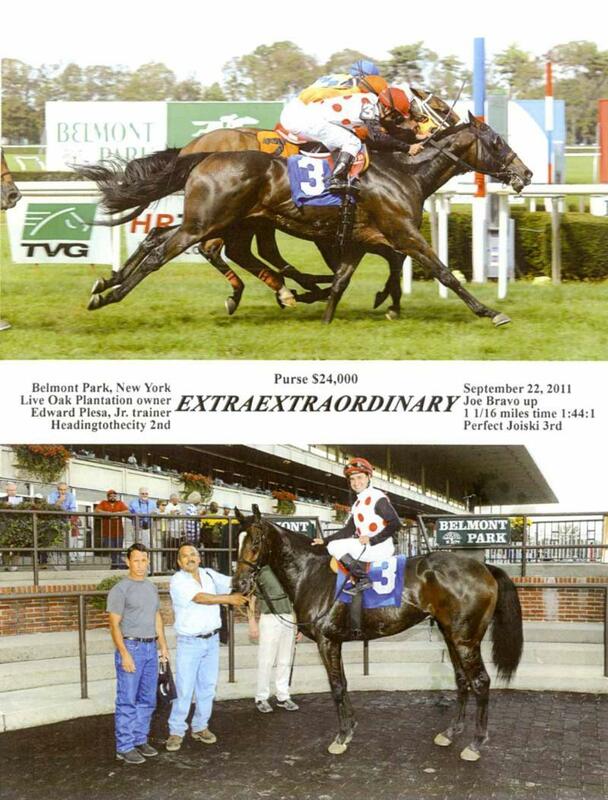 Another homebred, Successful Song retired with $597,538 in earnings. 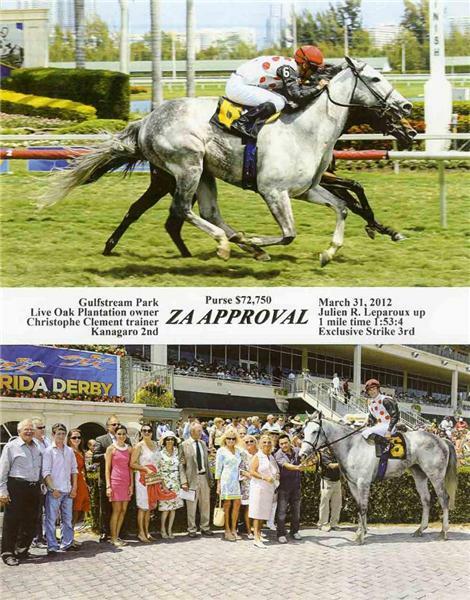 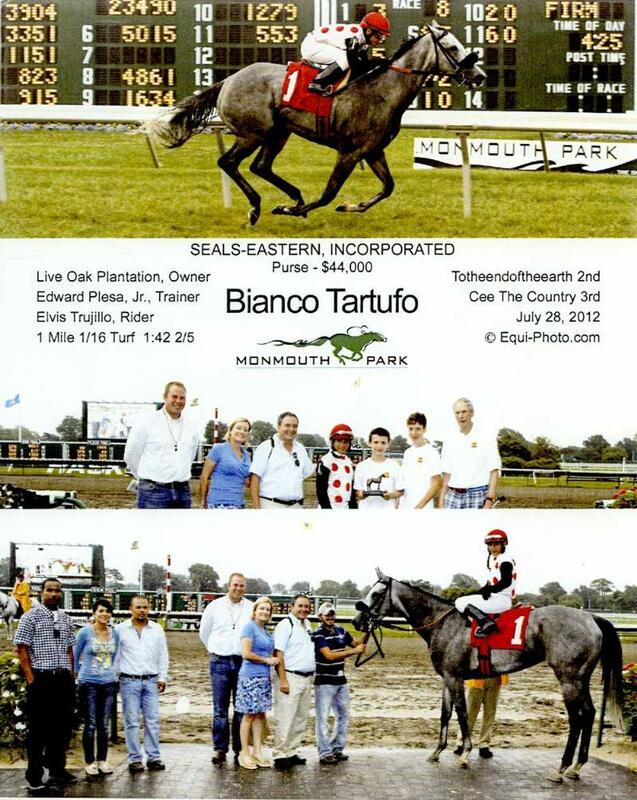 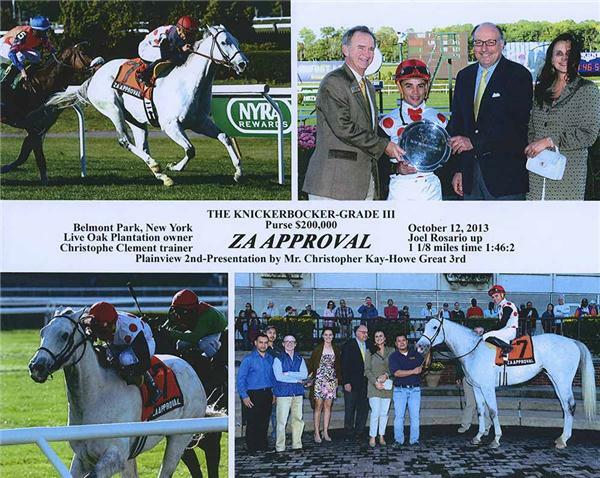 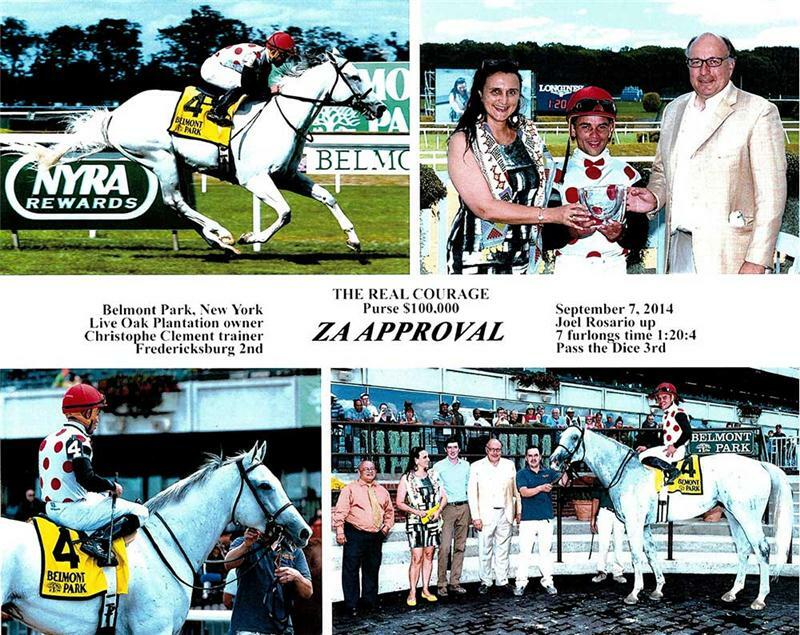 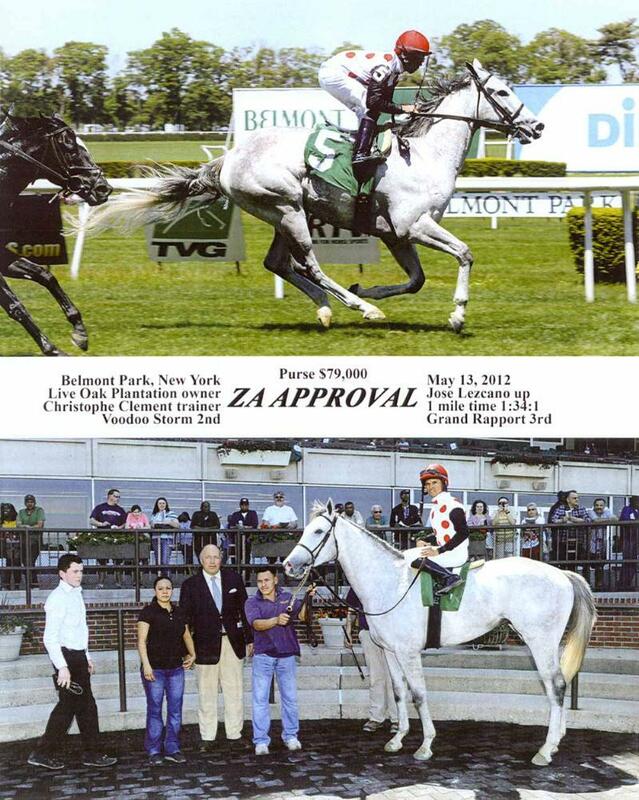 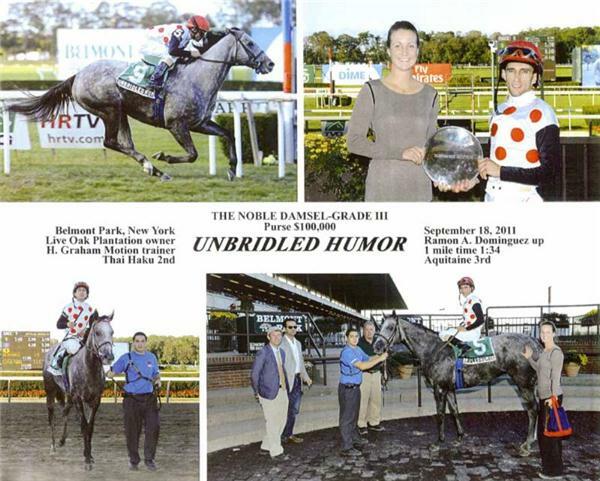 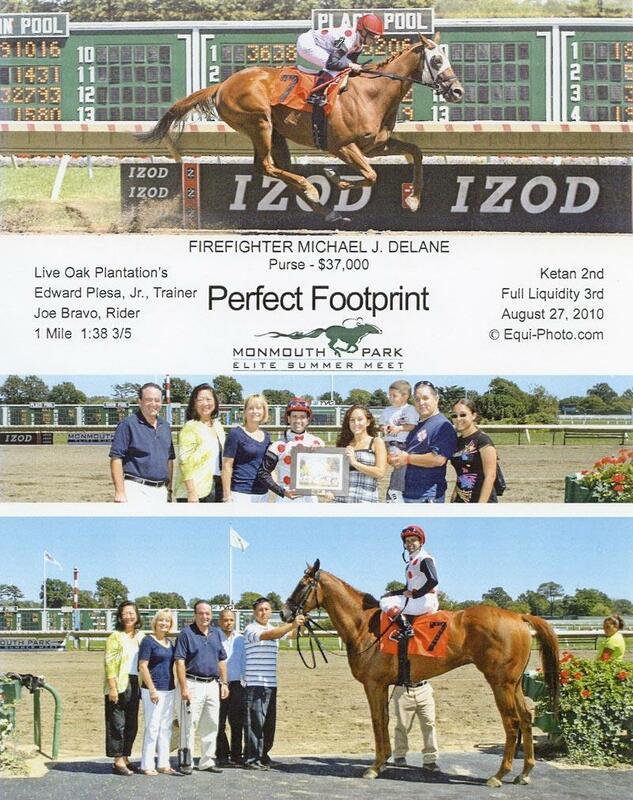 In 2014, Za Approval notched another stakes victory in the $100,000 Real Courage S. at Belmont Park, and was but one of several notable Live Oak performers during the year. 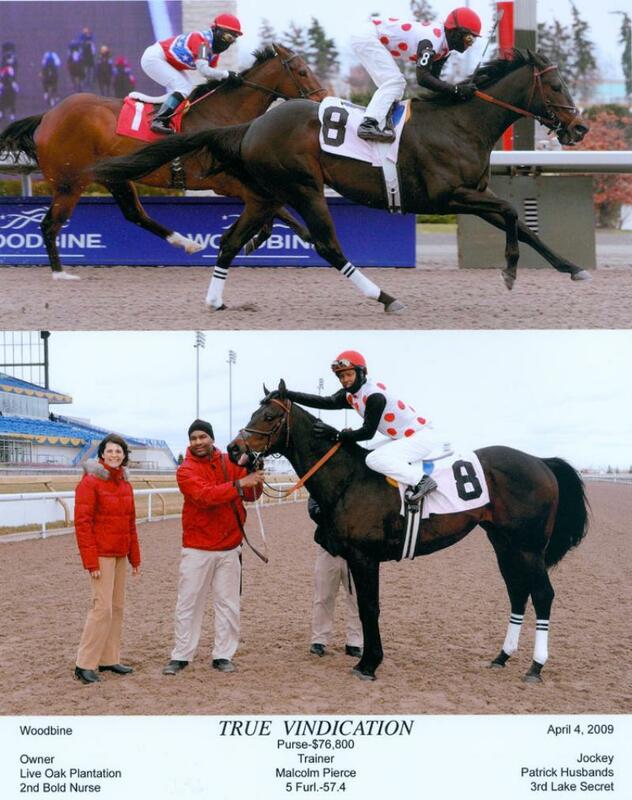 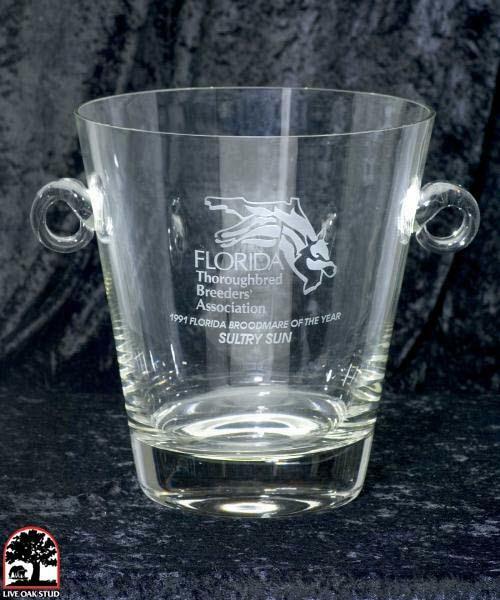 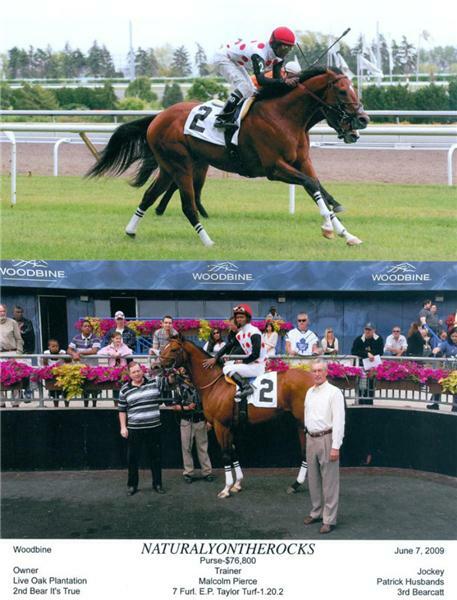 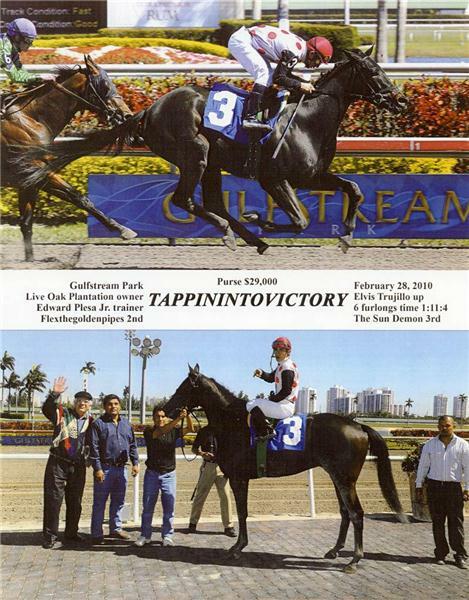 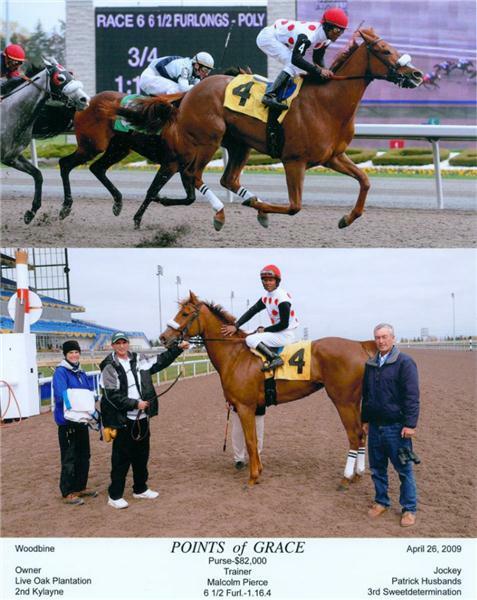 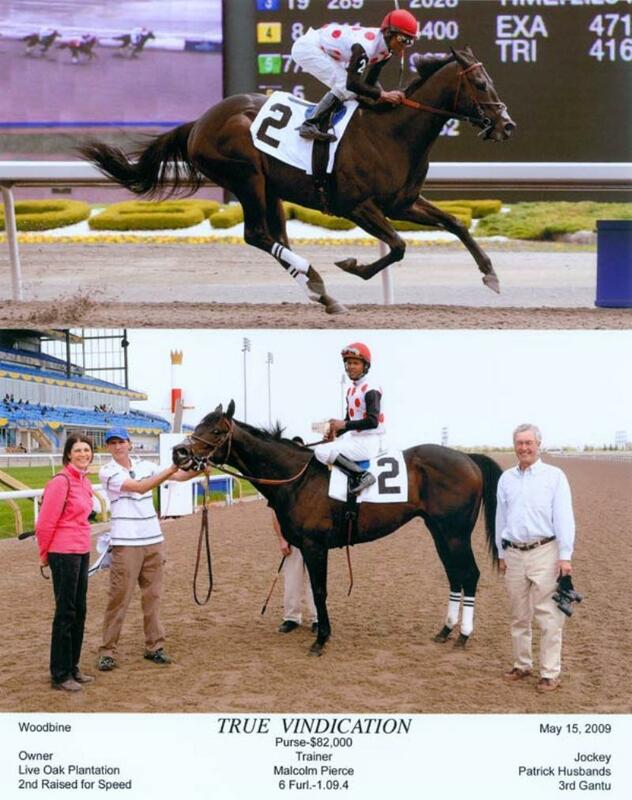 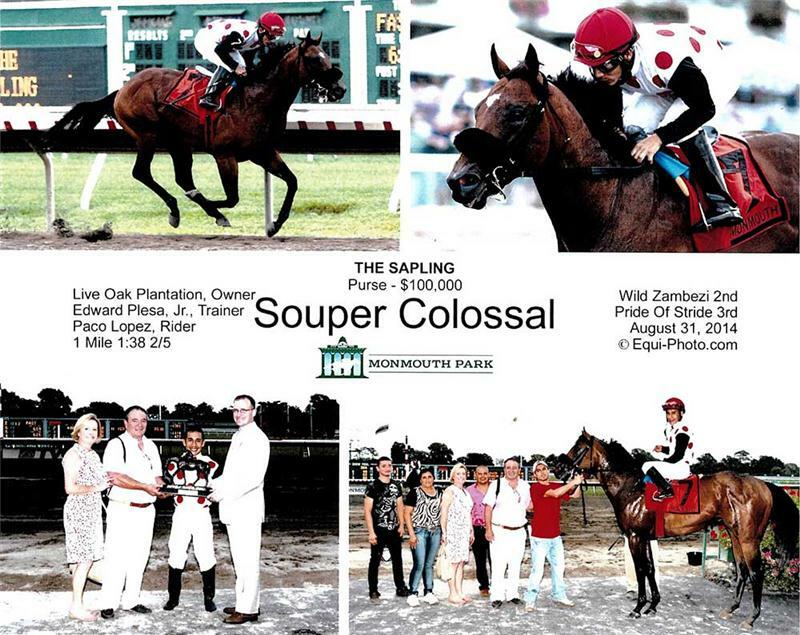 Two-year-old Souper Colossal made a splash in the juvenile male division with scores in the Tyro S. and Sapling S. during the summer, and Florida Won took the Ontario Derby (G3) in early Autumn. 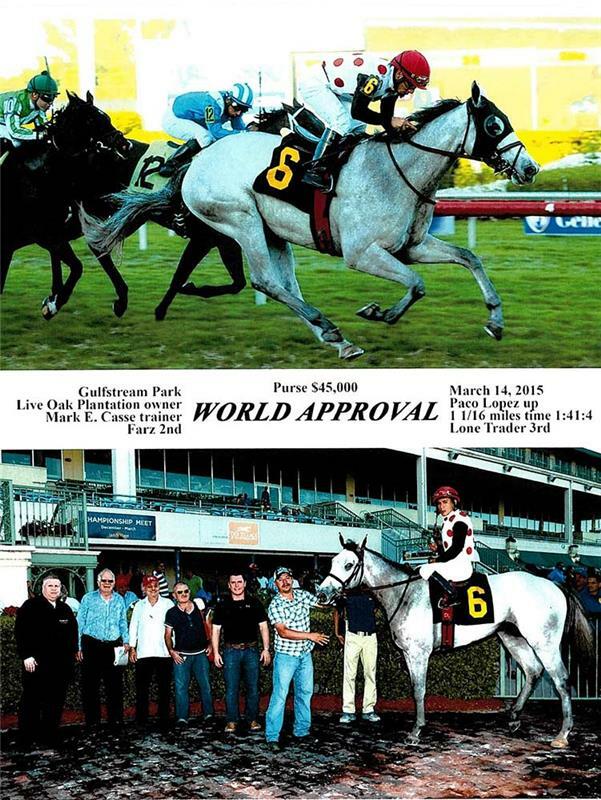 2015 saw the explosion of World Approval onto the scene in the male turf division. 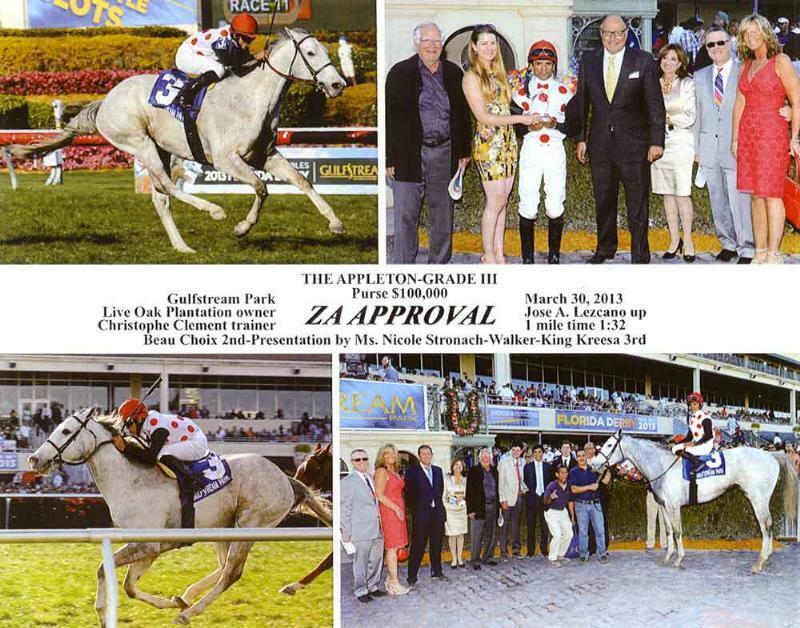 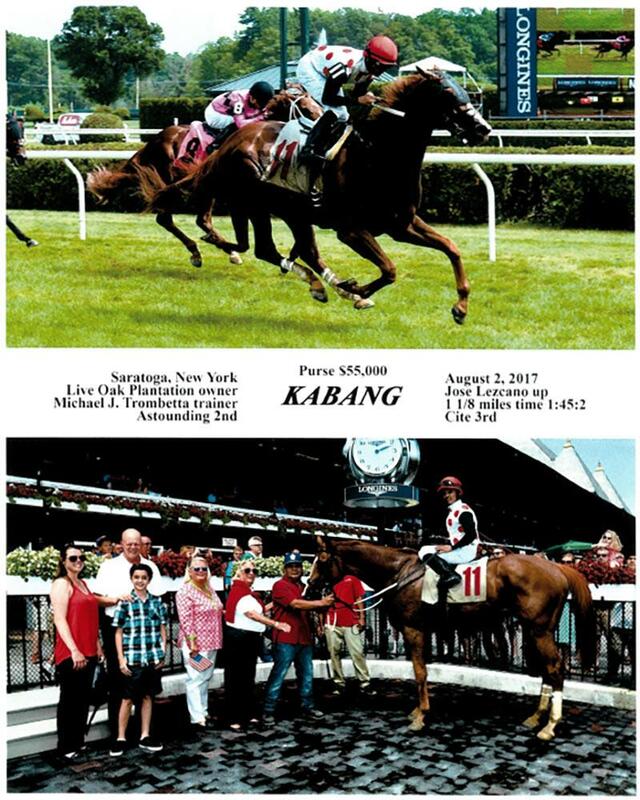 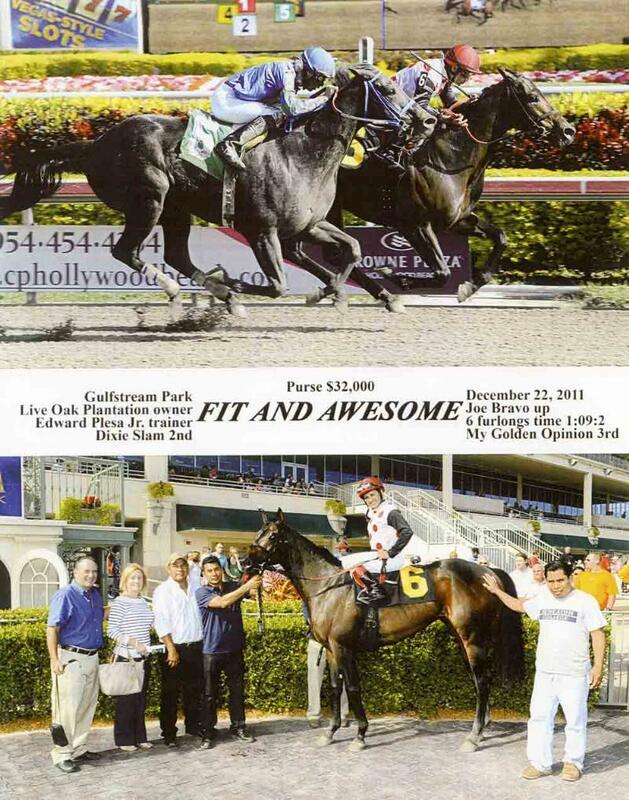 The 3-year-old, a younger sibling to Za Approval, started his impressive season with a win in the Sophomore Turf S. at Tampa Bay Downs, then stepped up his game to take the American Derby (G3) at Arlington Park. 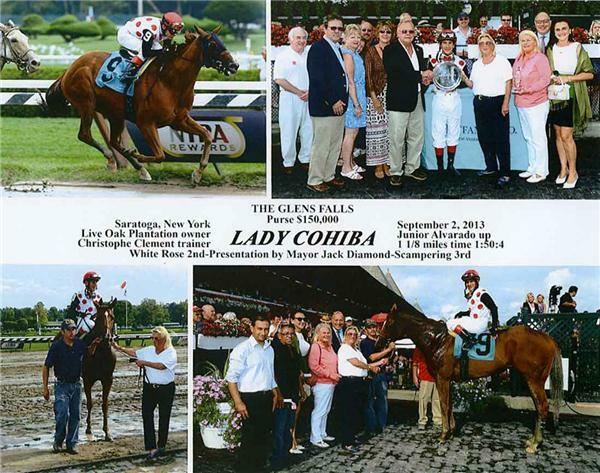 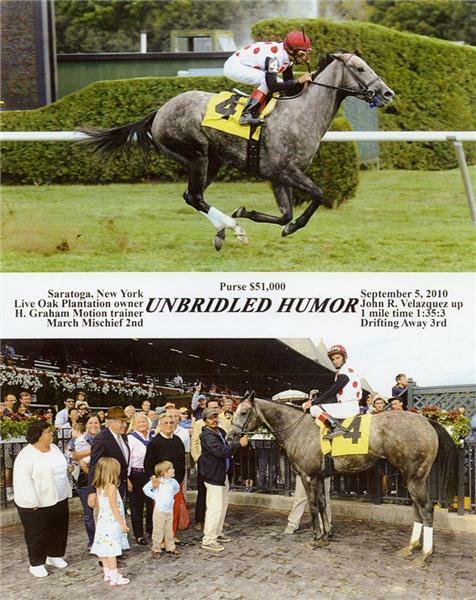 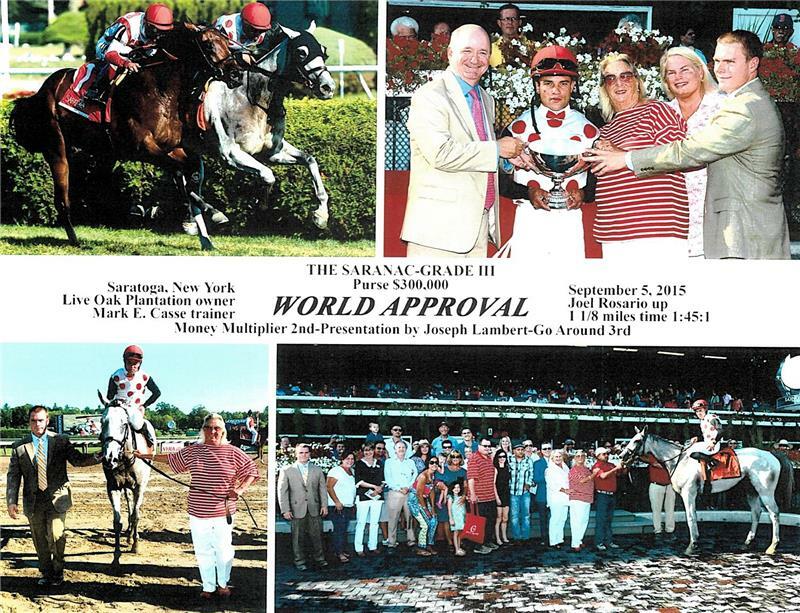 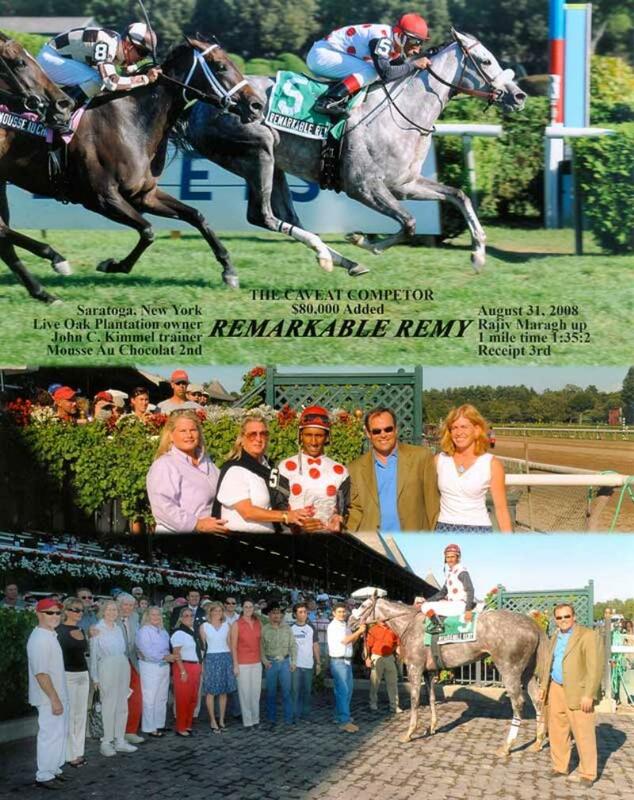 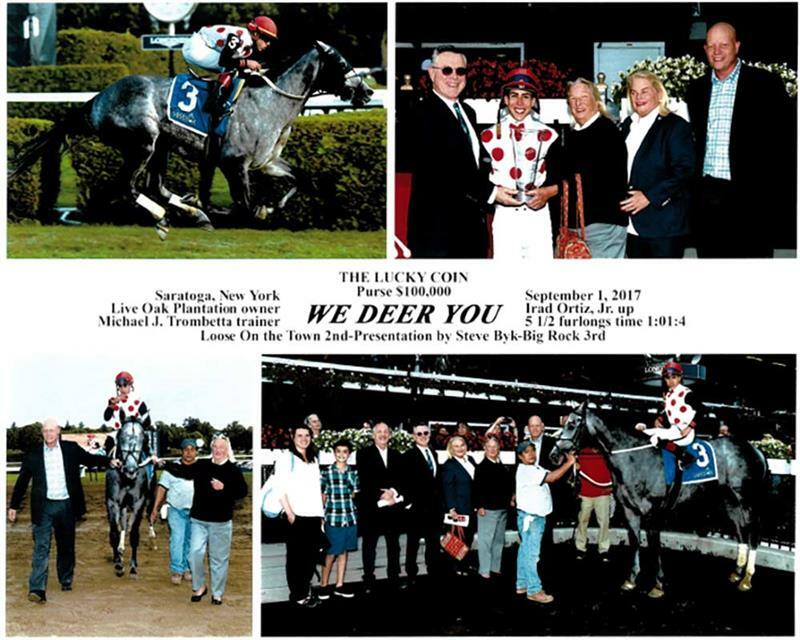 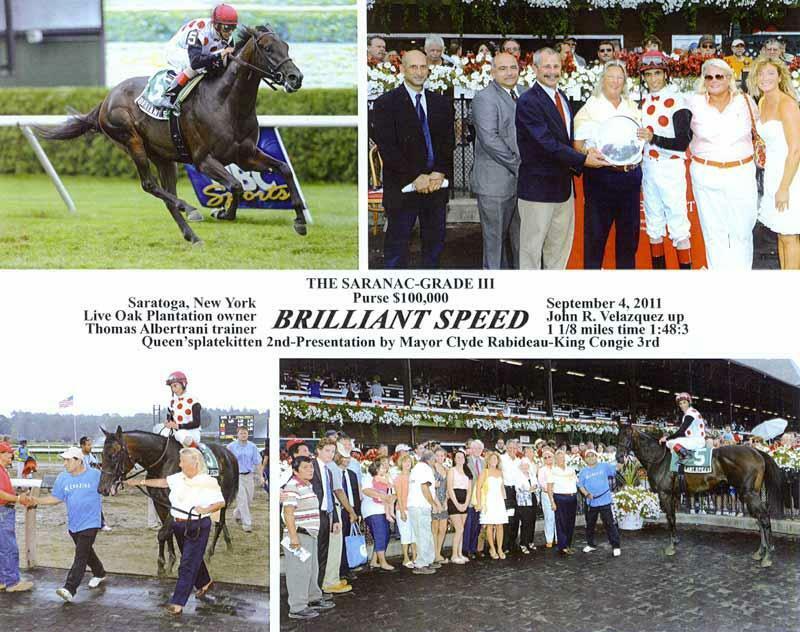 The best was yet to come in the Saranac S. (G3) at Saratoga, where the gray set a 1 1/8-mile track record in 1:45.39. 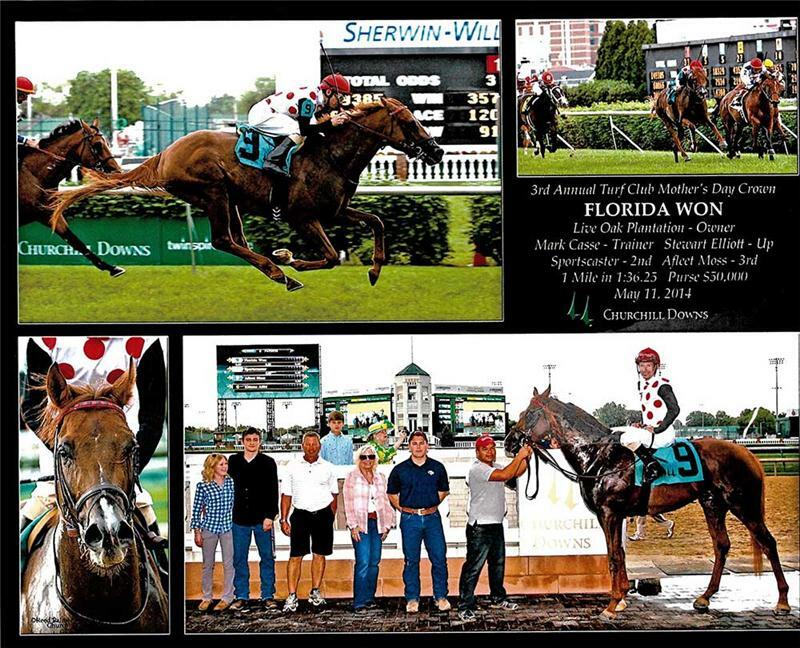 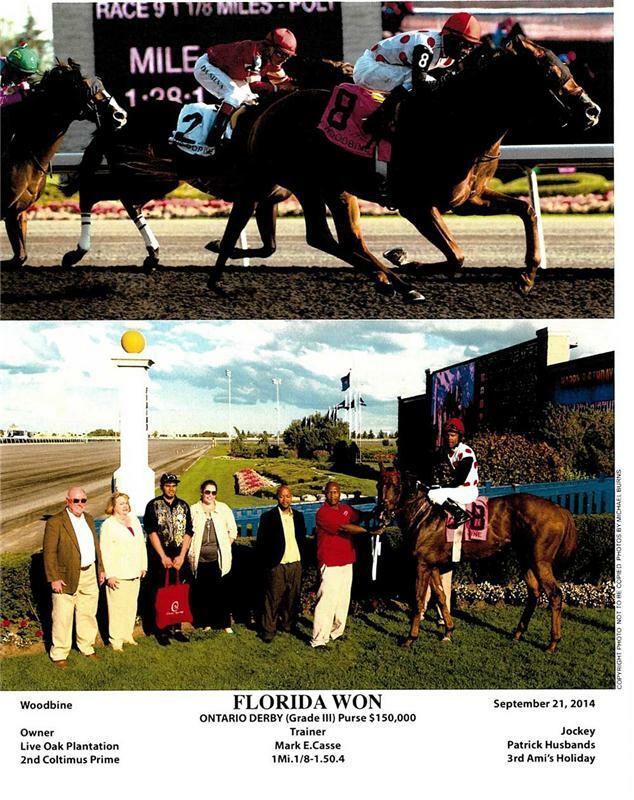 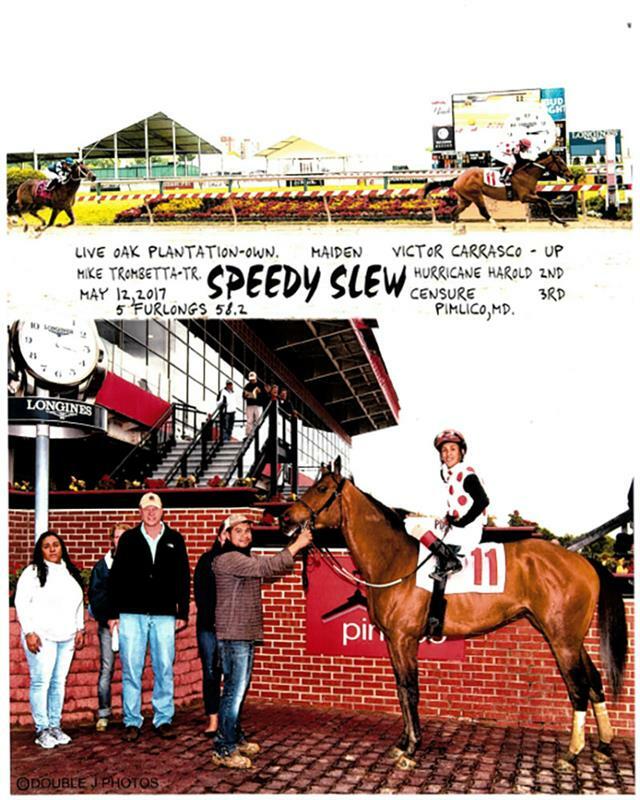 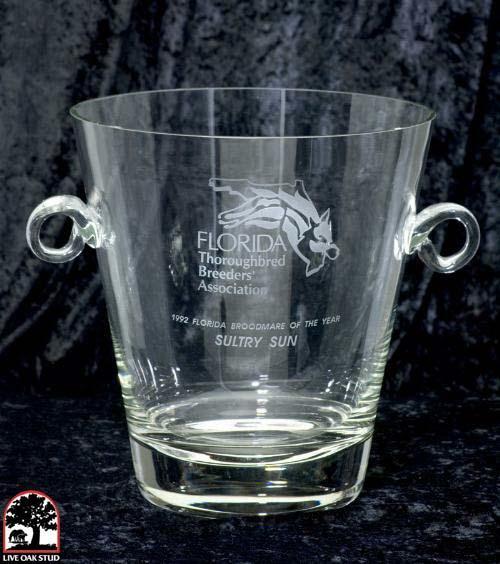 Veteran Florida Won continued to turn in top efforts, winning the Seagram Cup (G3) at Woodbine and travelling to Pennsylvania to take the $200,000 Presque Isle Mile. 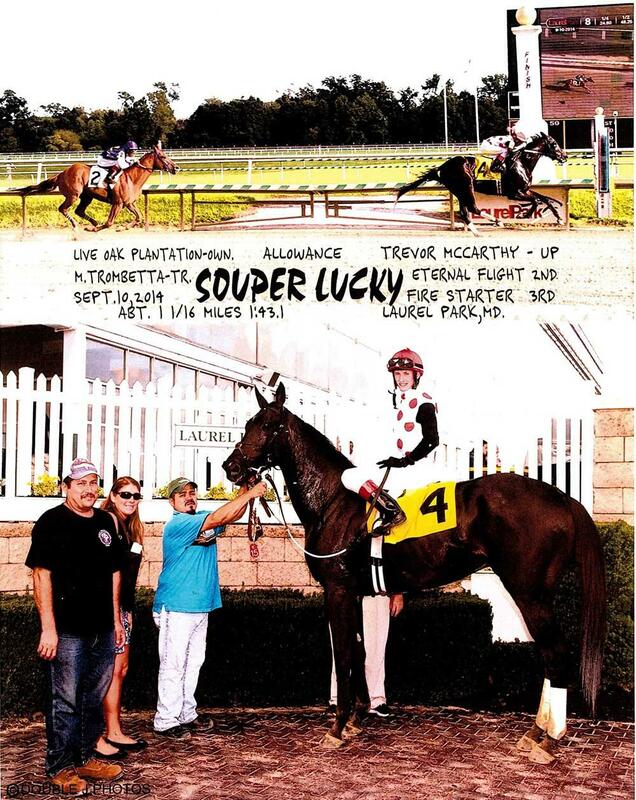 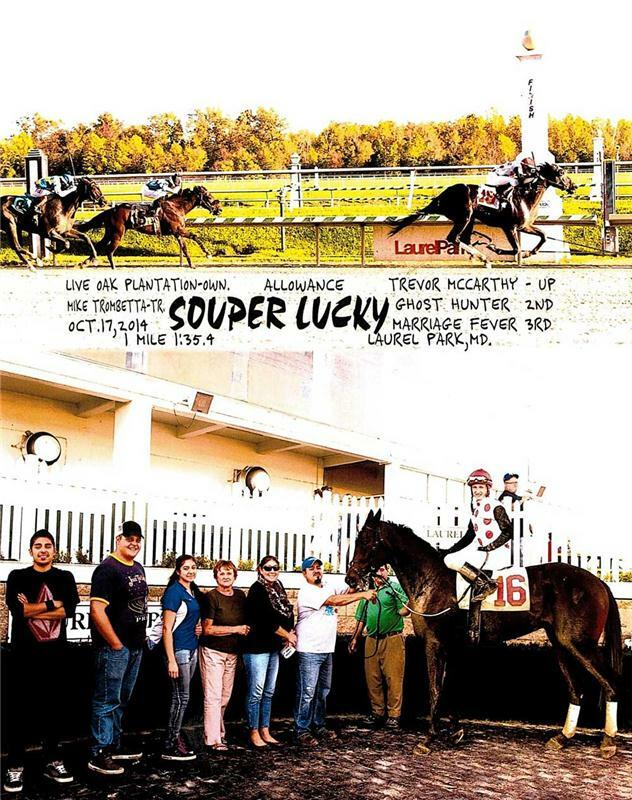 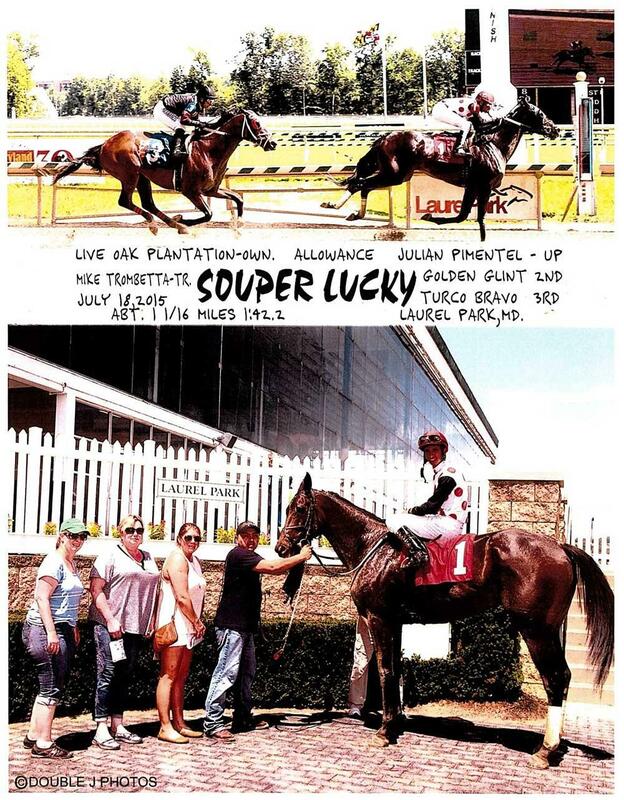 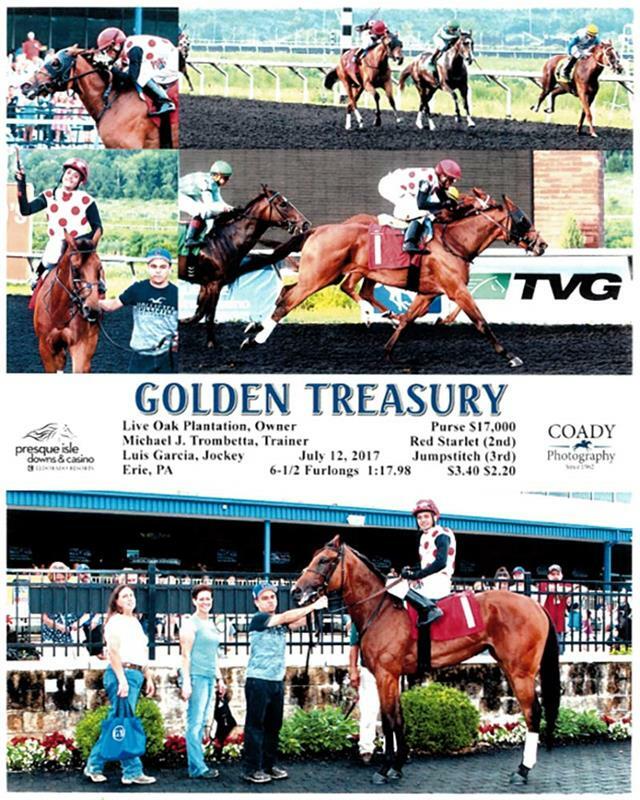 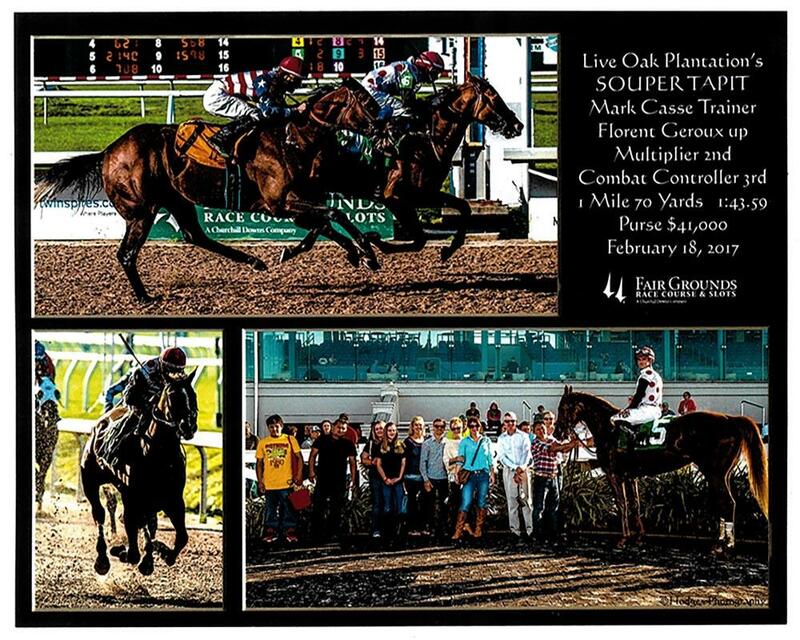 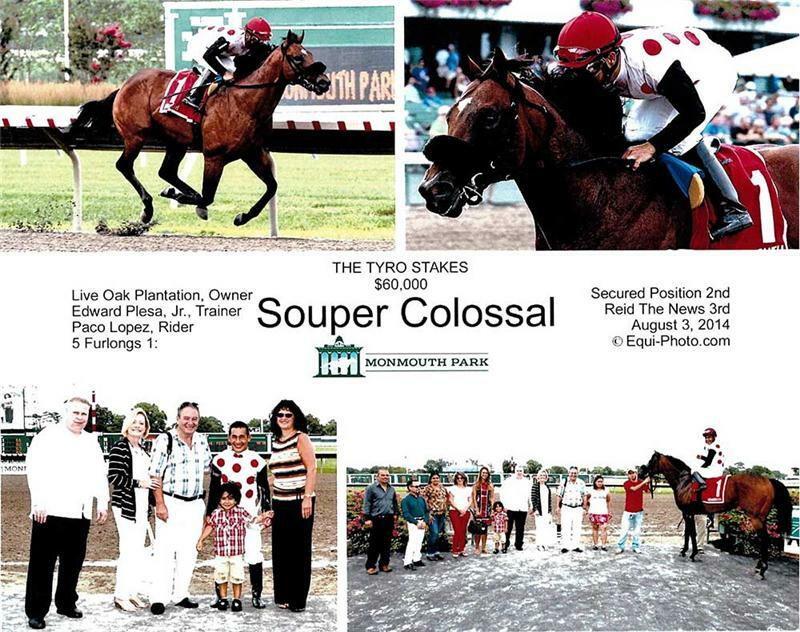 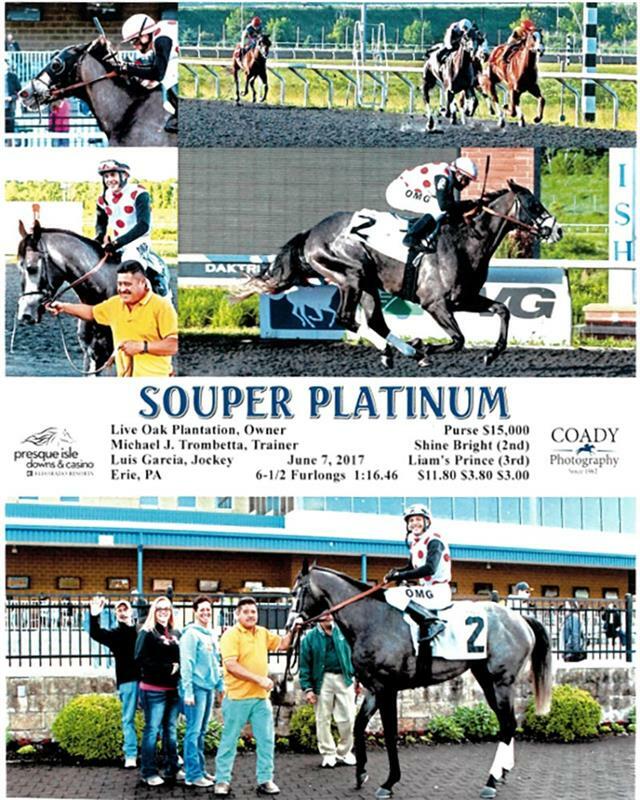 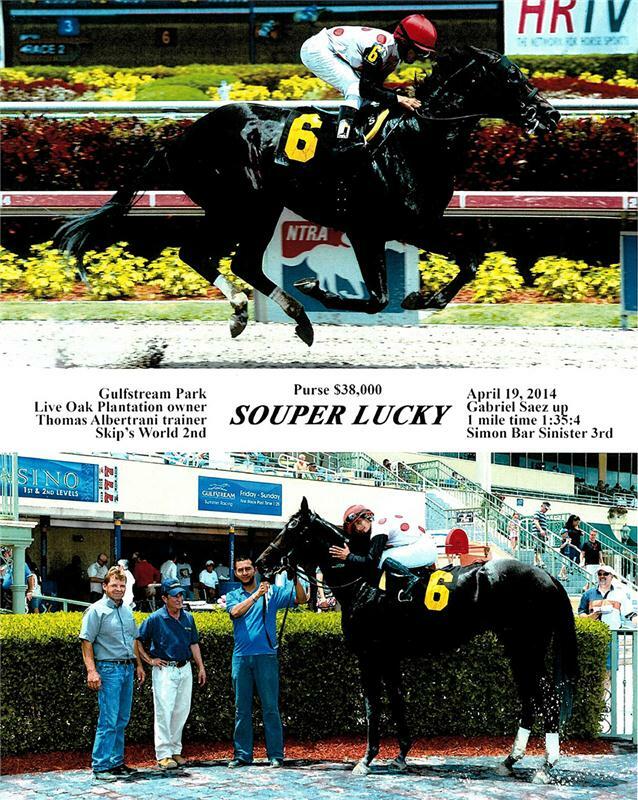 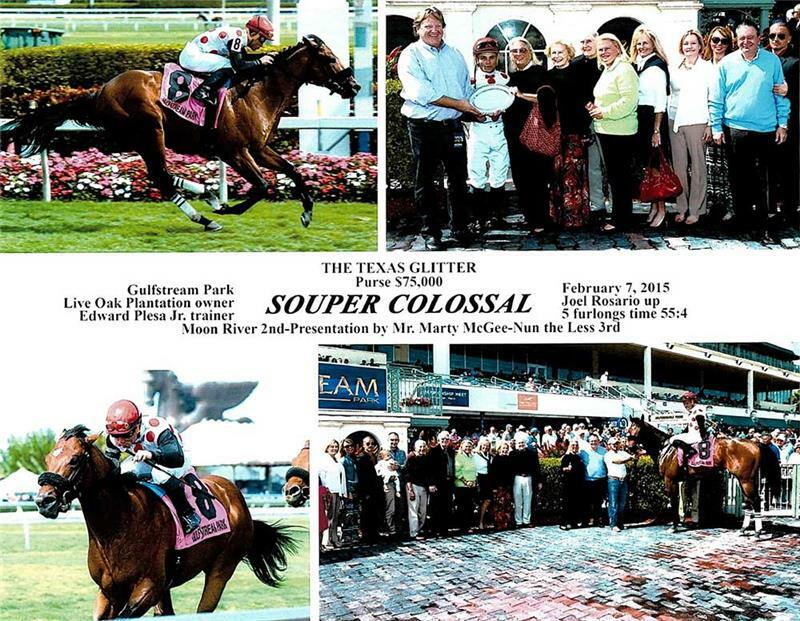 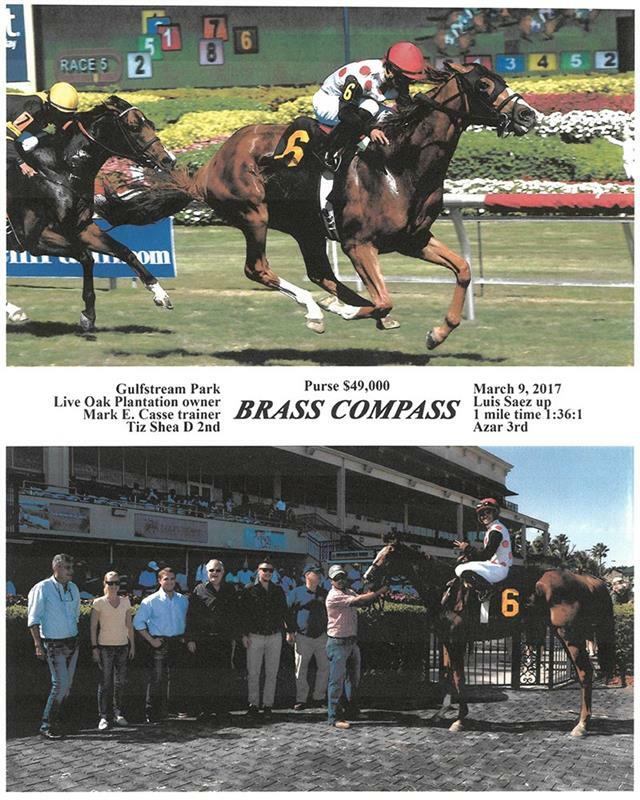 Souper Colossal also bagged another score in the Texas Glitter S. at Gulfstream, while Under Control won the $100,000 Lure S. at Saratoga. 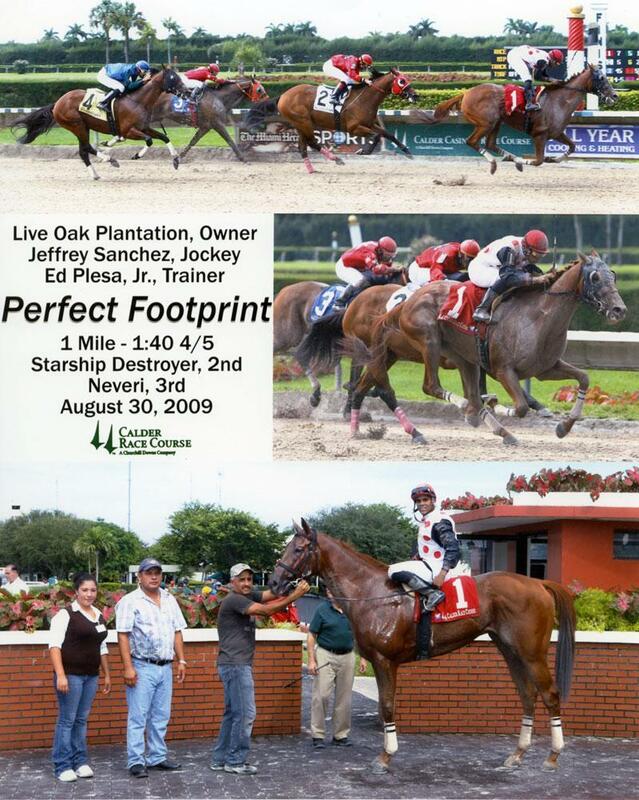 With 234 starters during the year, Live Oak’s runners finished in the top 3 exactly 50% of the time, including 42 victories. 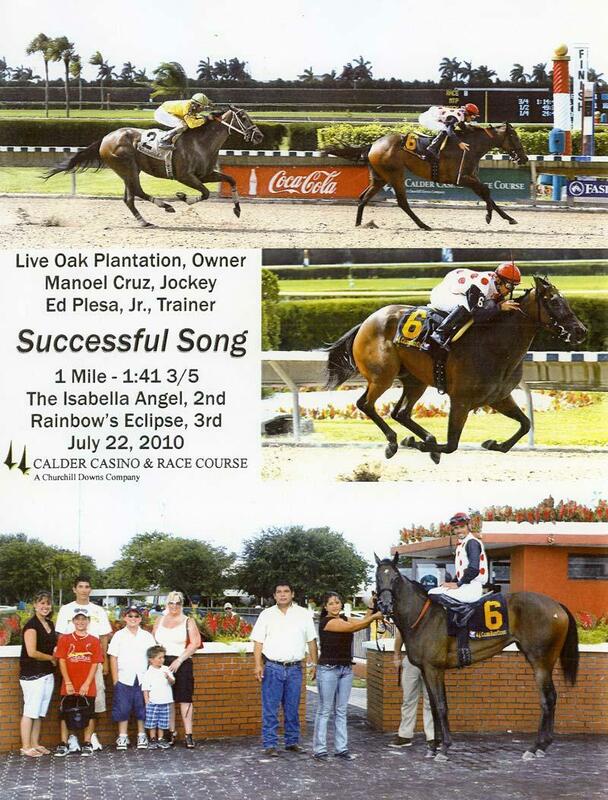 ?Live Oak had a banner year in 2017. 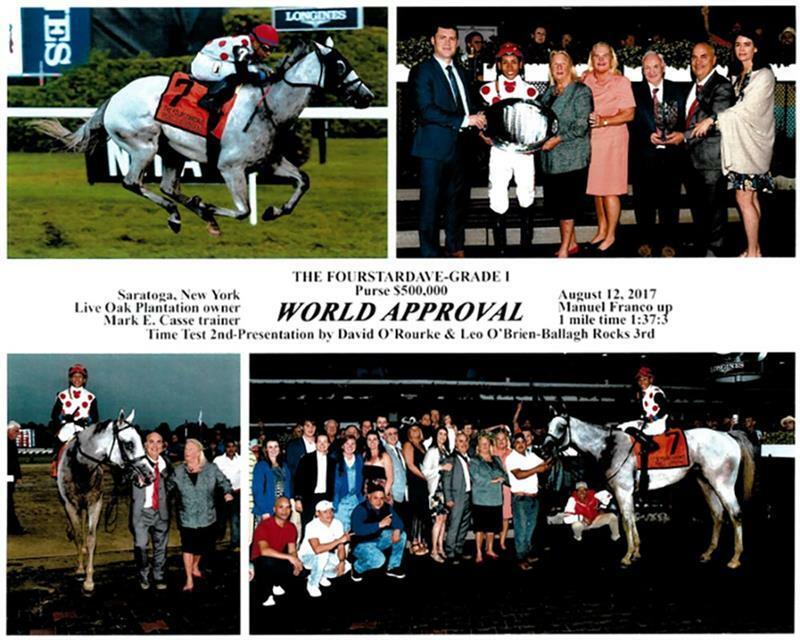 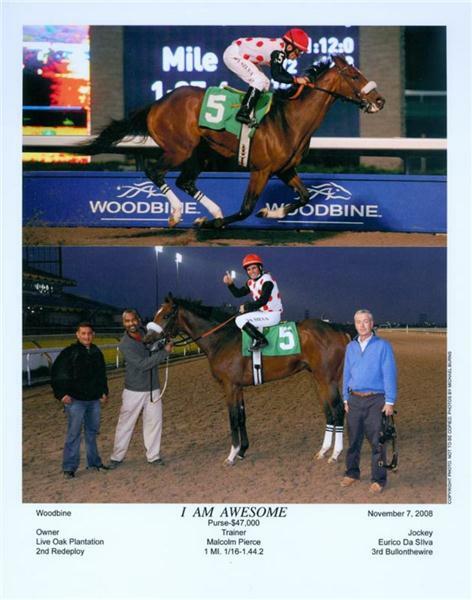 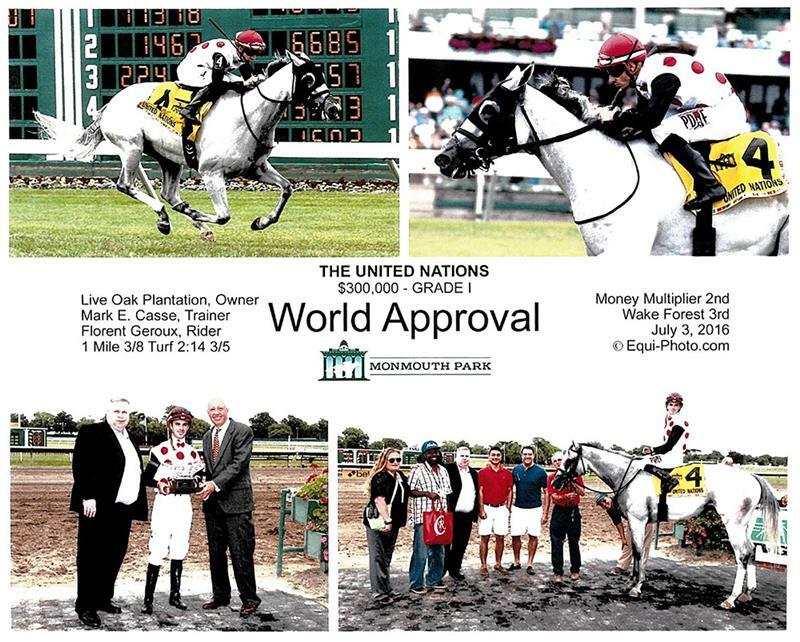 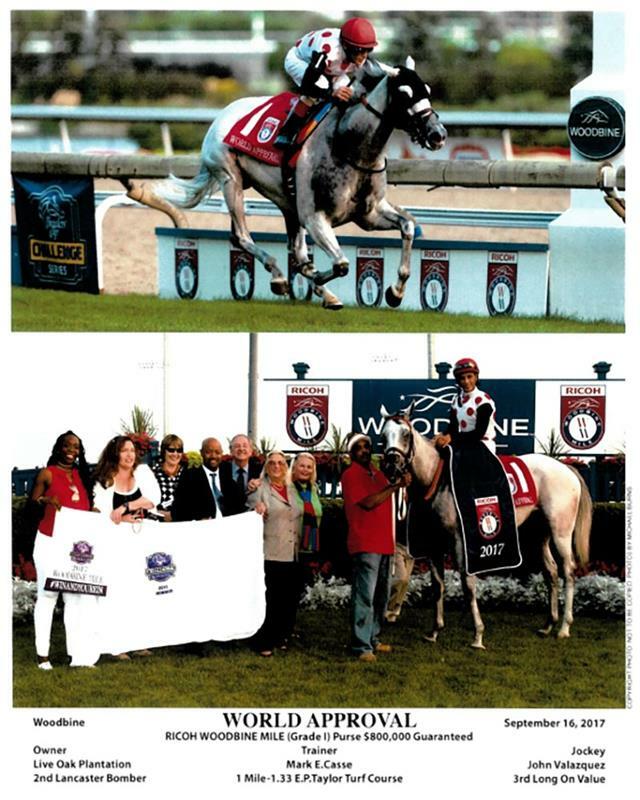 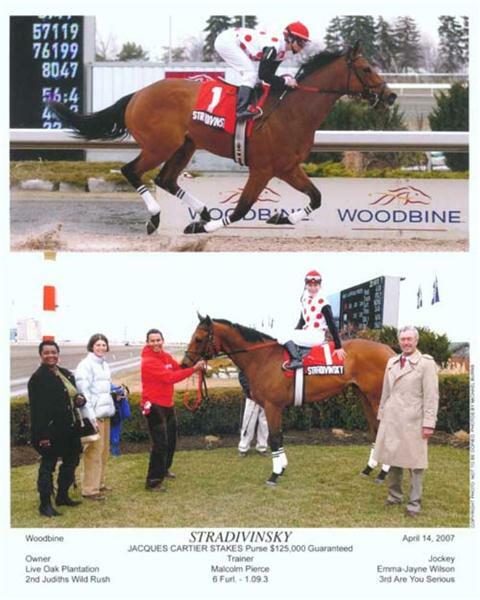 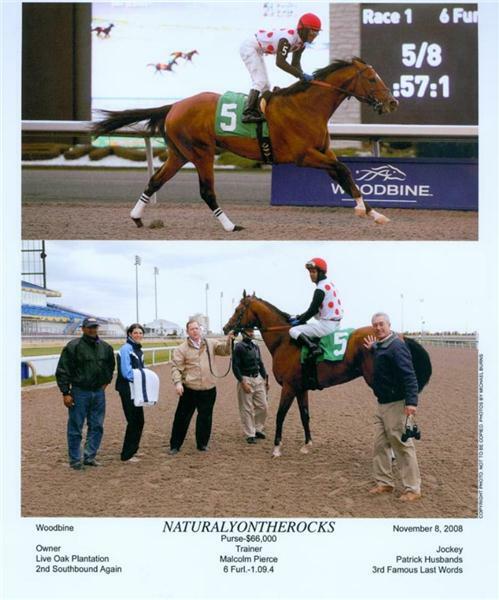 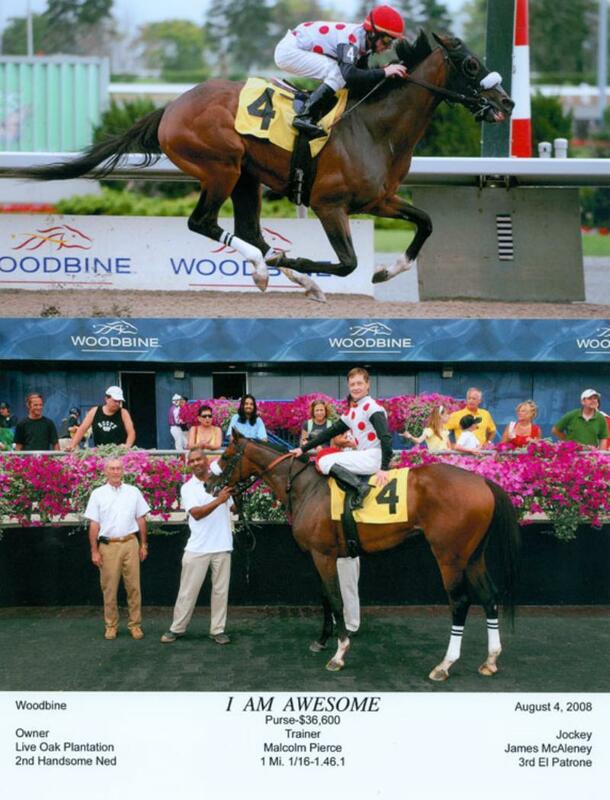 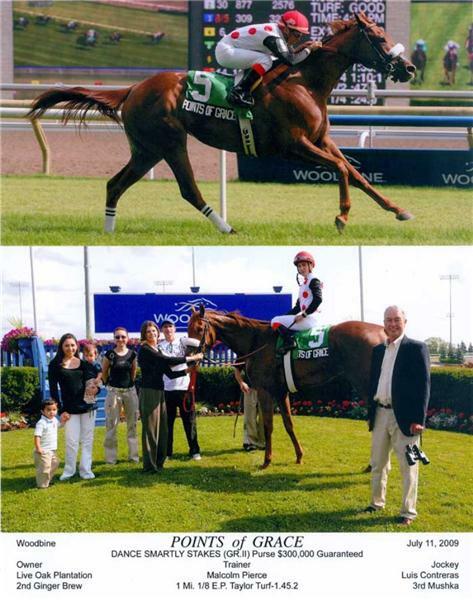 Once again, World Approval, now 5, was the stable star, with 5 stakes wins, including 3 Grade 1s - the $2,000,000 Breeders' Cup Mile (G1), the $800,000 Woodbine Mile S. (G1), and the $500,000 Fourstardave H. (G1). 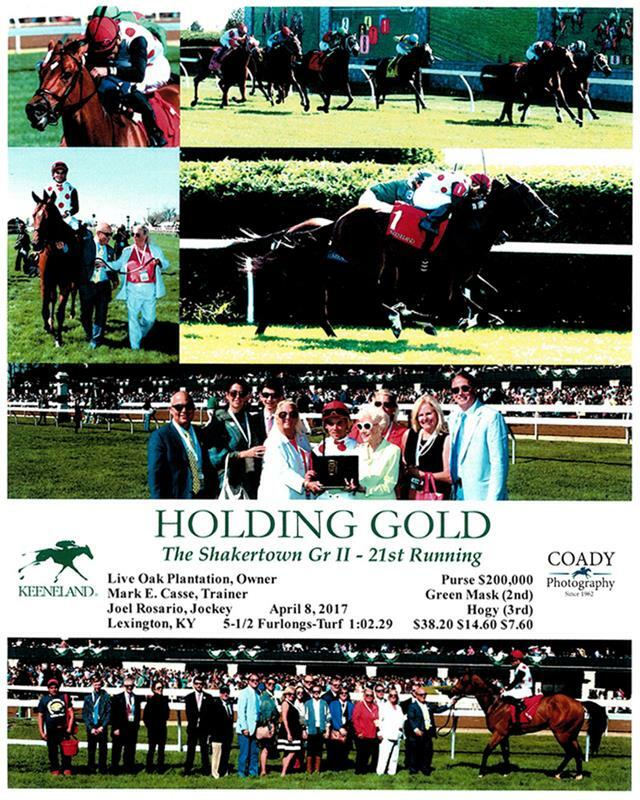 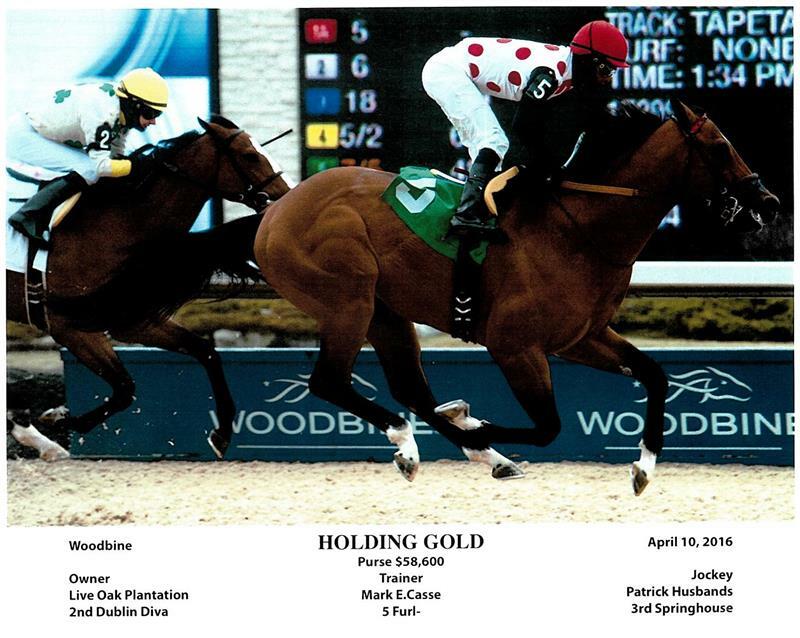 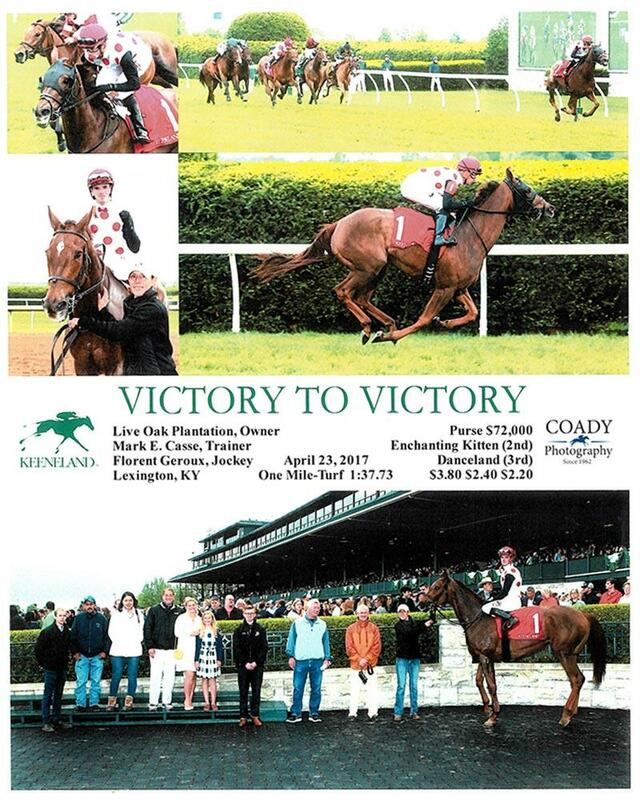 Live Oak enjoyed a graded stakes double at Keeneland on April 8 when Holding Gold won the $200,000 Shakertown S. (G2) and Awesome Slew added the $250,000 Commonwealth S. (G3) to his resume. 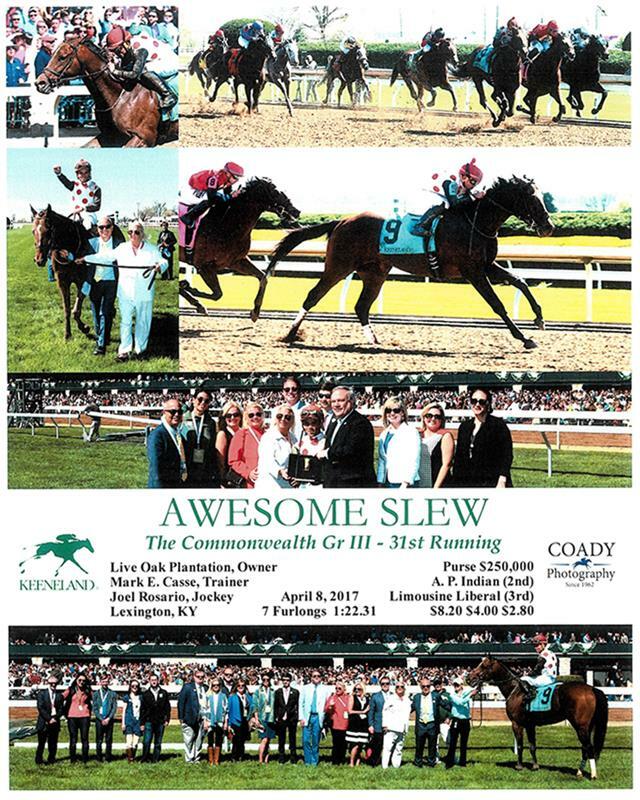 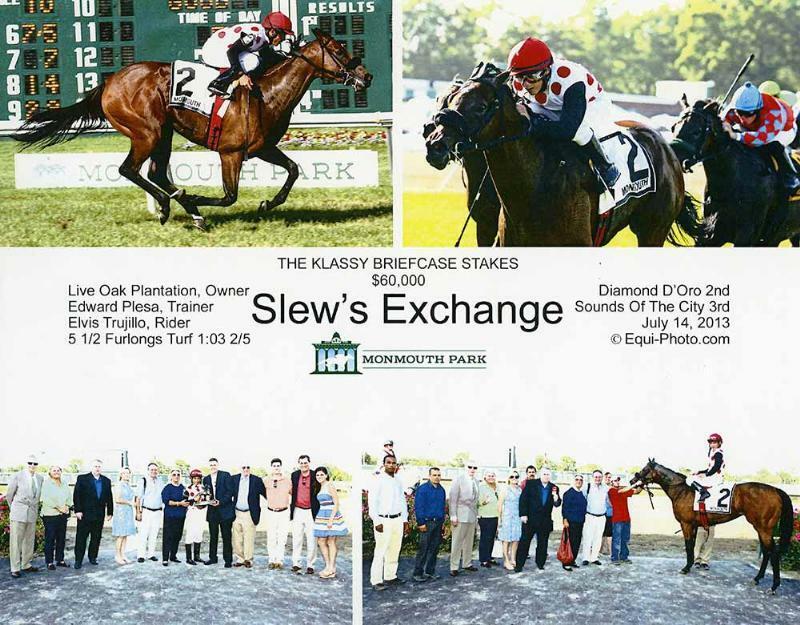 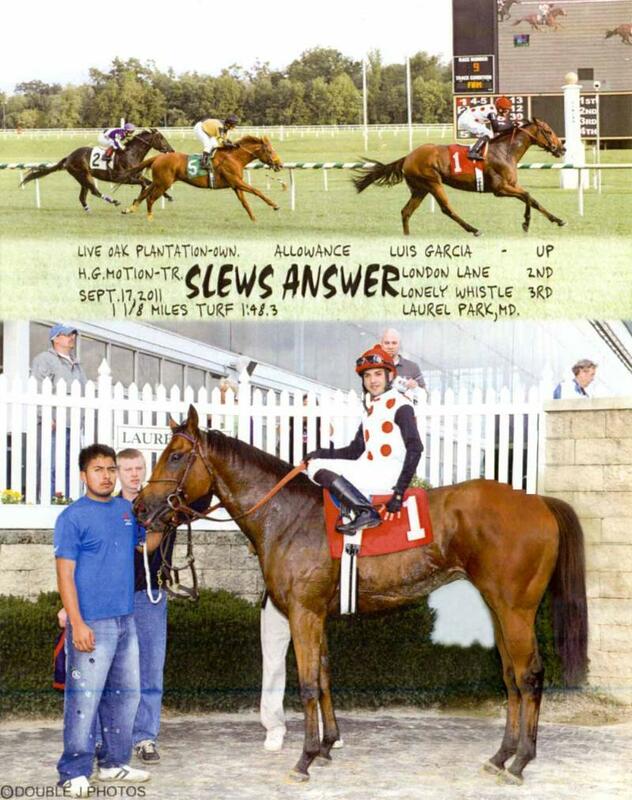 Awesome Slew also won the Ack Ack S. (G3) and was placed in the $1,000,000 Breeders' Cup Dirt Mile (G1) and the $600,000 Forego S. (G1). 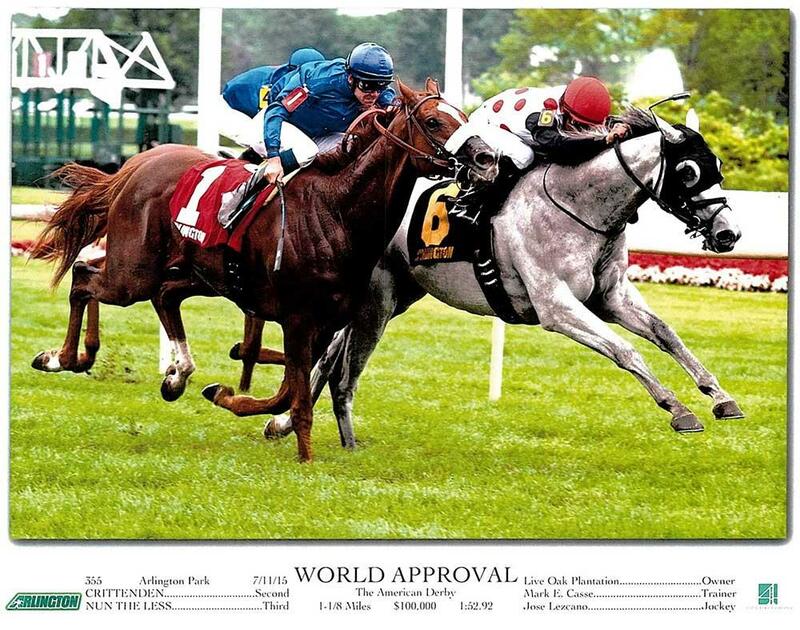 World Approval and Awesome Slew also surpassed the $1 million mark in progeny earnings, joining Miesque's Approval, Za Approval, and Revved Up in that exclusive club. 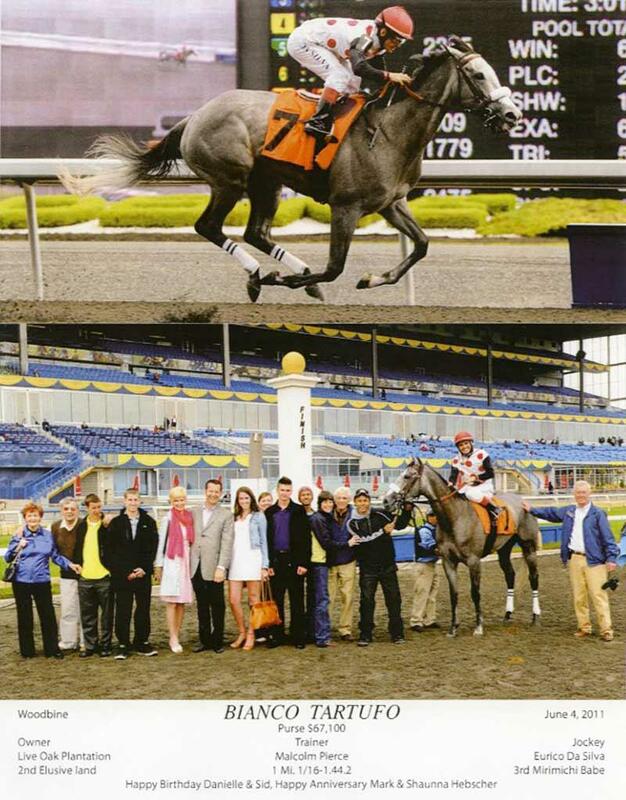 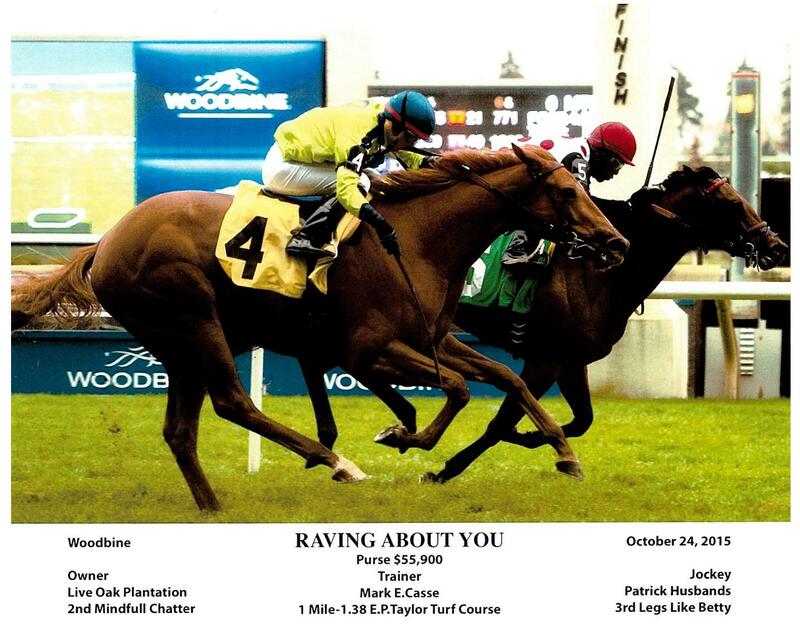 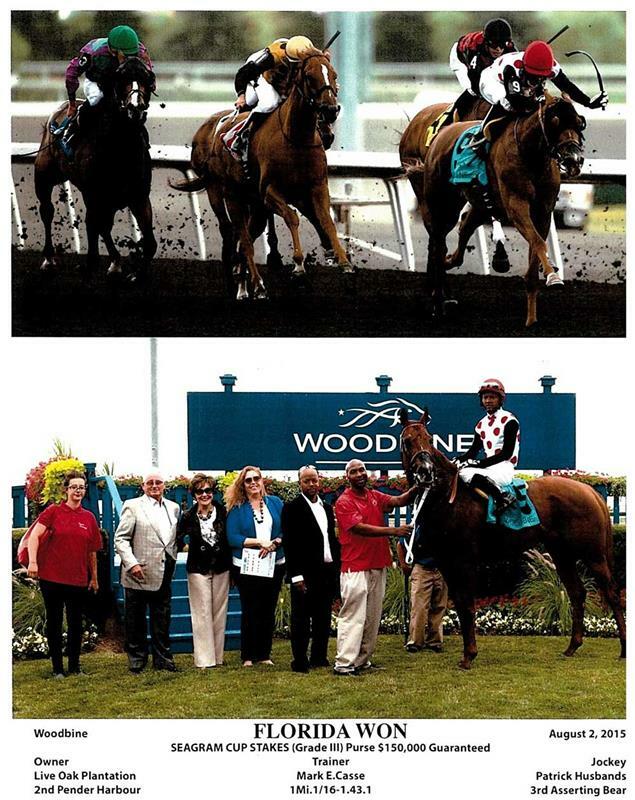 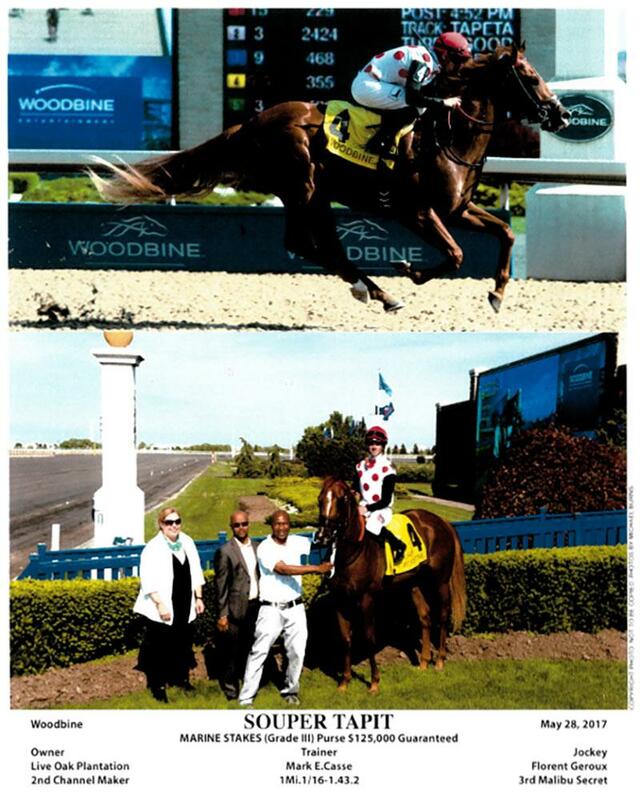 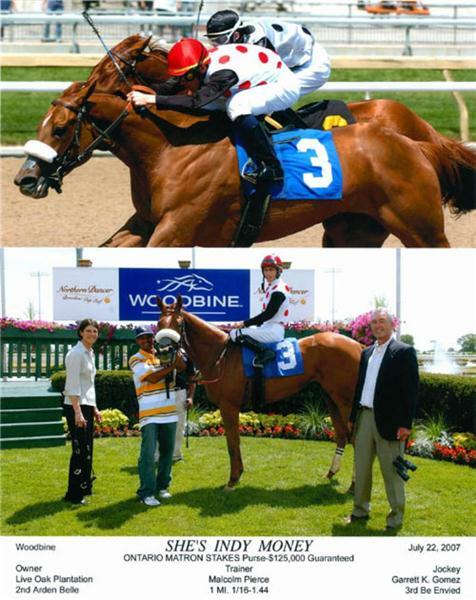 At Woodbine, Souper Tapit became a graded stakes winner for the first time in the $125,000 Marine S. (G3). 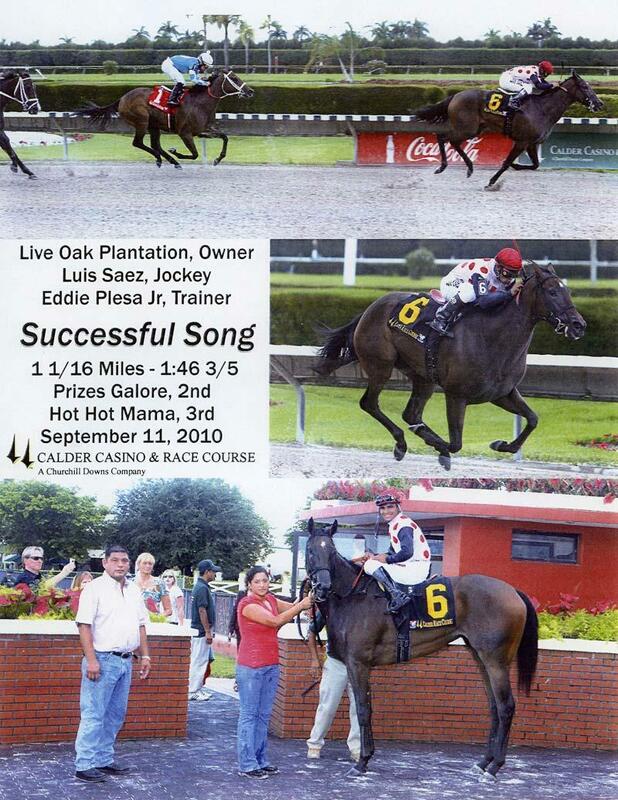 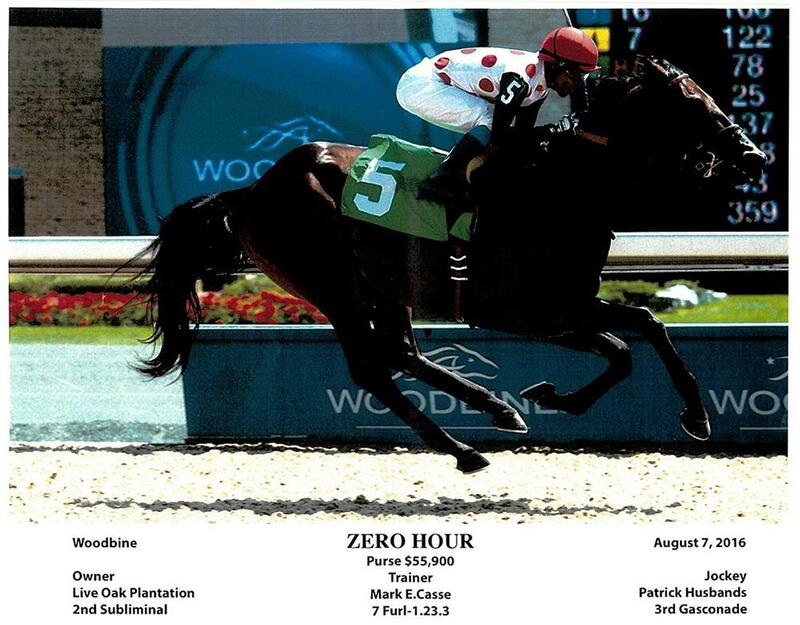 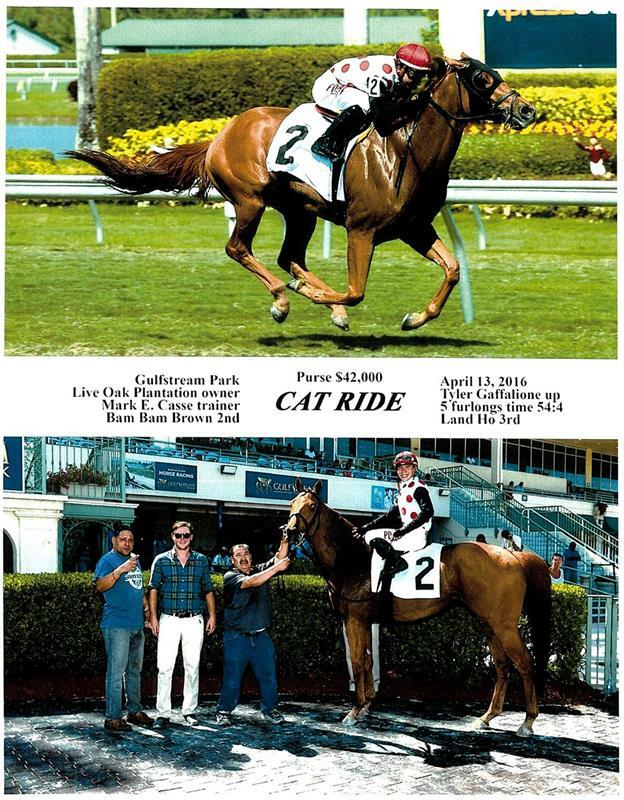 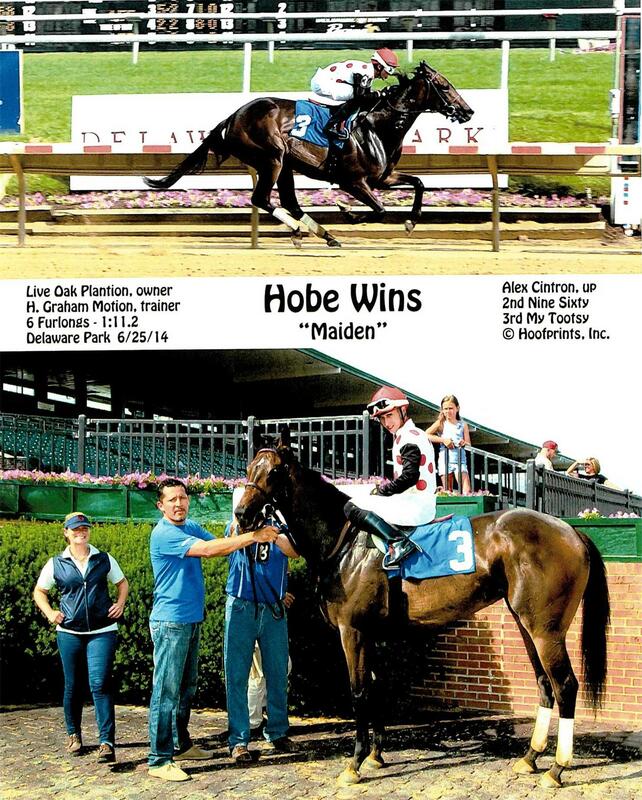 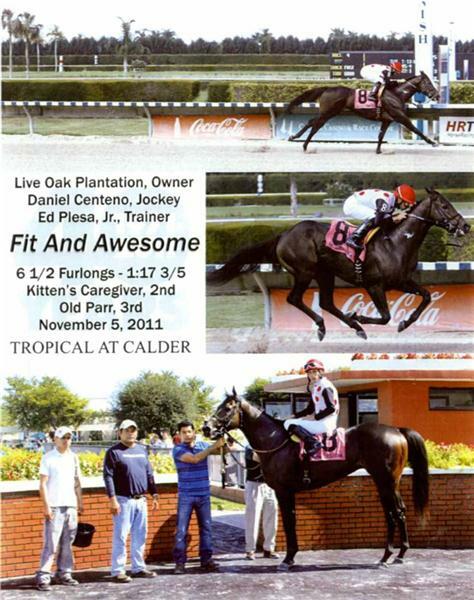 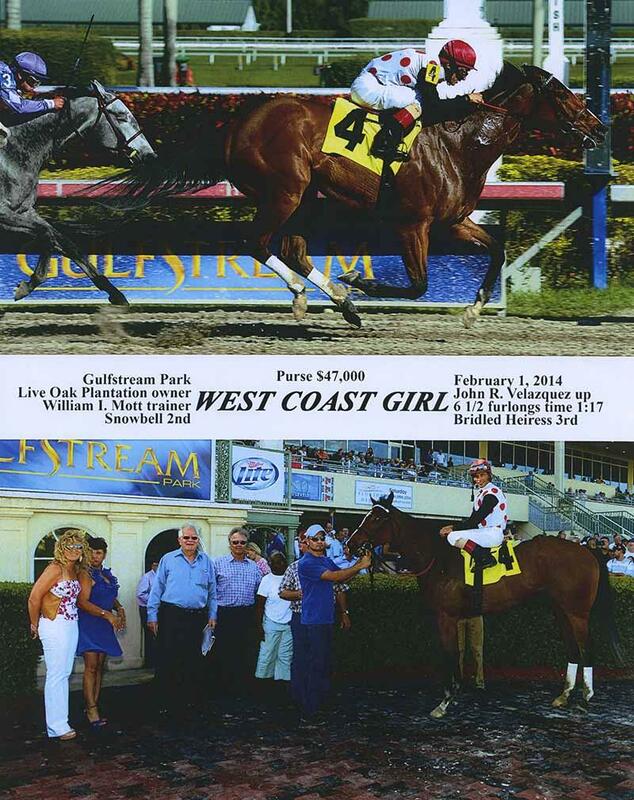 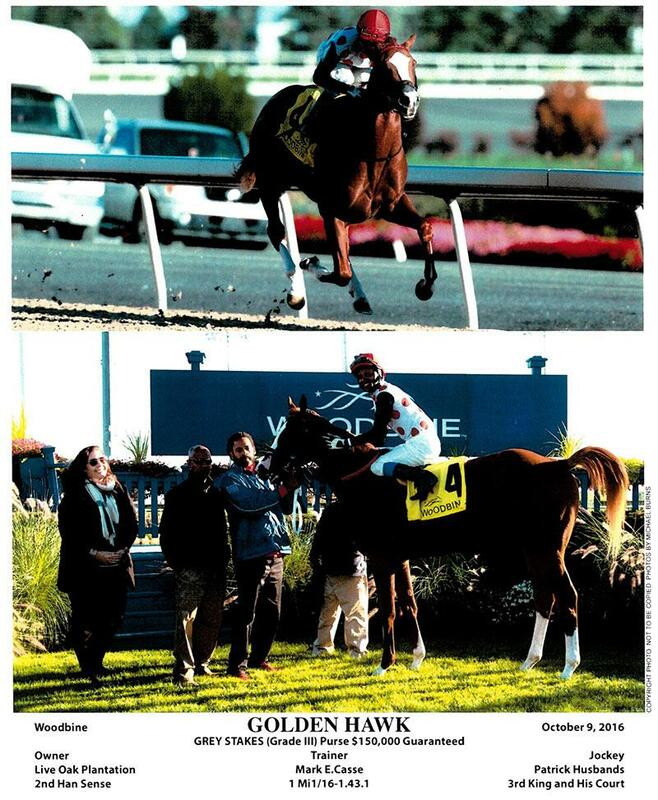 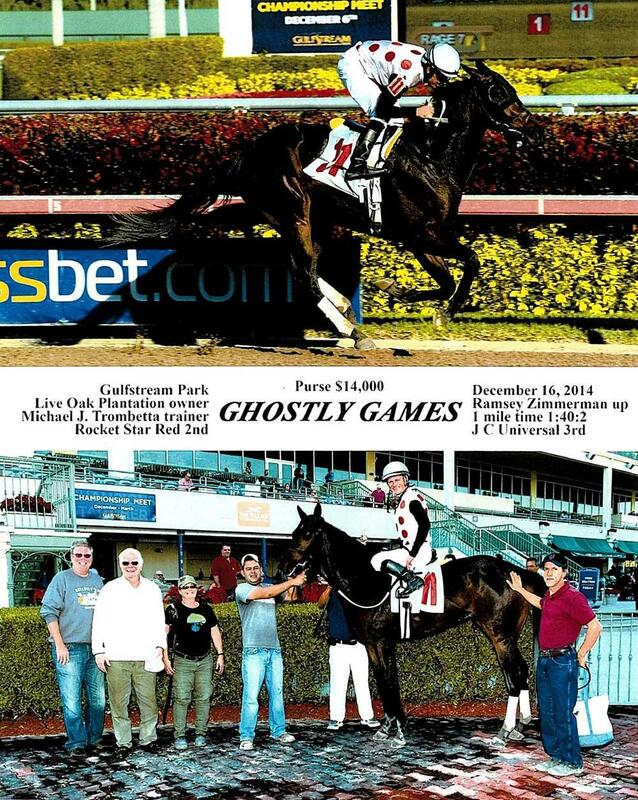 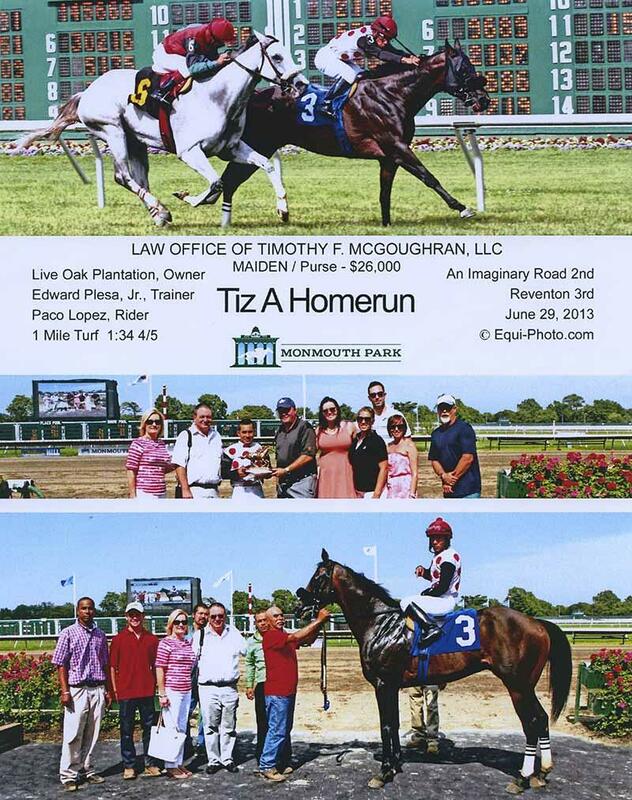 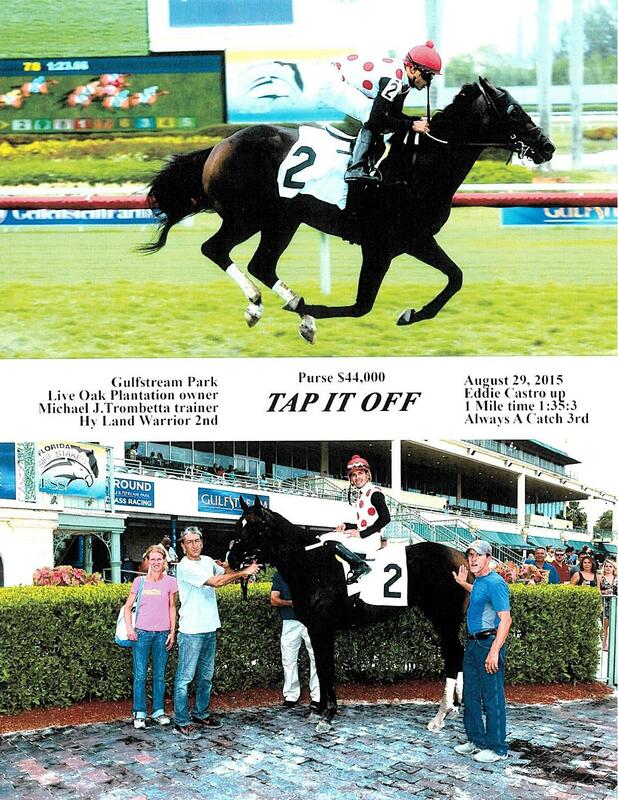 The homebred 3-year-old colt is out of Live Oak's Grade 1-winning mare Zo Impressive. 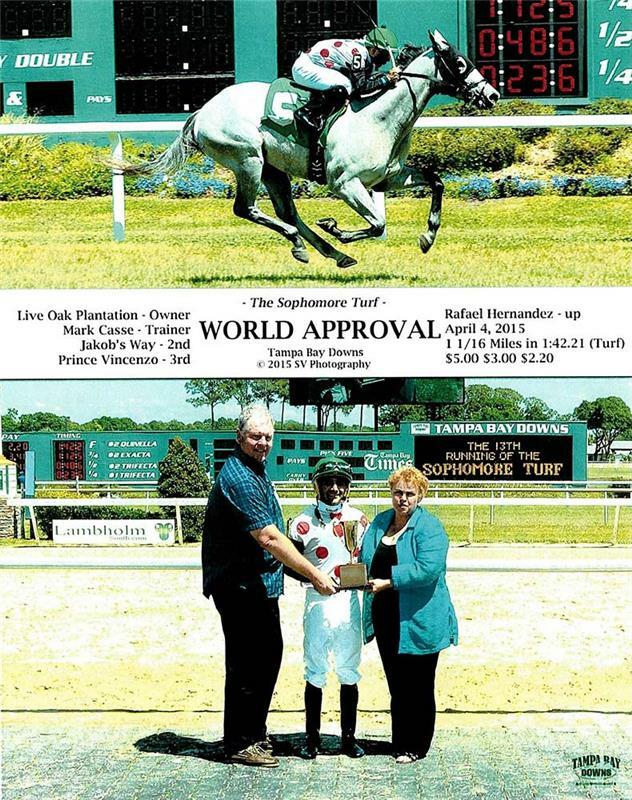 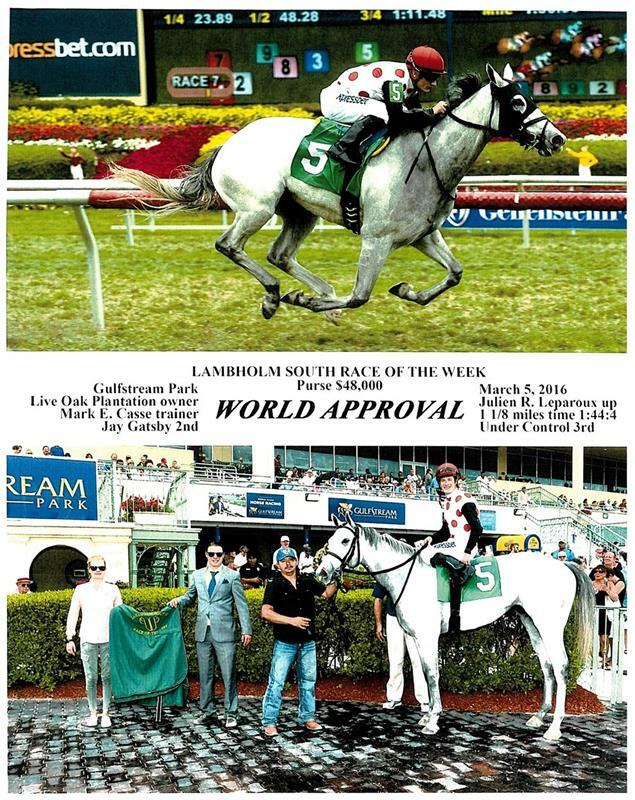 In the first half of 2018, Live Oak has seen the return of superstar World Approval winning the Tampa Bay S. (G3) in his 6-year-old debut, bringing his earnings to over $3,000,000. 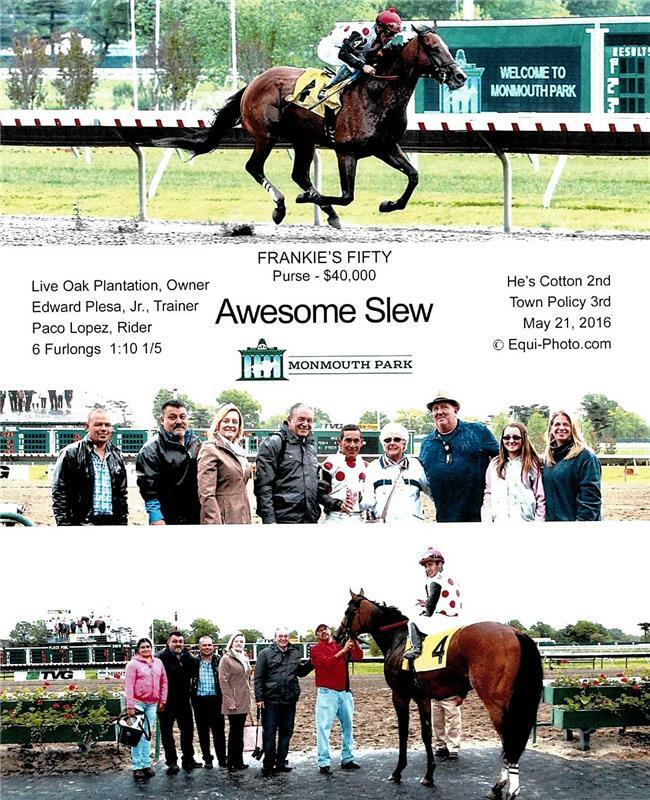 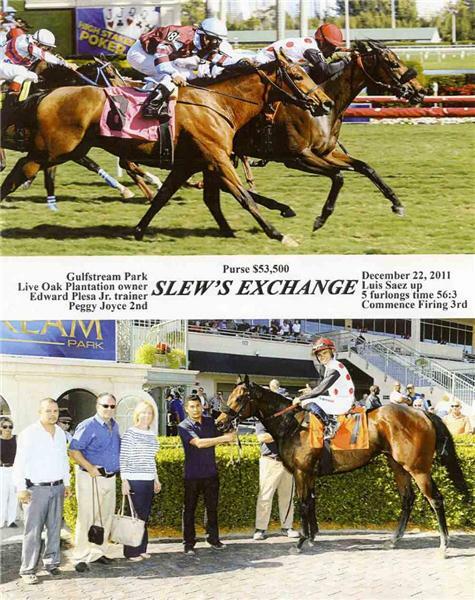 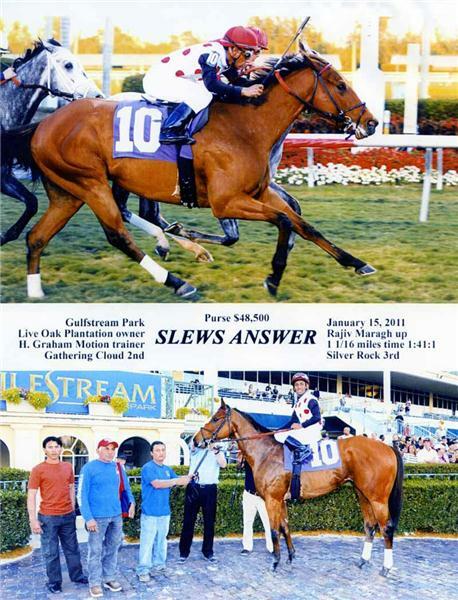 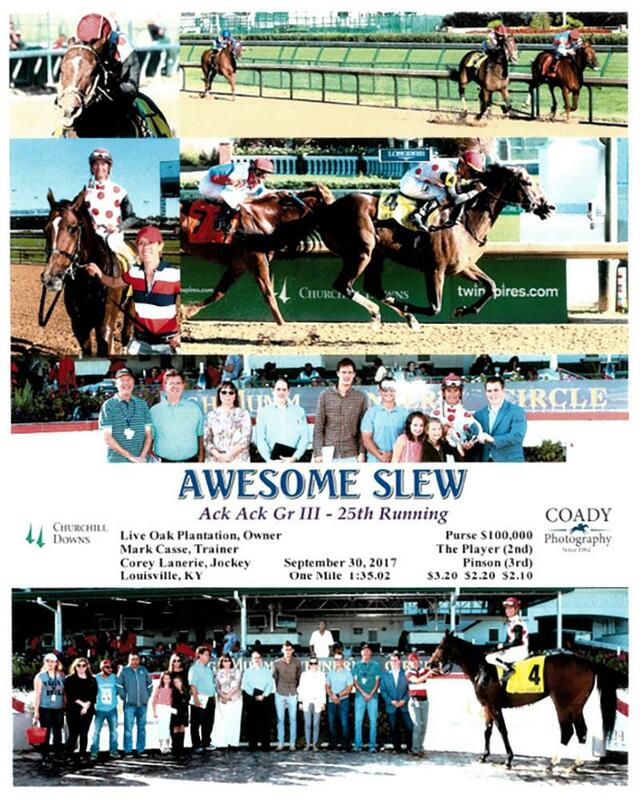 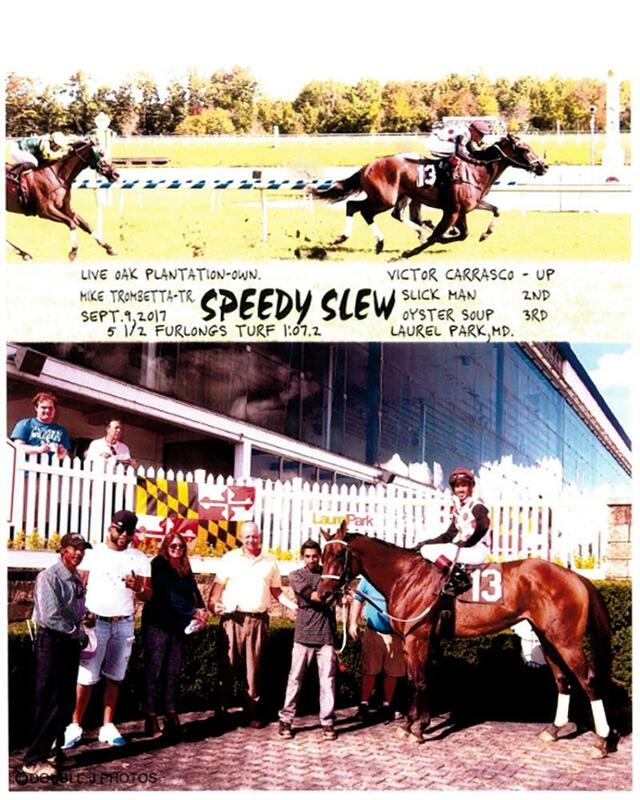 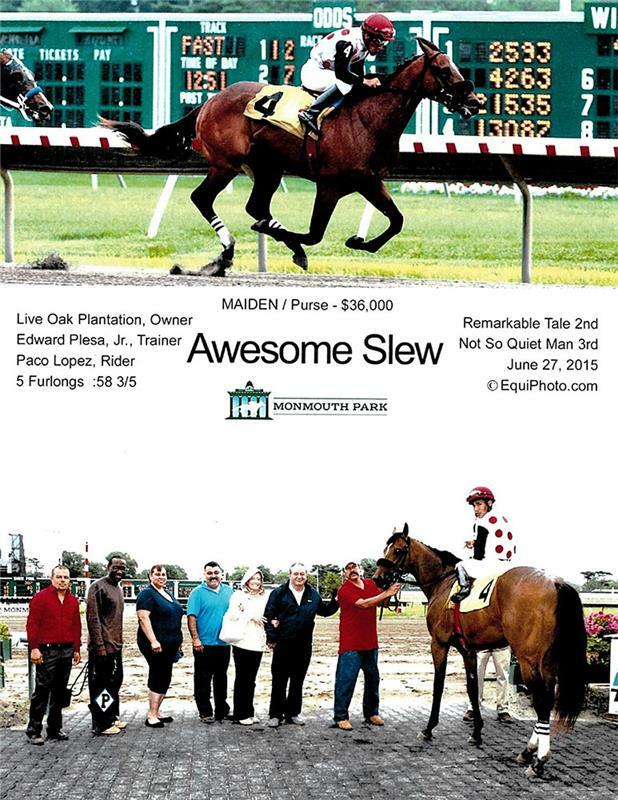 Awesome Slew is poised to have another great season, finishing runner-up in the Carter H. (G1). 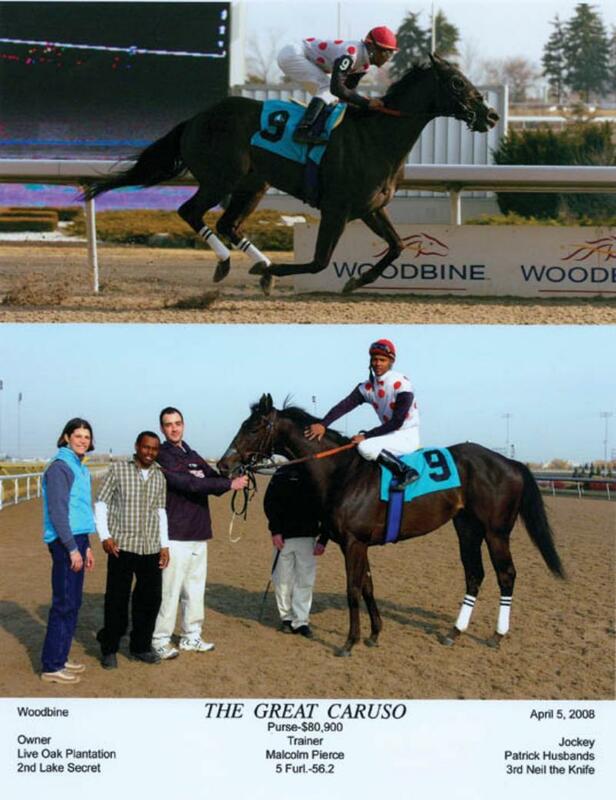 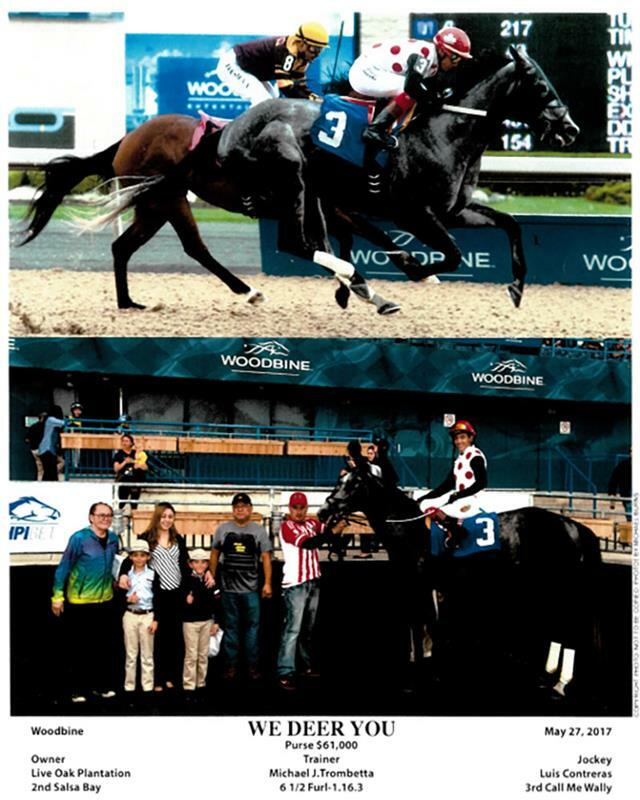 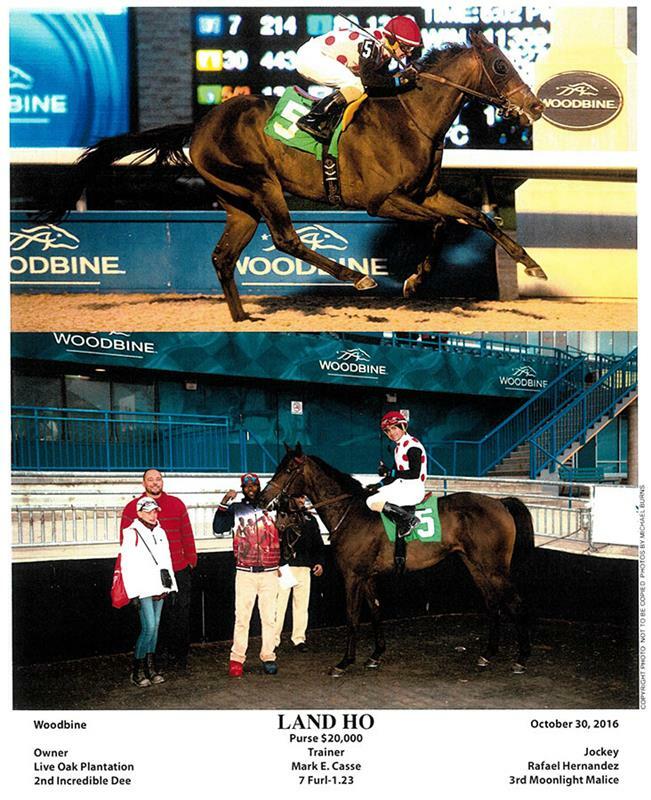 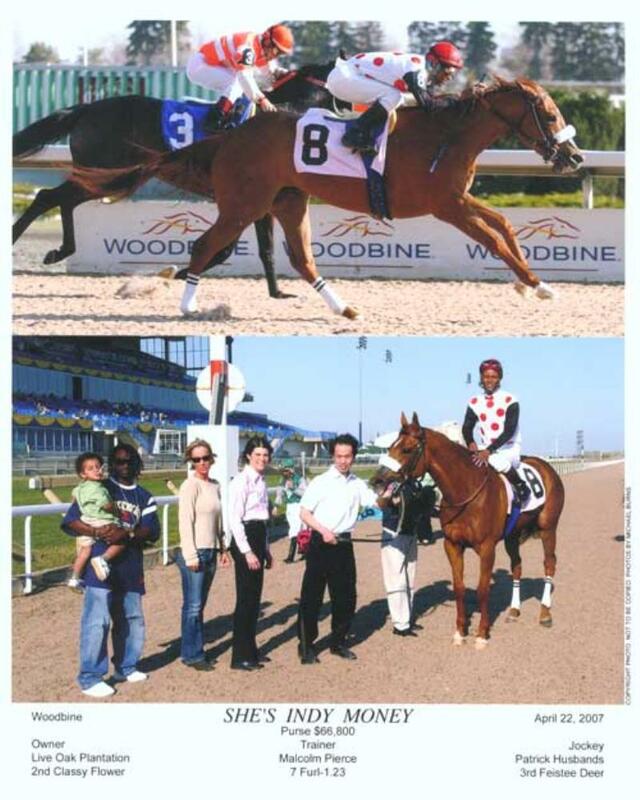 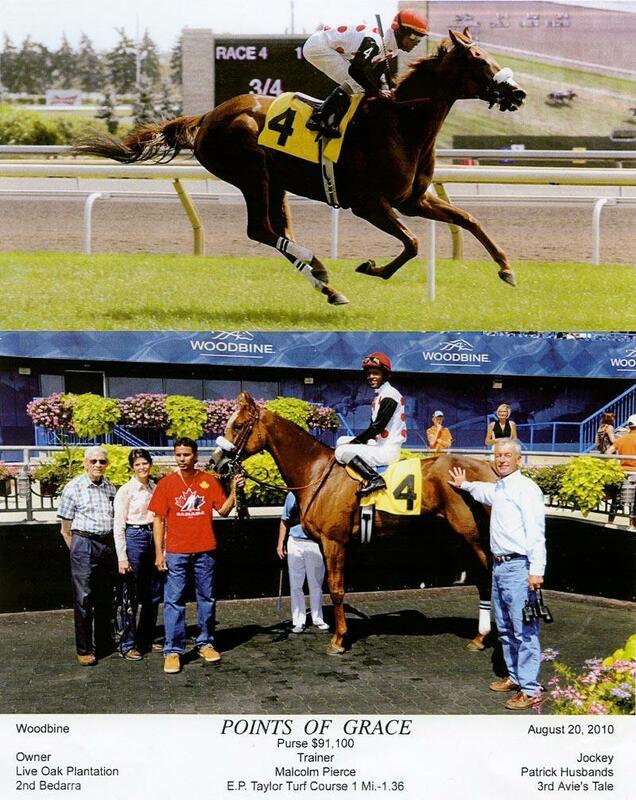 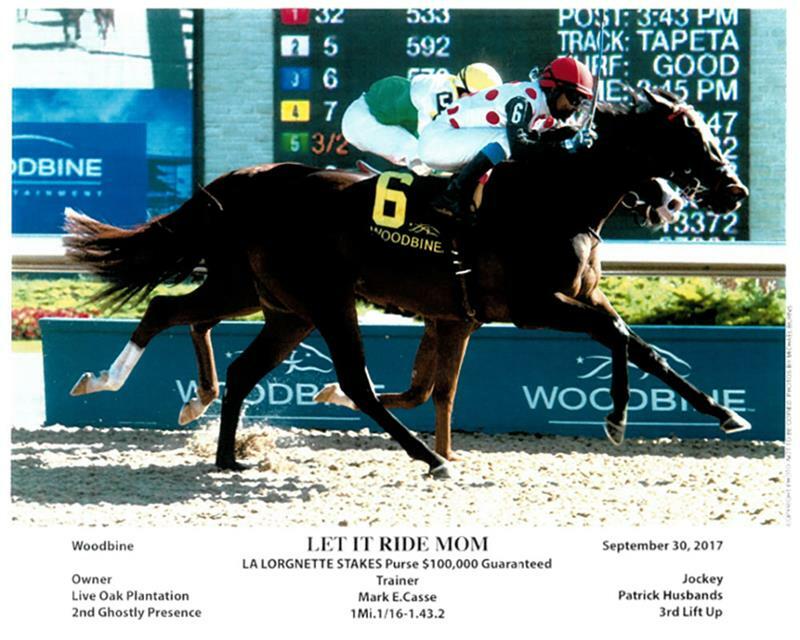 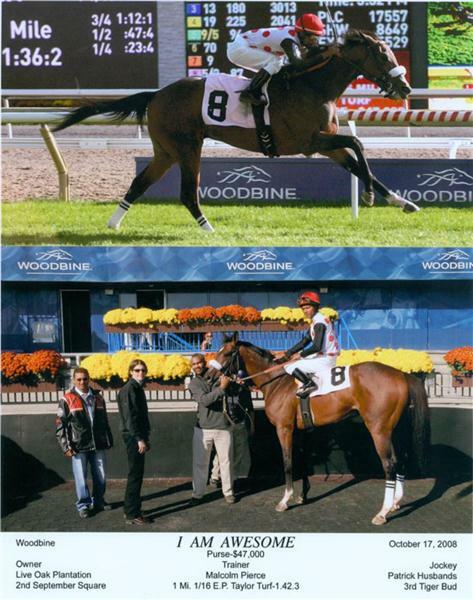 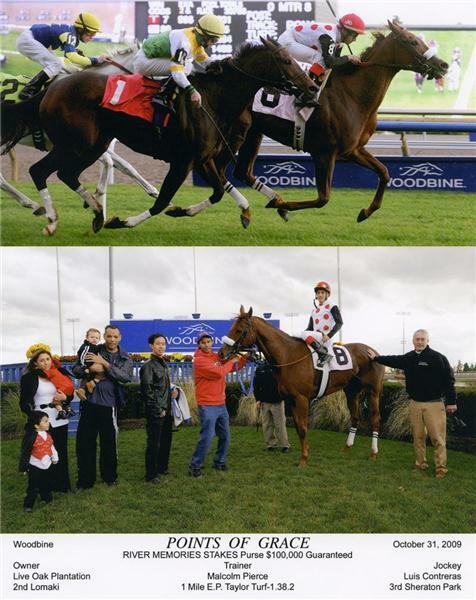 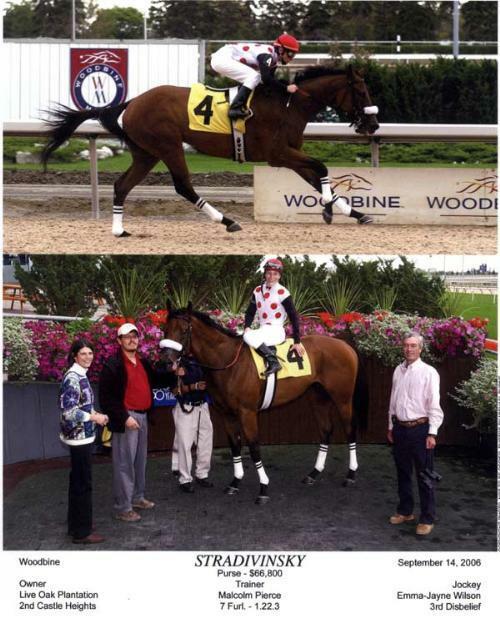 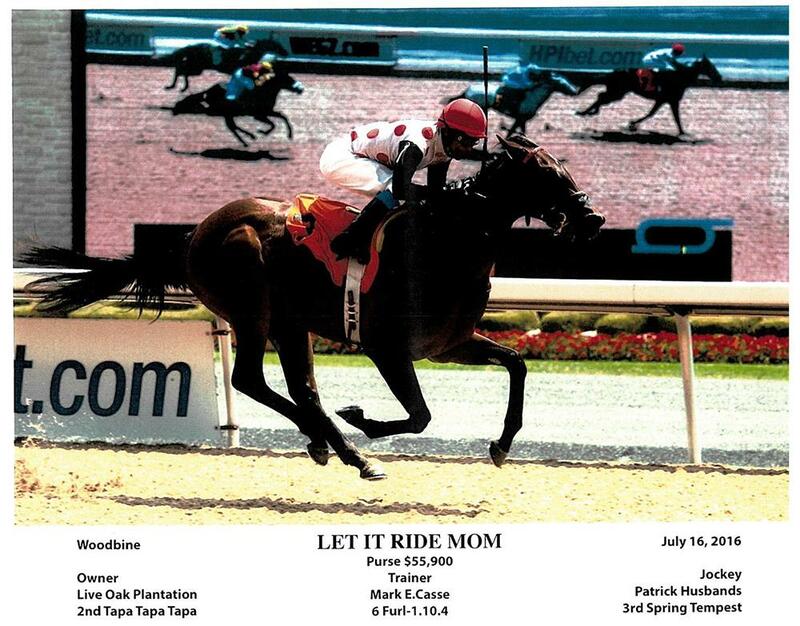 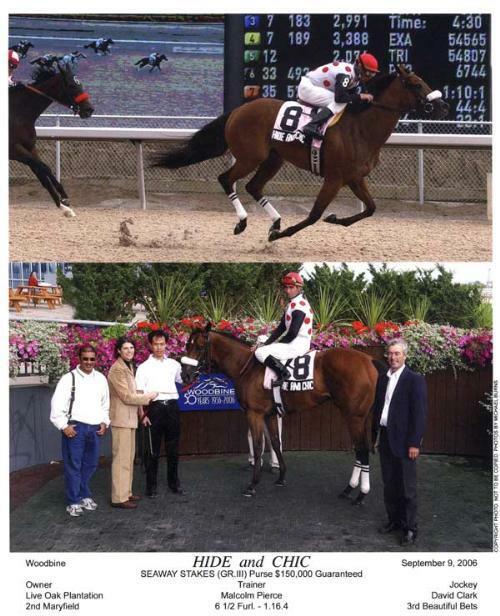 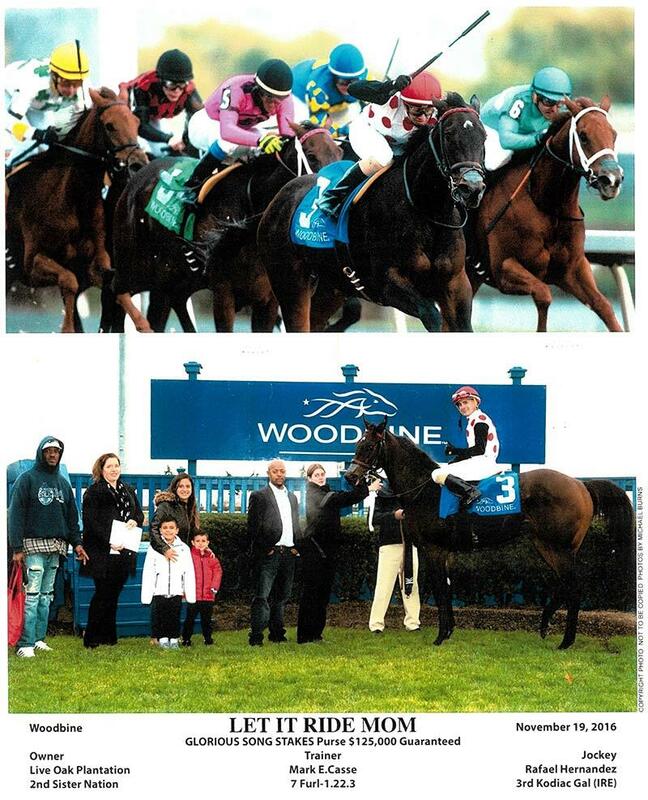 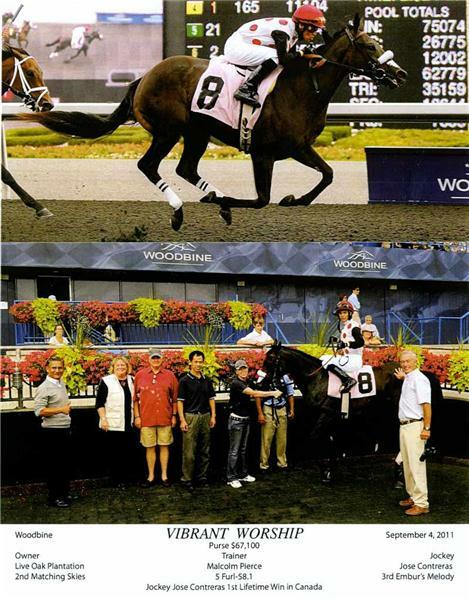 Let It Ride Mom became the newest Graded stakes winner, taking the Whimsical S. (G3) at Woodbine in her 4-year-old debut. 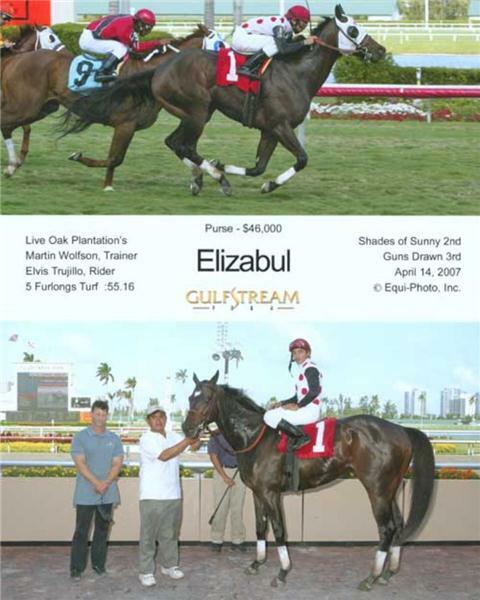 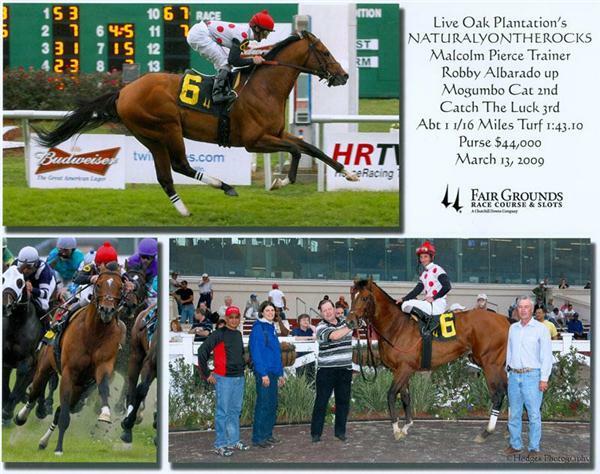 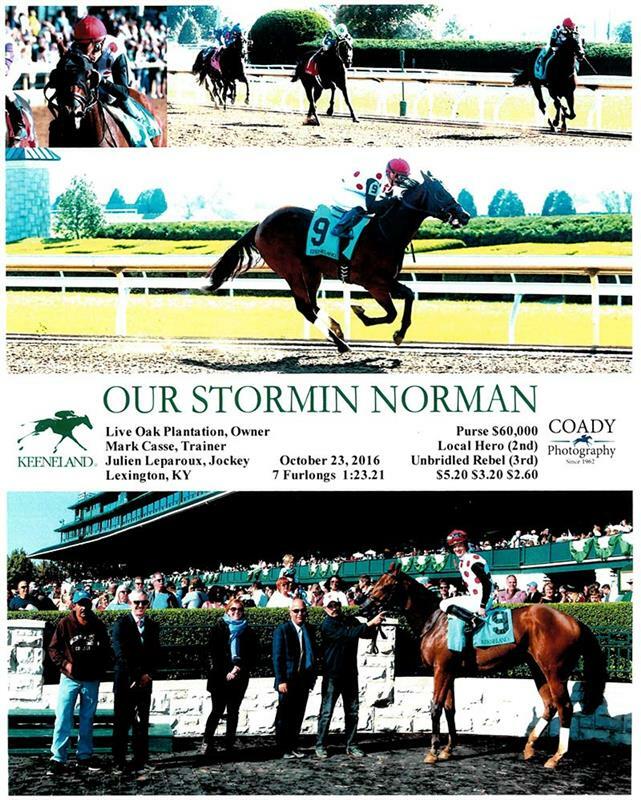 A perennial leading owner in North America, Live Oak Plantation has had several top-class performers over the years that have won many of North America’s biggest races, including over 30 graded stakes winners of more than 50 graded stakes. 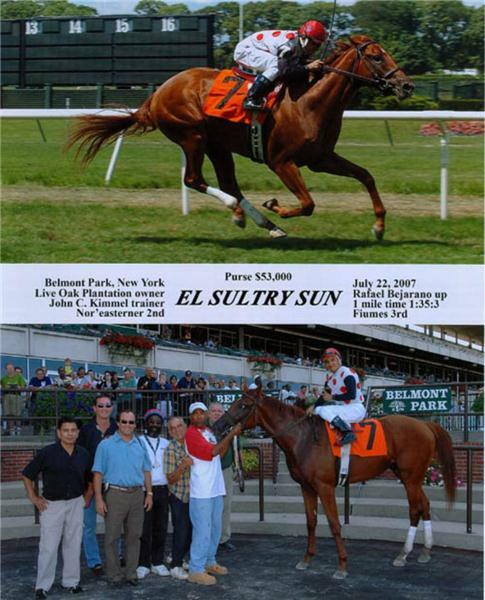 Sultry Song and Solar Splendor were brothers who enjoyed immense success in the early 90s. 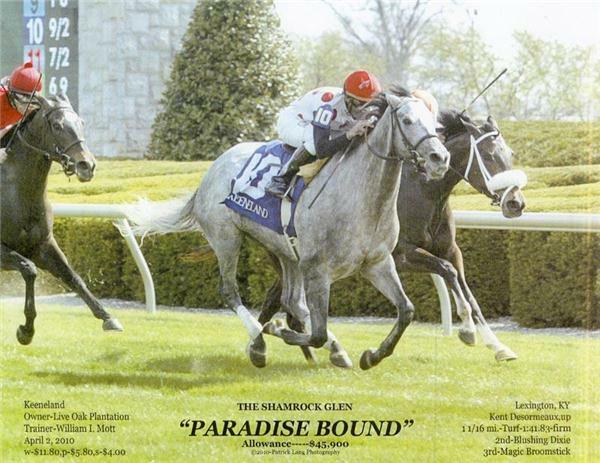 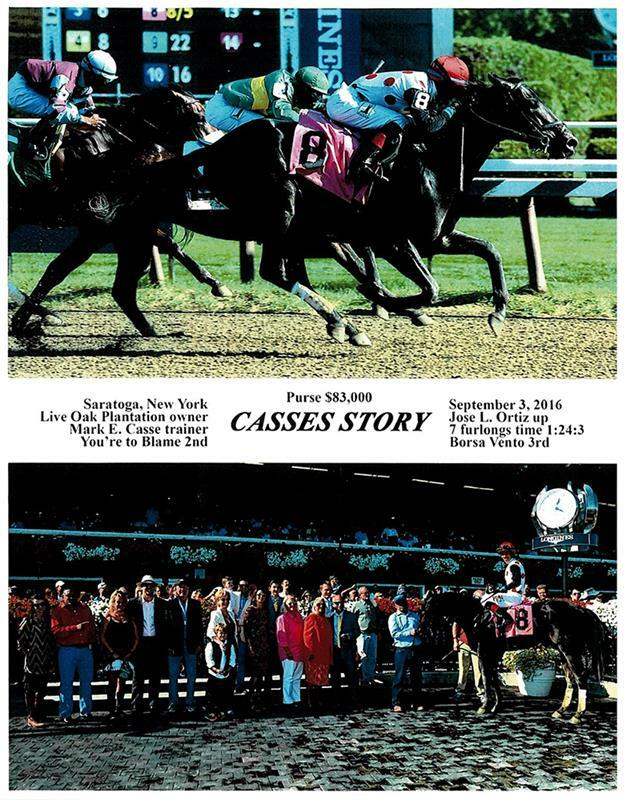 The siblings, out of the Live Oak Stud foundation mare Sultry Sun, captured Grade 1s on the same card at Belmont Park in 1992 and retired as equine millionaires. An important part of Live Oak Plantation is the network of trainers, and Live Oak employs several of North America’s top conditioners including: Mark Casse, and Michael Trombetta.